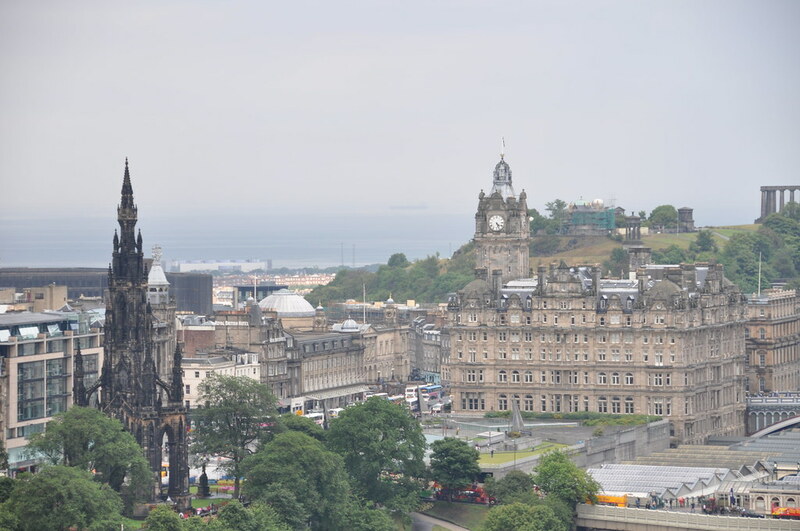 It was rather short for my very first trip away from North America, but I still managed to see a lot of sights and thoroughly enjoyed being there. 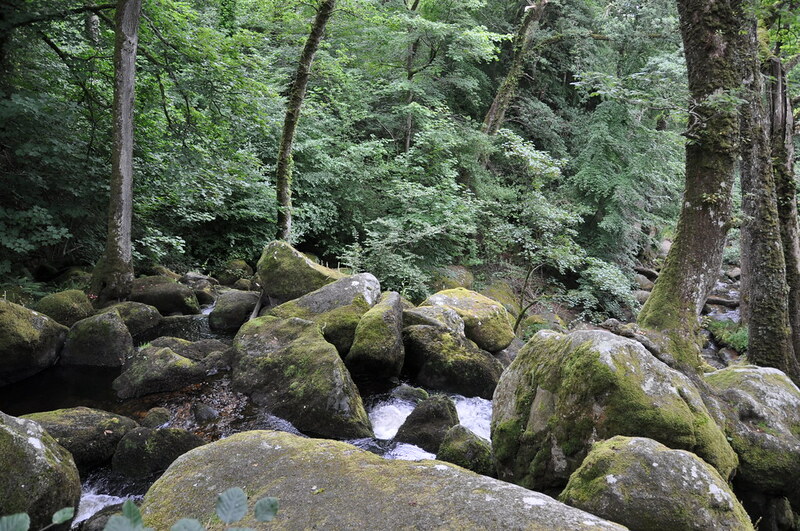 I'm itching to go back some day. 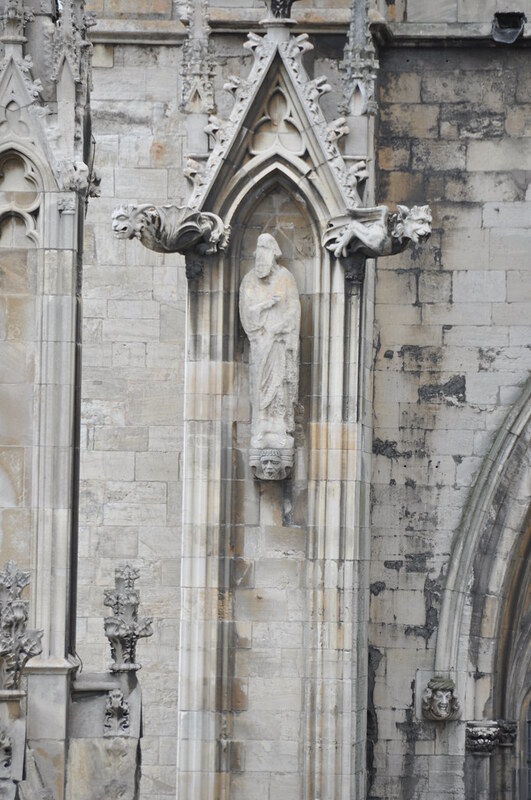 July 10—I left Tampa the prior evening and flew overnight. 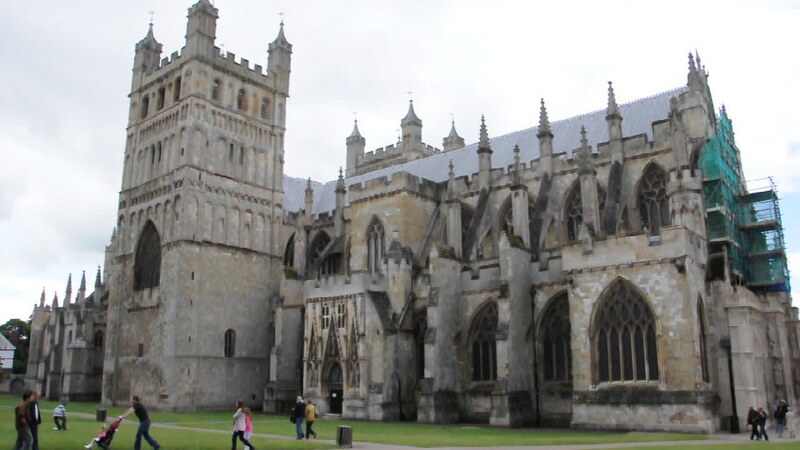 Much of Friday was spent on the train from Manchester Airport to Exeter. 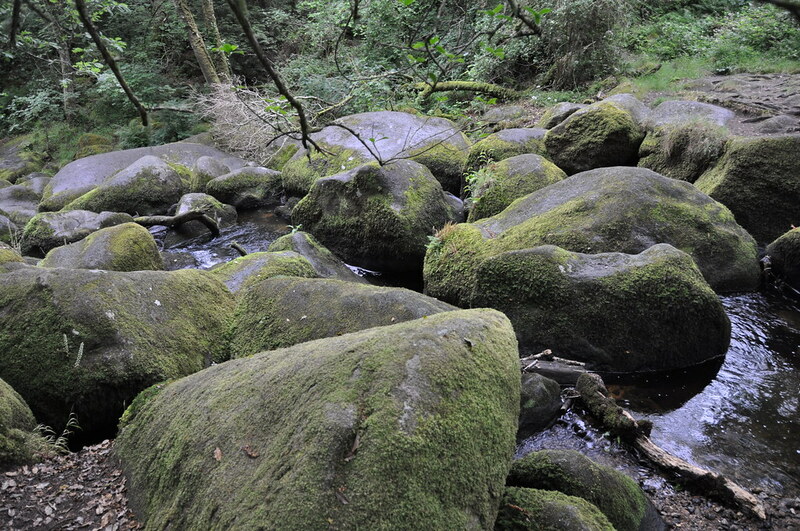 This photo shows some random scenery at a spot where the train had to slow down. 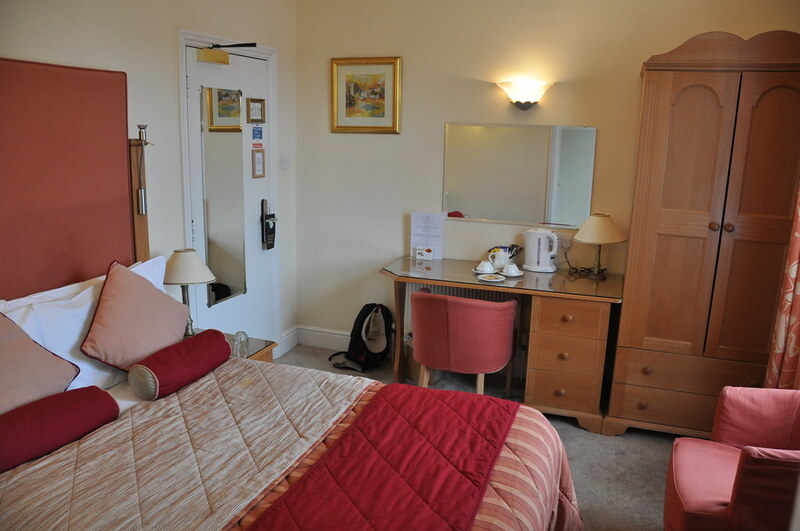 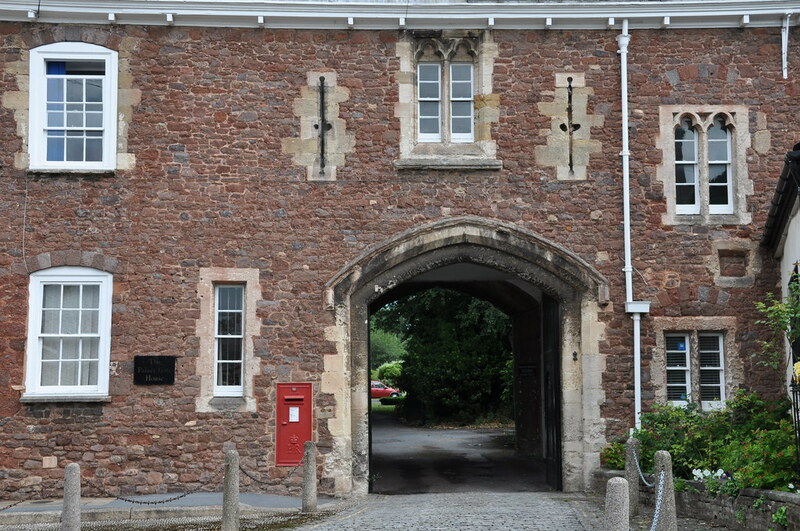 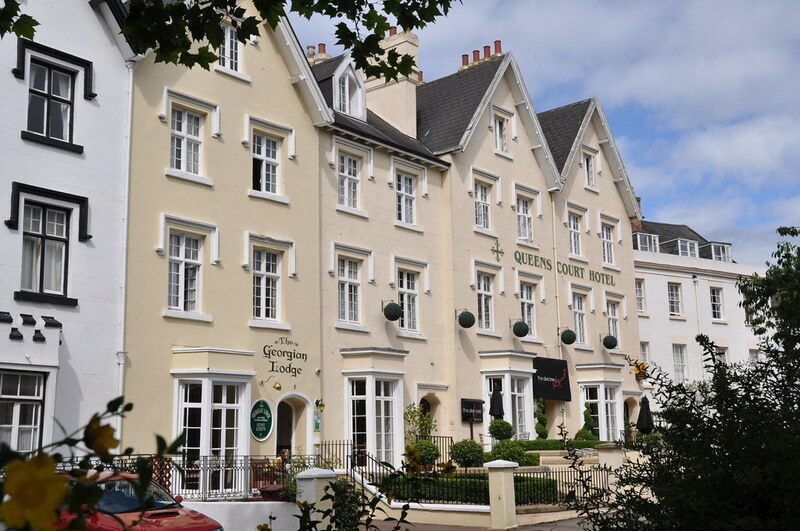 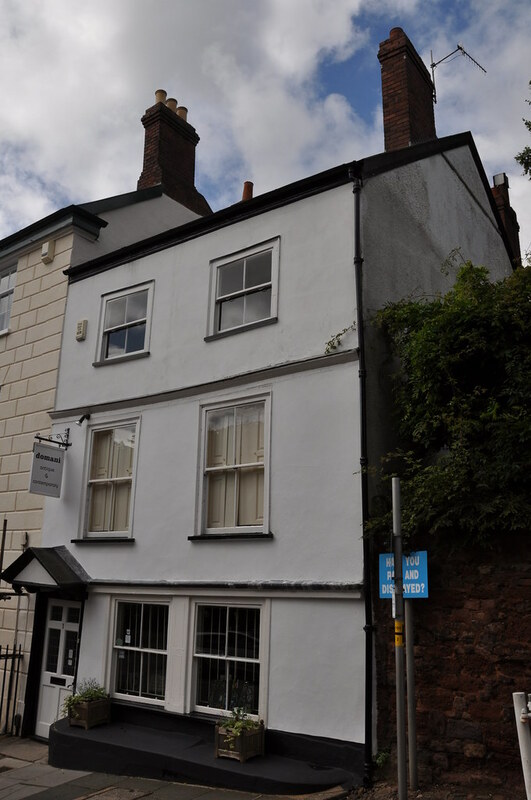 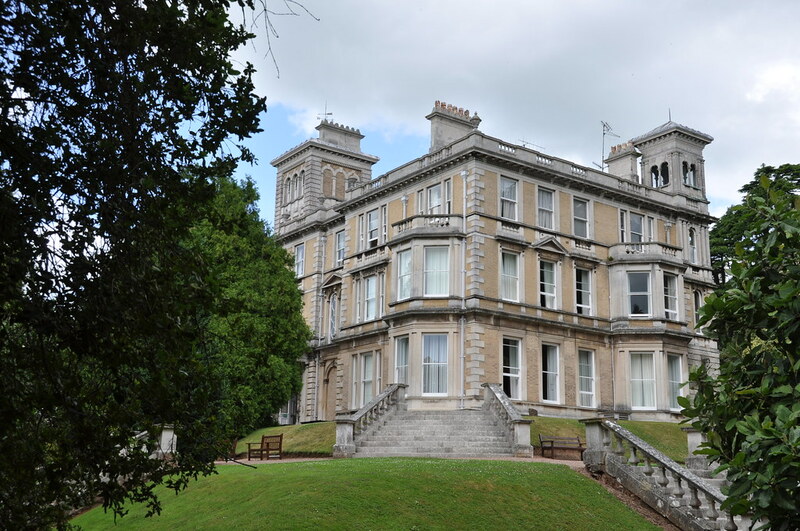 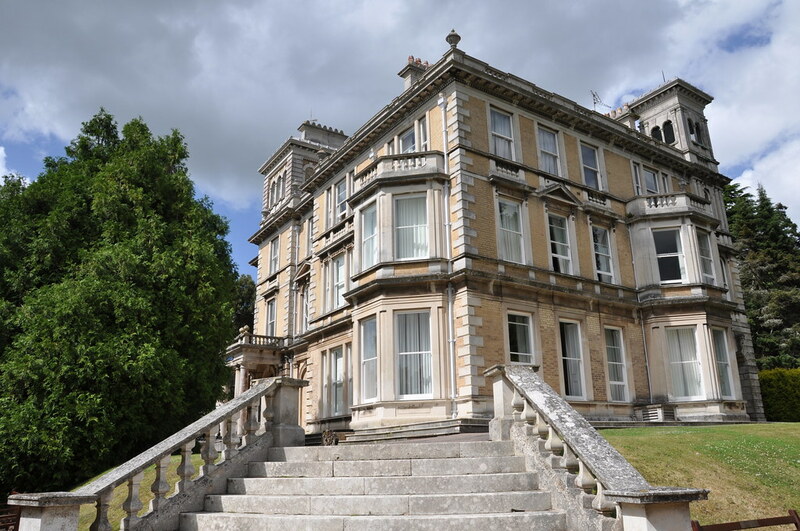 This is where I stayed for the weekend in Exeter. 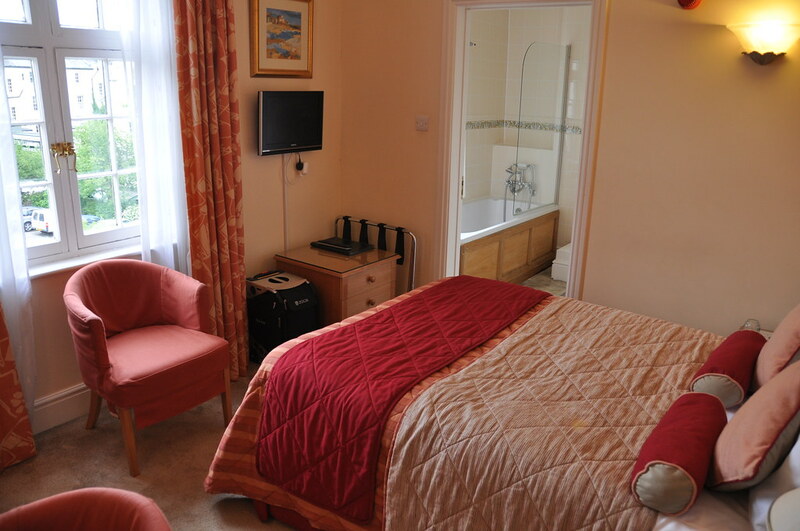 Small, but very nice, cozy, and well furnished. 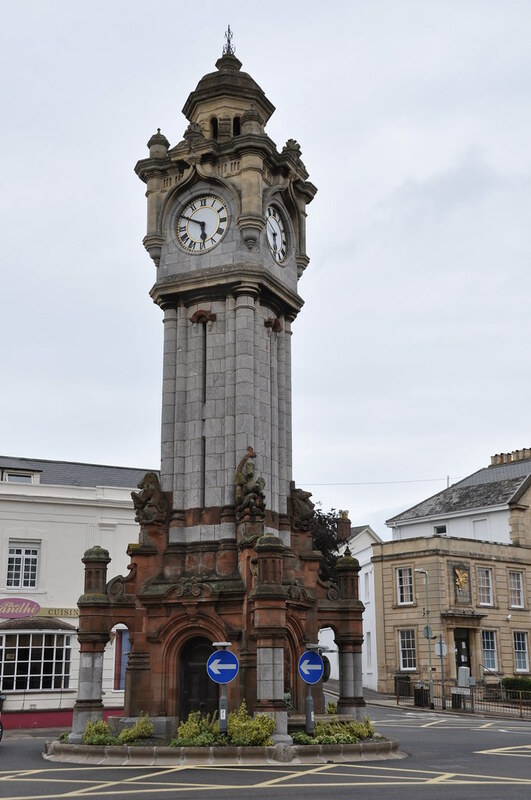 …this clock tower stands in the middle. 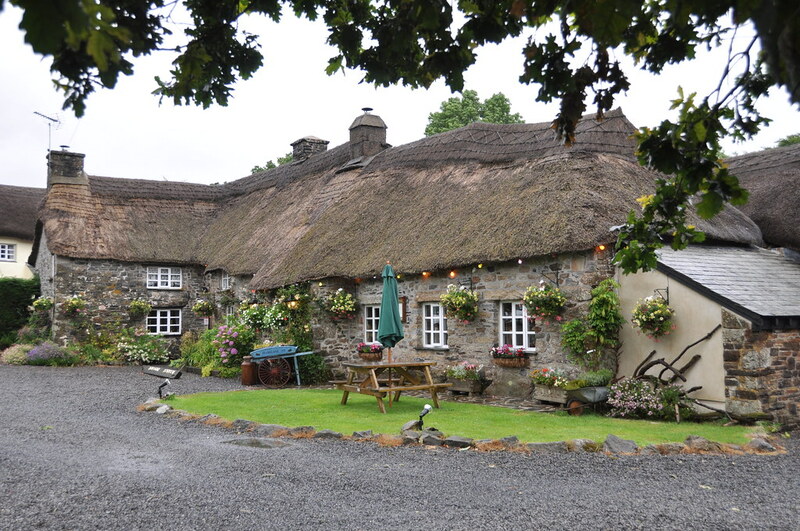 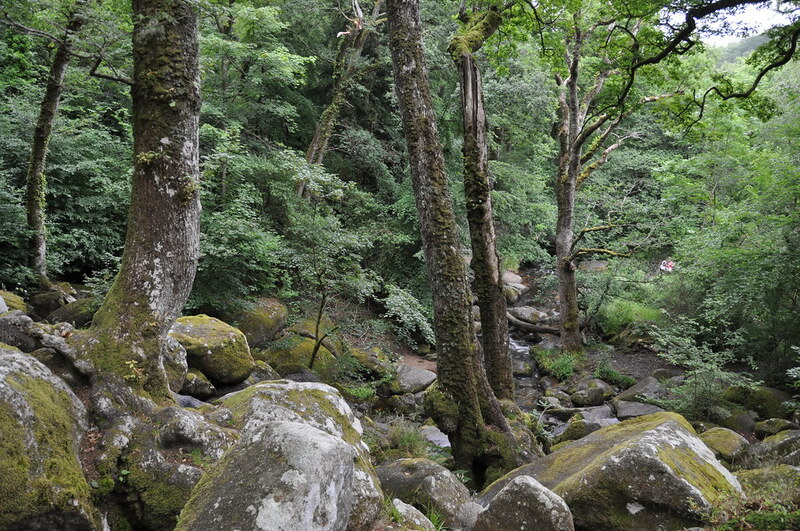 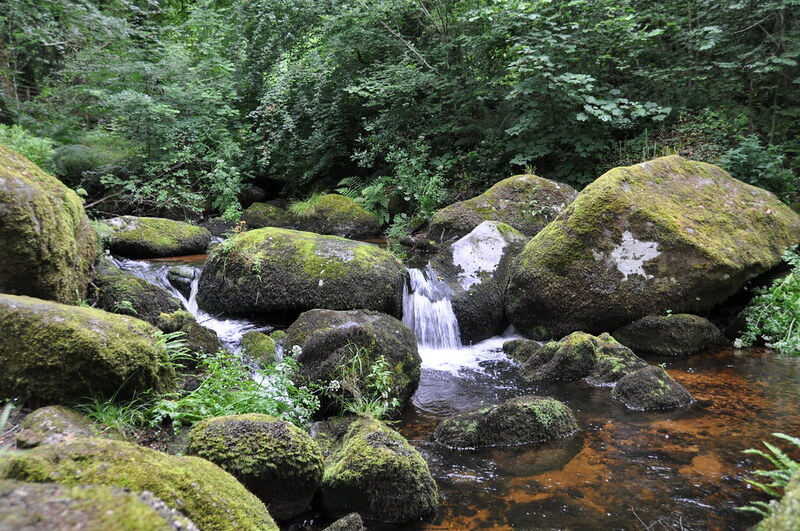 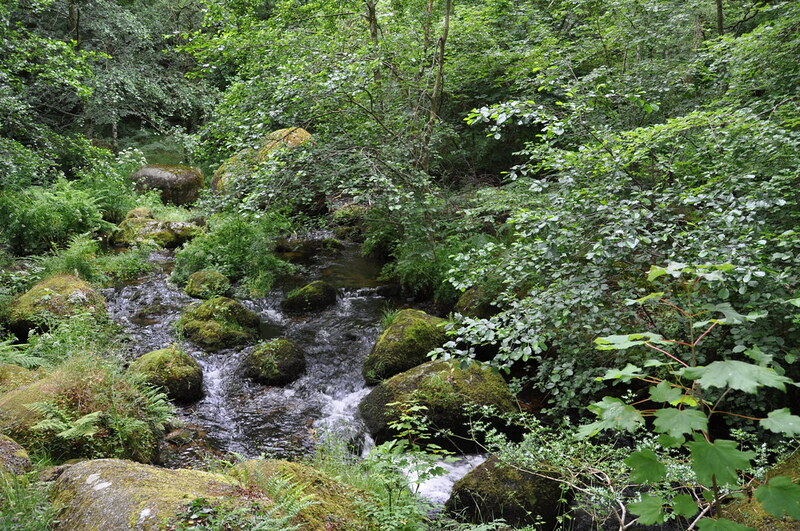 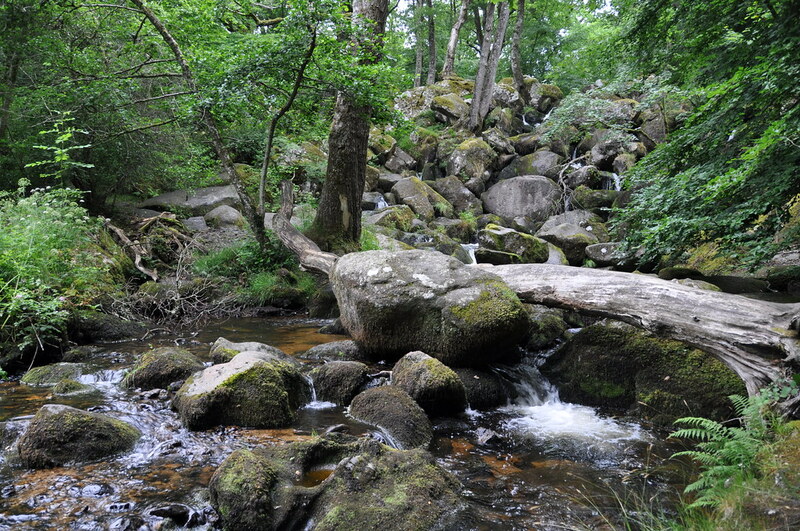 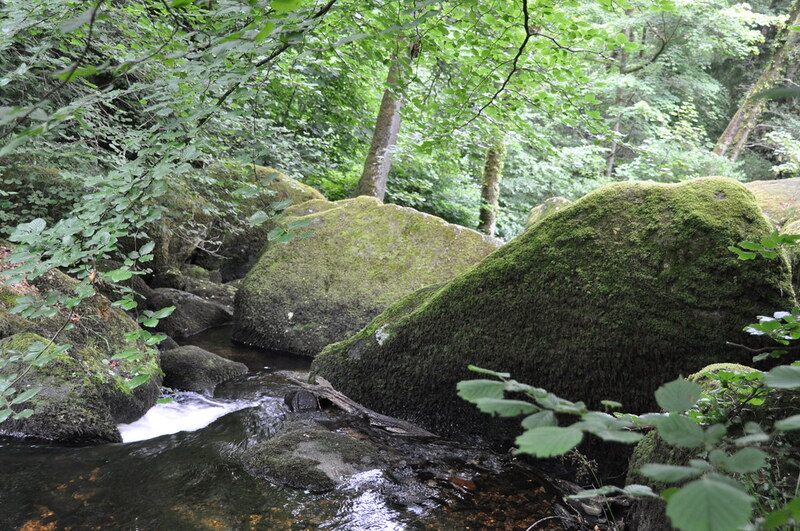 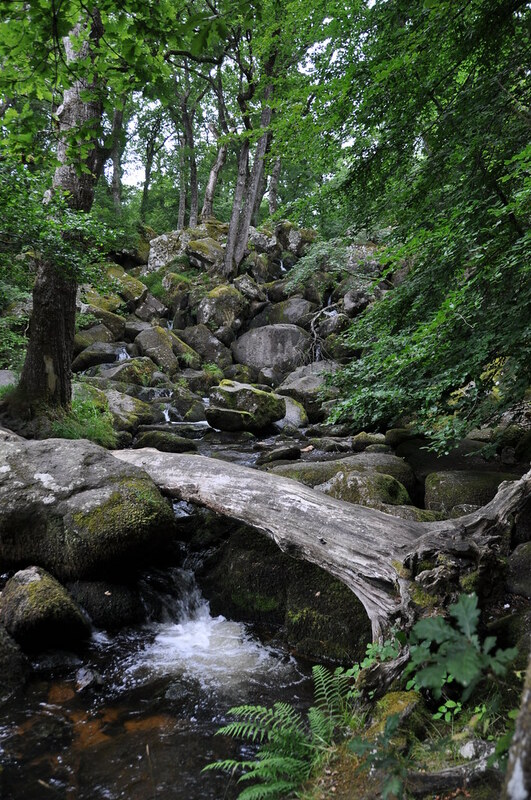 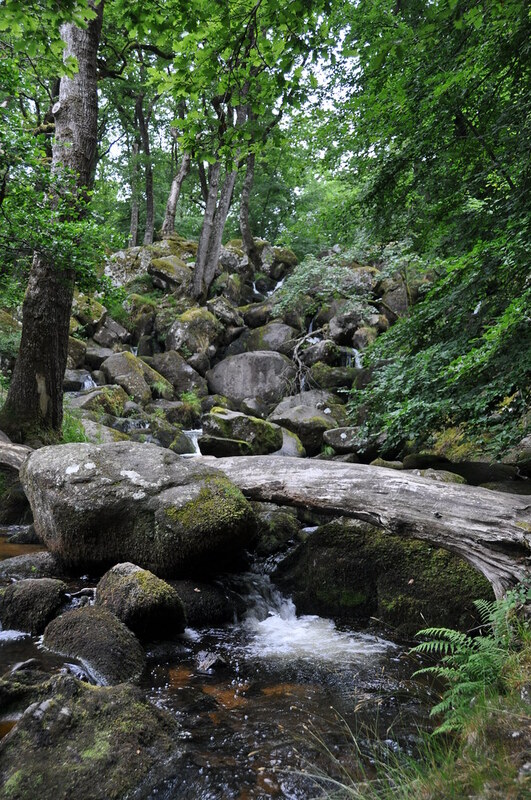 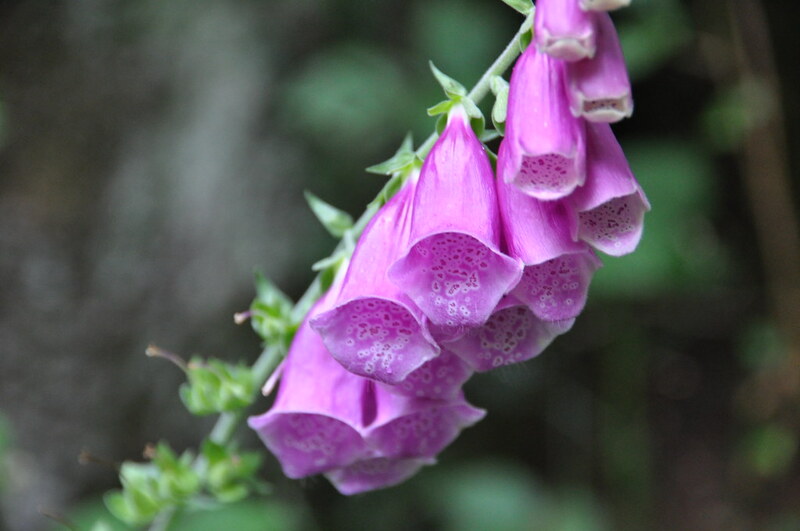 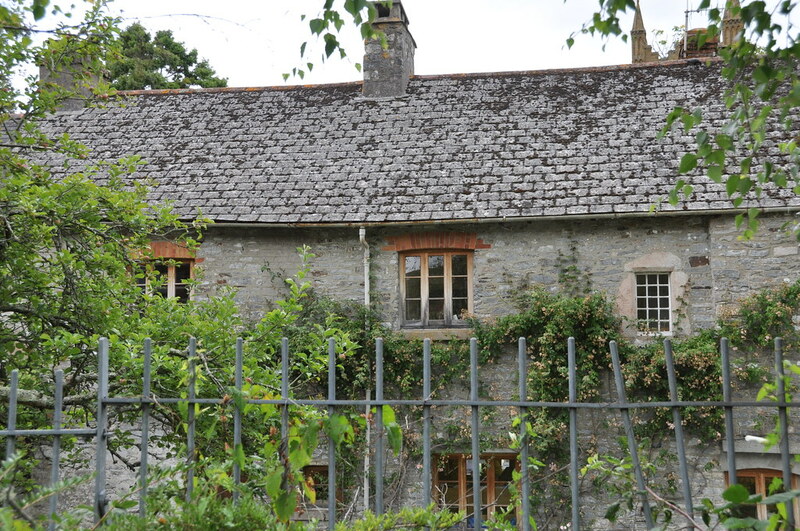 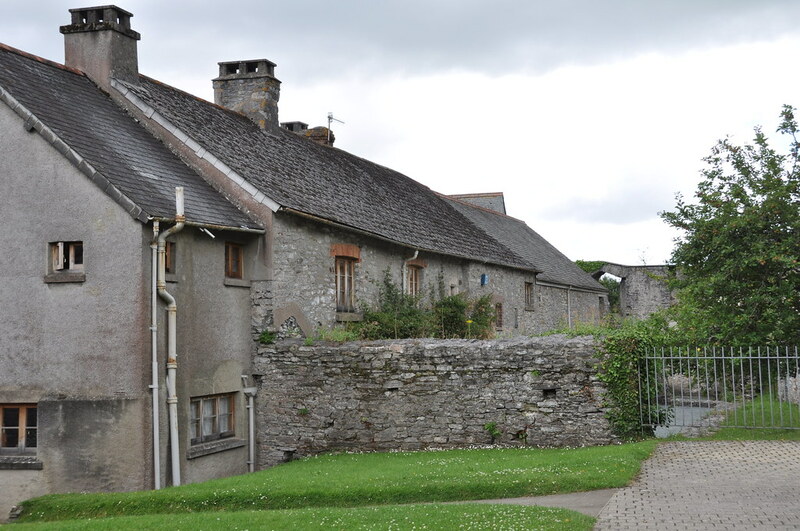 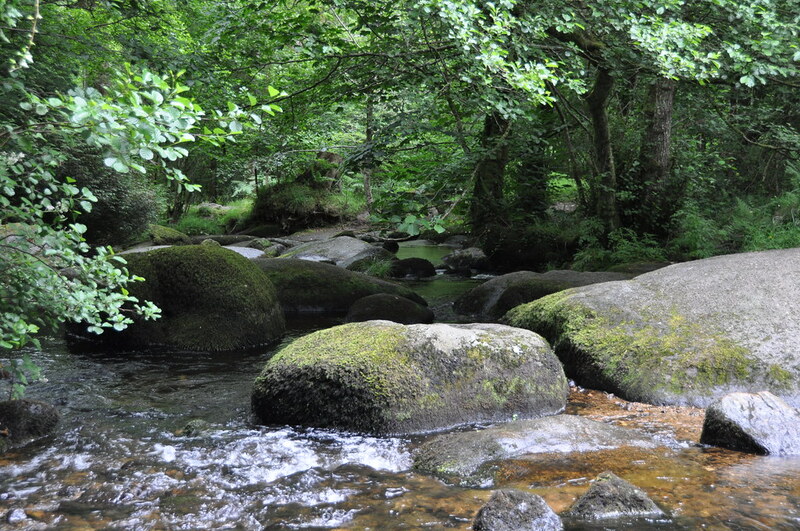 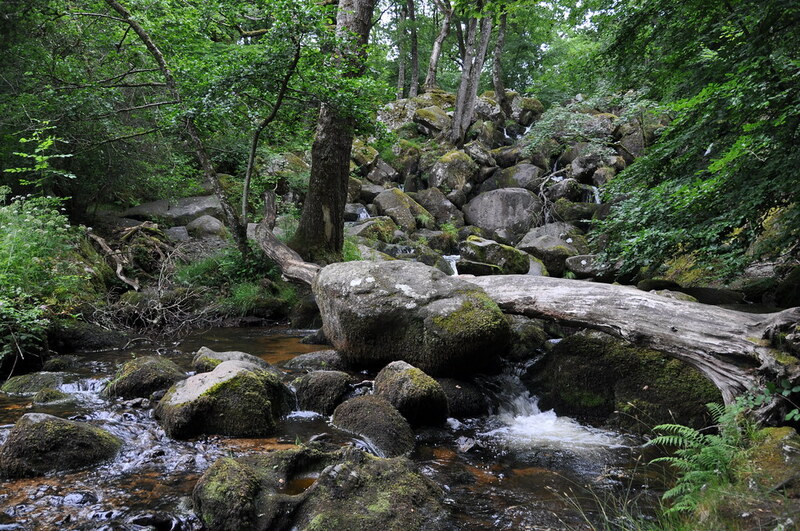 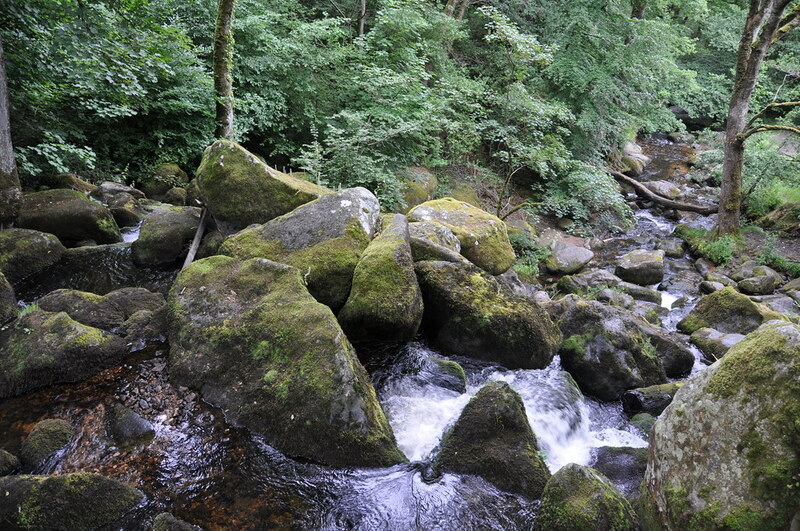 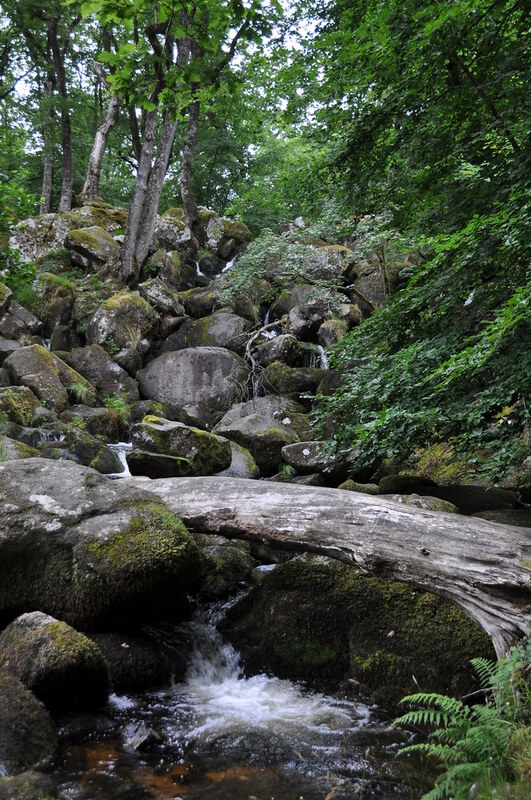 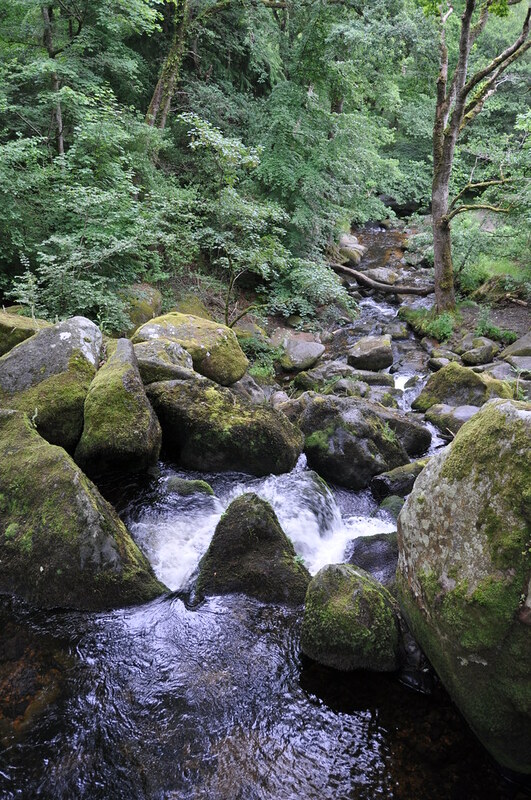 July 11—My birthday, and I was invited to go on a drive through the Dartmoor National Park area in southwest England. 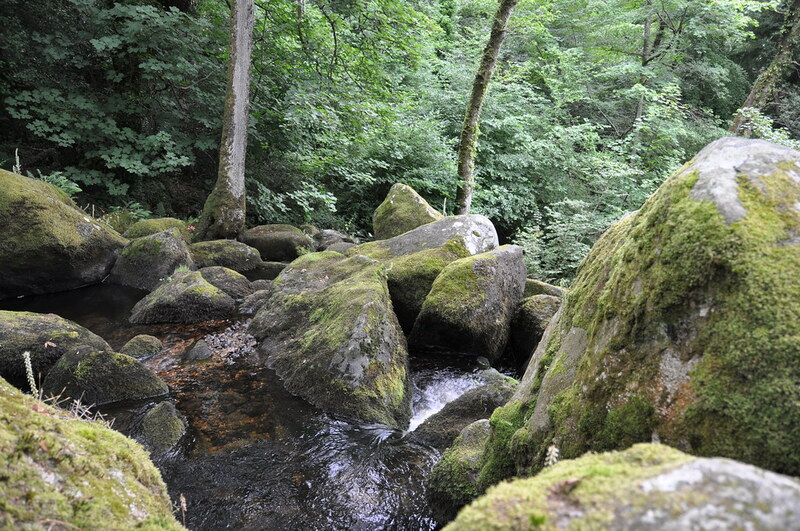 This stop was a hike to see Becky Falls. 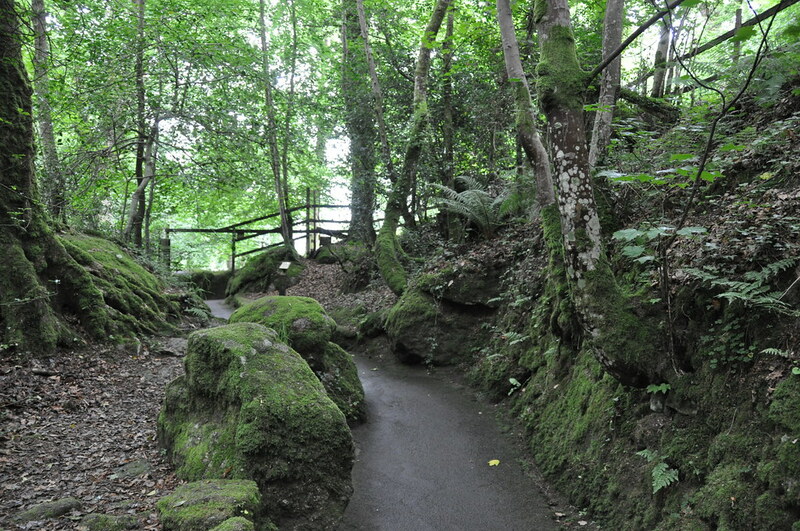 Becky Falls may not be an impressive waterfall in terms of size, but the lush green surroundings still made it very beautiful, peaceful, and indicative of the type of woods I would expect in England. 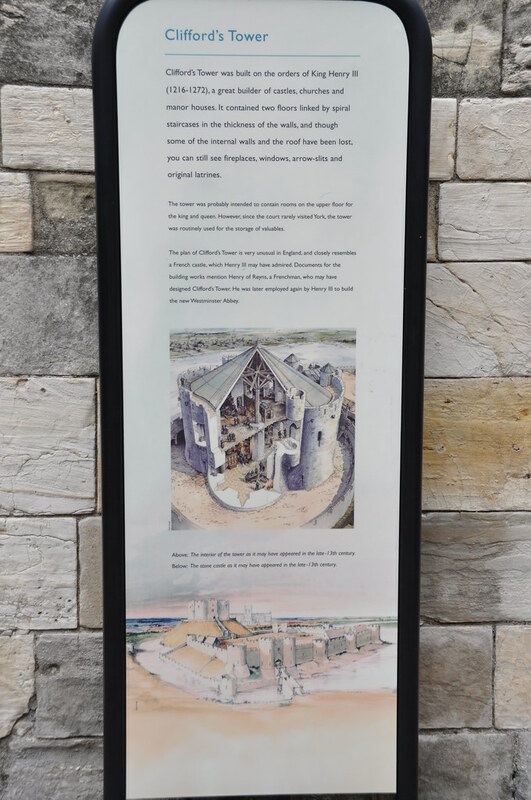 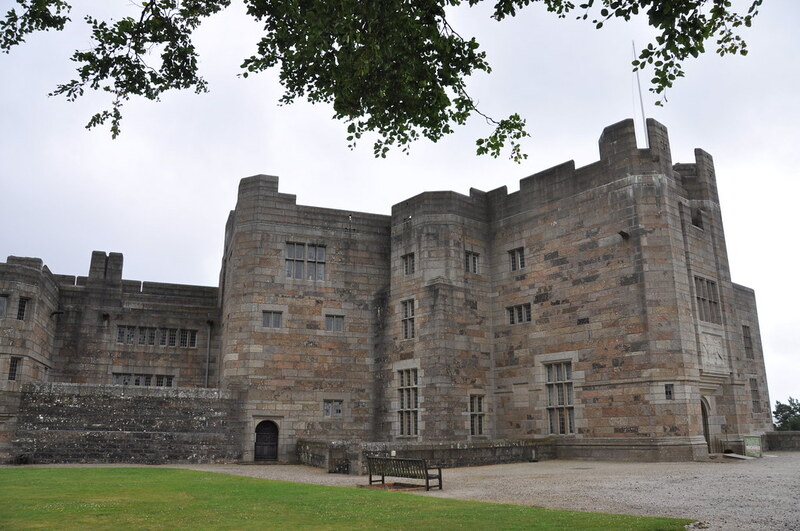 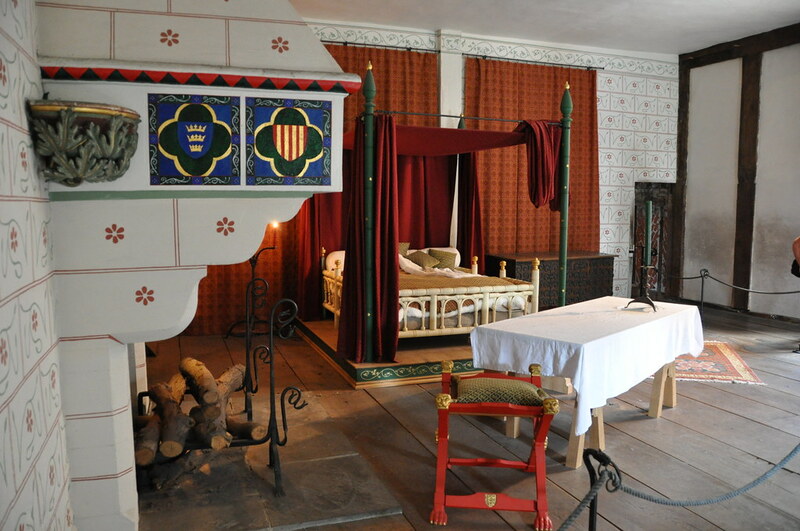 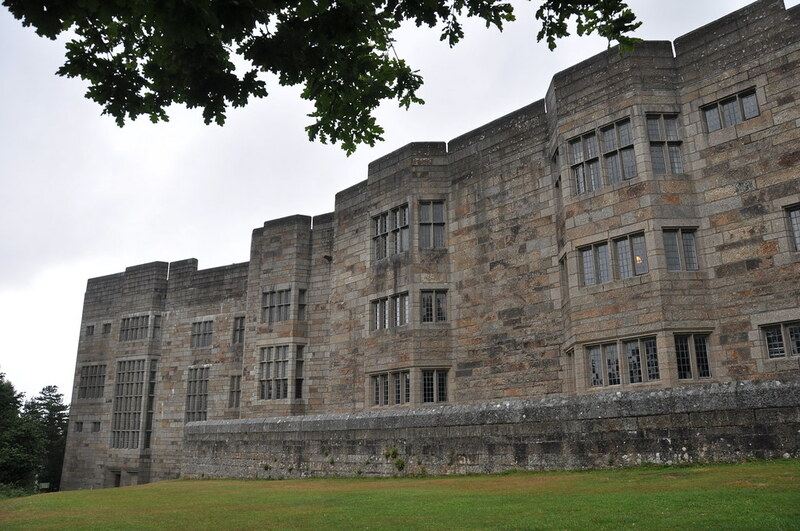 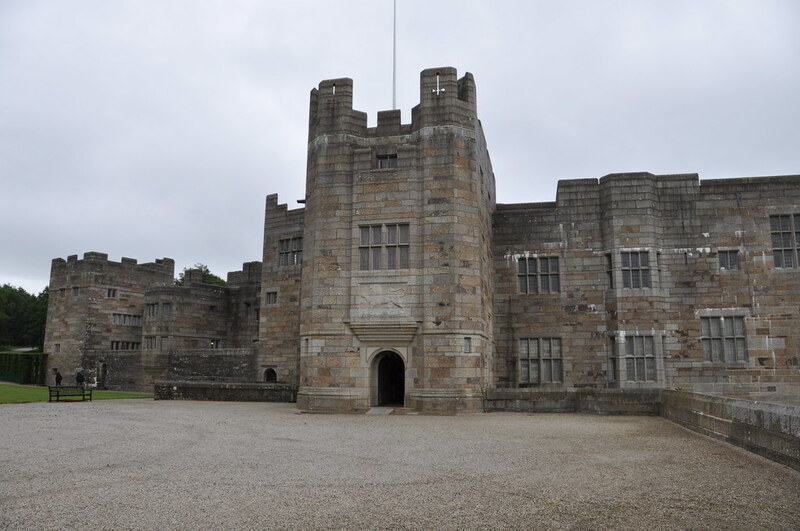 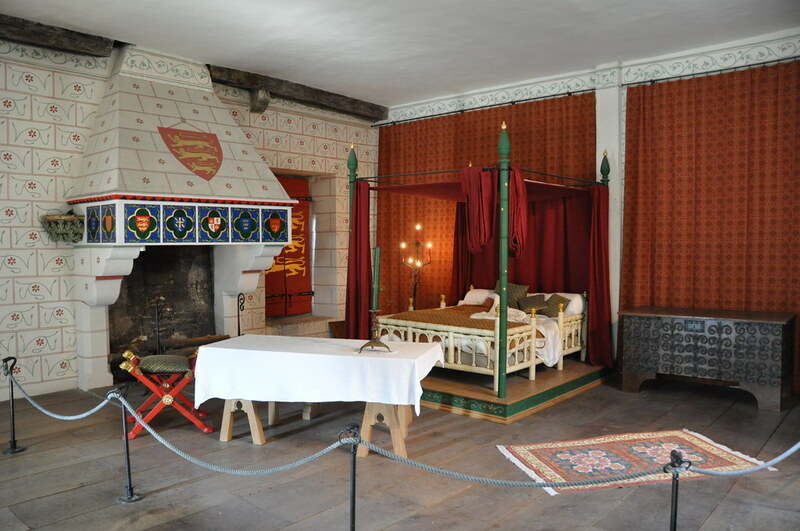 Next stop was Castle Drogo. 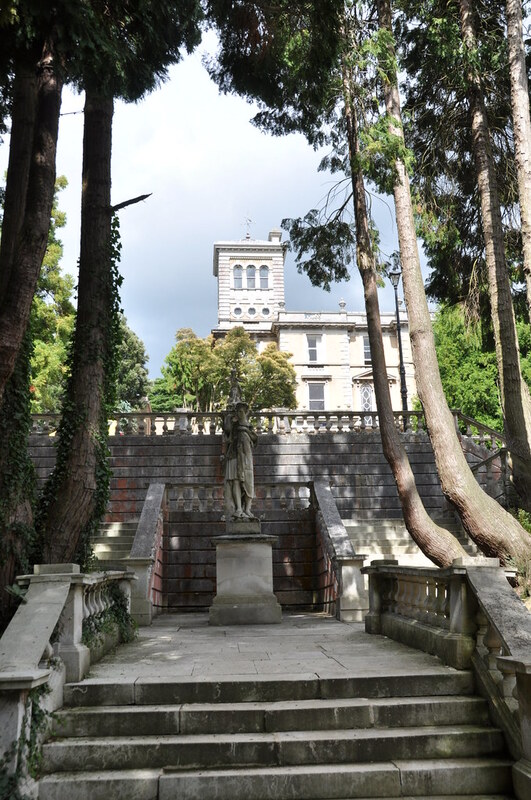 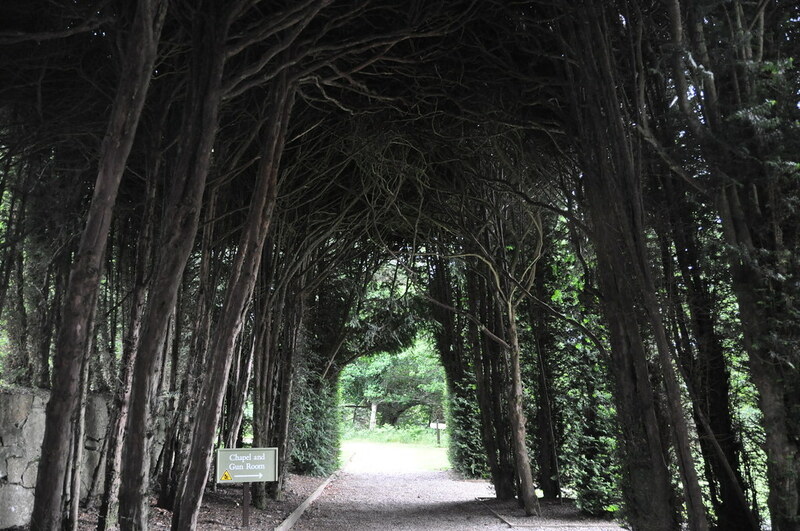 Alas, we arrived just at closing time, but at least we got to spend a bit of time walking around the property. 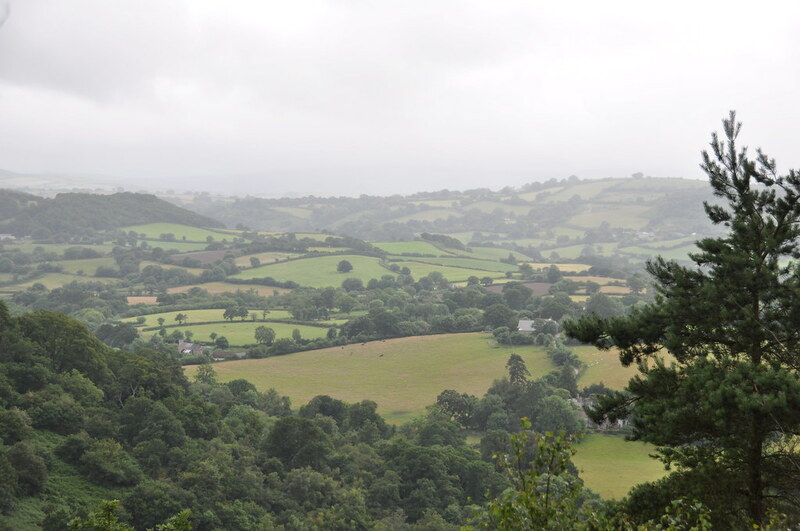 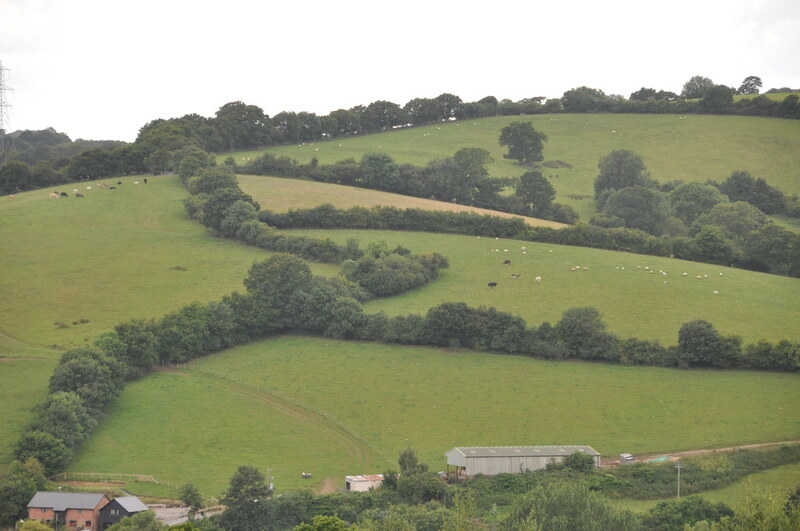 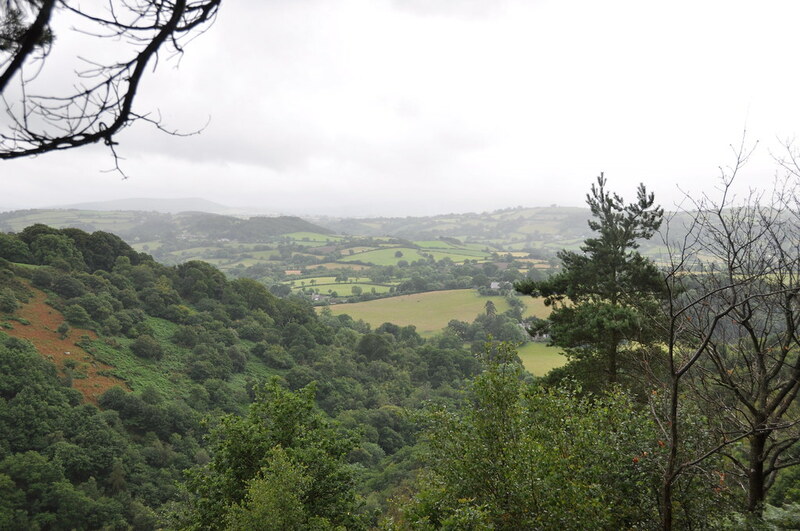 A view of the countryside from atop Castle Drogo's hill. 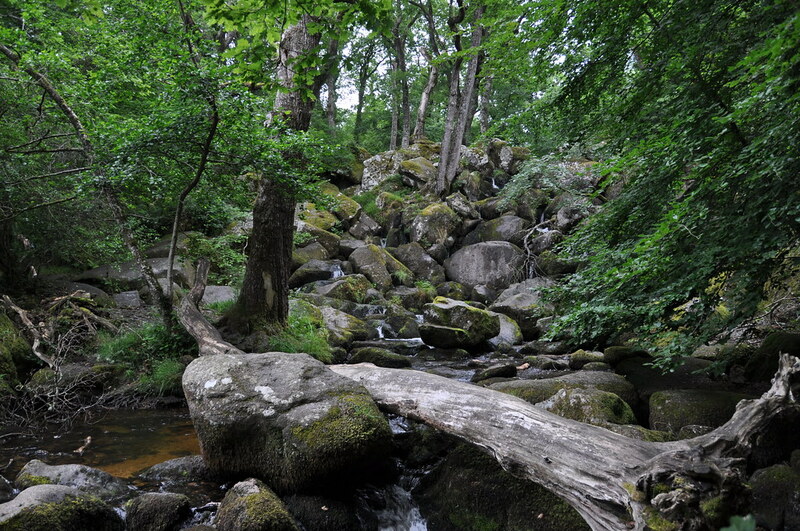 As the day was winding down, we decided to drive through the middle of Dartmoor to the west side, then up around the north edge back to Exeter. 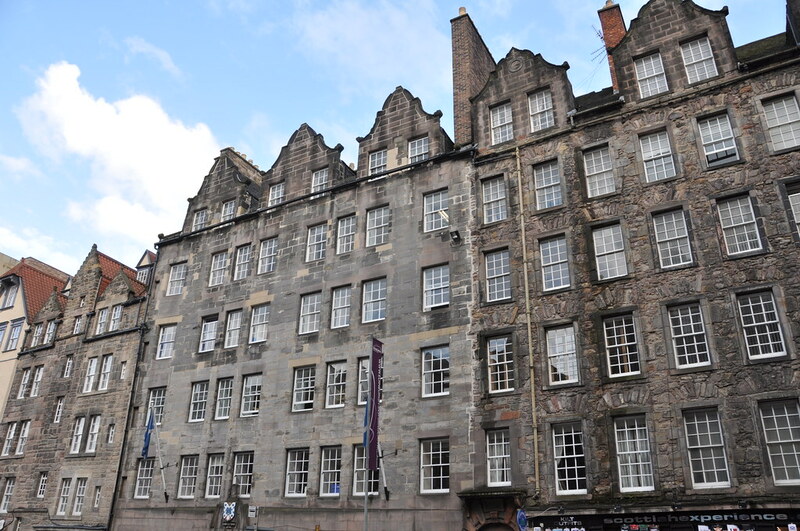 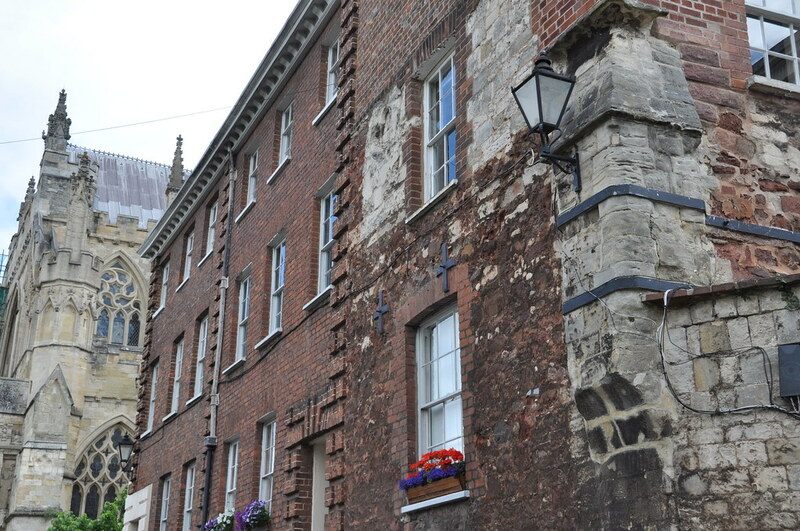 Along the way, I stopped to photograph these awesome-looking buildings. 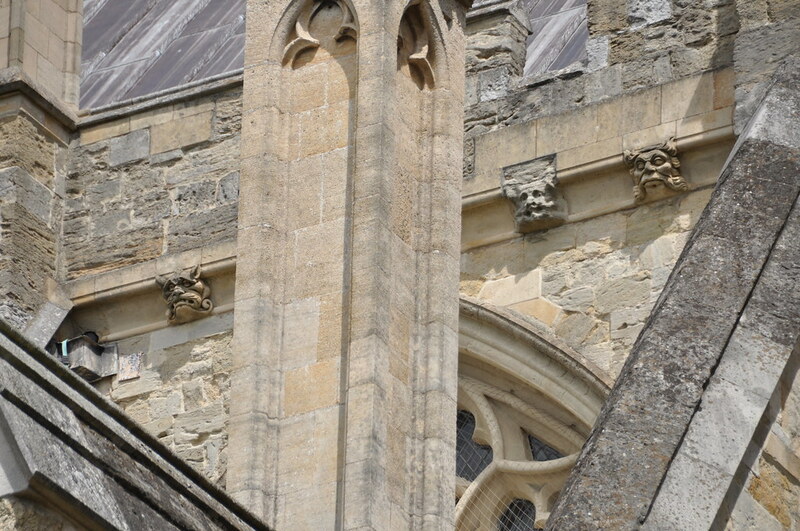 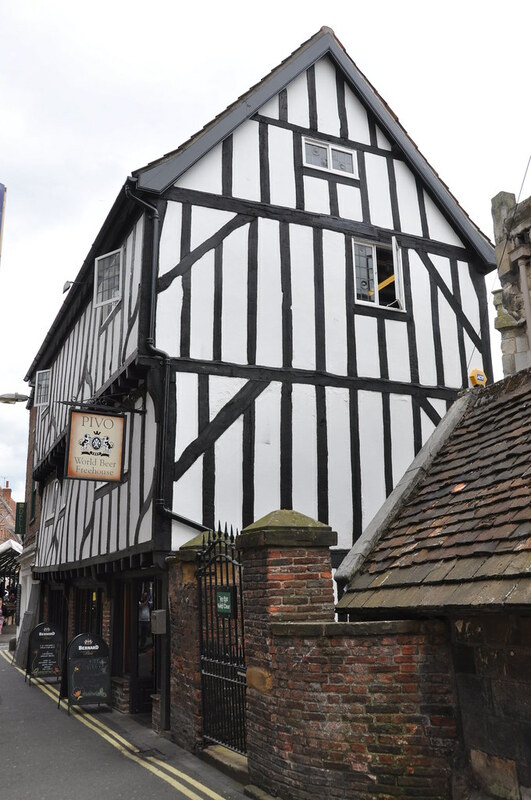 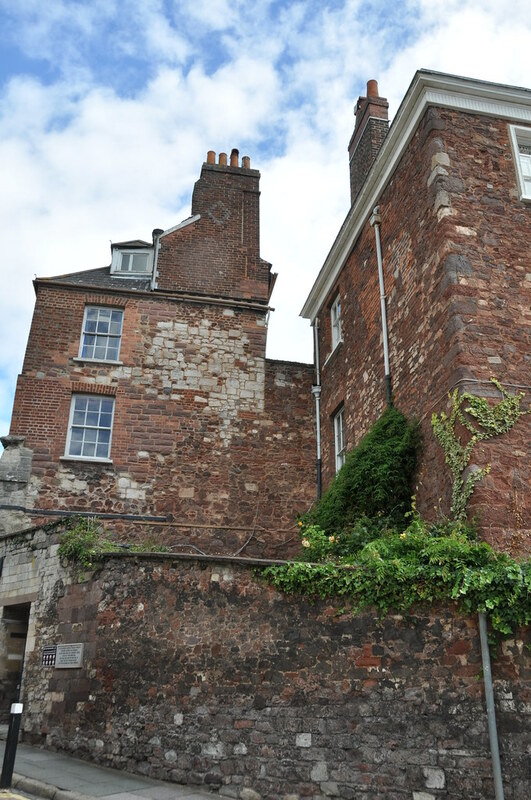 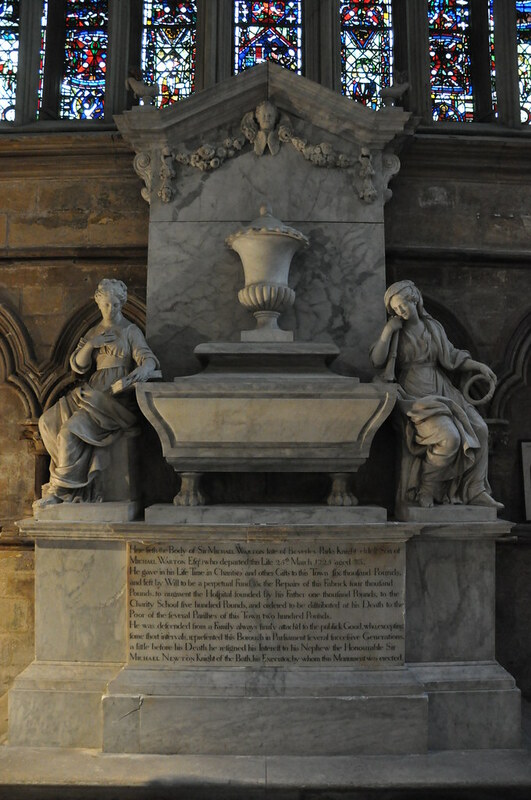 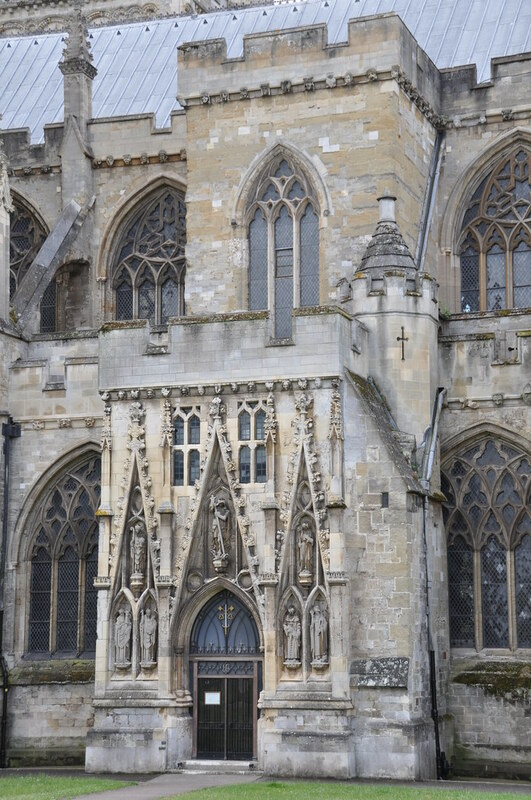 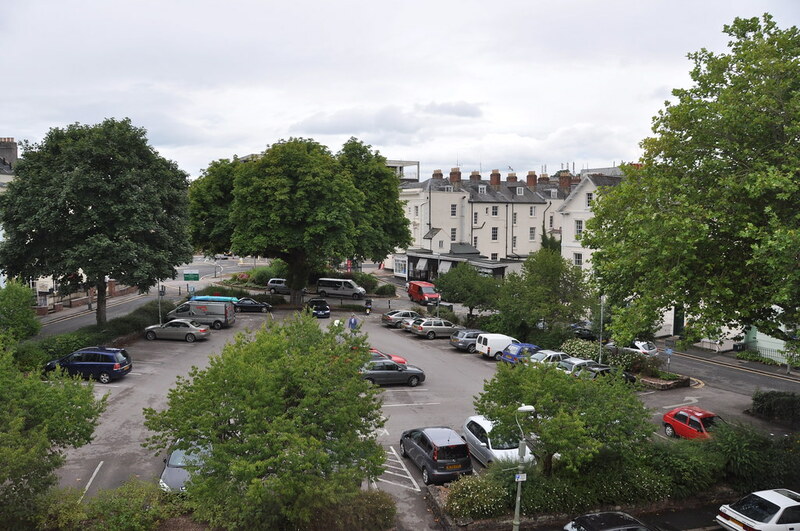 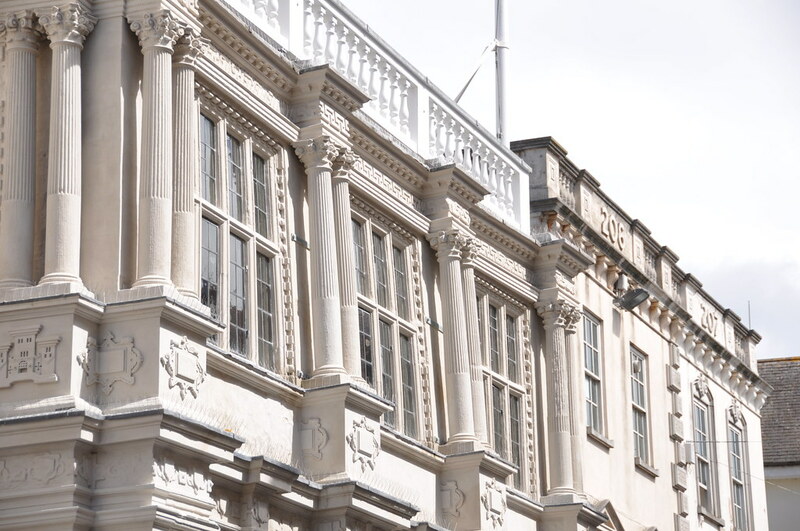 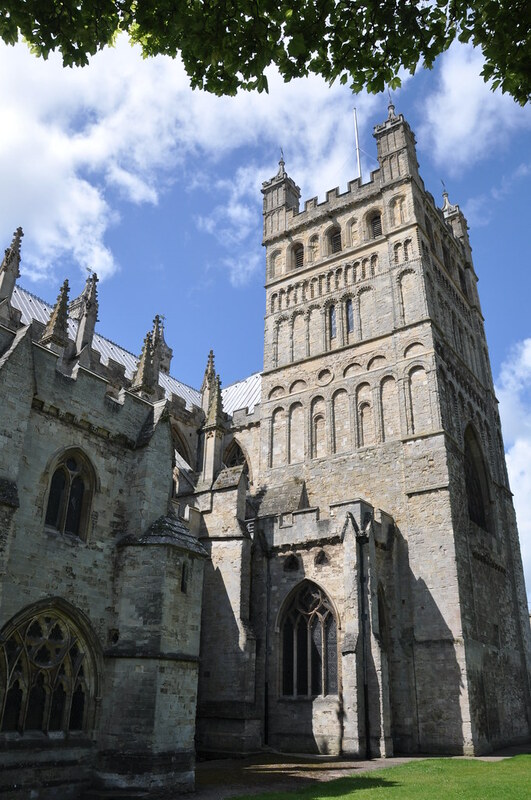 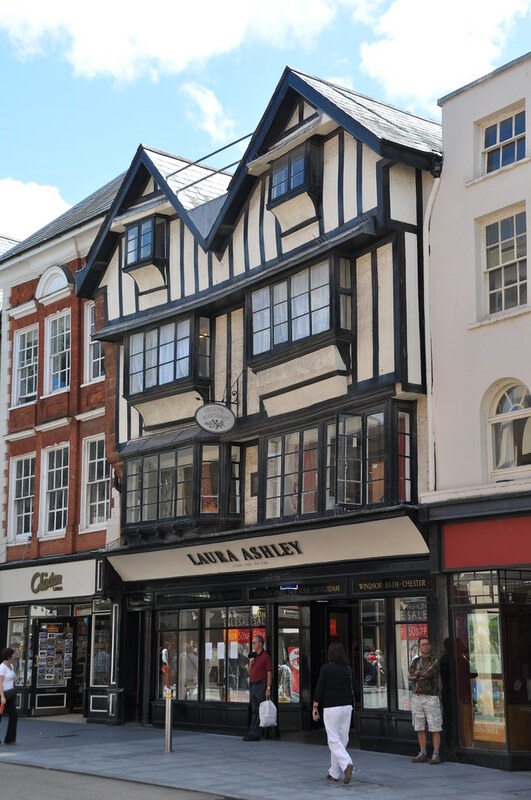 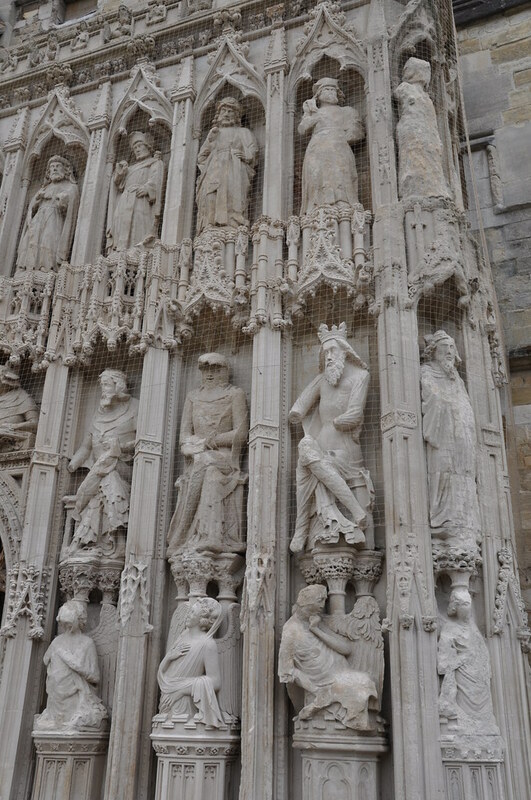 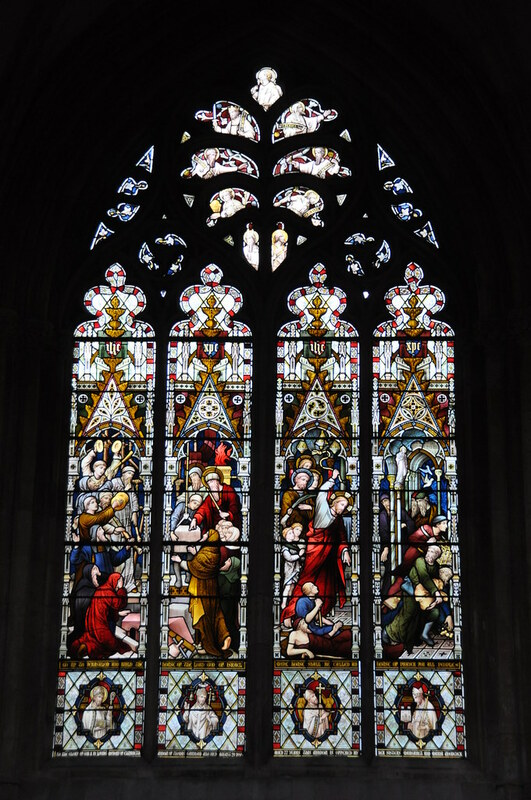 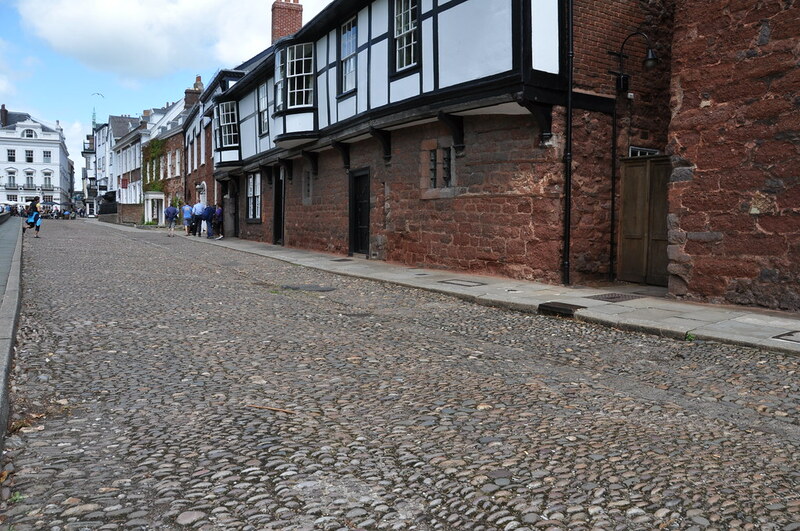 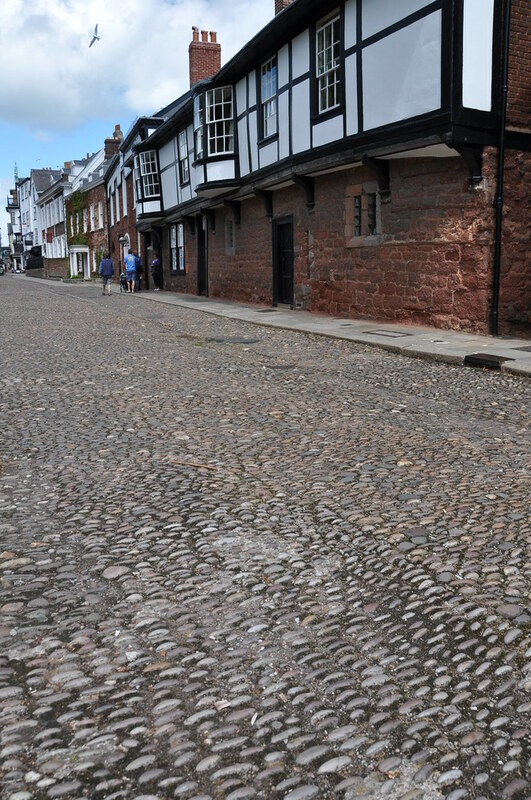 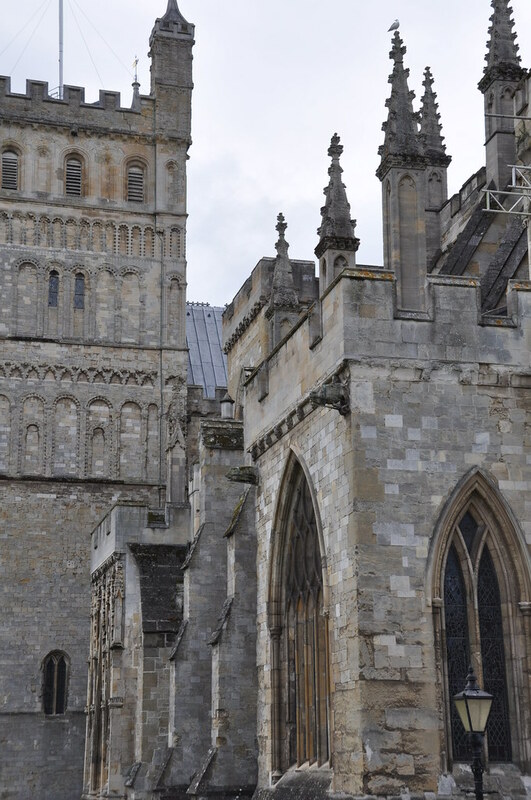 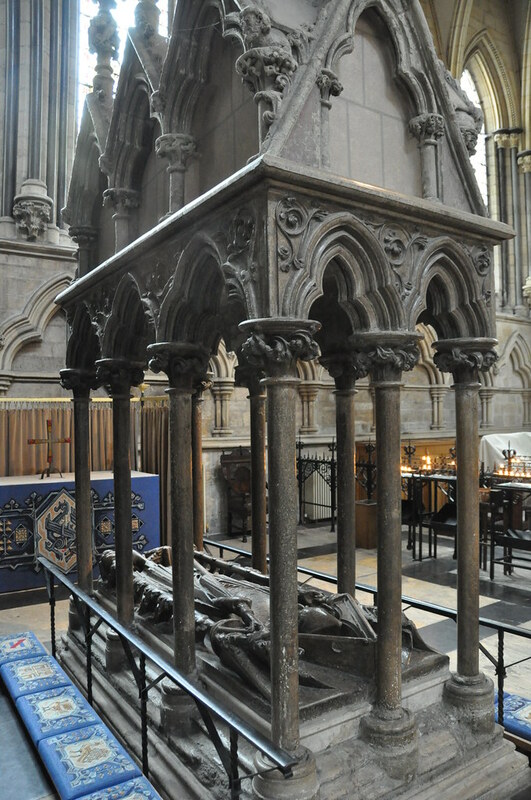 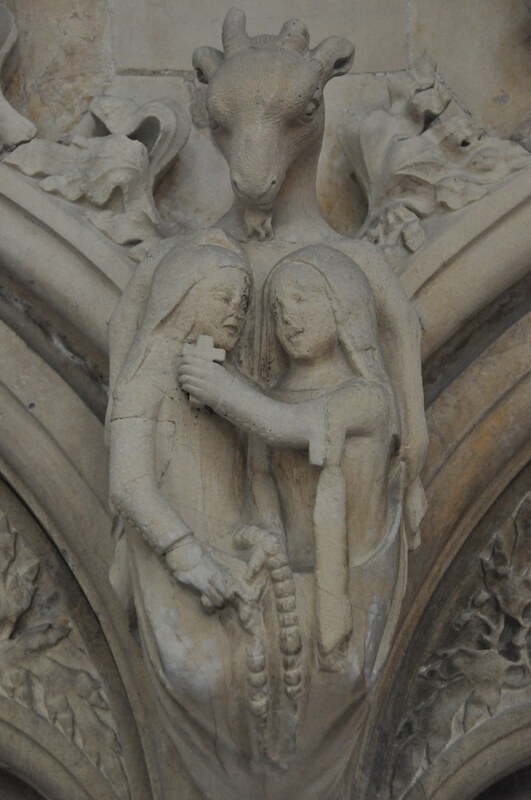 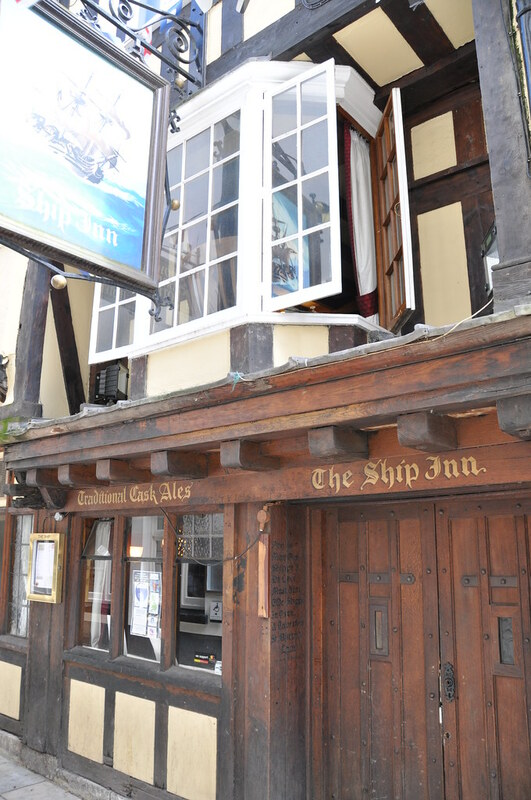 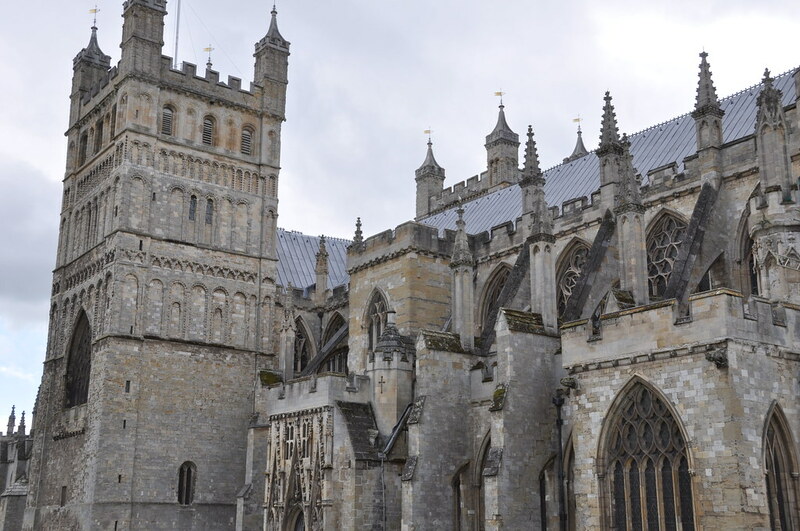 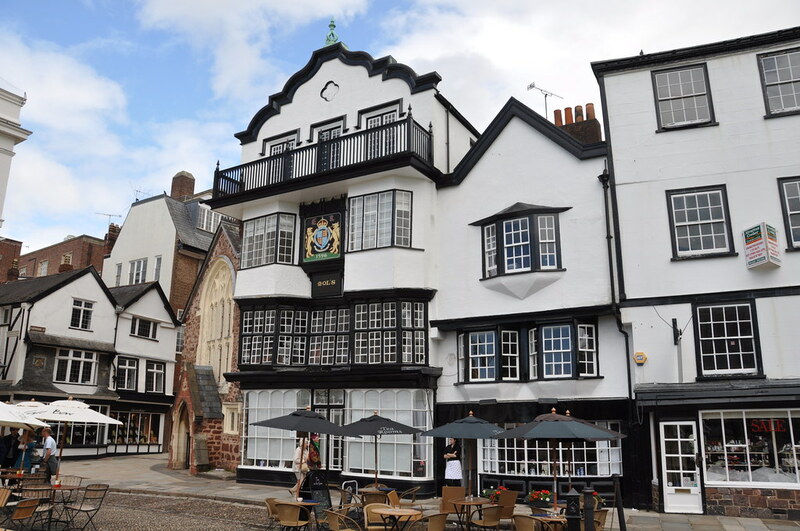 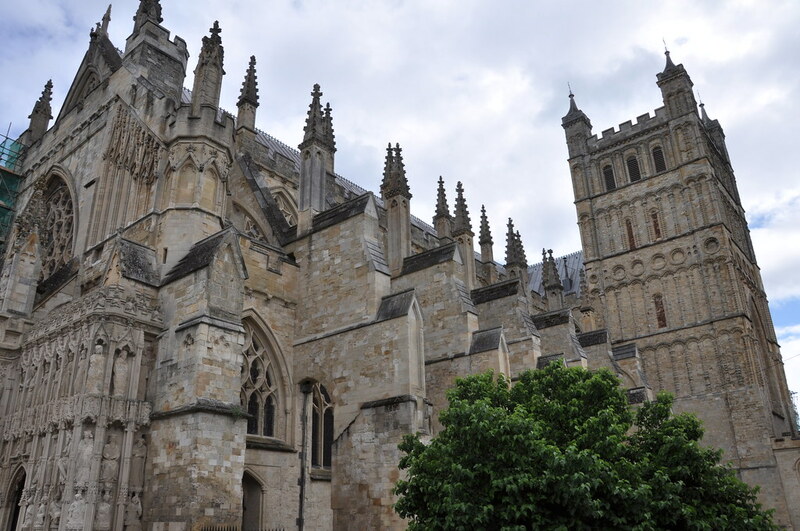 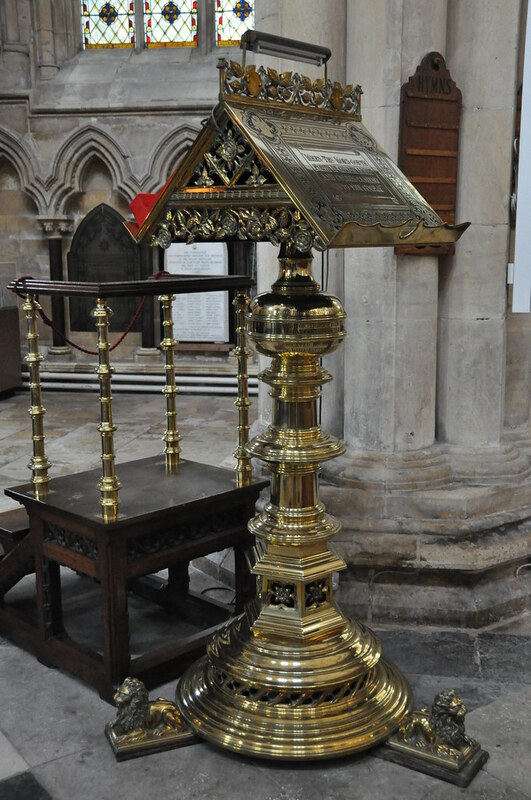 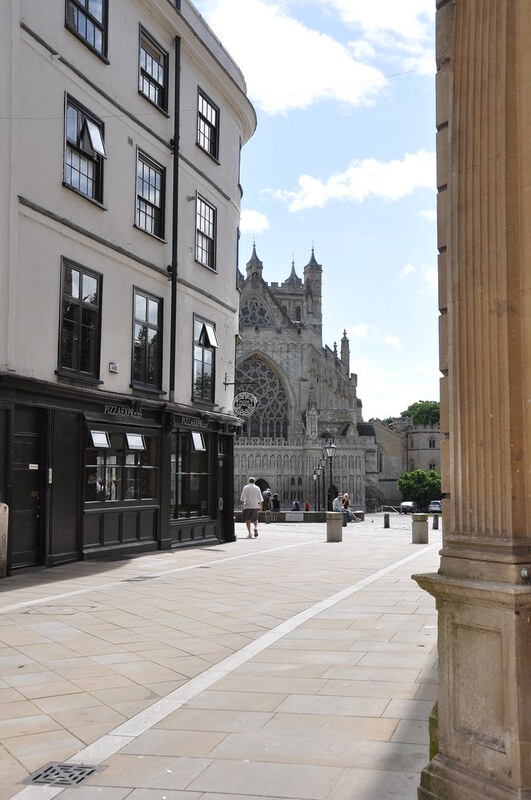 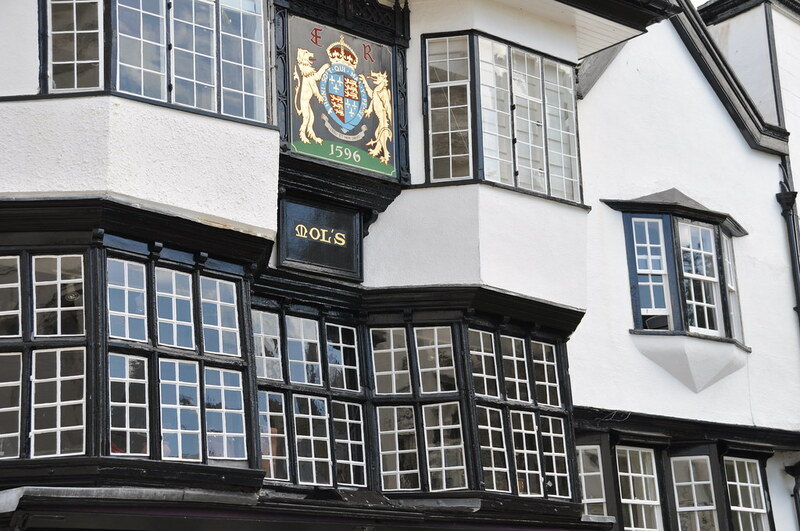 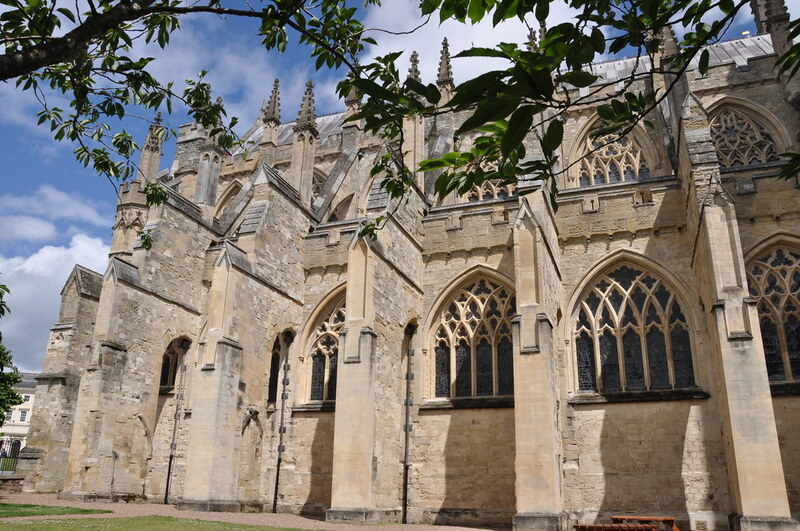 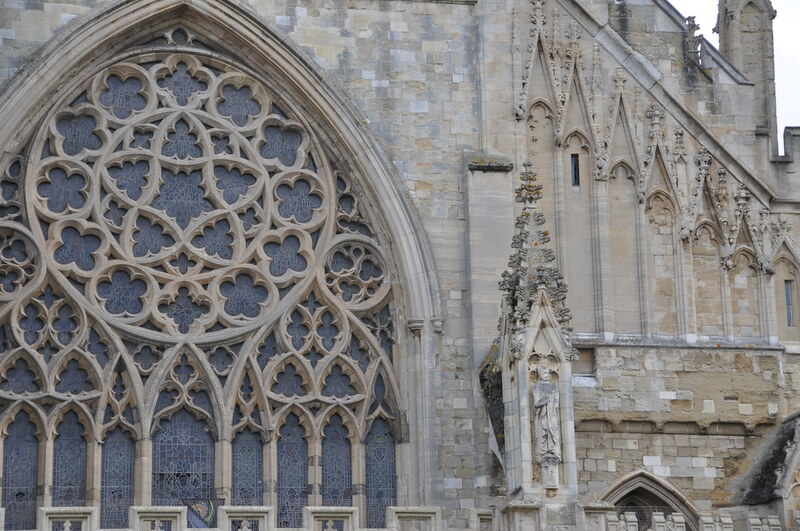 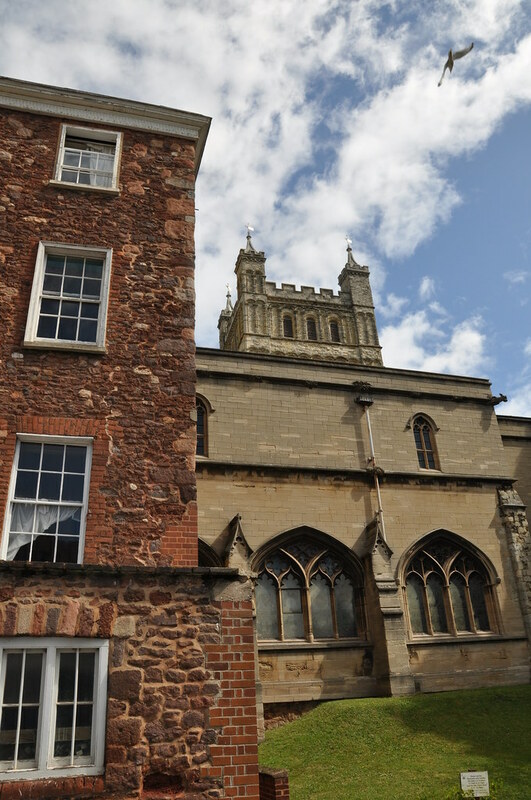 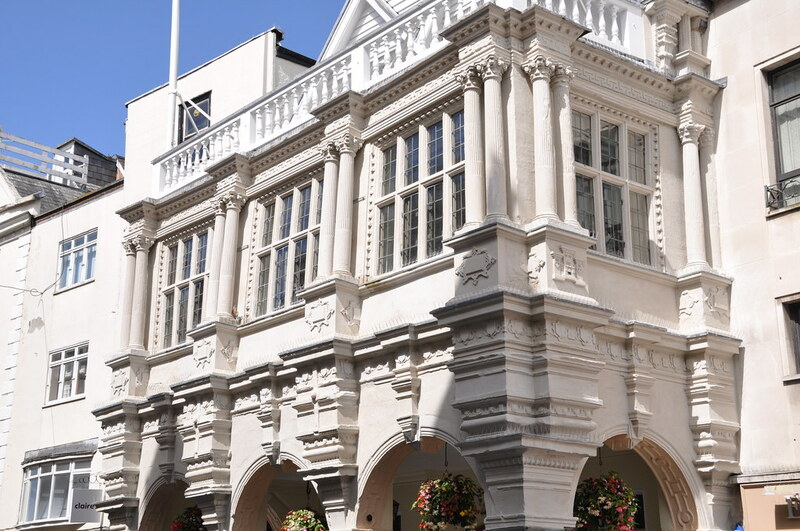 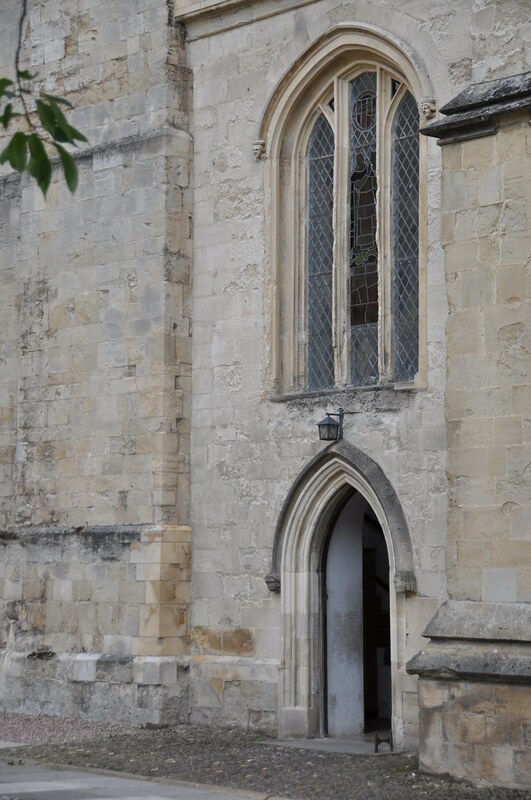 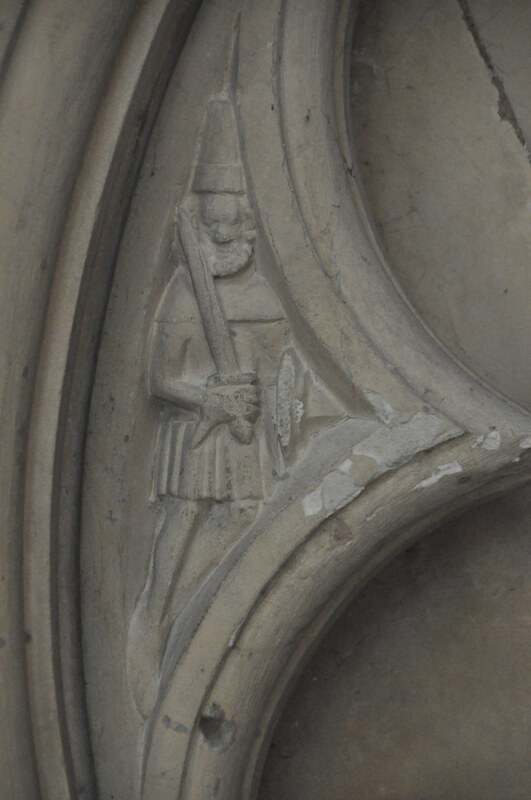 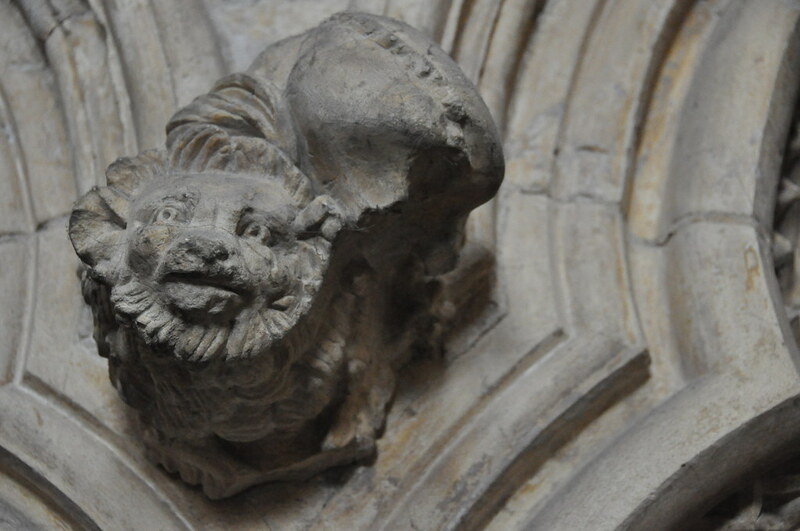 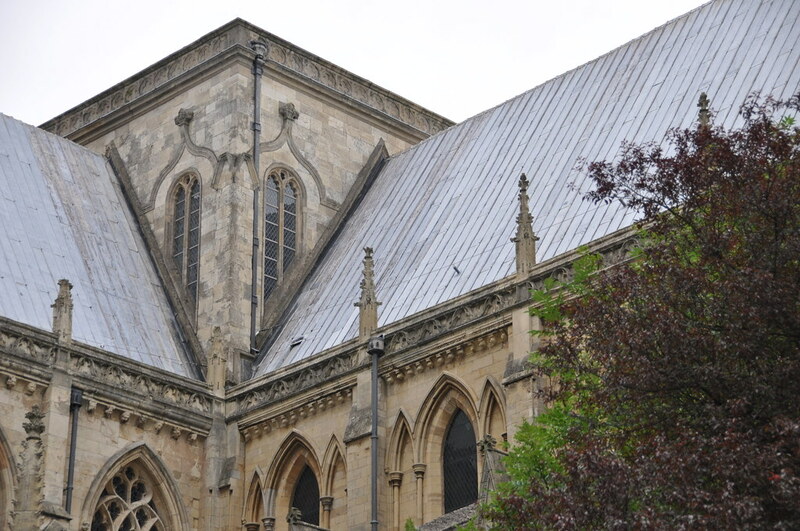 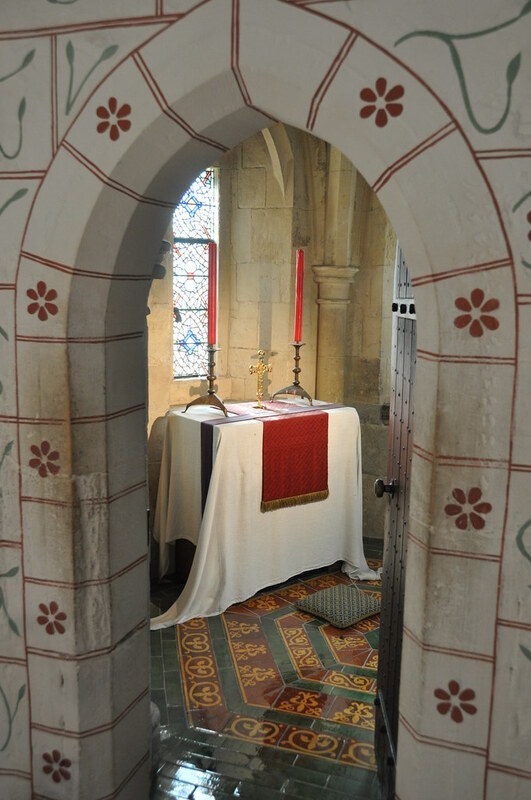 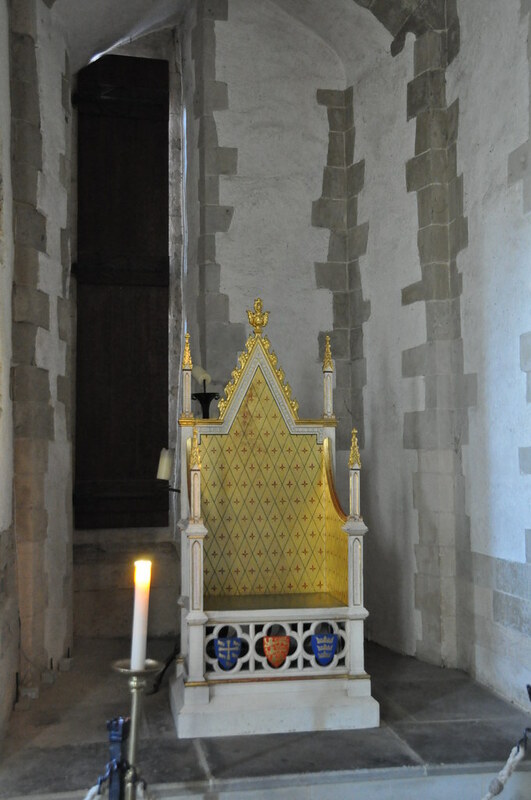 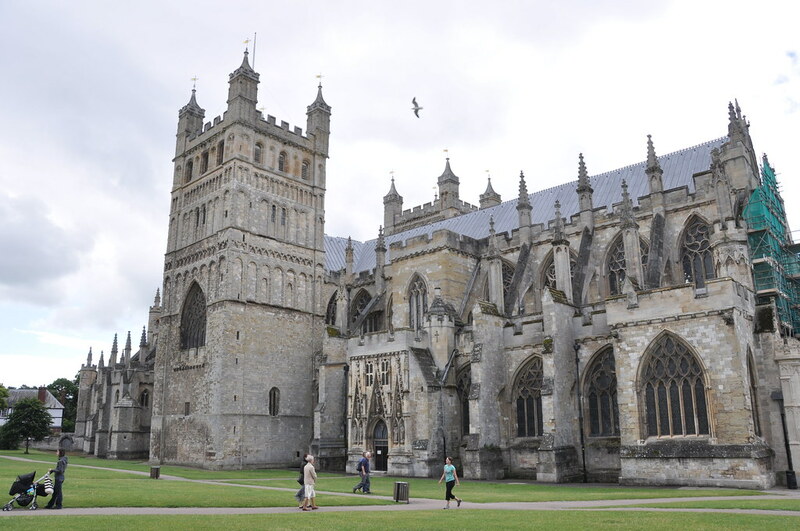 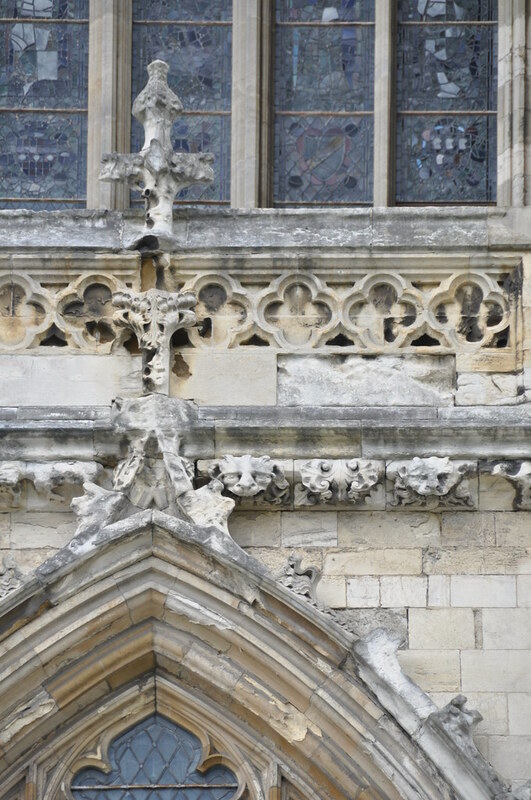 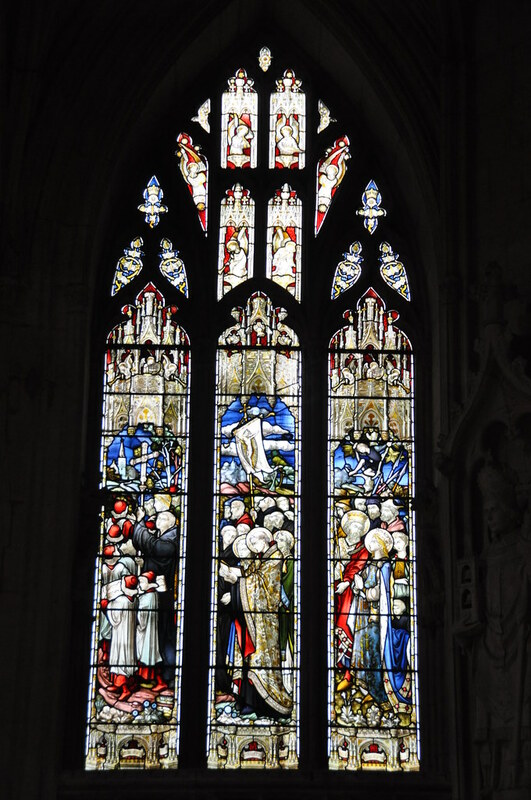 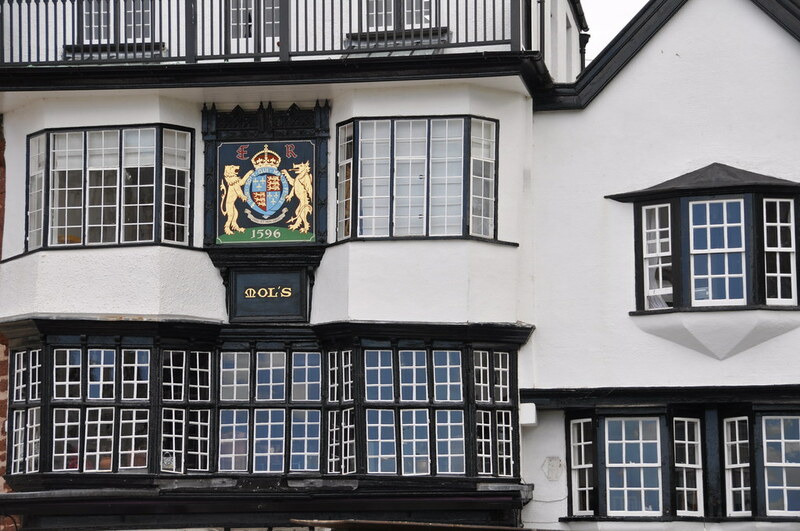 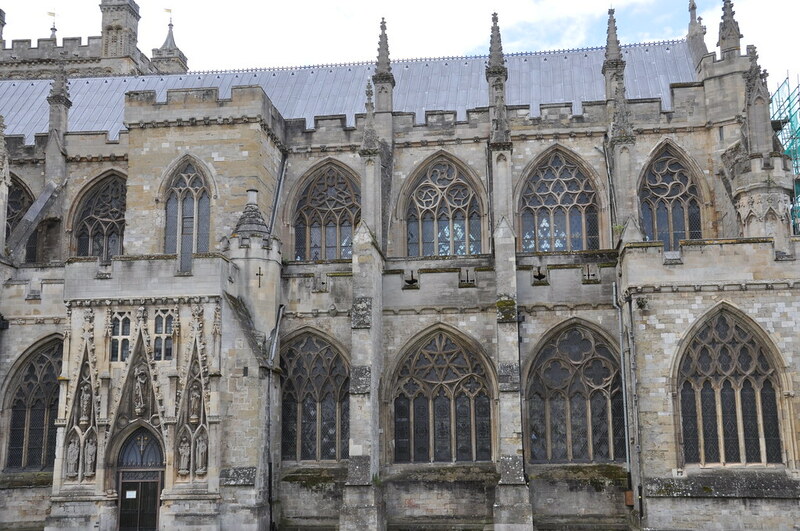 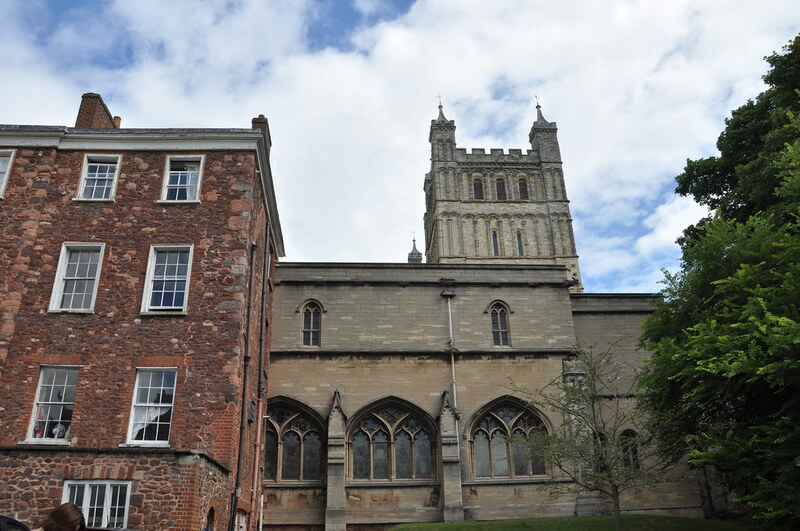 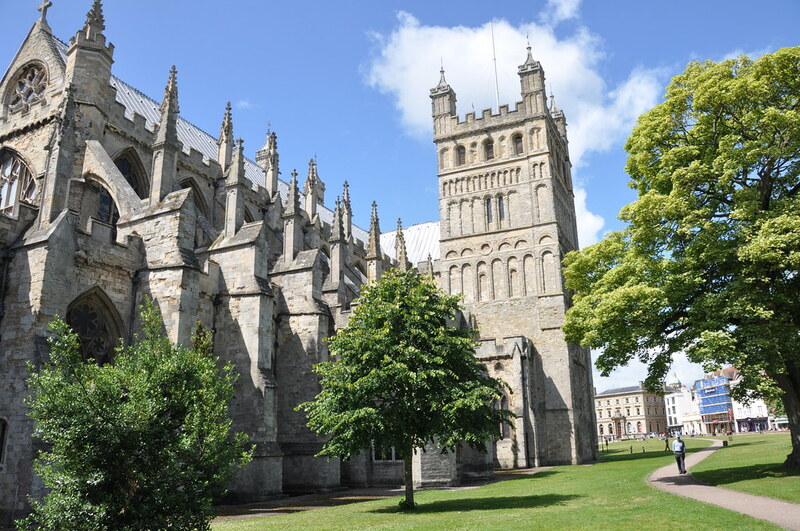 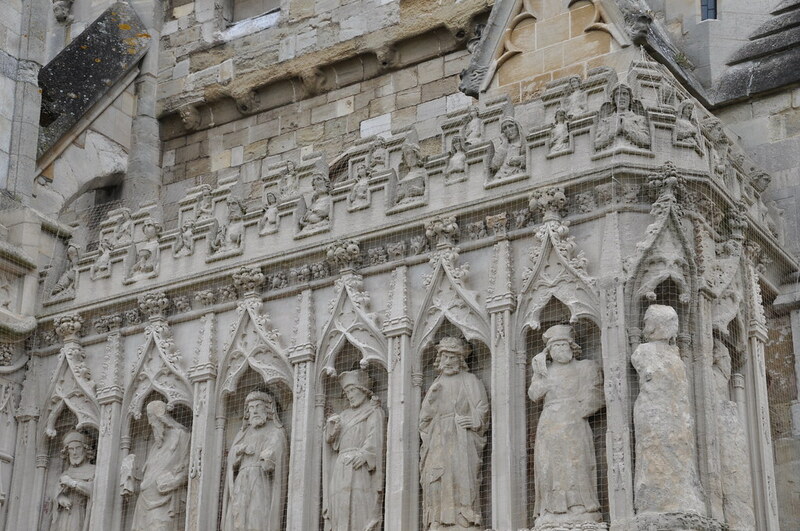 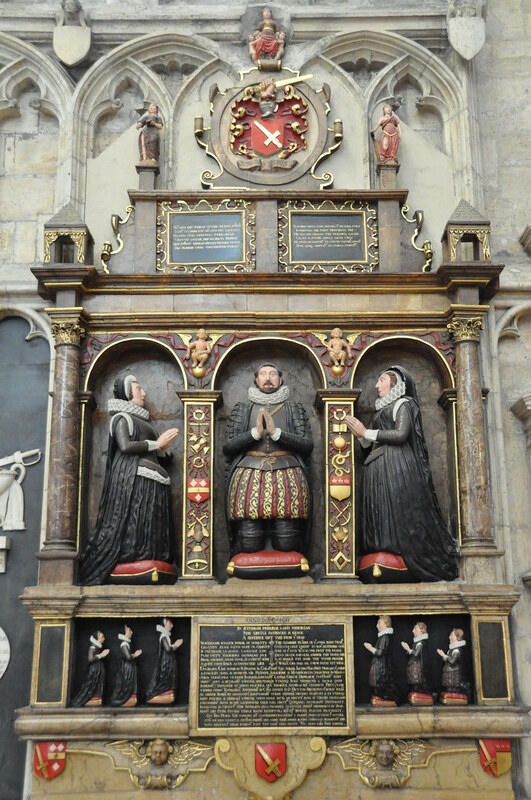 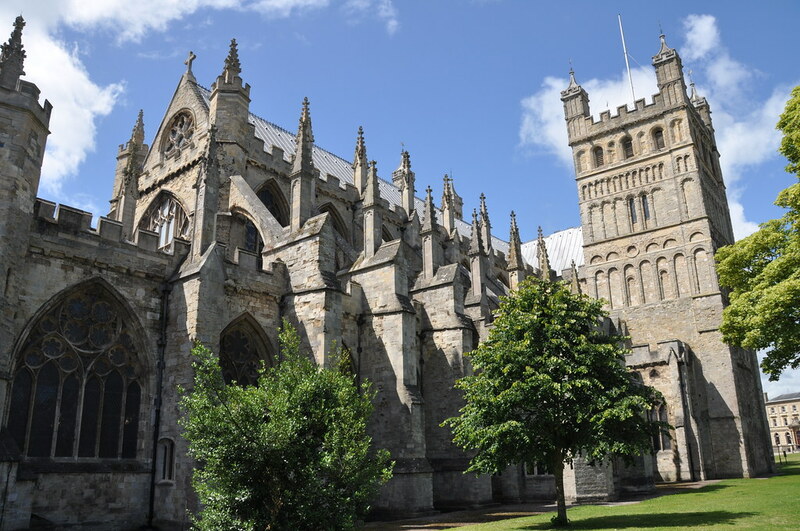 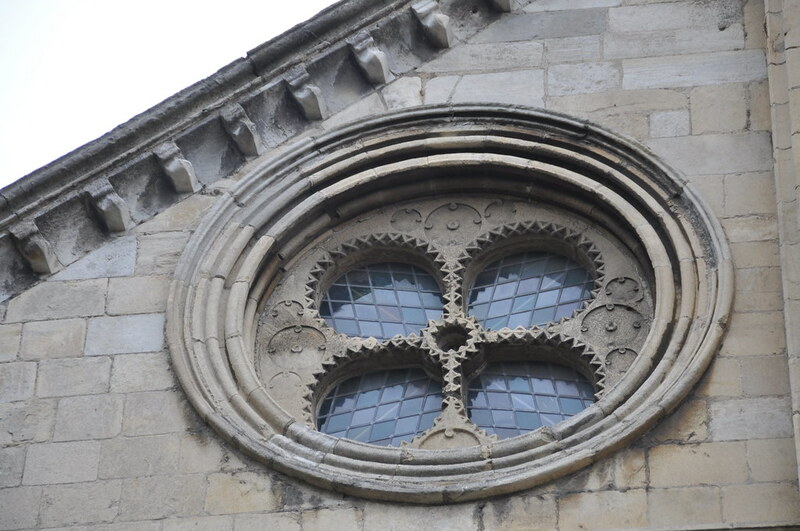 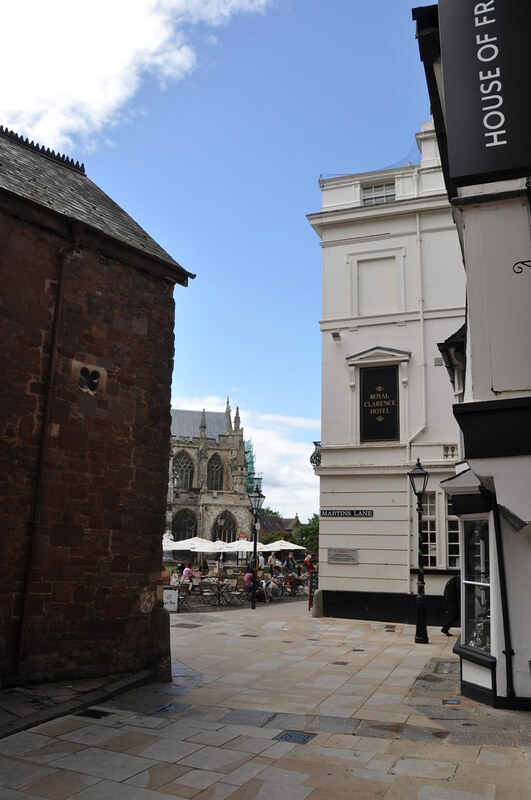 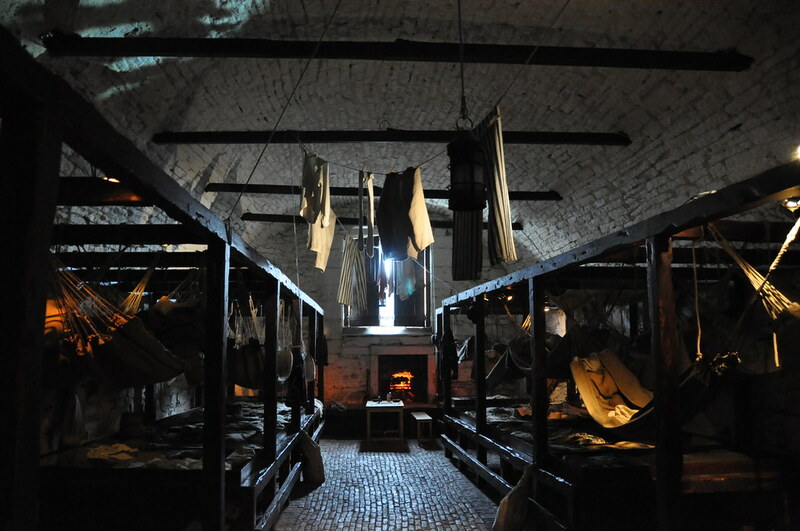 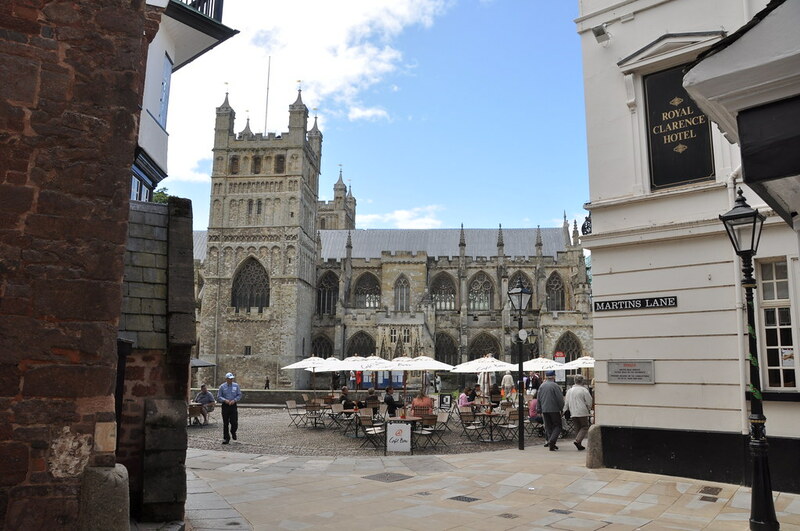 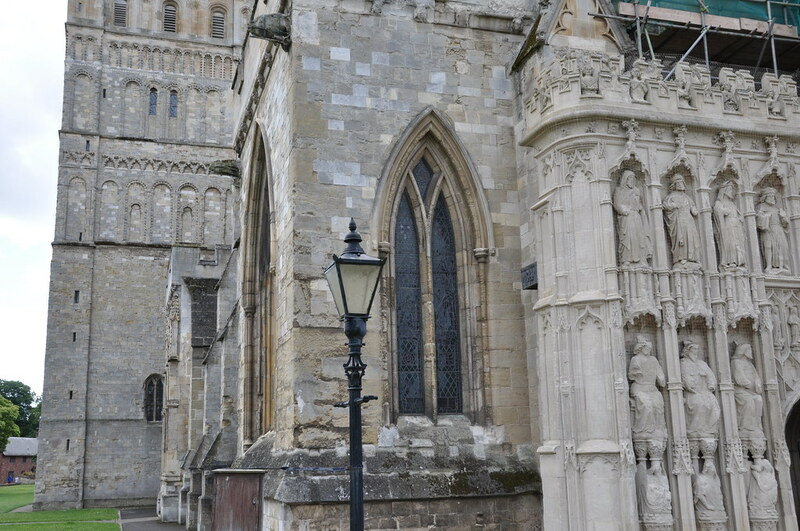 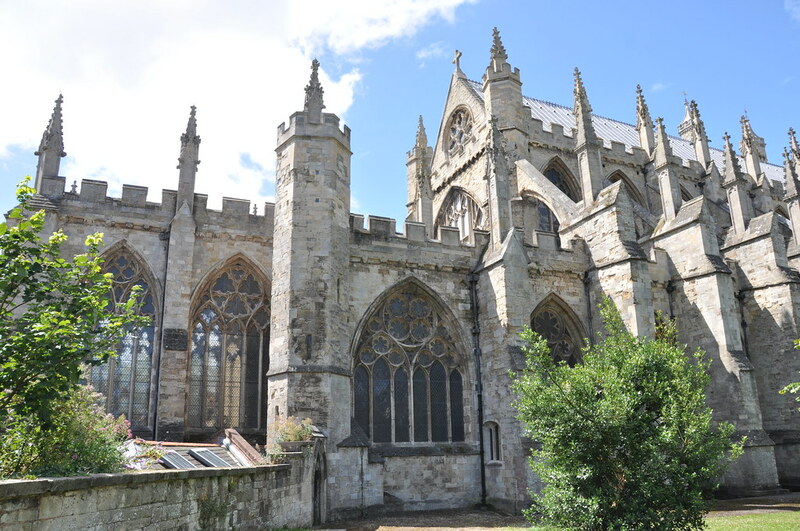 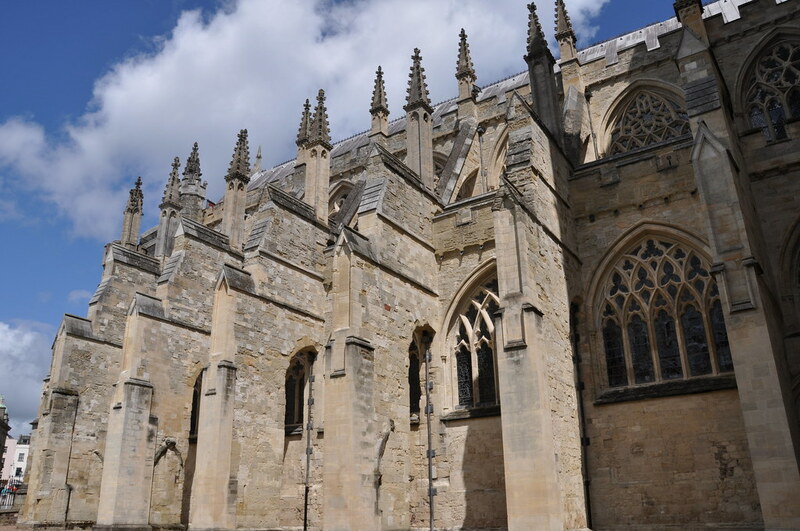 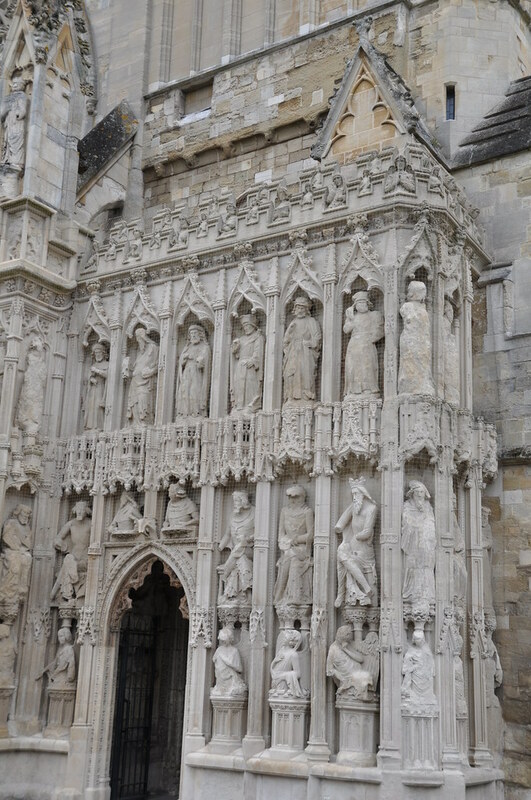 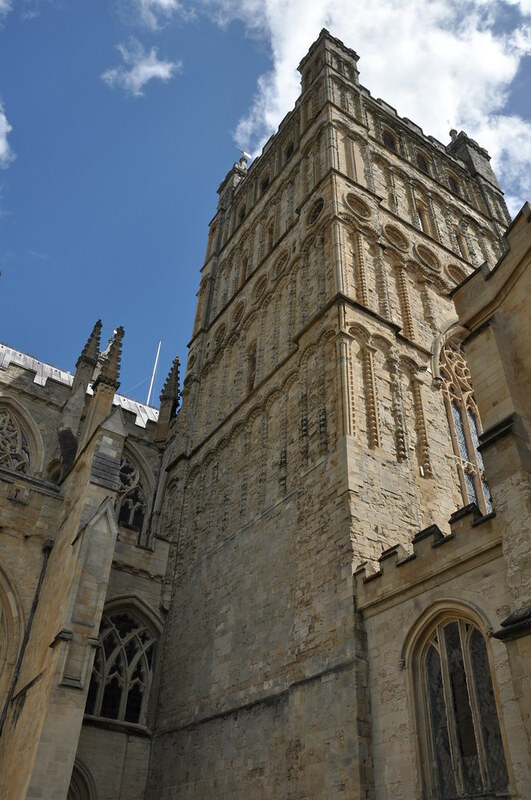 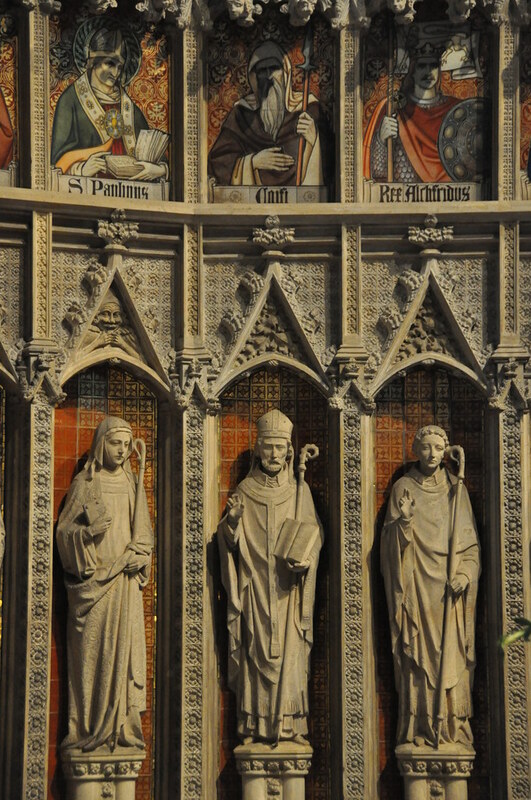 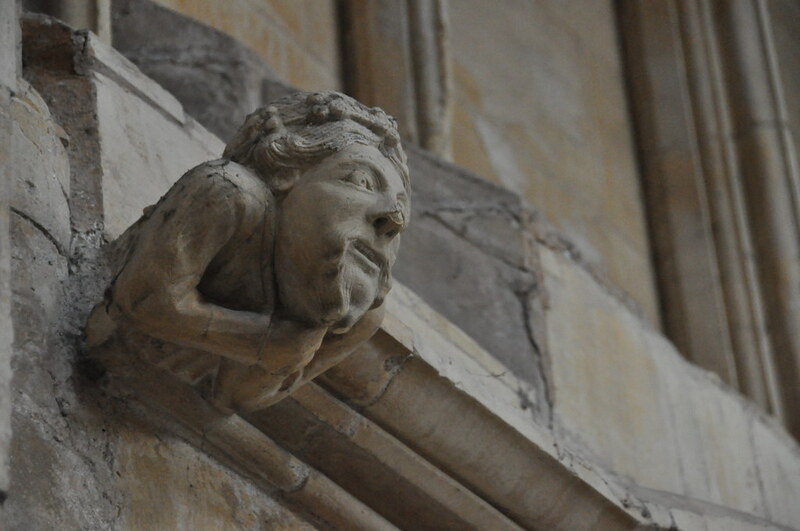 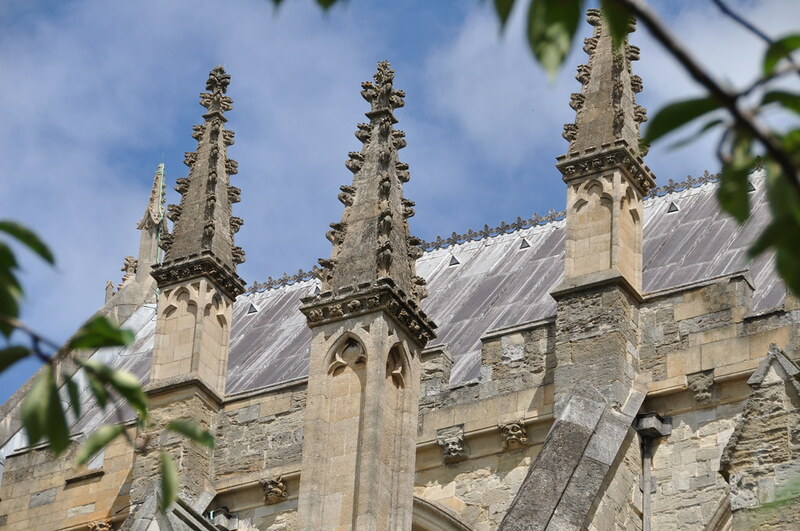 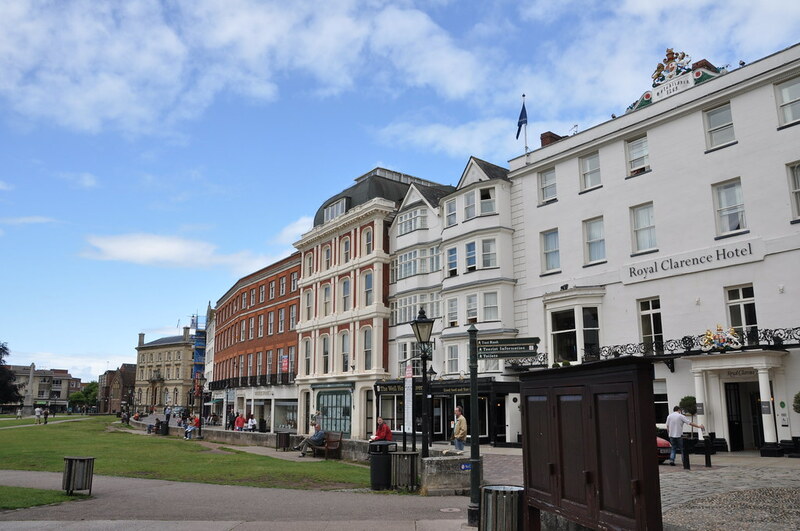 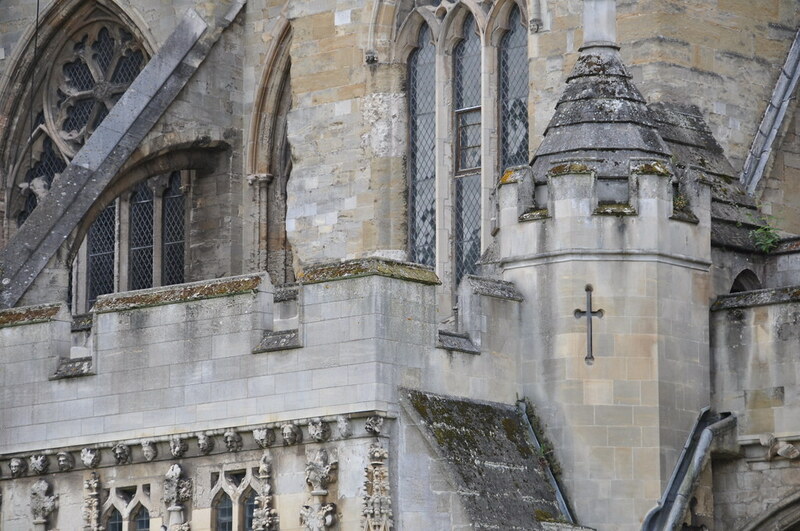 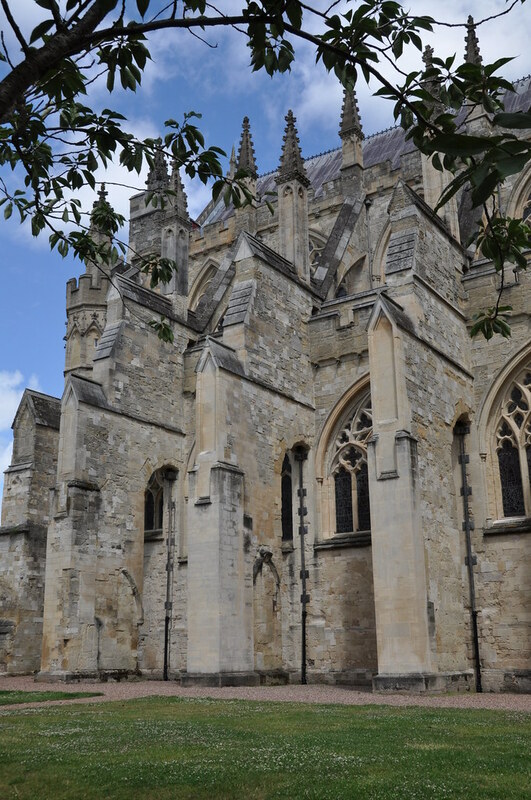 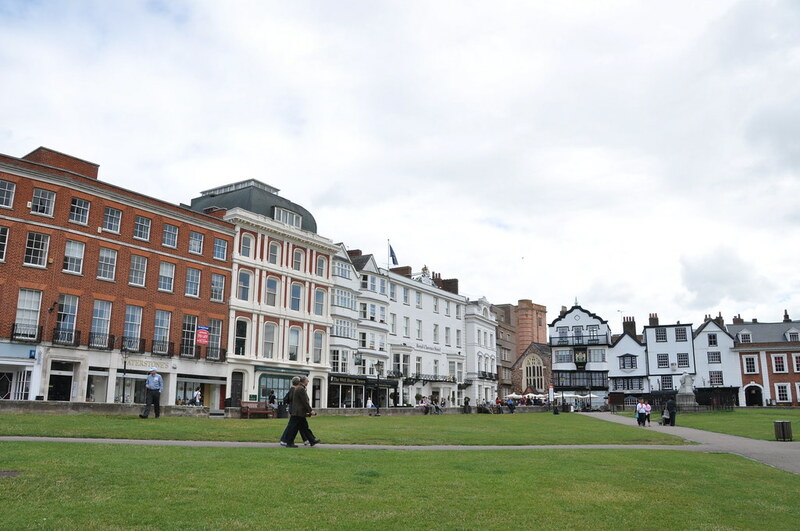 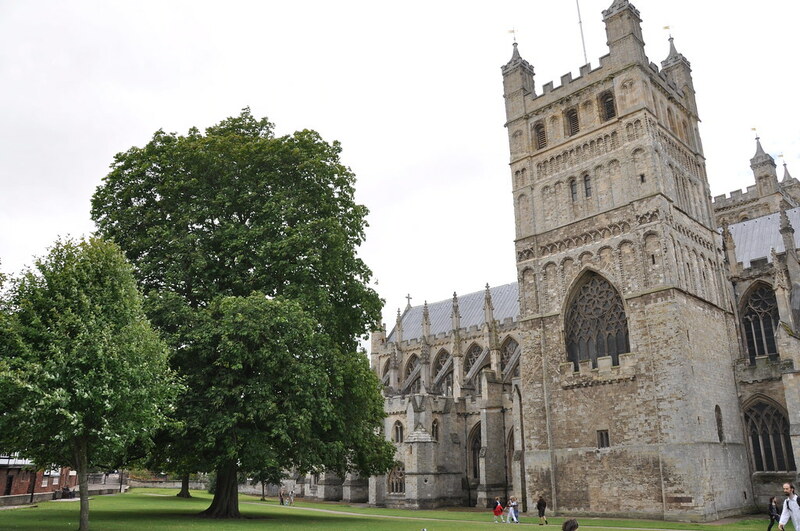 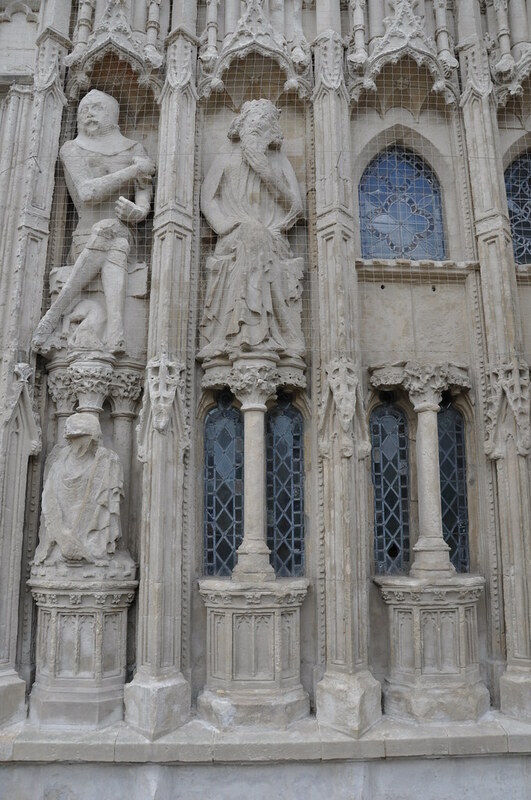 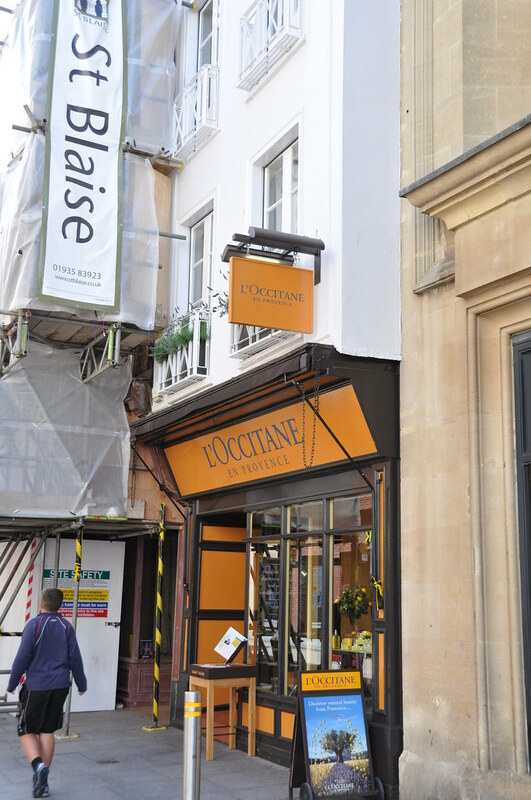 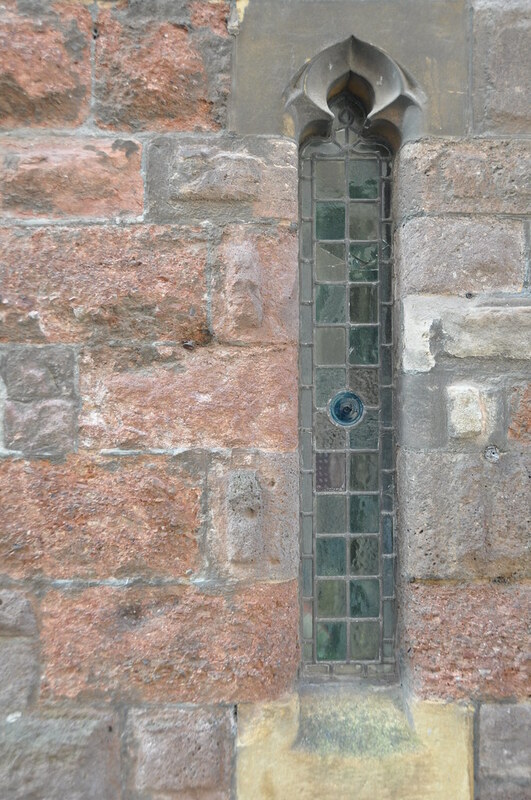 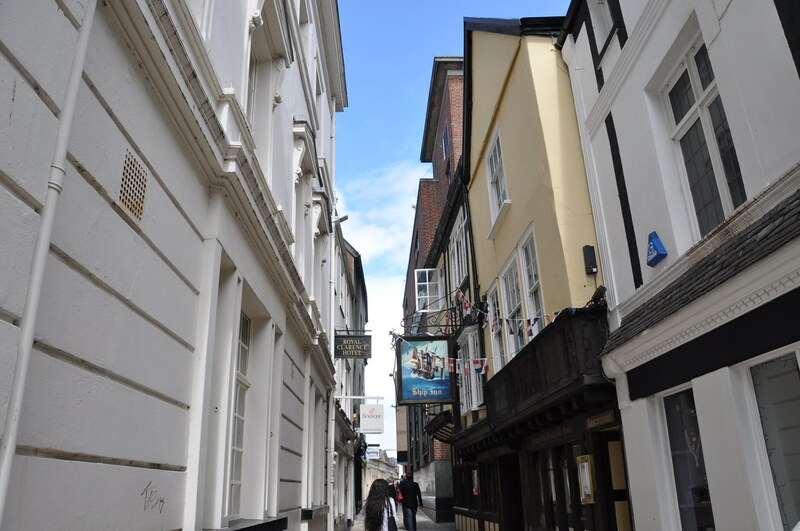 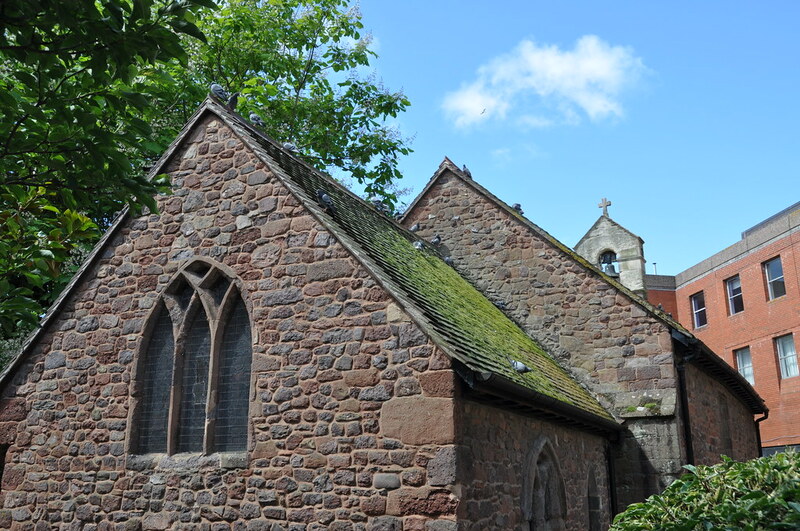 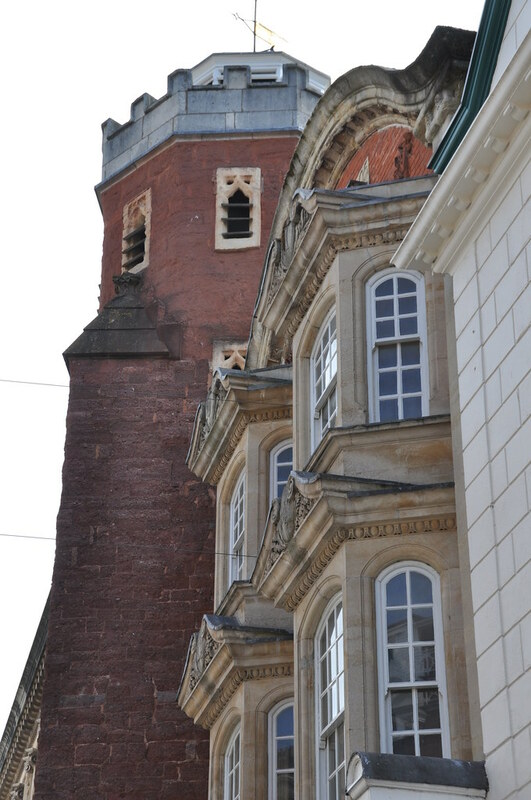 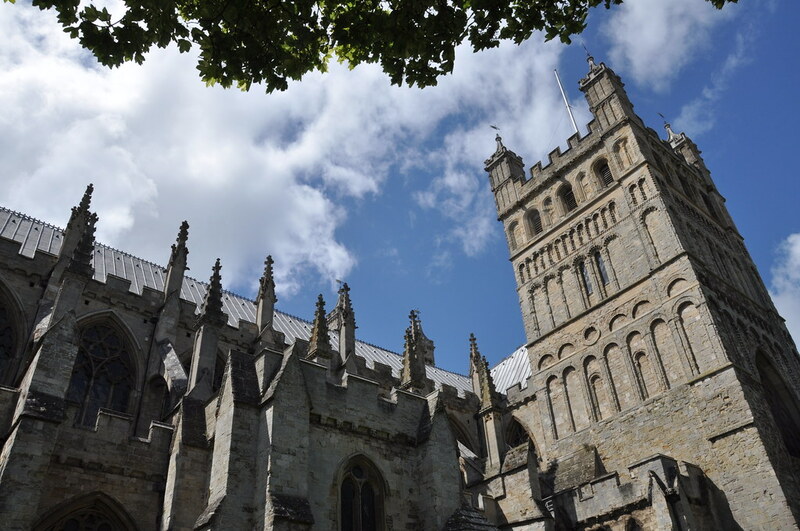 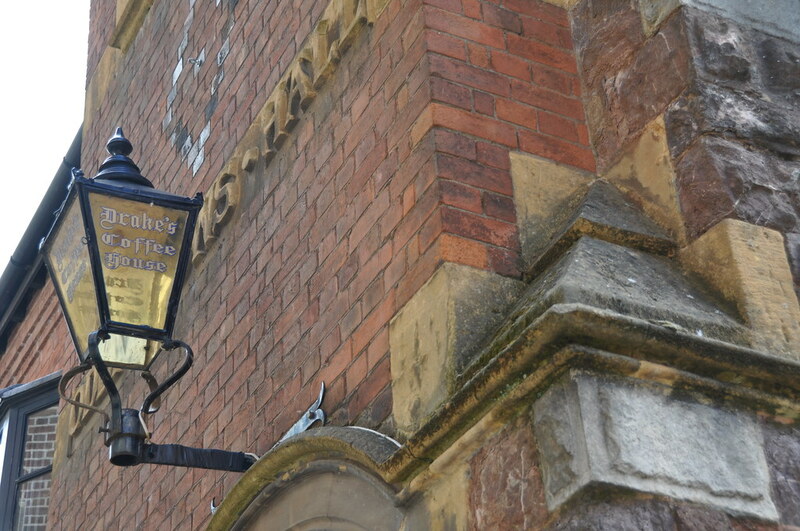 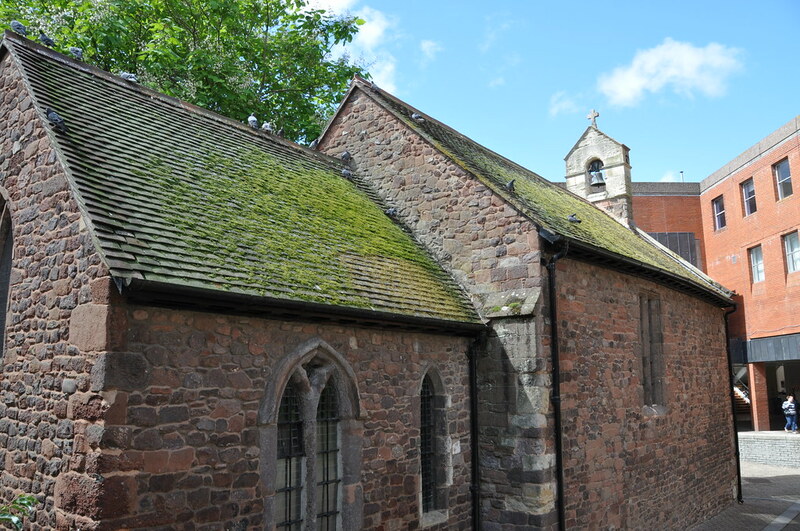 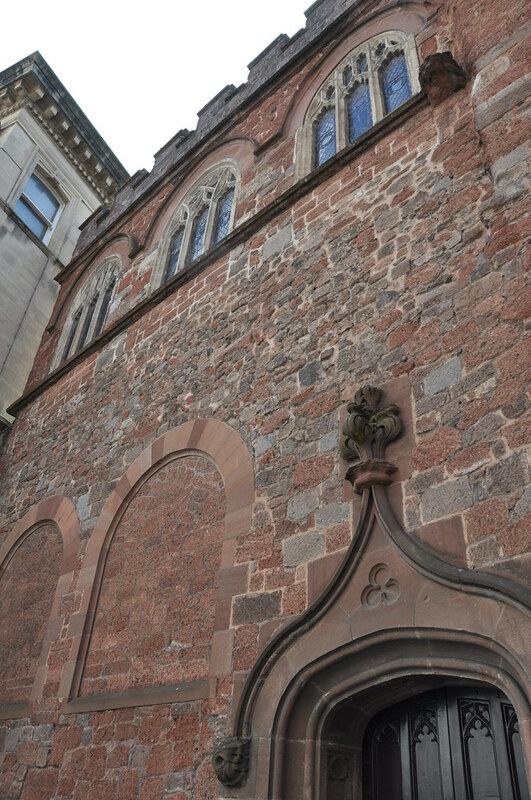 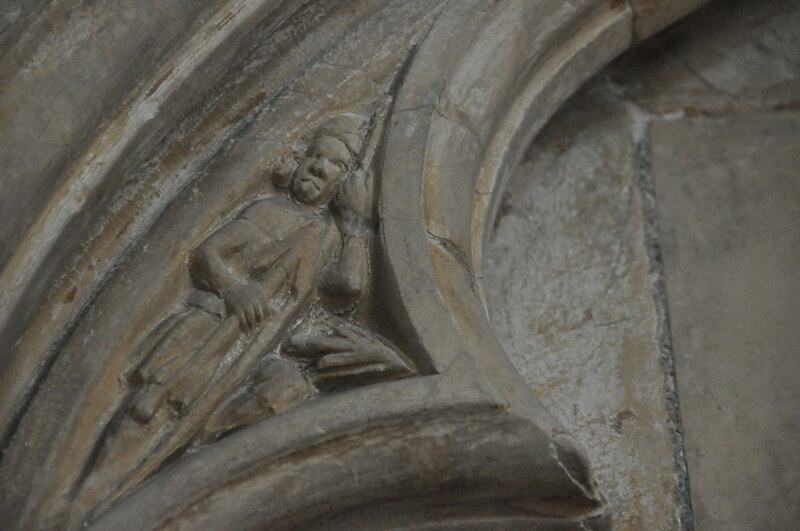 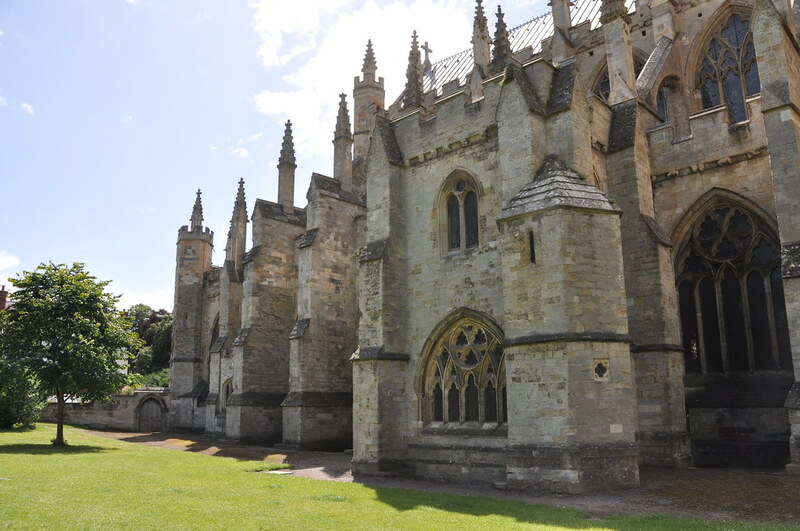 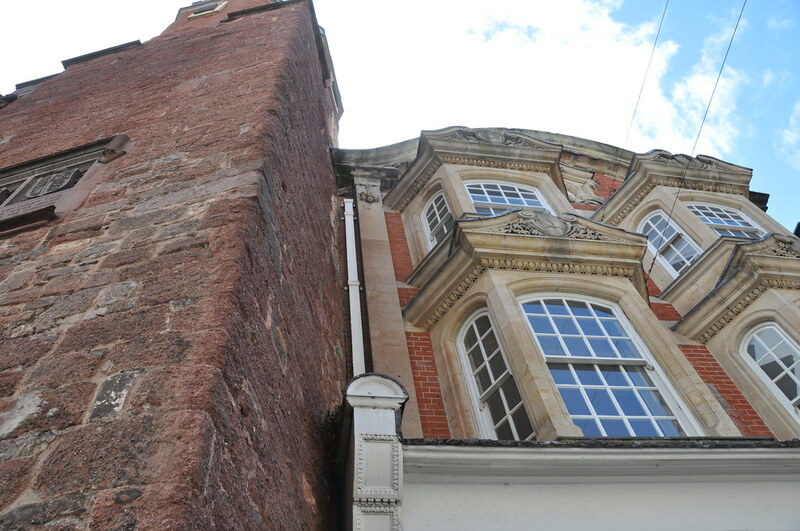 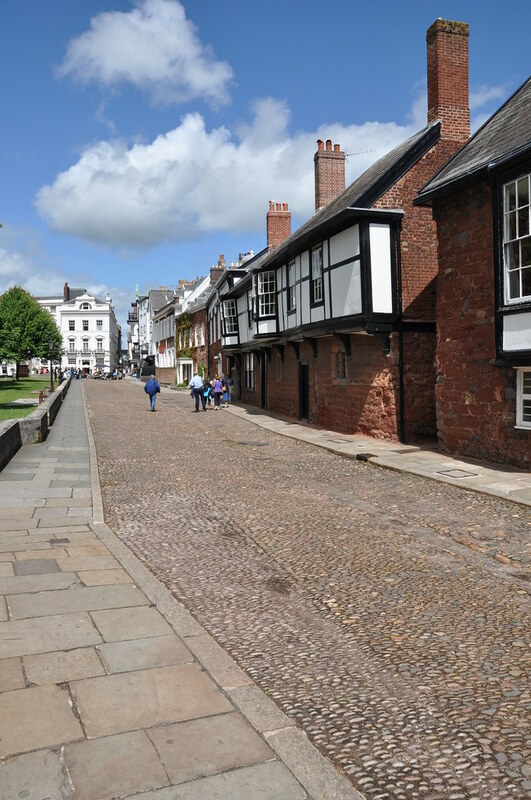 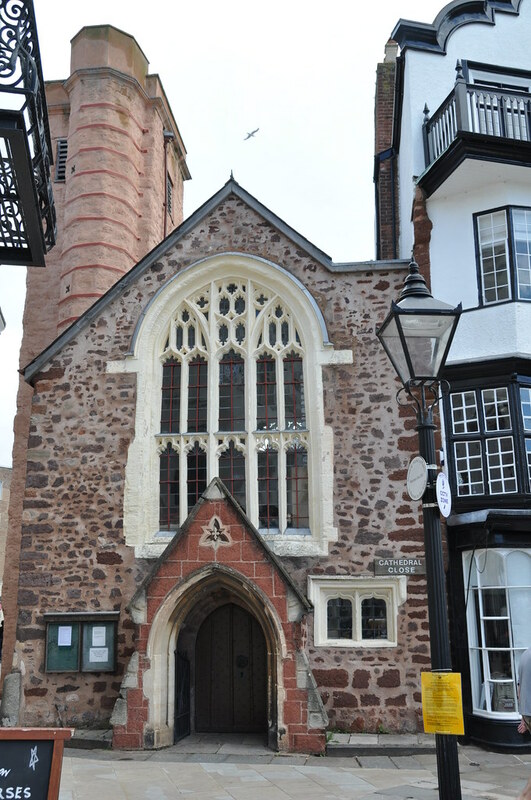 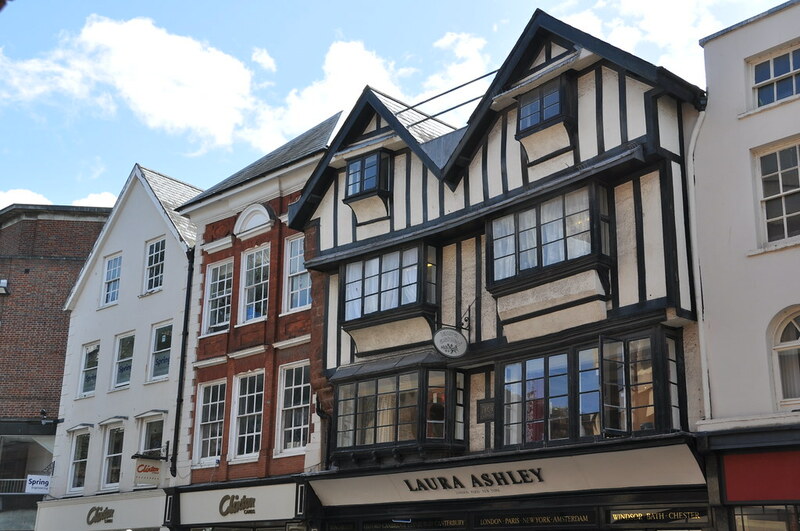 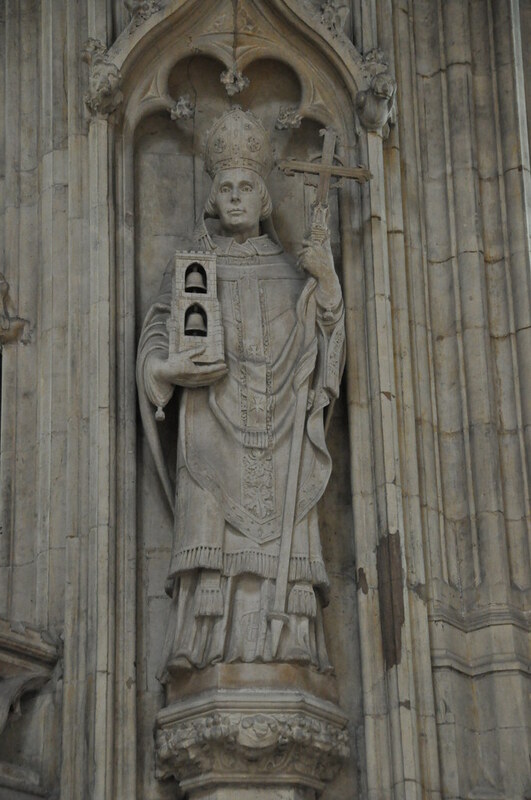 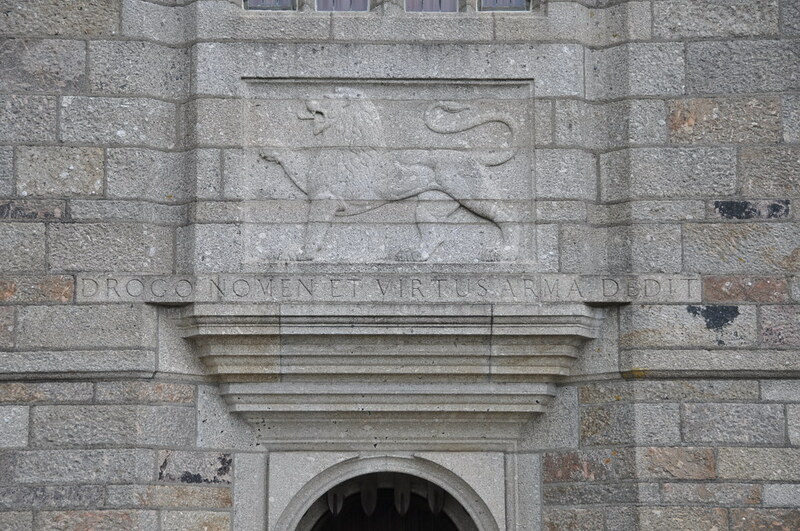 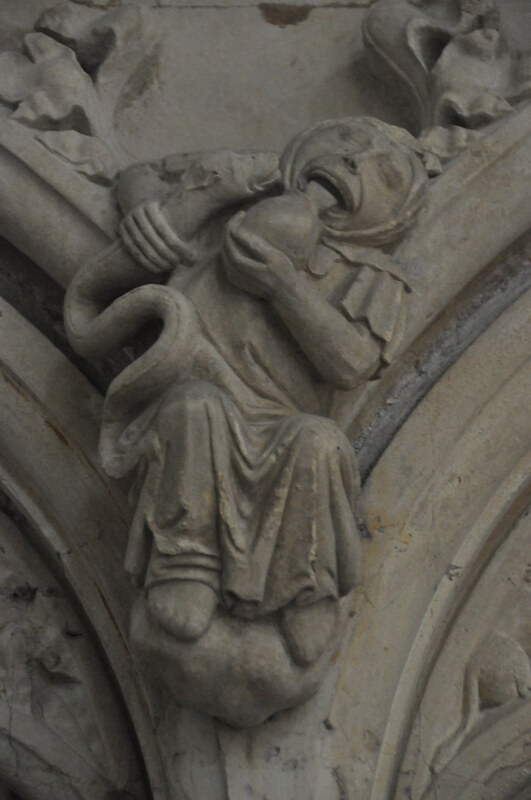 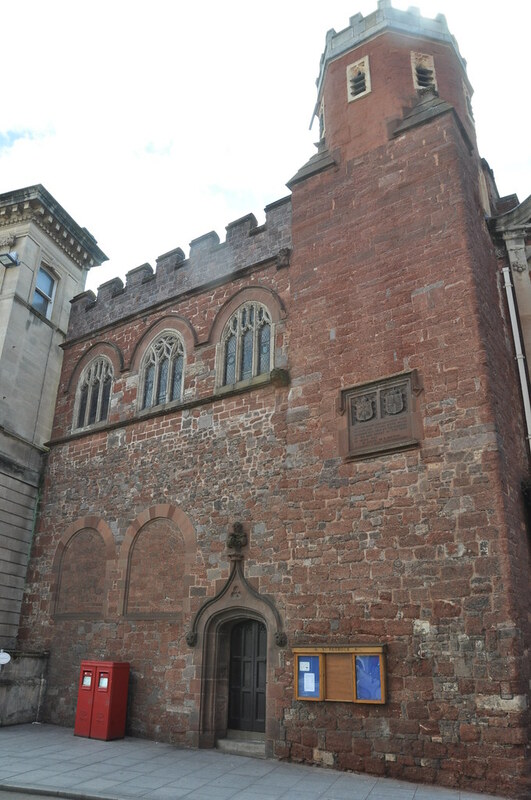 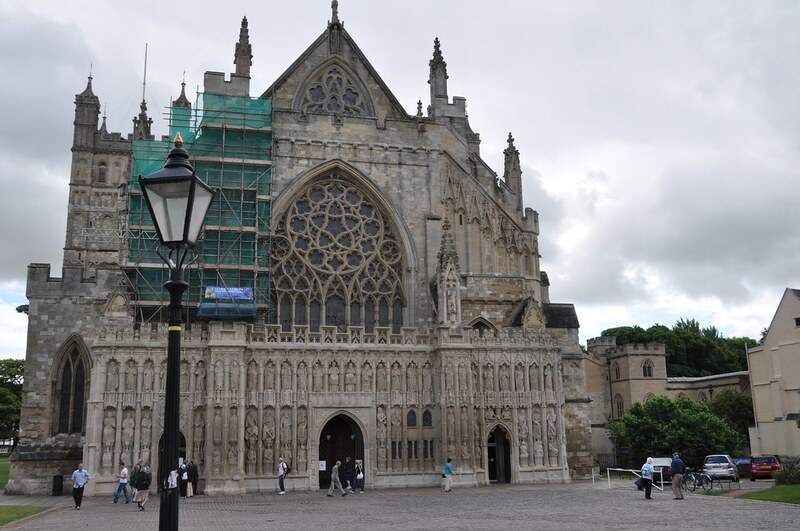 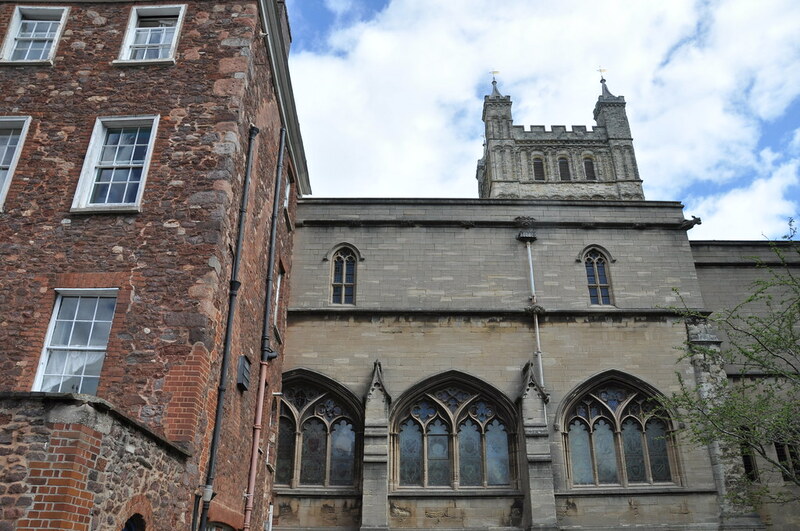 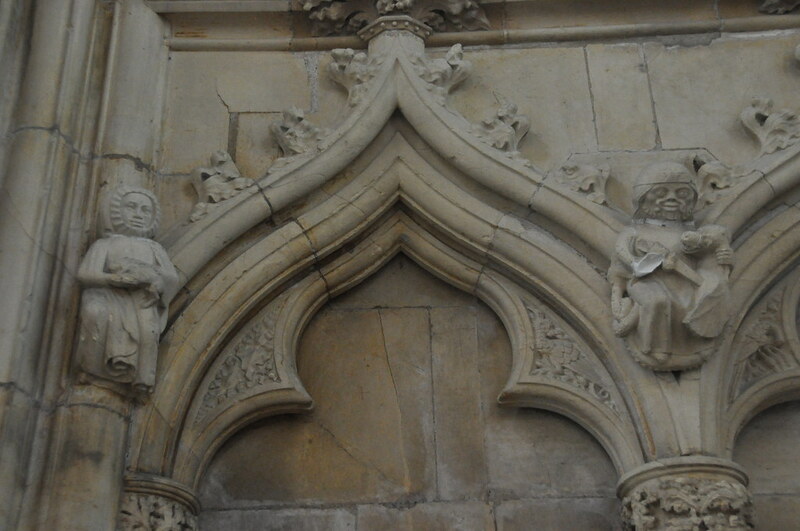 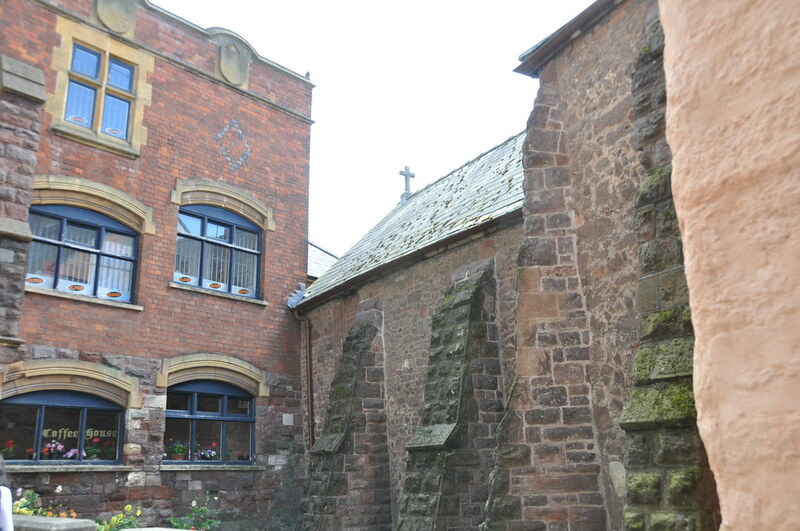 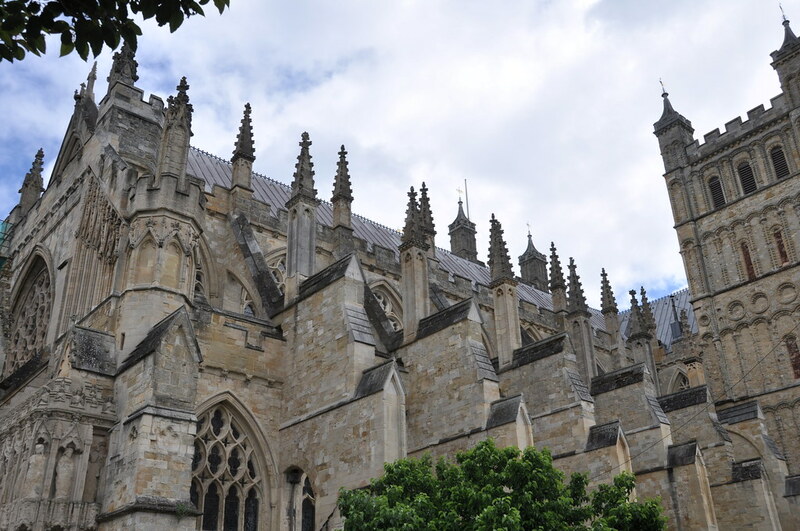 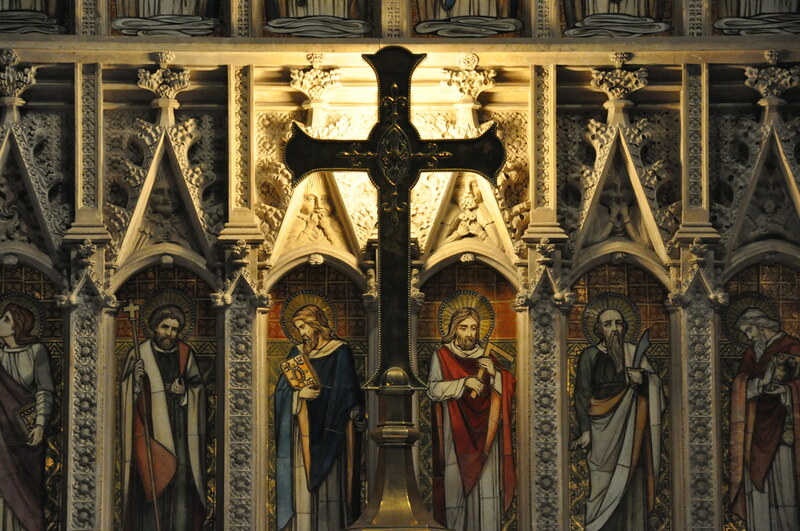 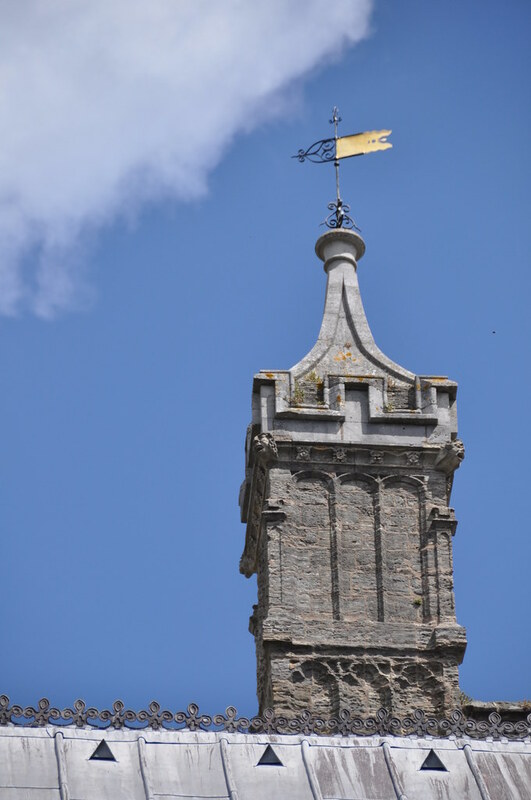 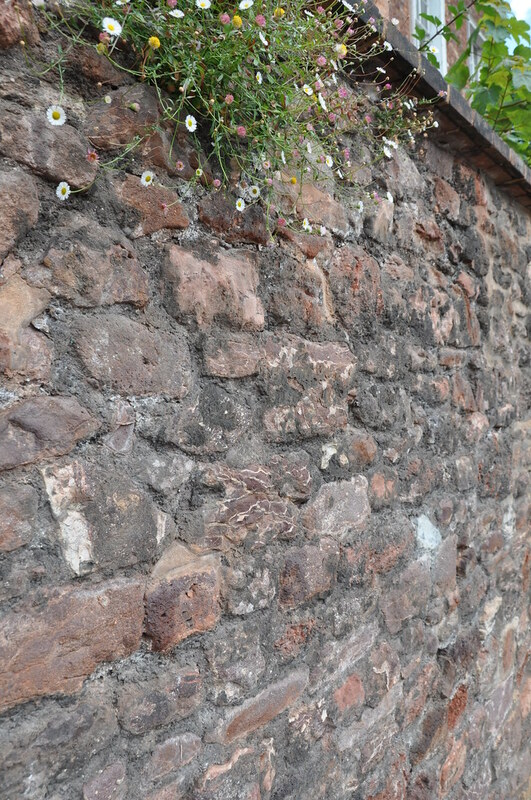 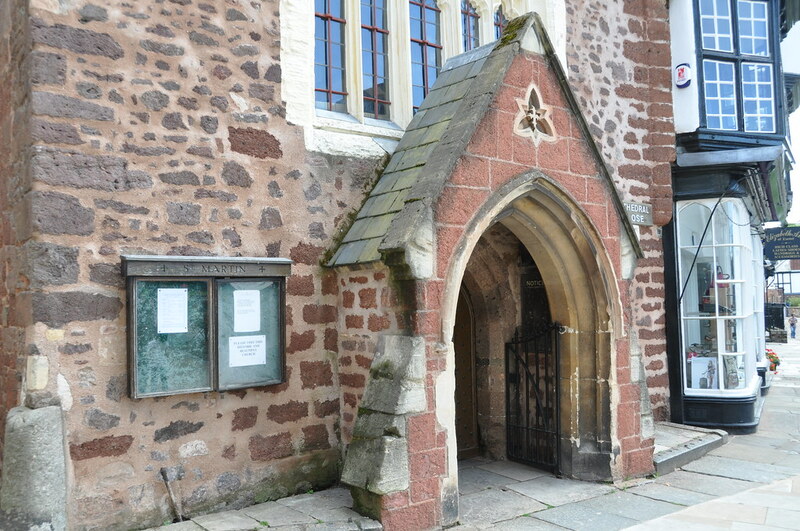 July 12—Much of this day was spent in the vicinity of Exeter Cathedral and the neighboring shopping district. 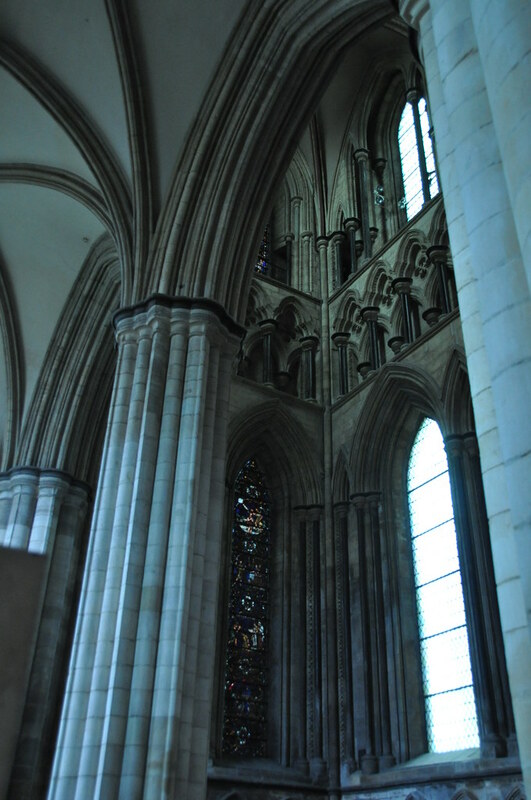 I'm sure there was a reason I shot this photo but I can no longer remember that reason. 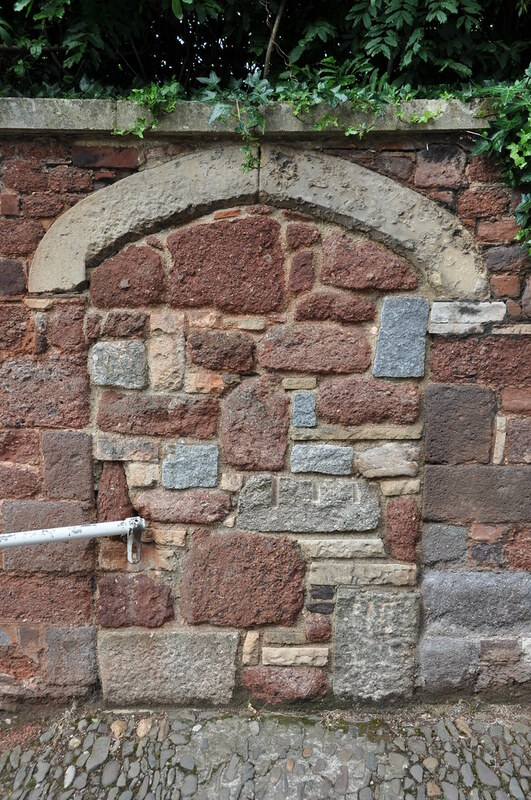 This looks like, a long time ago, someone stoned up a gateway that had been built an even longer time ago. 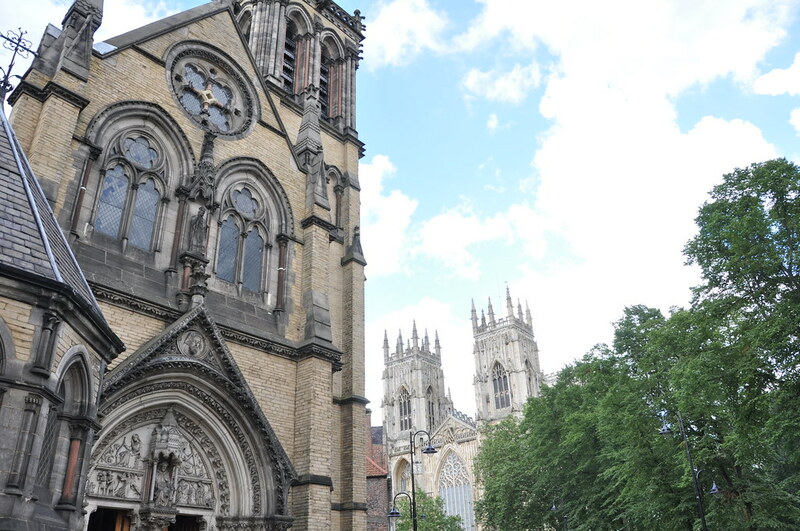 Old churches are, of course, preserved, so the more modern buildings (though many are still quite old themselves) crowd around the old churches. 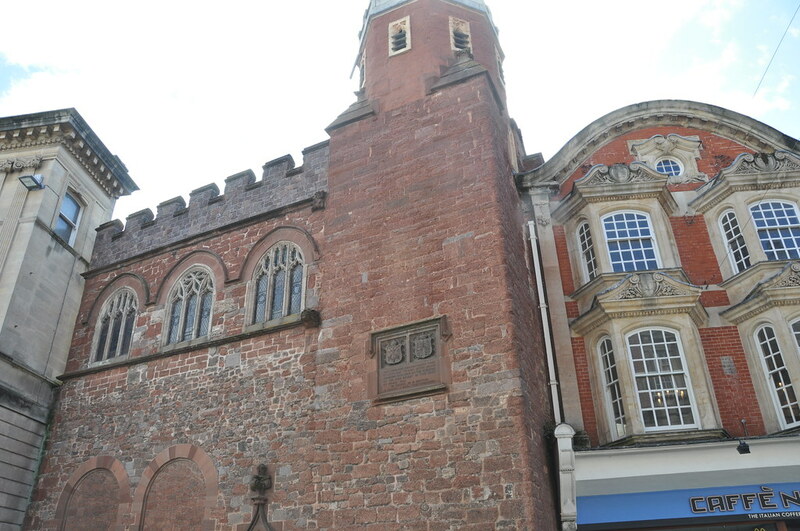 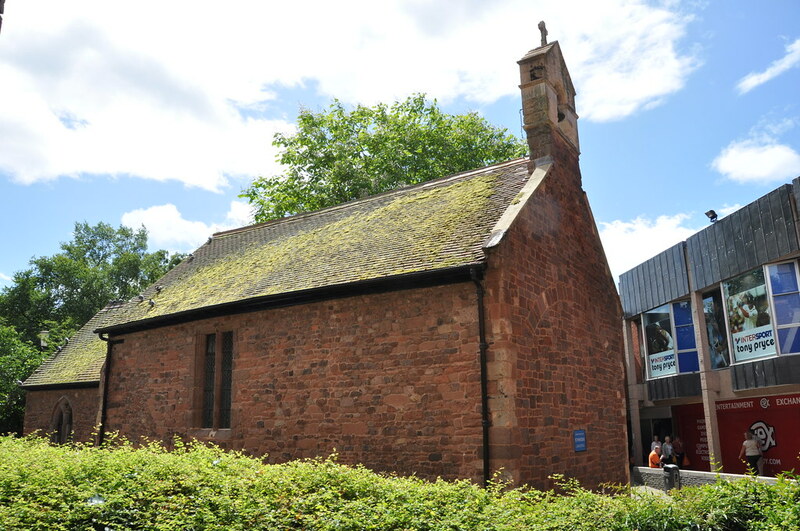 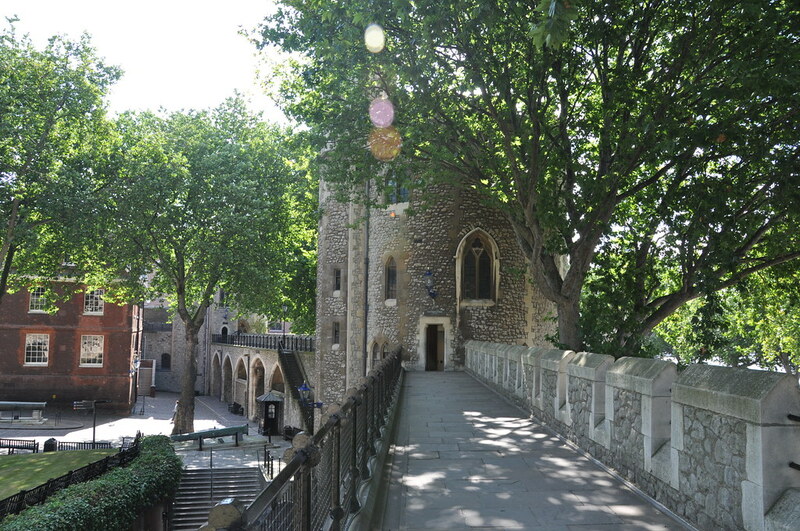 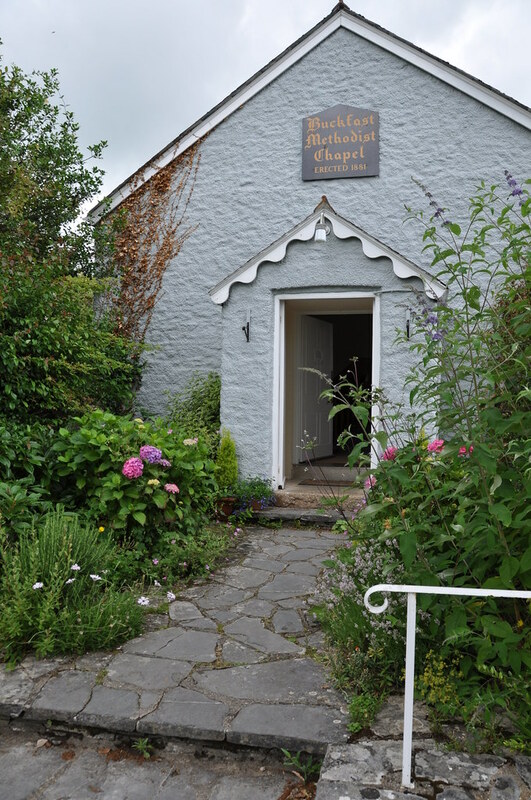 The Guildhall Shopping Centre has been built entirely surrounding this old church which stands in an open air plaza in the middle of a square of shops. 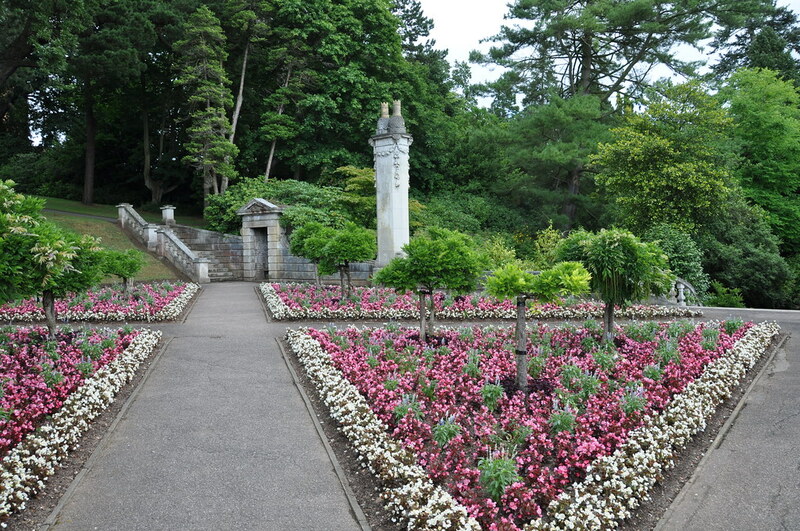 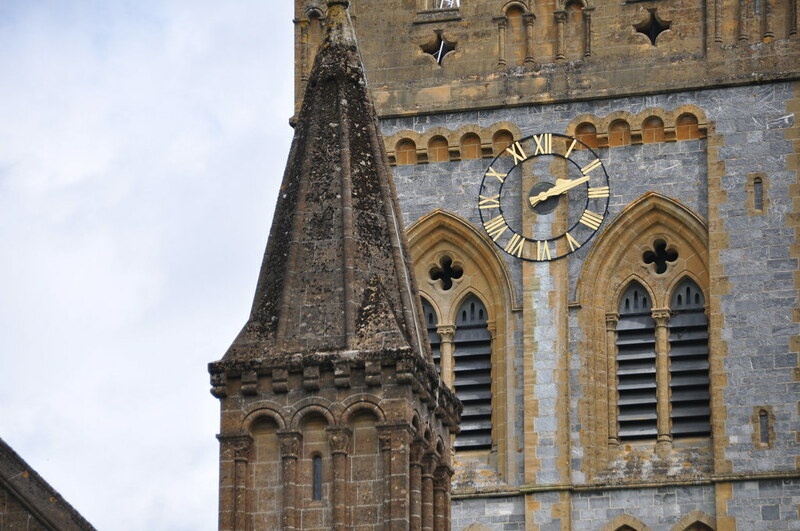 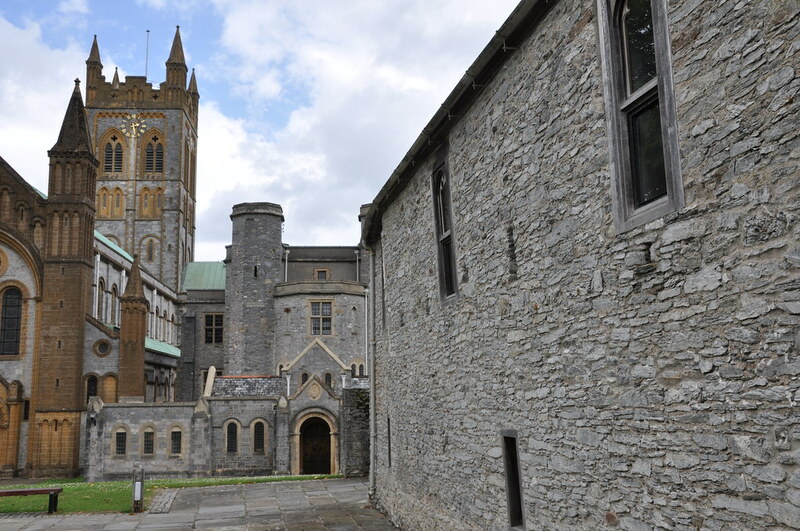 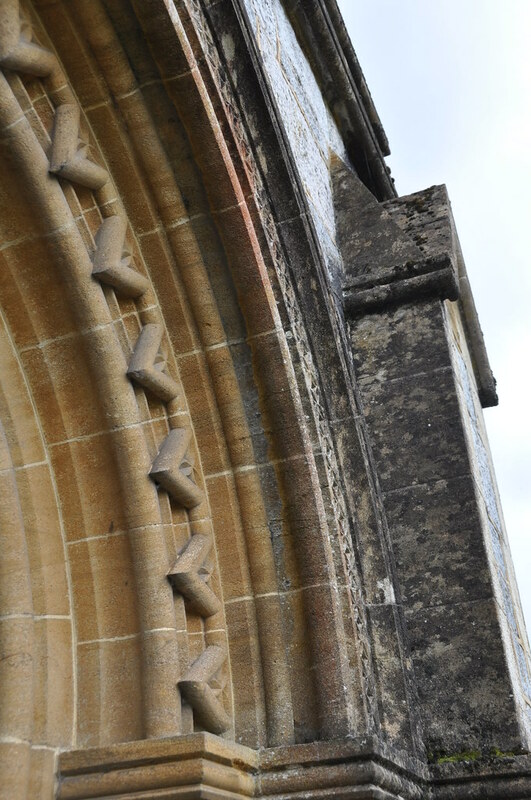 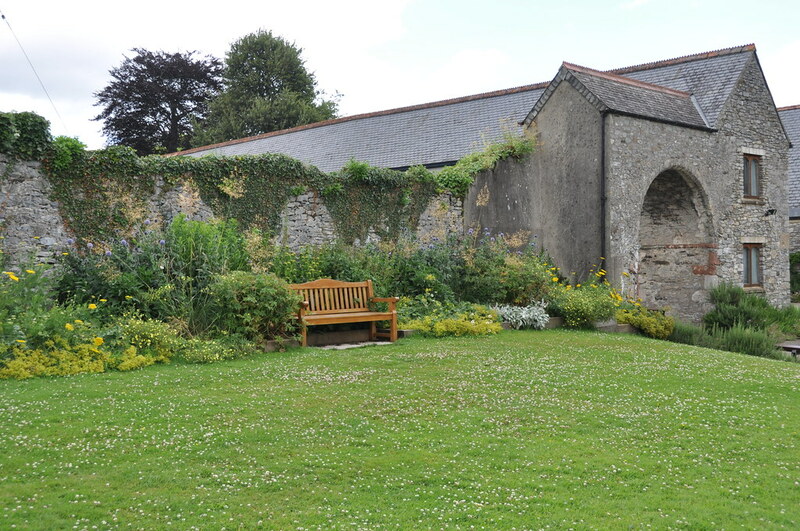 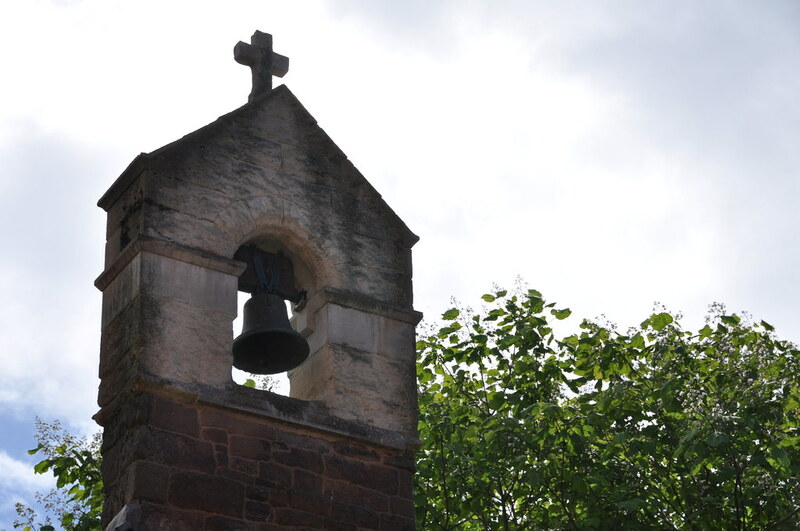 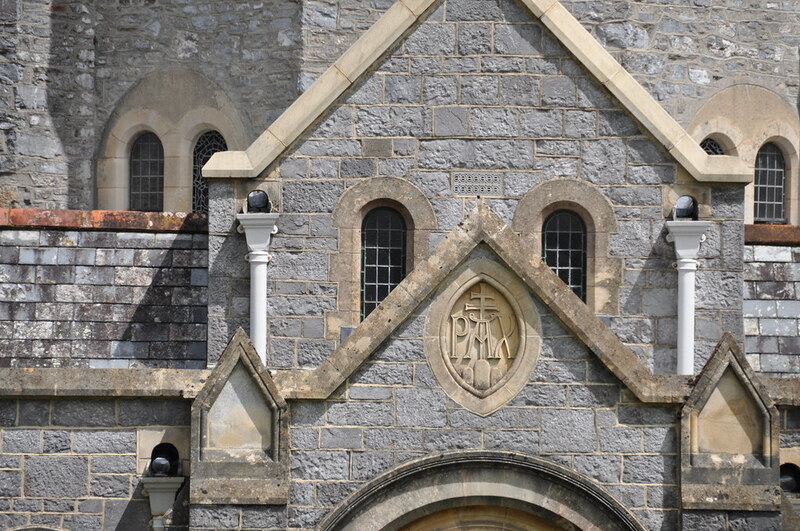 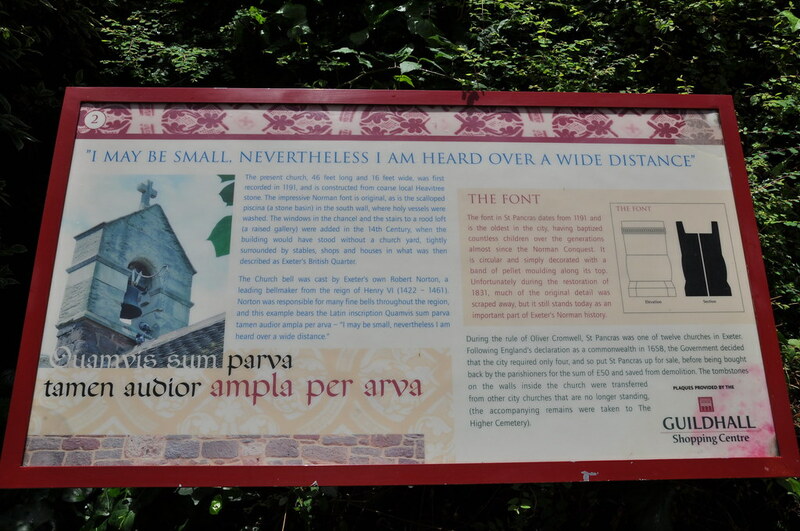 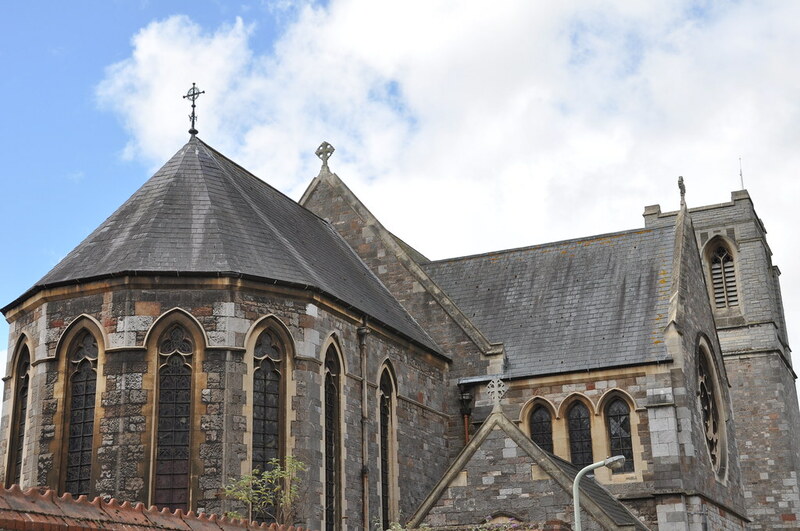 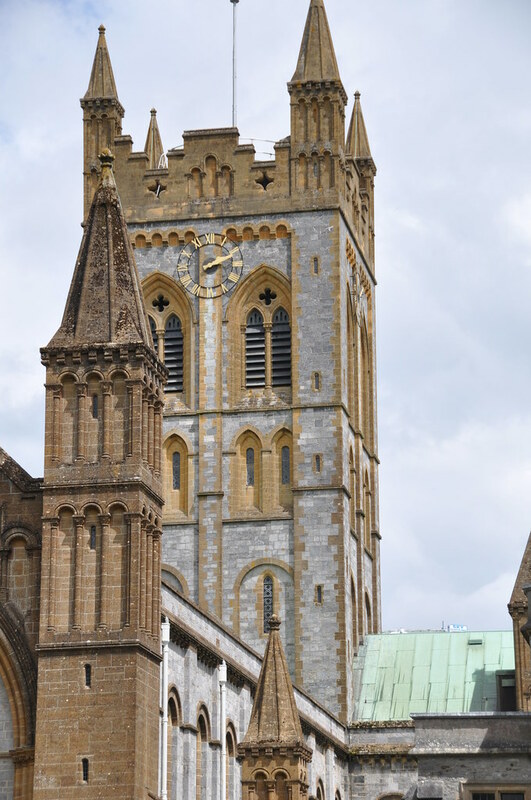 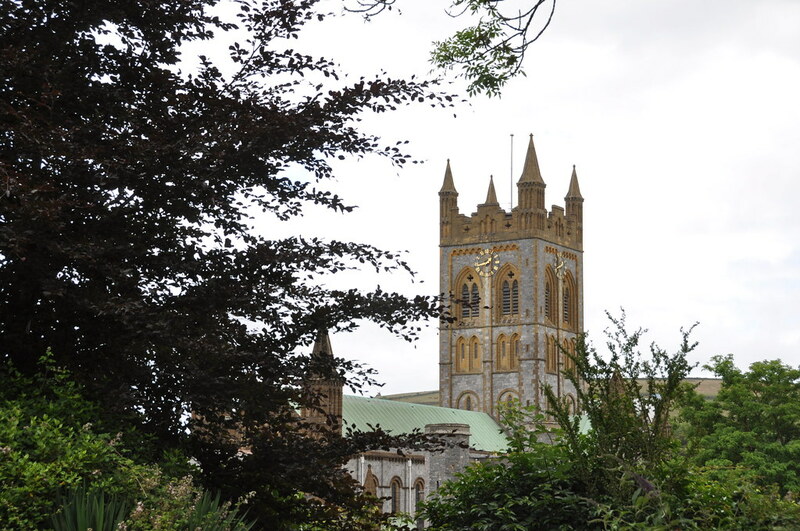 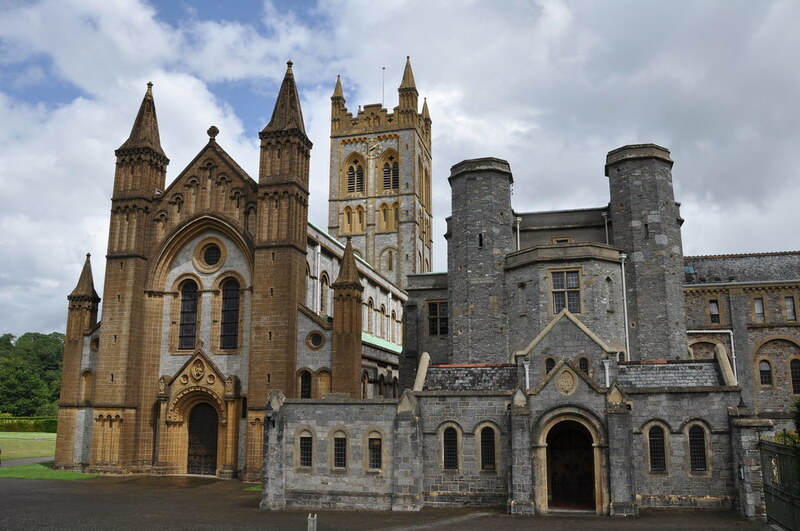 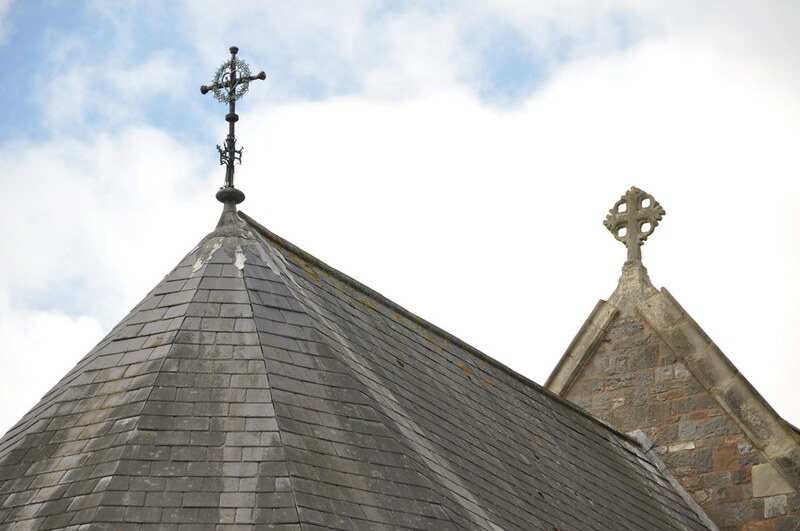 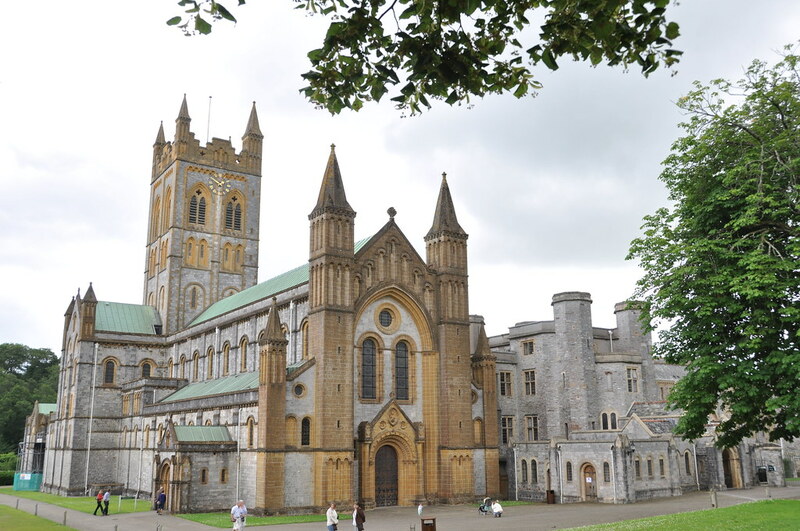 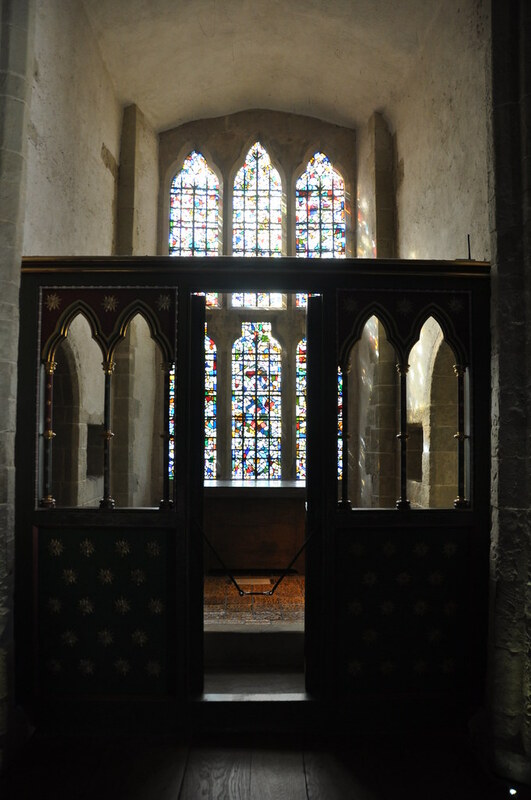 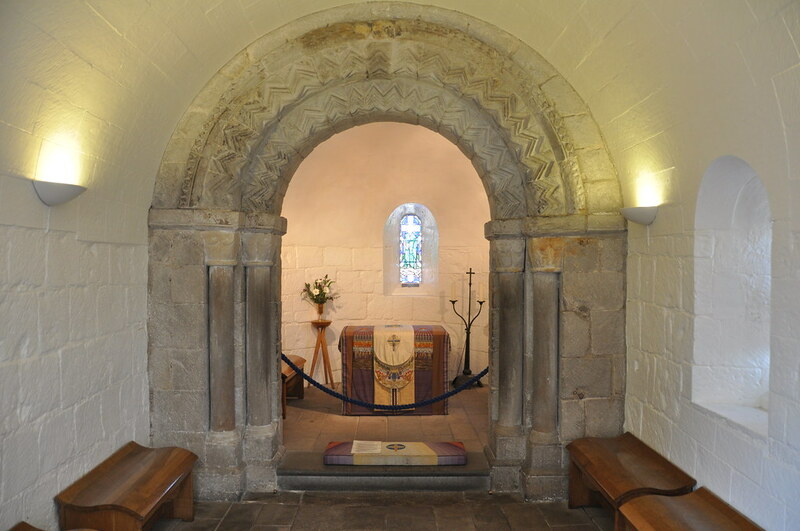 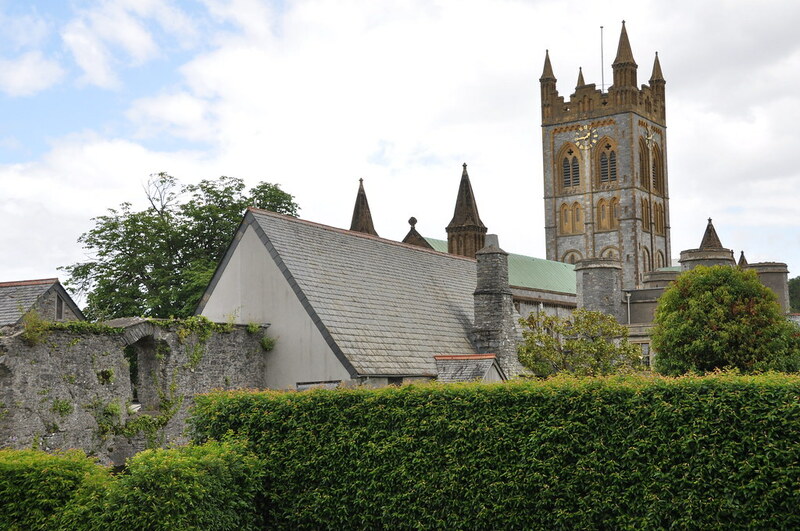 After our tour through Exeter, we took a drive south to Buckfastleigh to visit Buckfast Abbey. 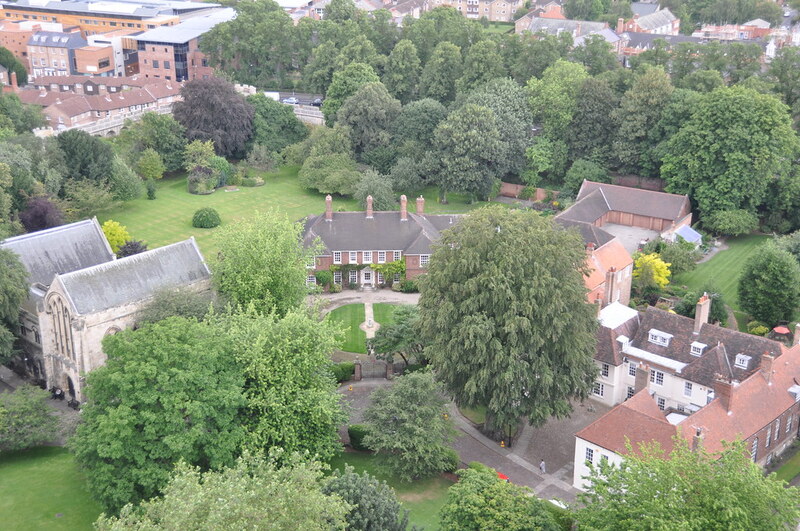 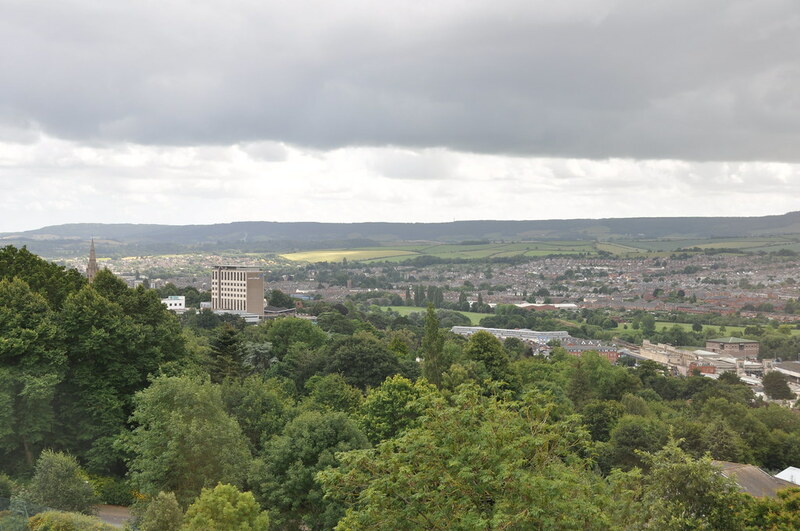 Back in Exeter on the campus of University of Exeter, looking out over downtown. 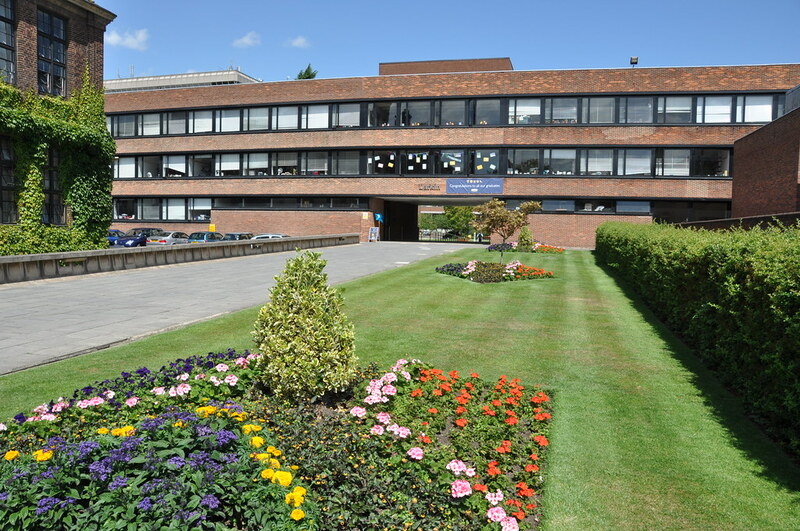 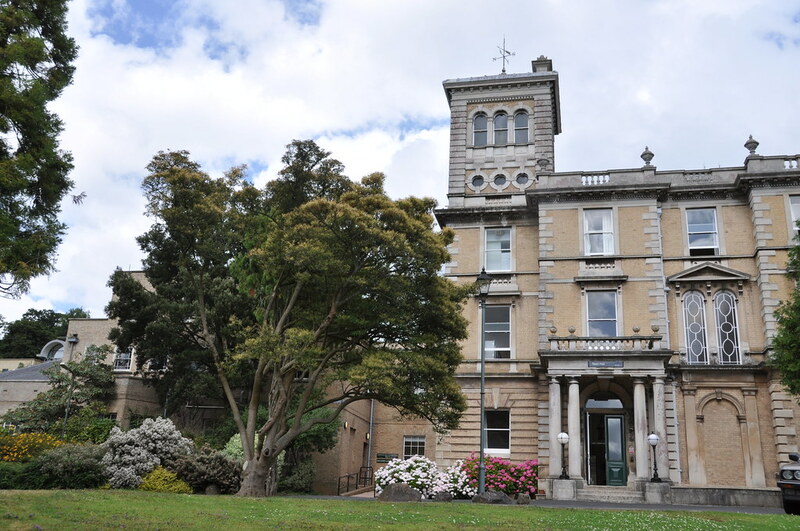 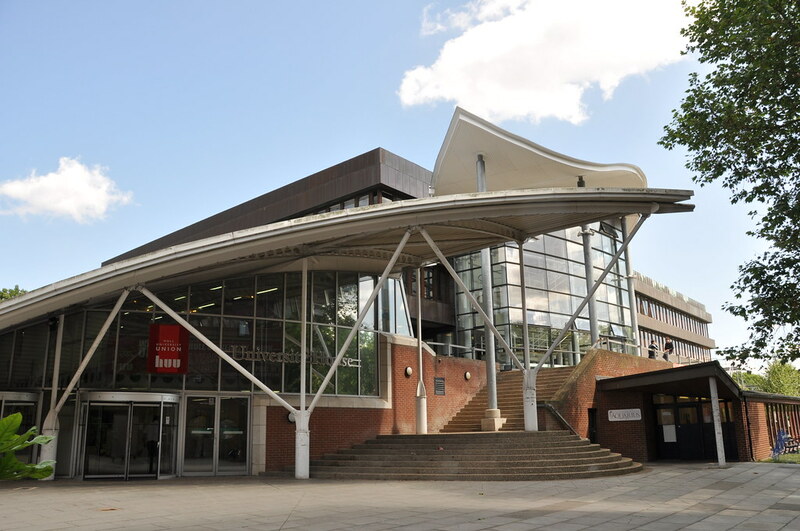 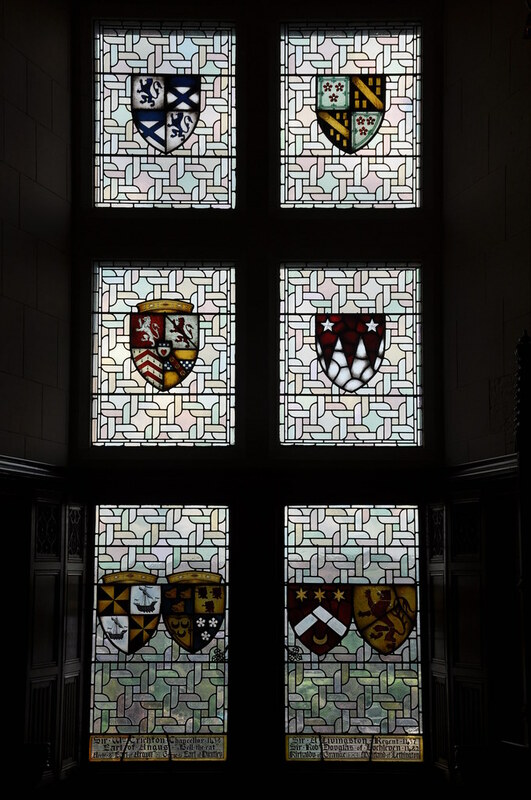 My former girlfriend whom I was visiting had a presentation to give late in the day in Reed Hall at the University of Exeter, so I spent the time photographing around the building. 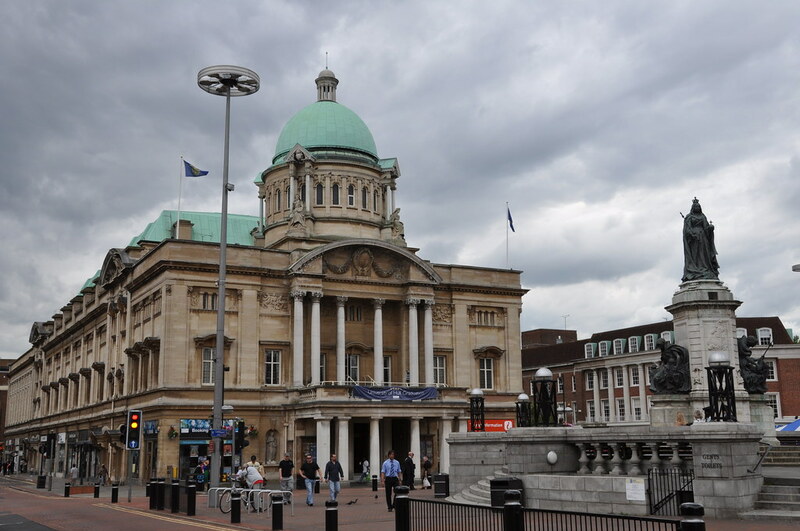 Sunday concluded with a late night, 300-mile, five-hour drive to Kingston Upon Hull. 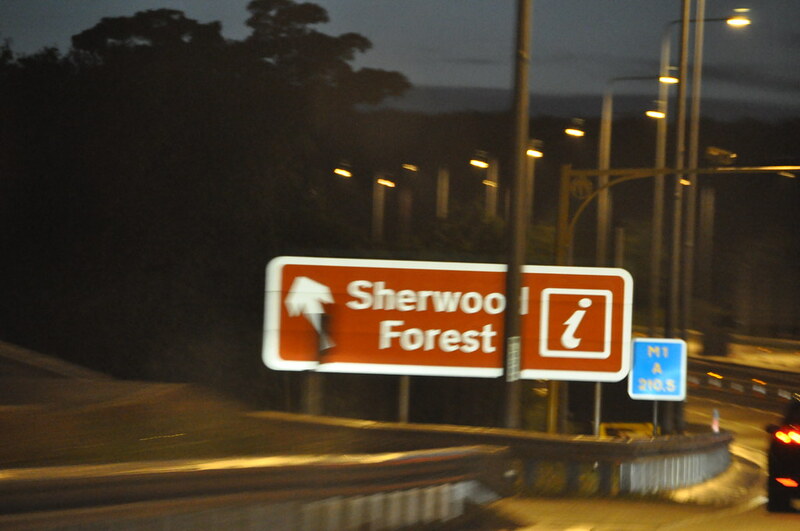 Along the way, we spied this sign for Sherwood Forest. 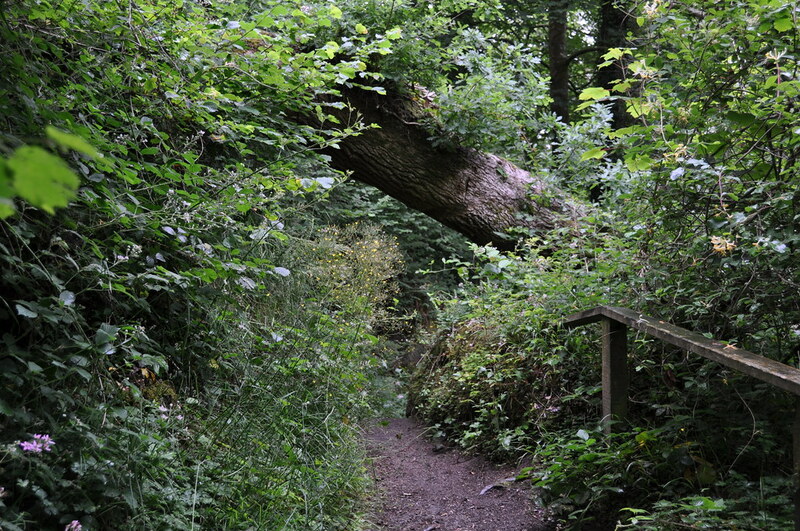 Granted, I never was actually in Sherwood Forest, but I was amused to see the directional sign, nonetheless. 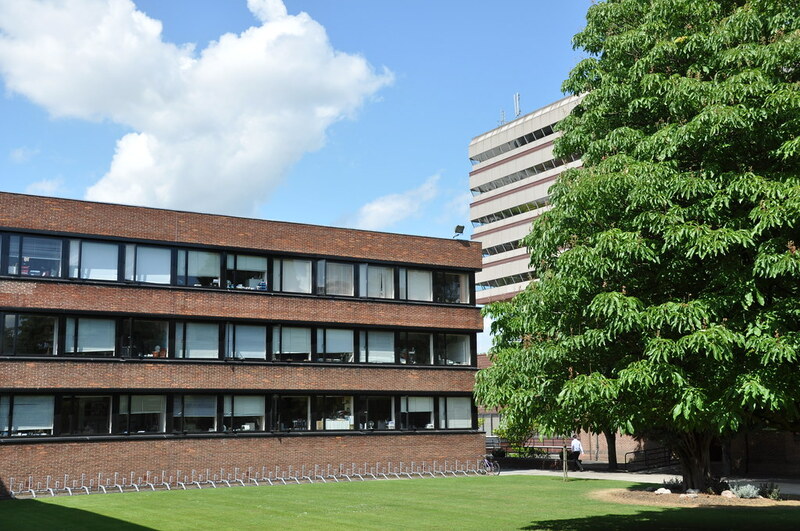 July 13—After a good sleep-in from the prior night's late drive, I spent a short while photographing the University of Hull campus. 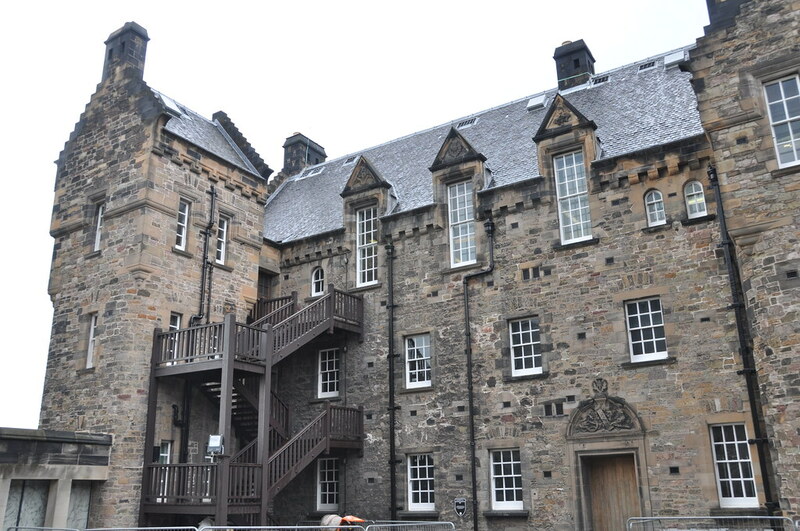 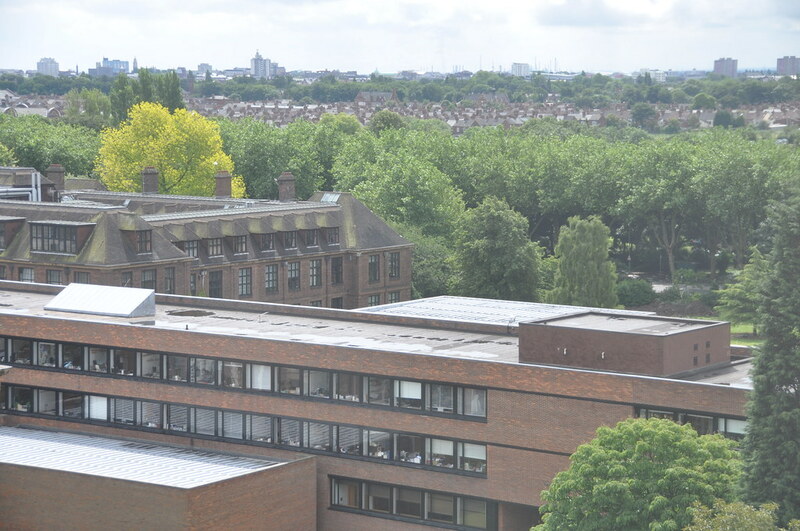 Top floor at the end is the English department where my former girlfriend spent a lot of her time. 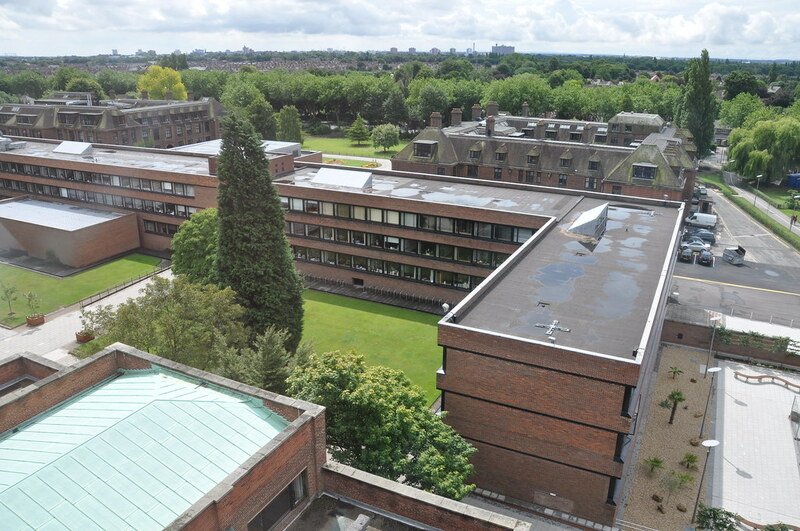 Looking over the campus from the top of the library. 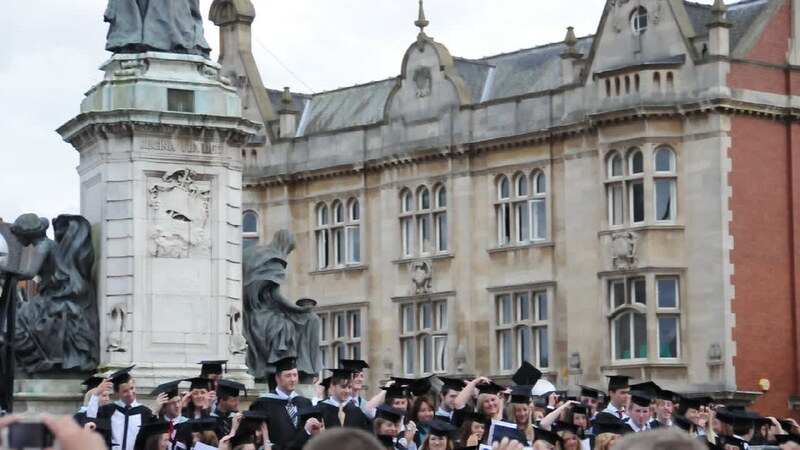 In the distance on the horizon, just barely left of center, you can make out the green dome of City Hall where graduation services were conducted. 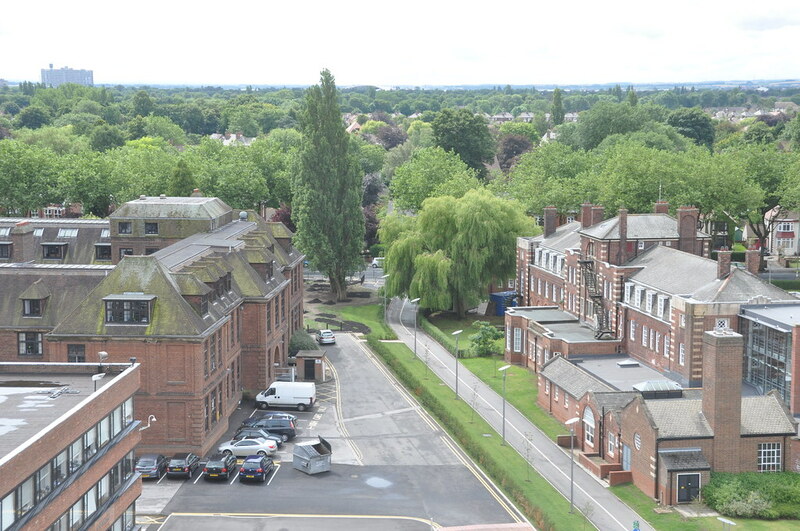 A bit to the right is a tall, white, rectangular building which is the Holiday Inn Express at Hull City Centre where I stayed for the remainder of my trip except for the last night near Manchester Airport. 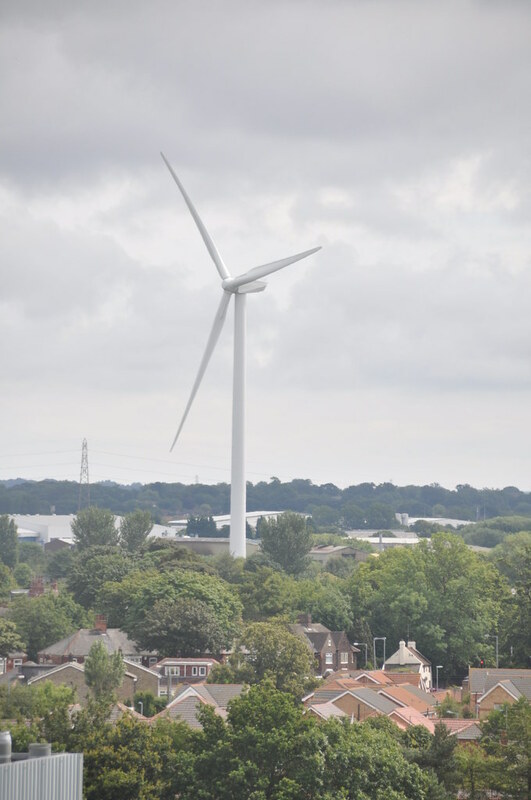 The UK is attempting to generate a lot of its power from windmills all over the country. 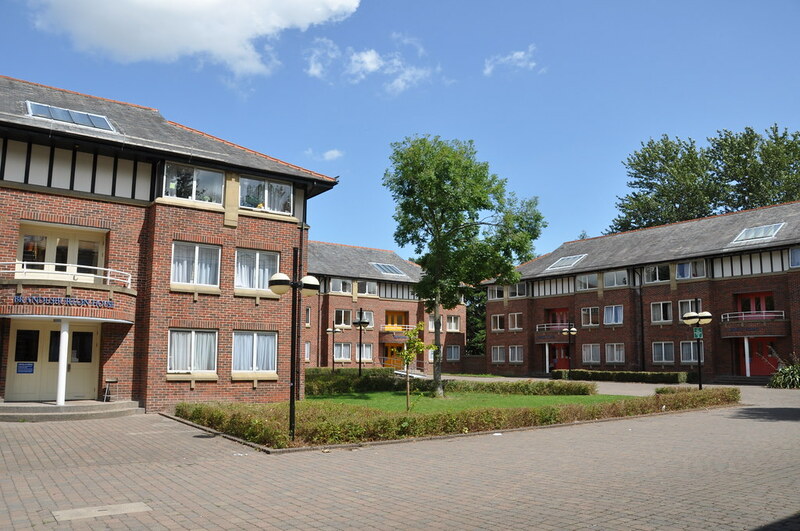 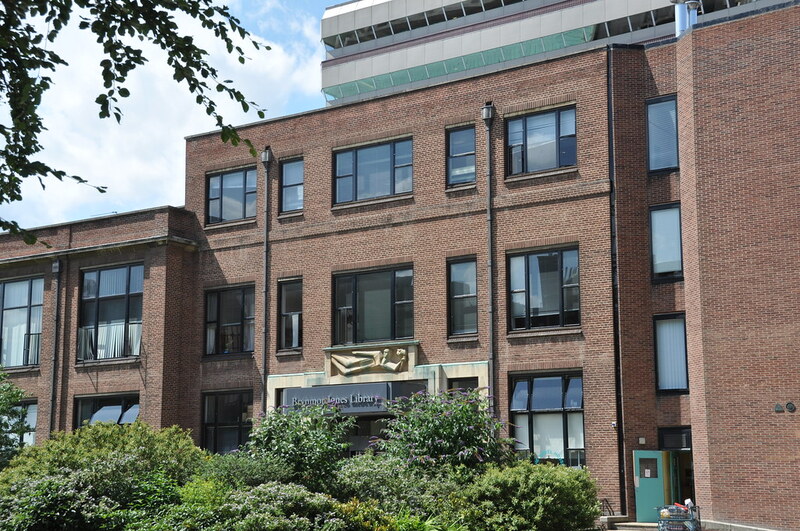 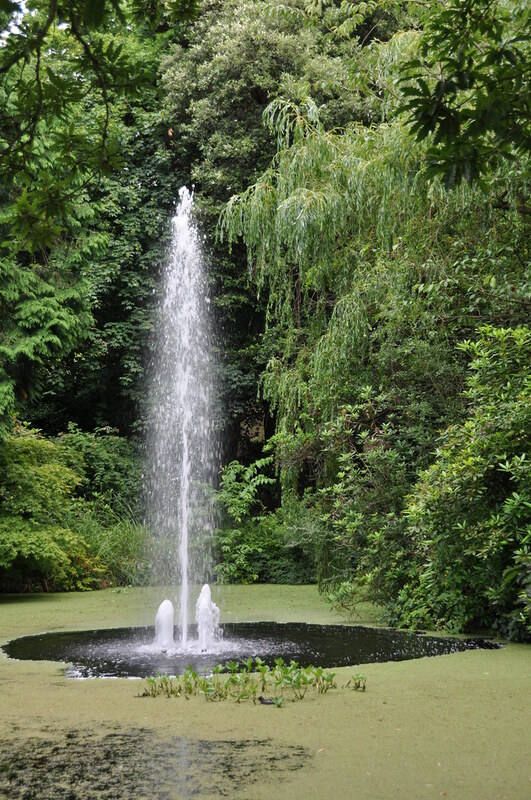 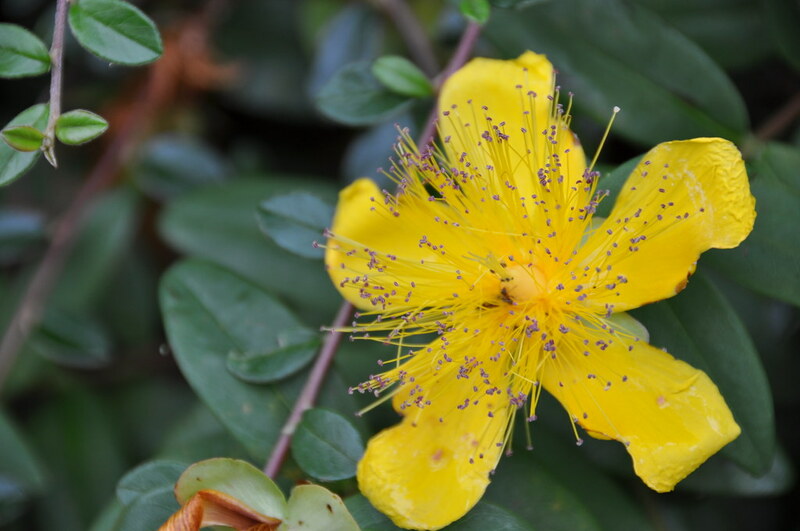 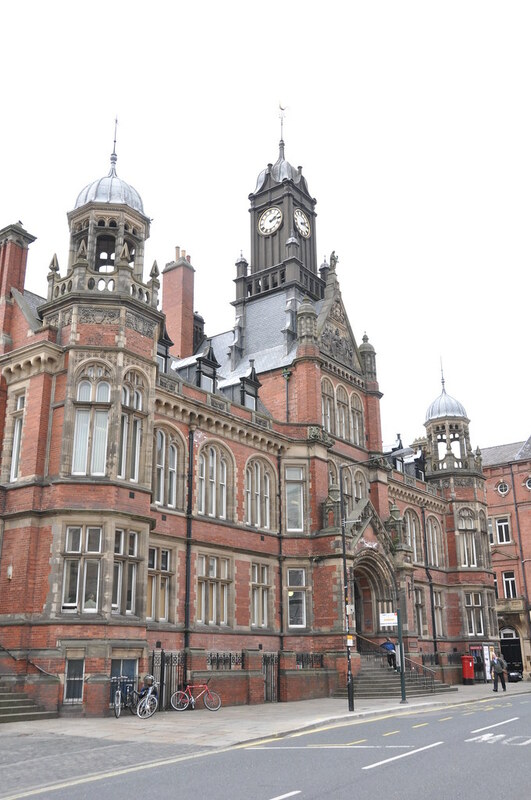 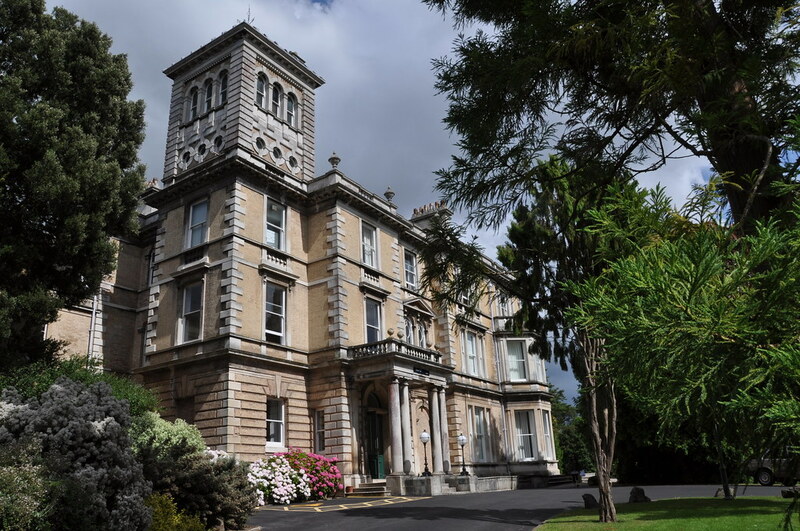 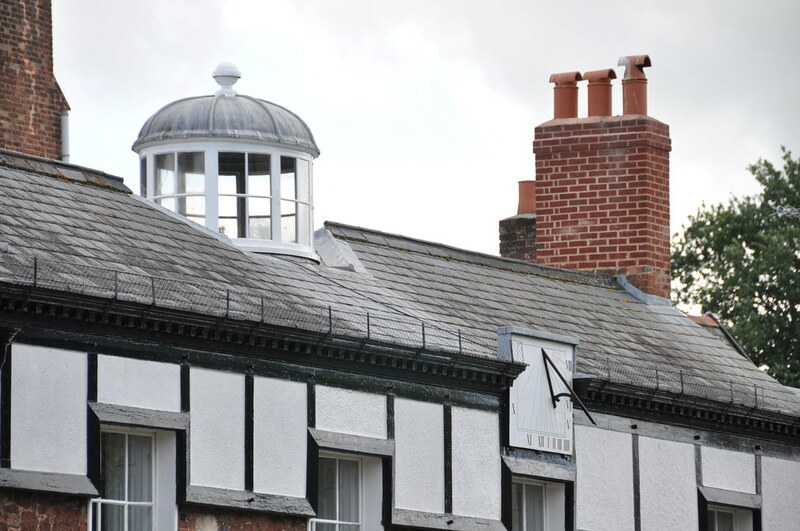 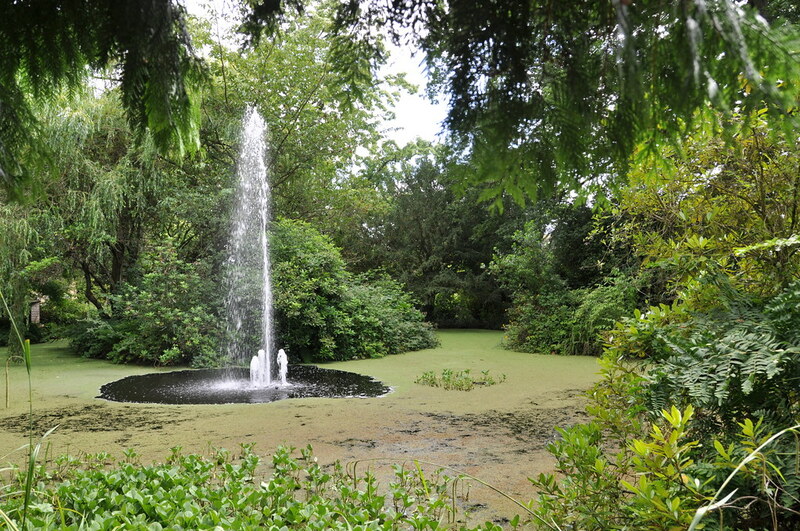 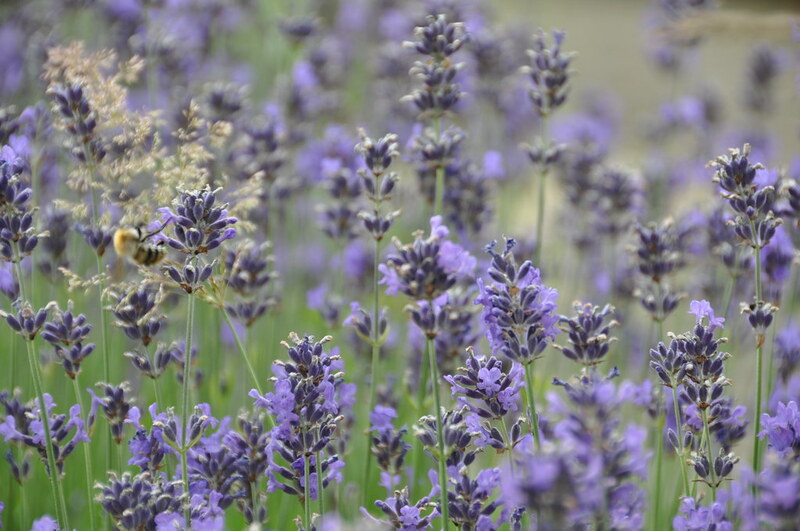 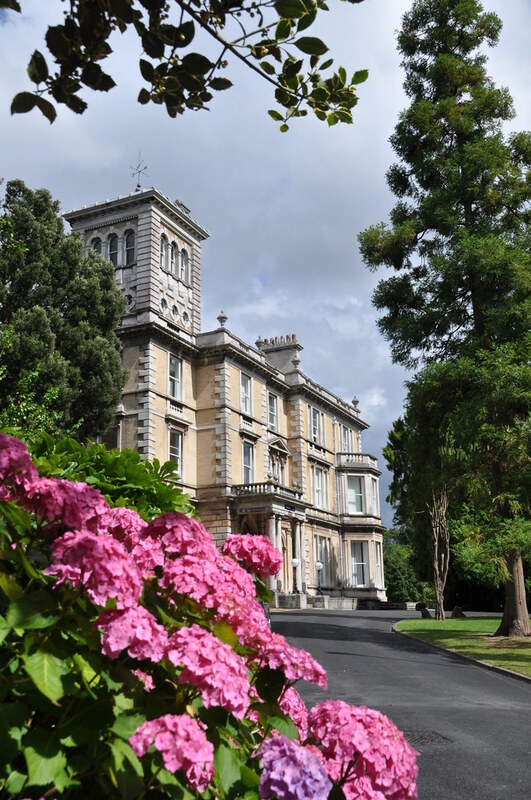 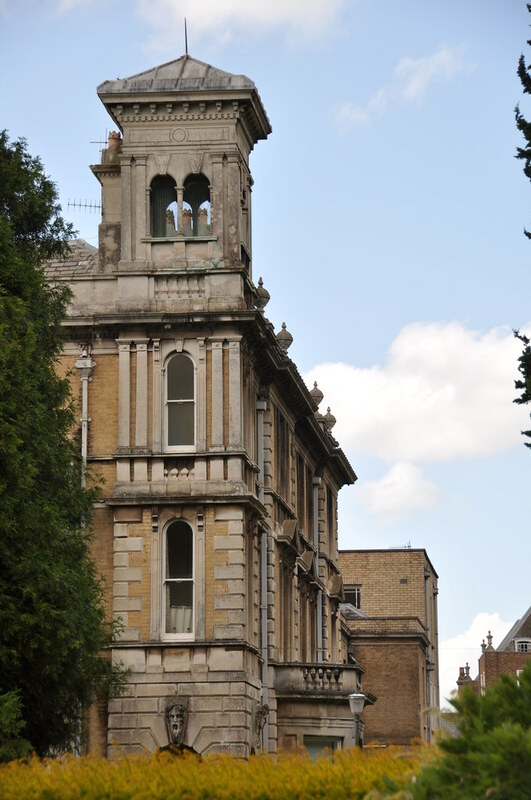 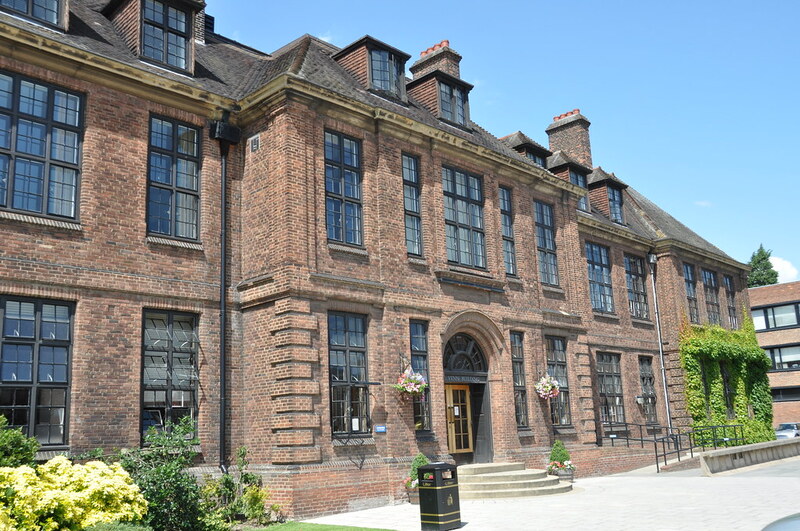 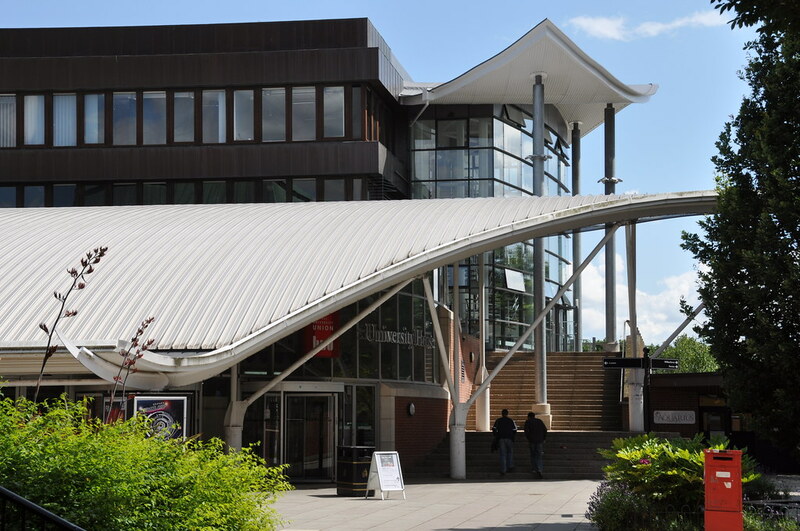 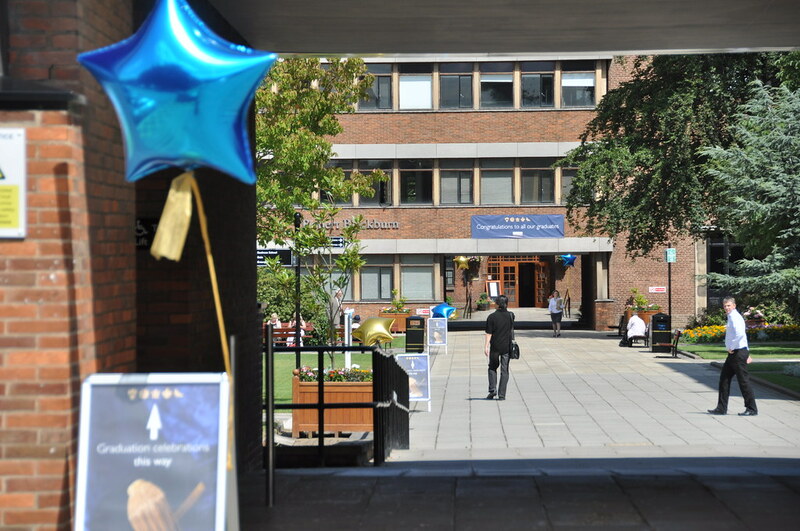 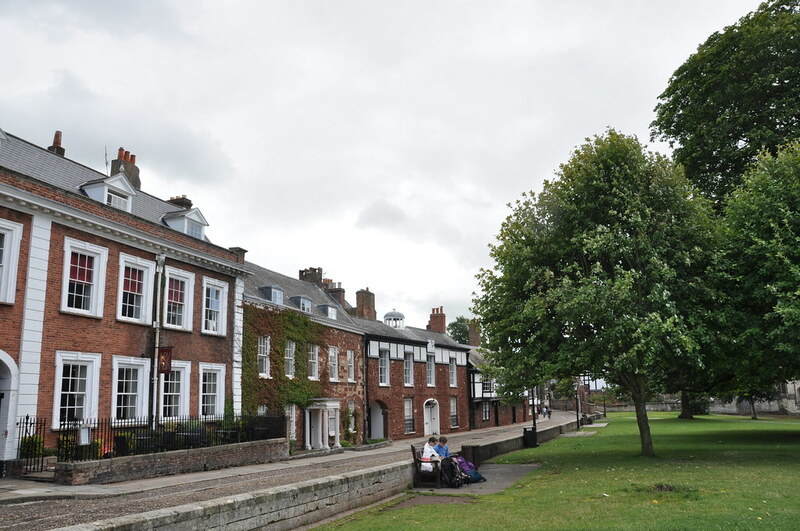 One isn't far from the University of Hull campus. 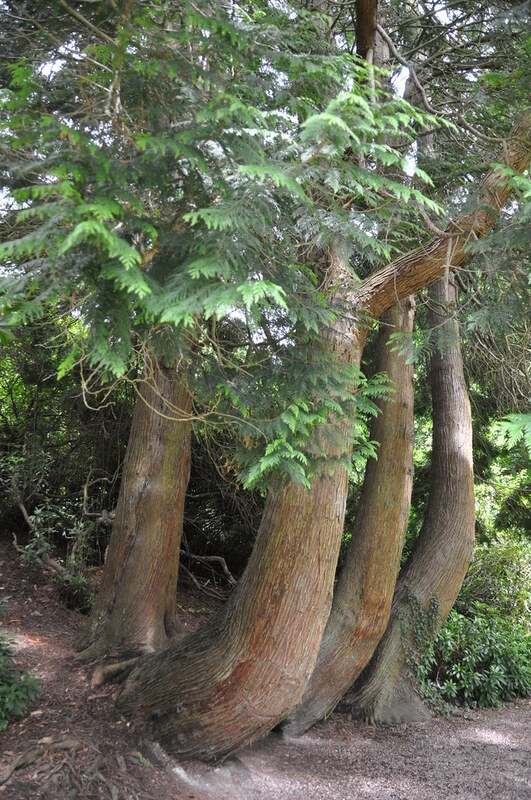 They are massive! 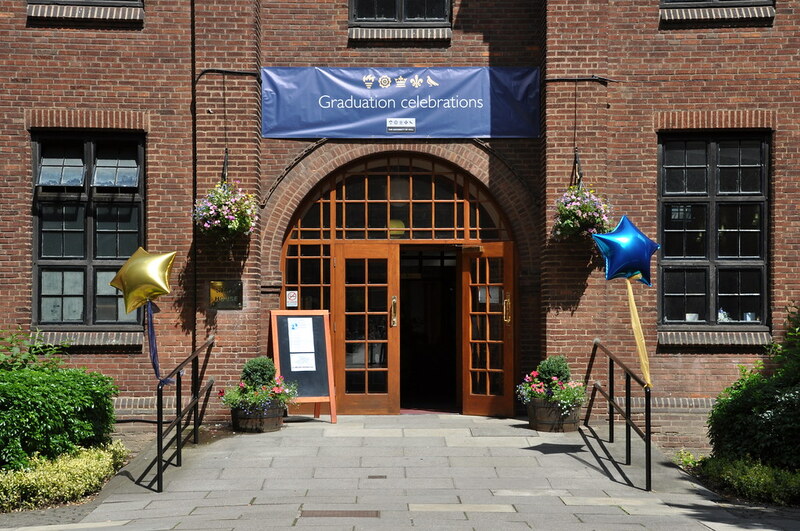 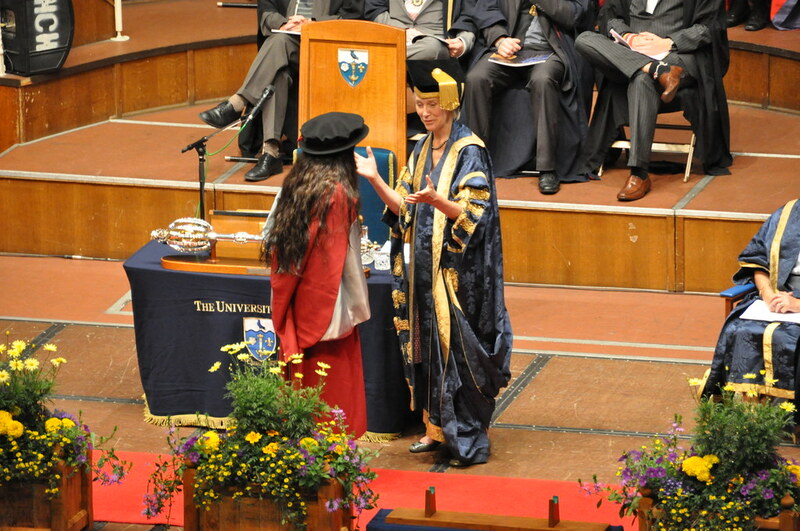 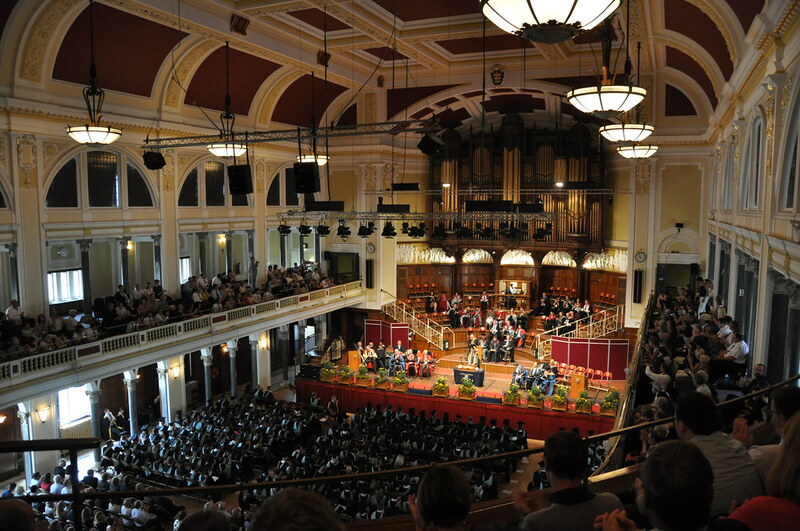 This is the hall where my former girlfriend picked up her Ph.D. regalia for graduation. 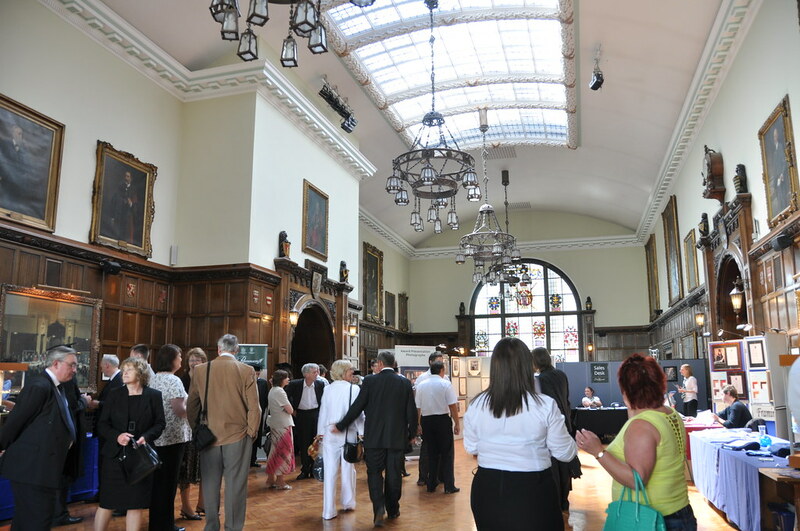 Packed to the gill inside the venue. 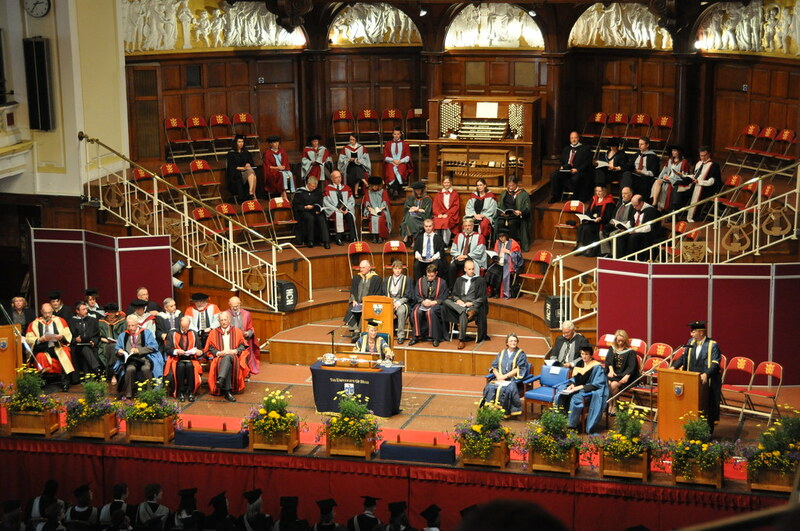 All three sections of the front half on the floor are entirely filled with graduates. 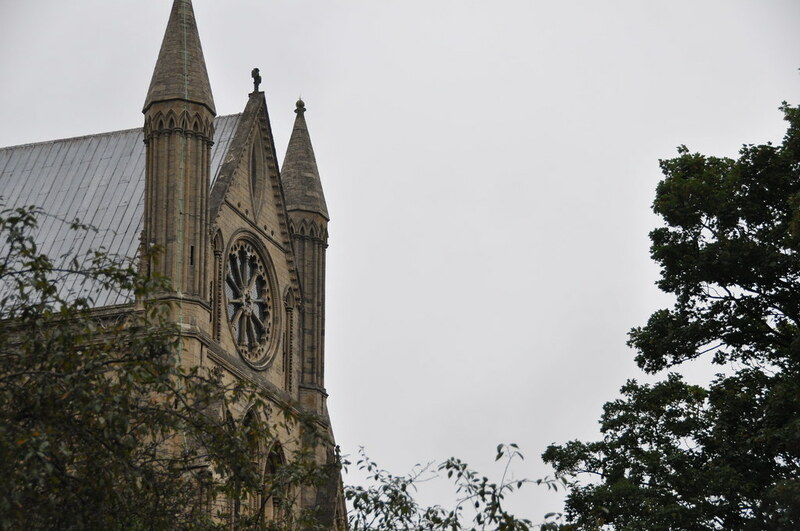 I really like how this photo turned out. 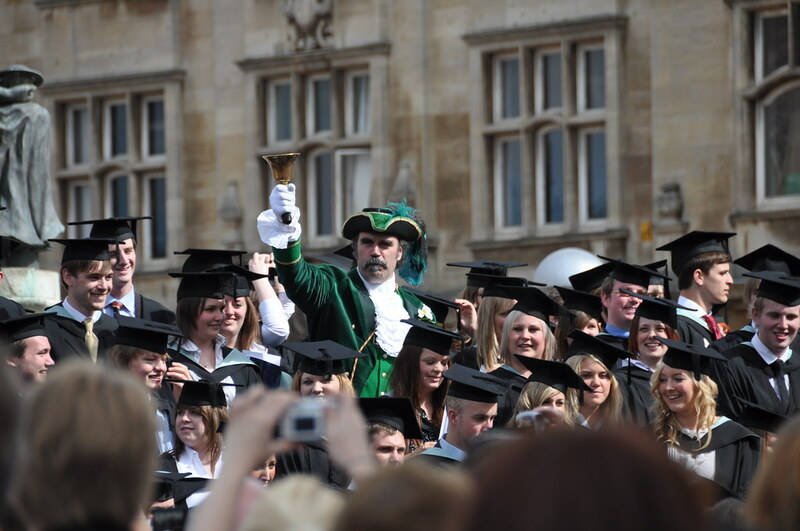 Sort of a Town Crier announcing the new graduates after they had exited City Hall. 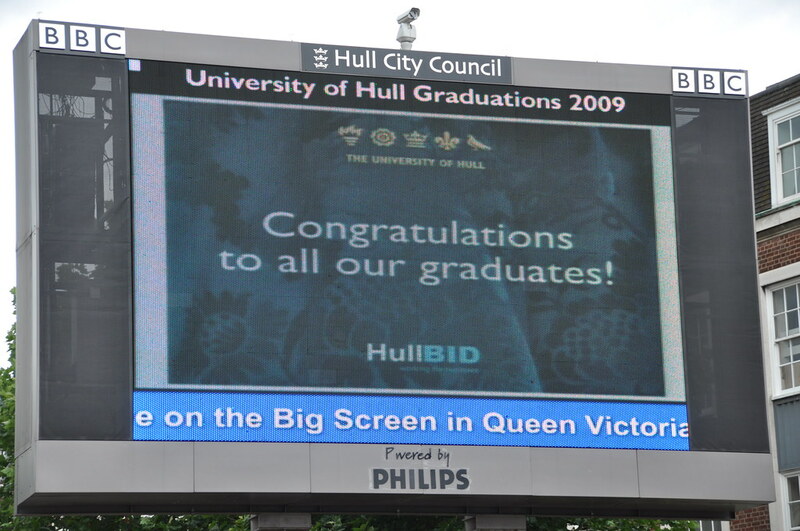 This screen outside City Hall displayed video of the services to those who could not go inside. 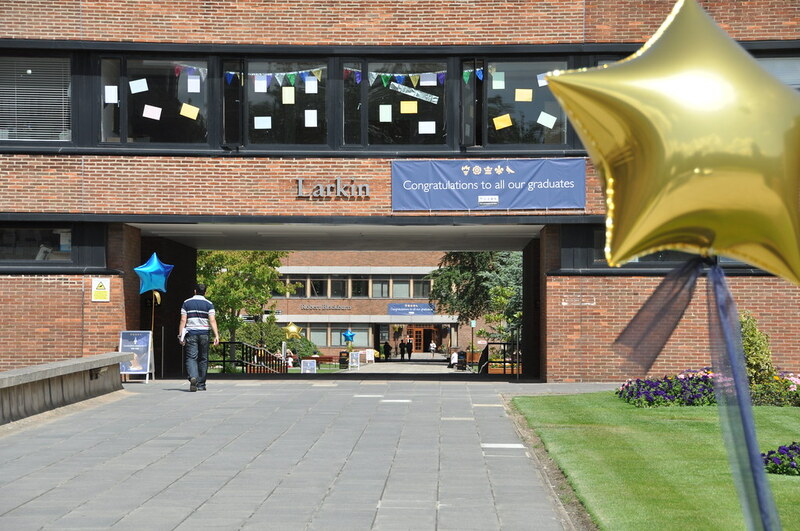 This congratulatory message appeared afterward. 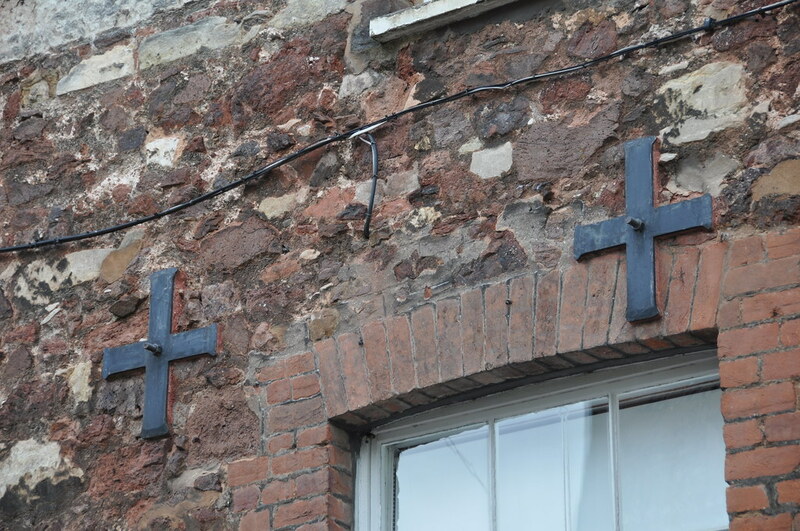 I loved both the name and the architecture of Punch Hotel. 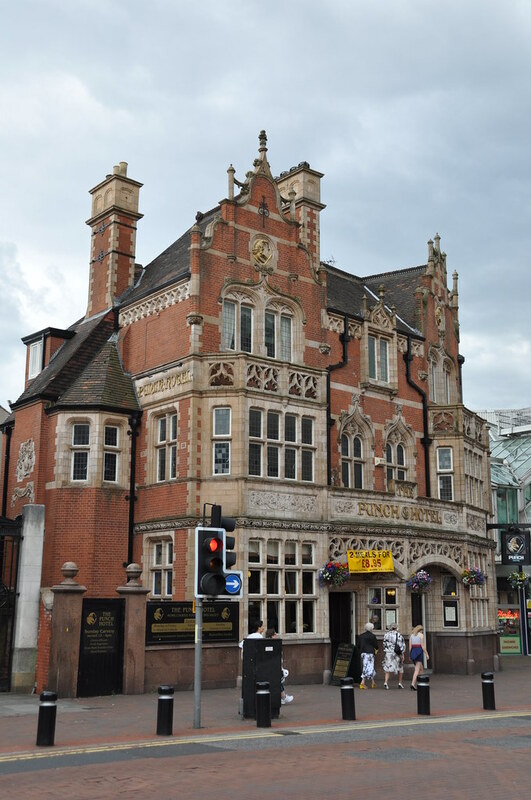 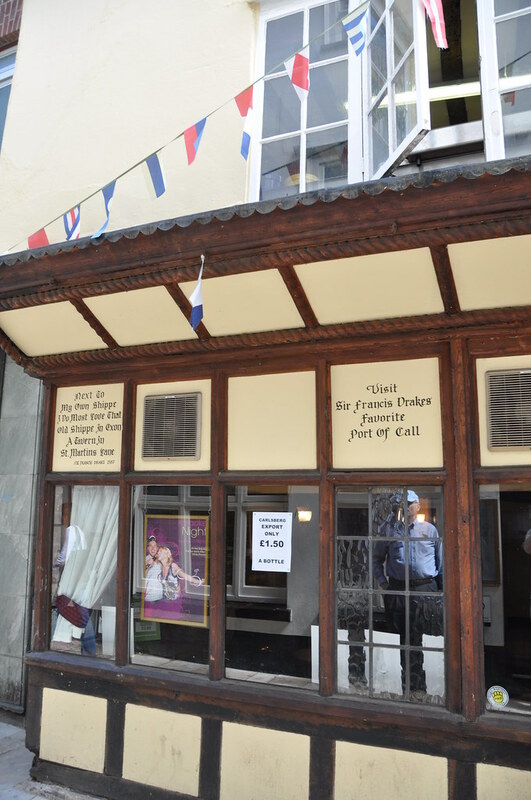 In spite of the name, apparently this building does not actually function as a hotel, but rather a pub/eatery and event rental venue. 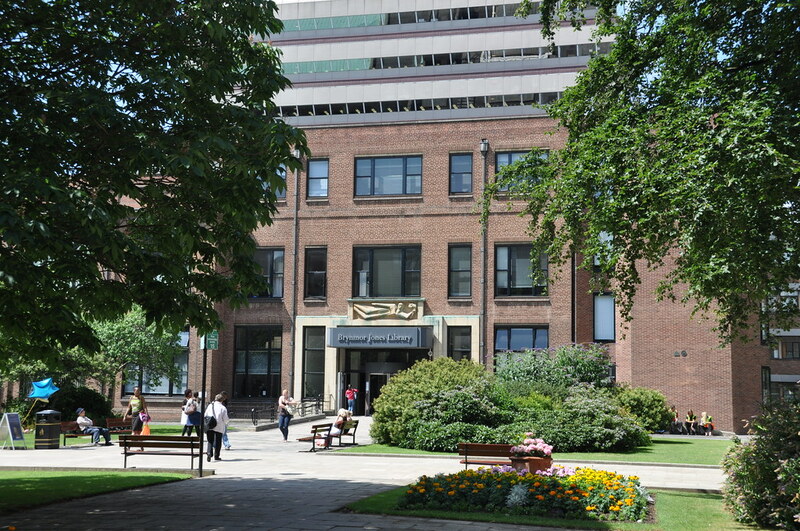 It's located adjacent to City Hall. 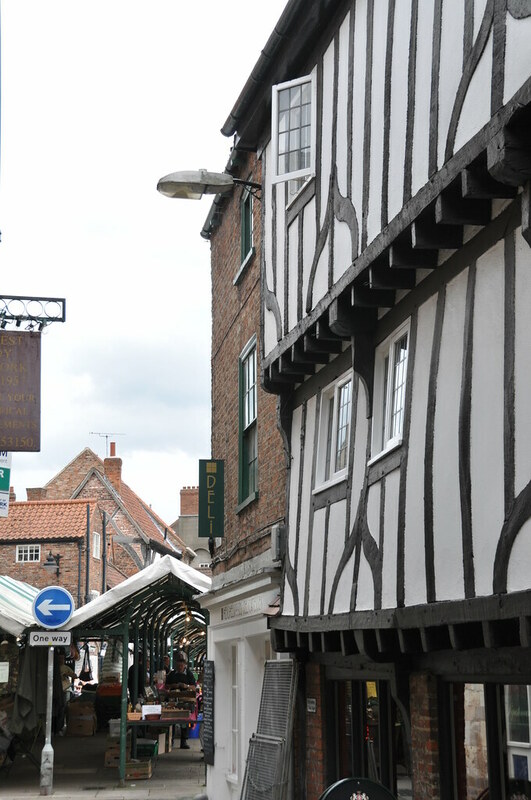 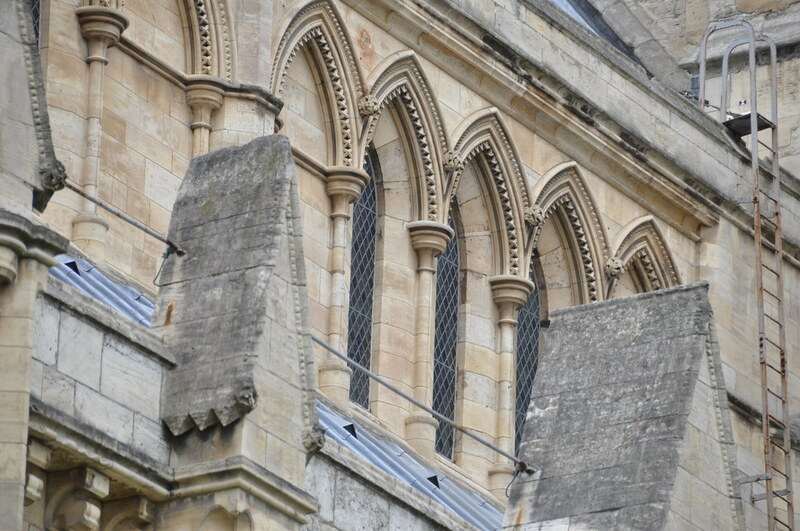 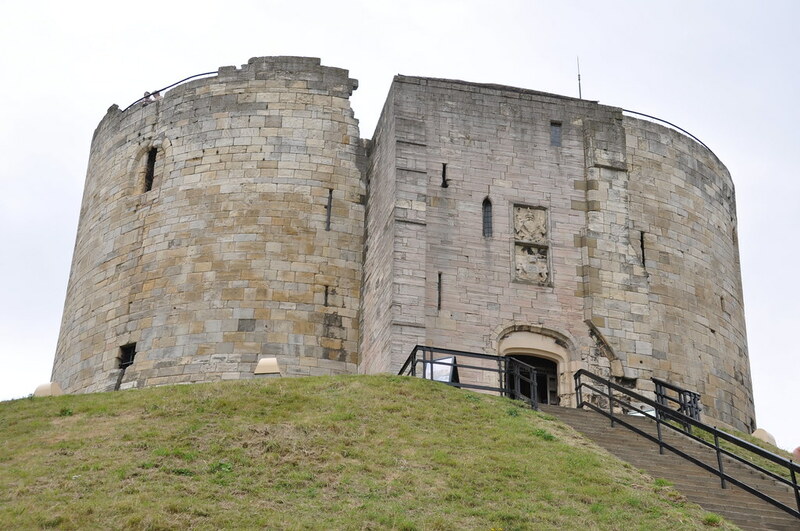 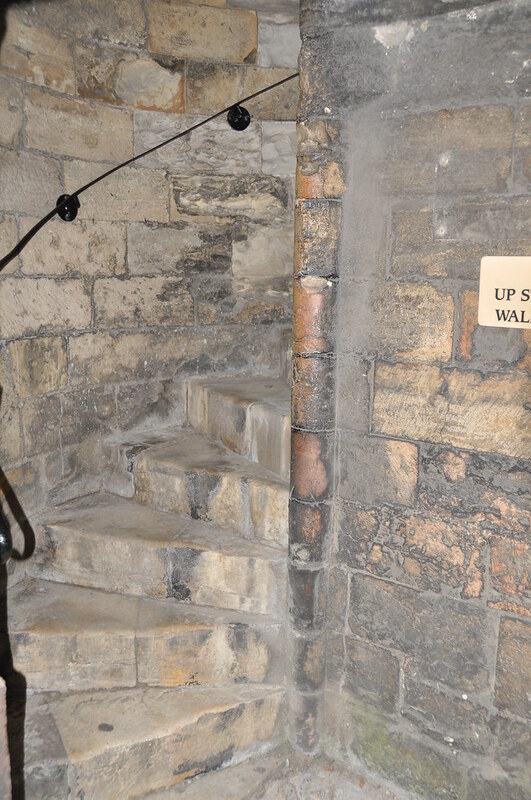 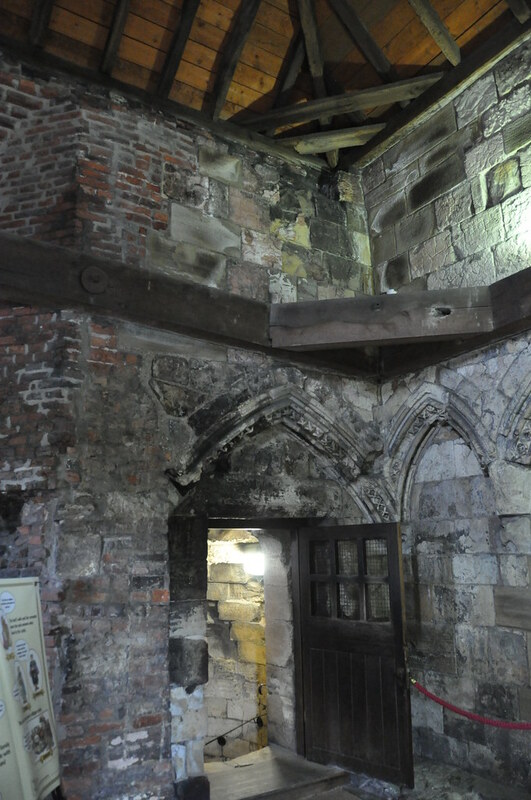 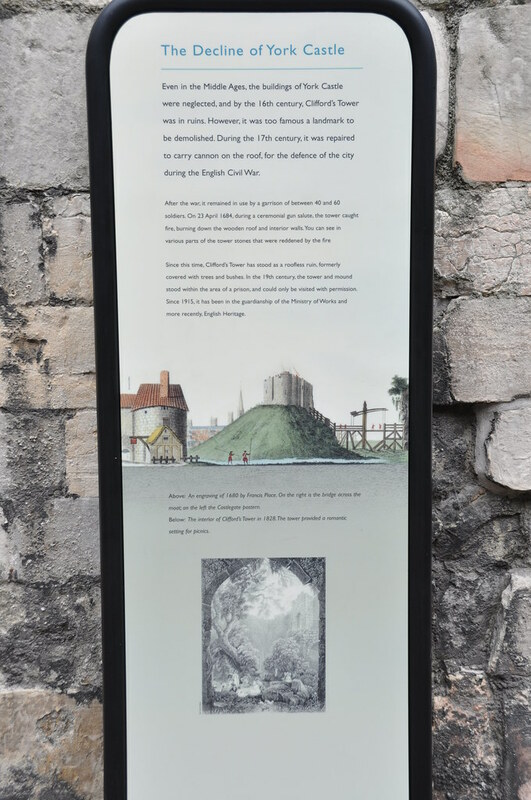 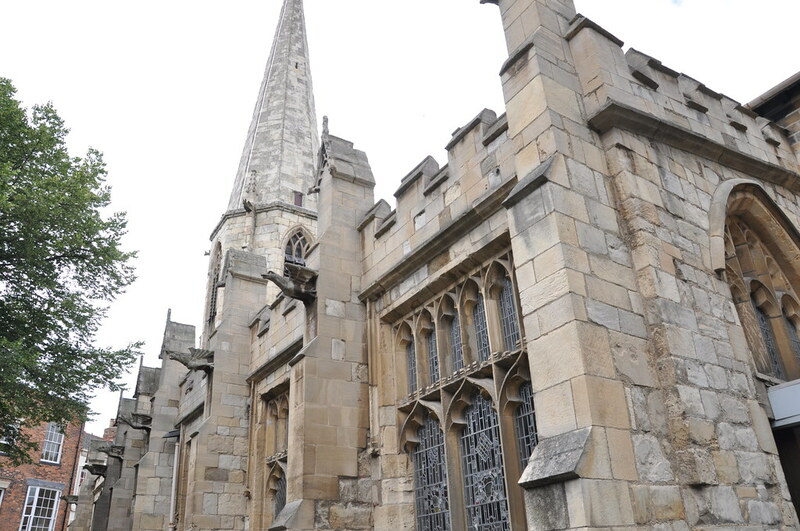 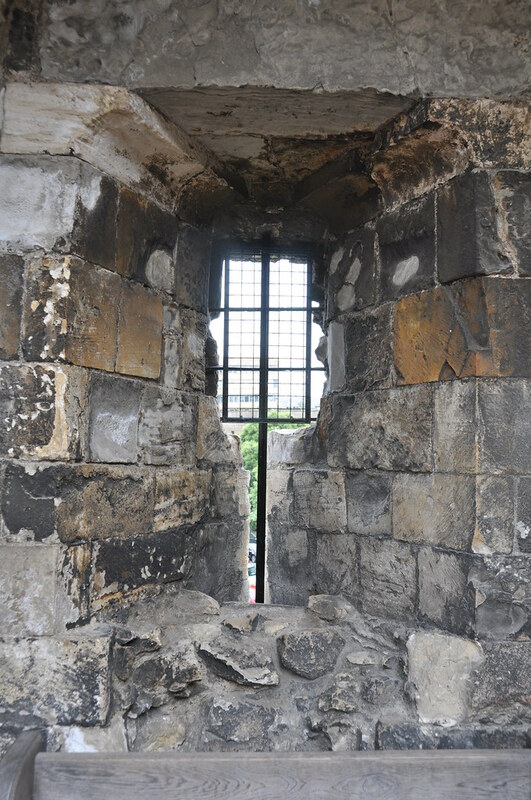 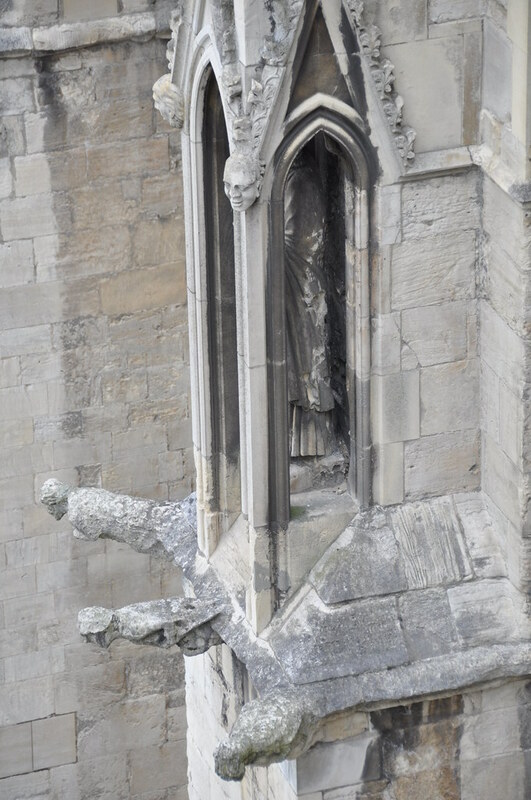 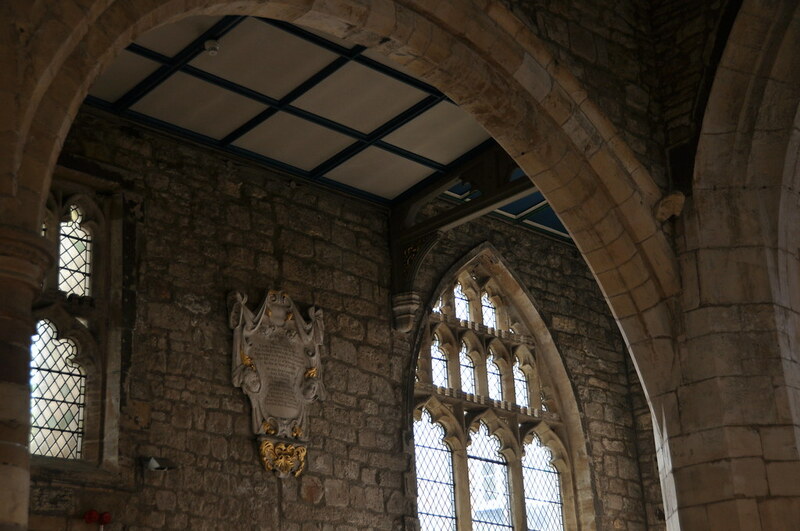 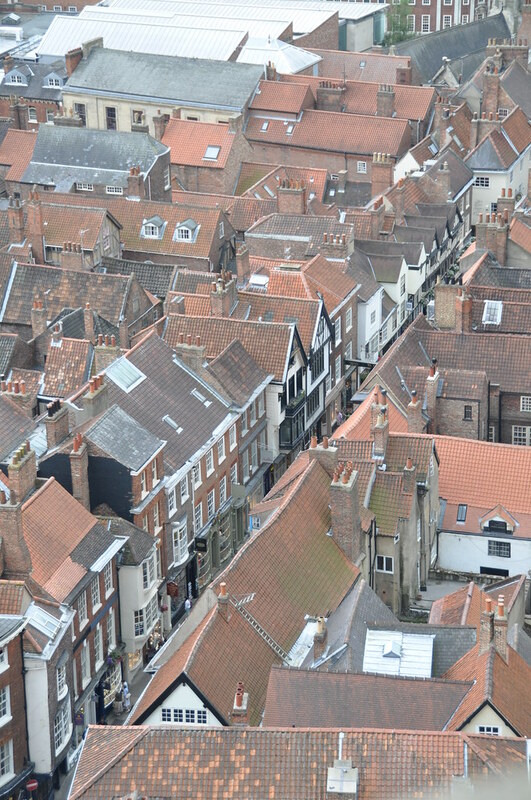 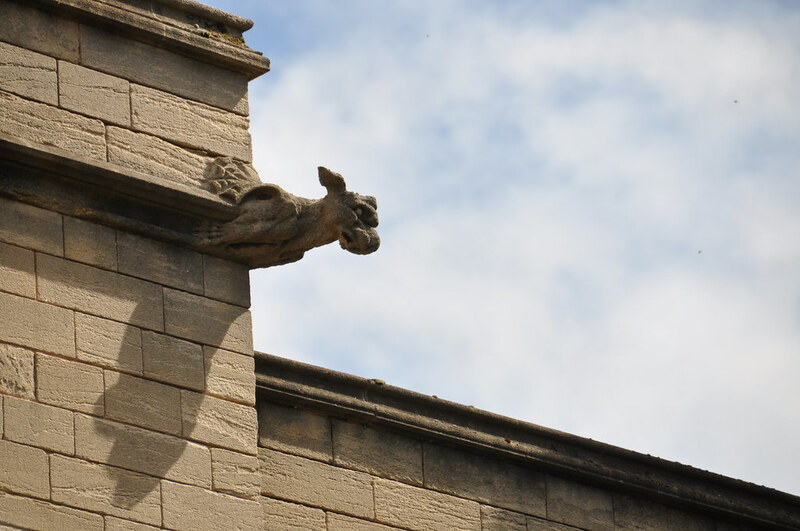 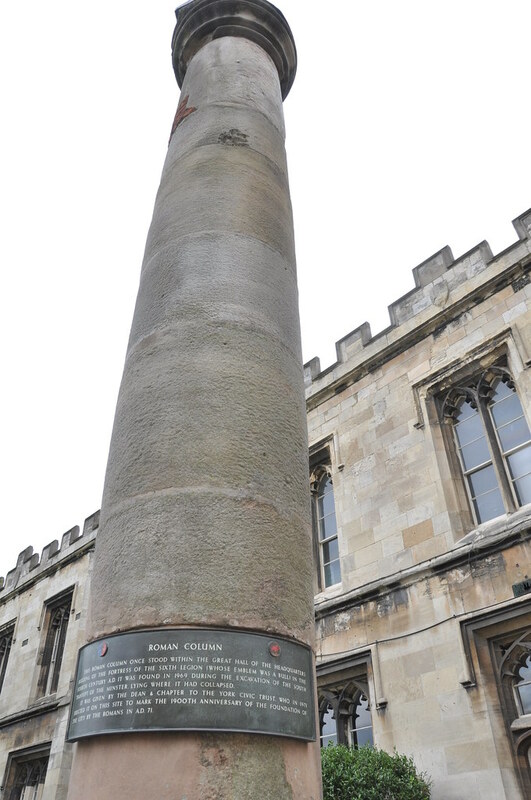 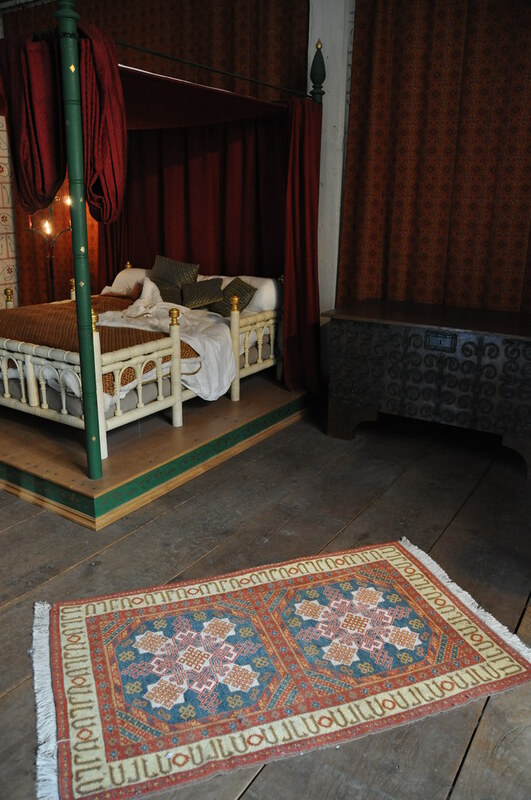 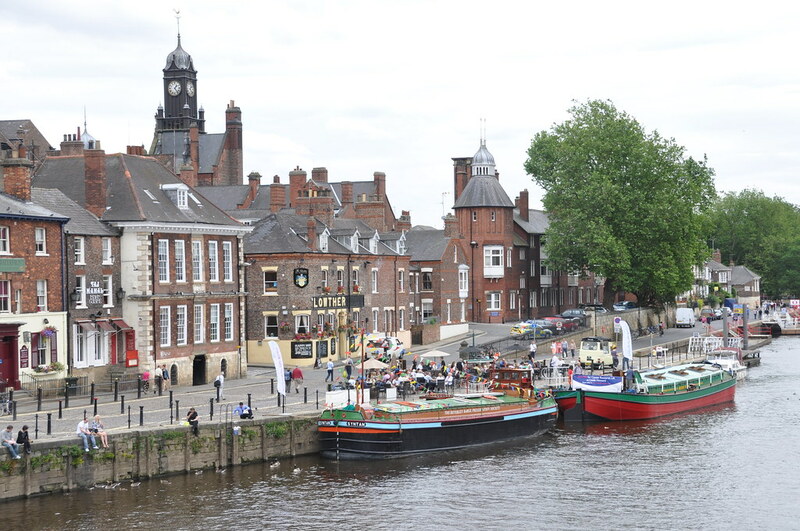 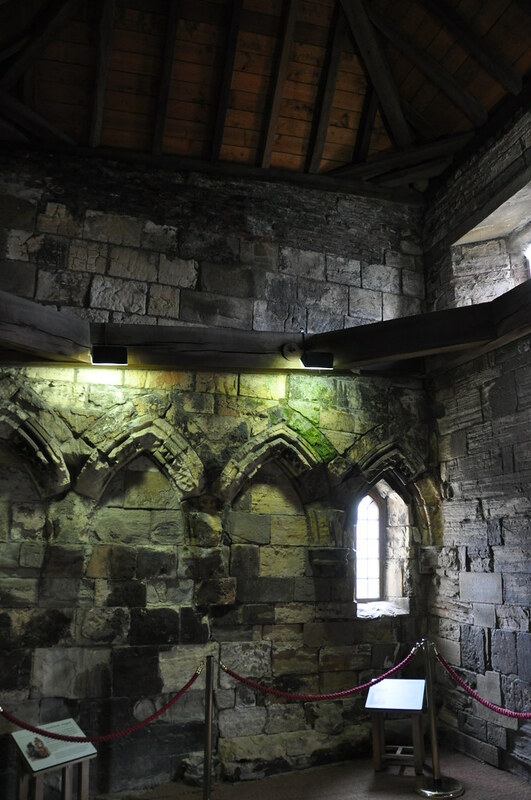 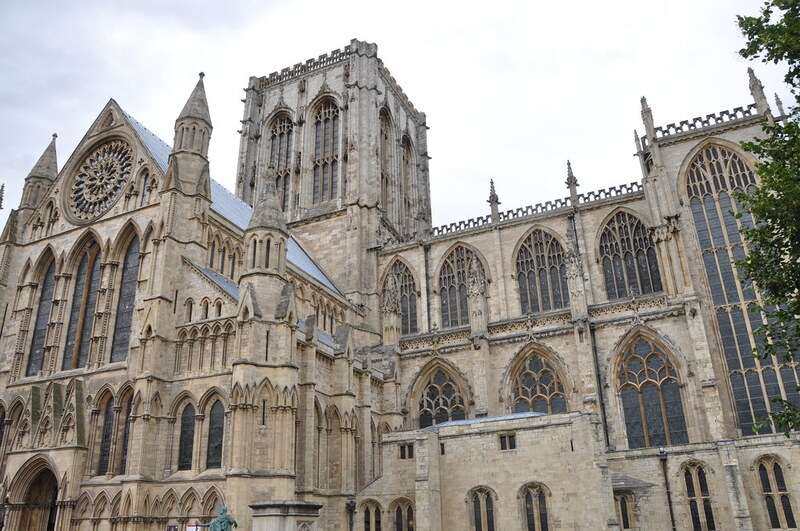 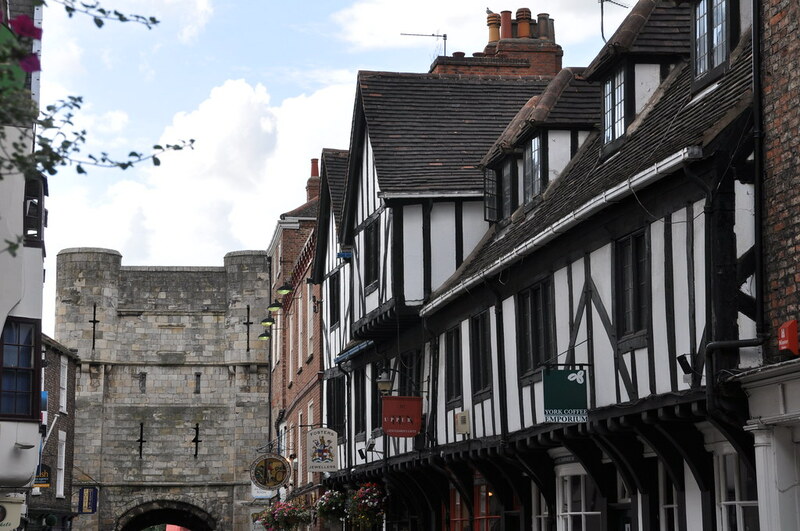 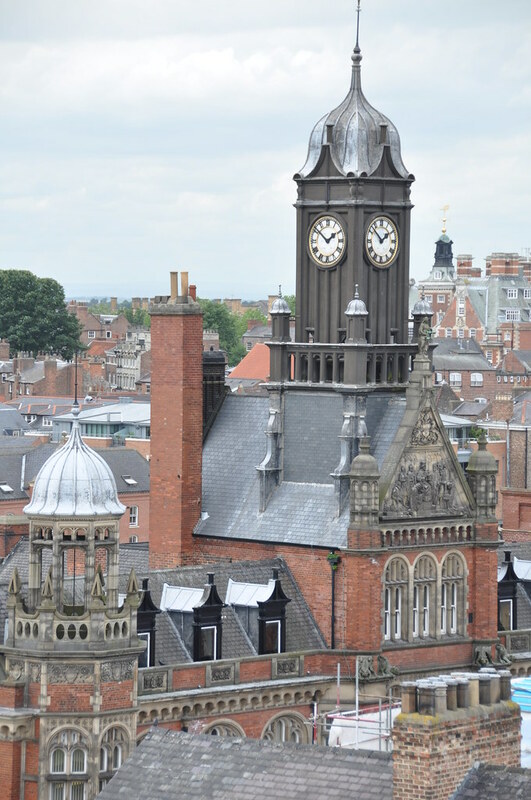 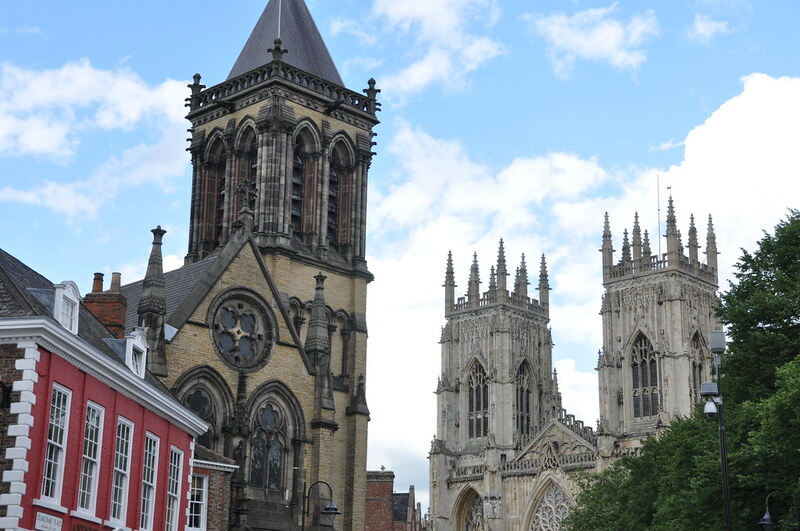 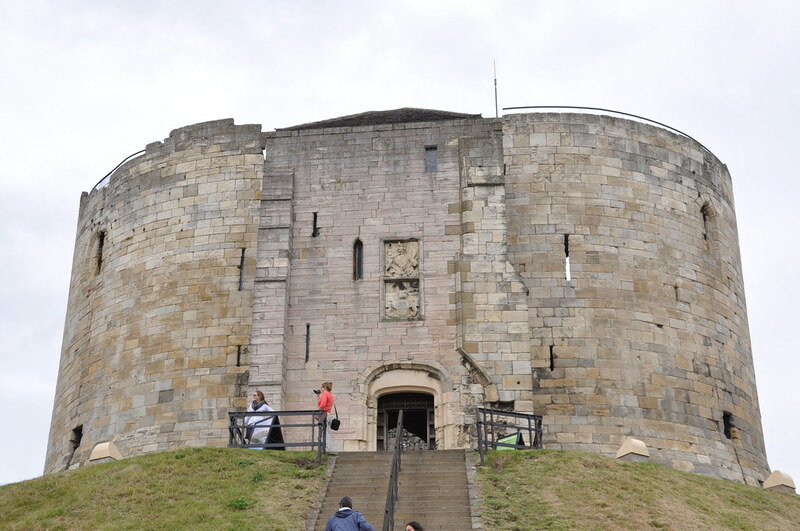 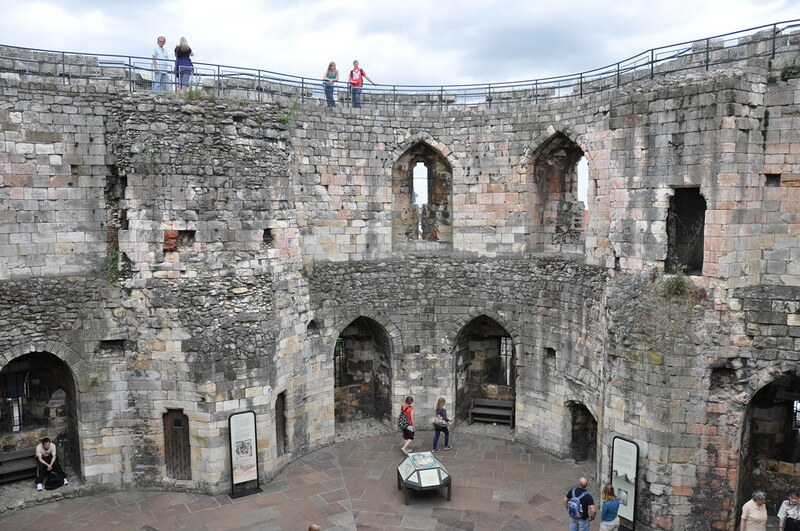 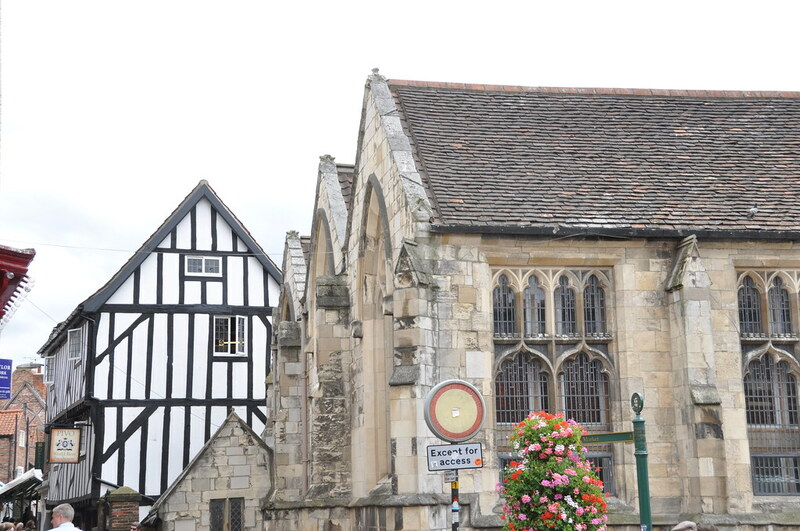 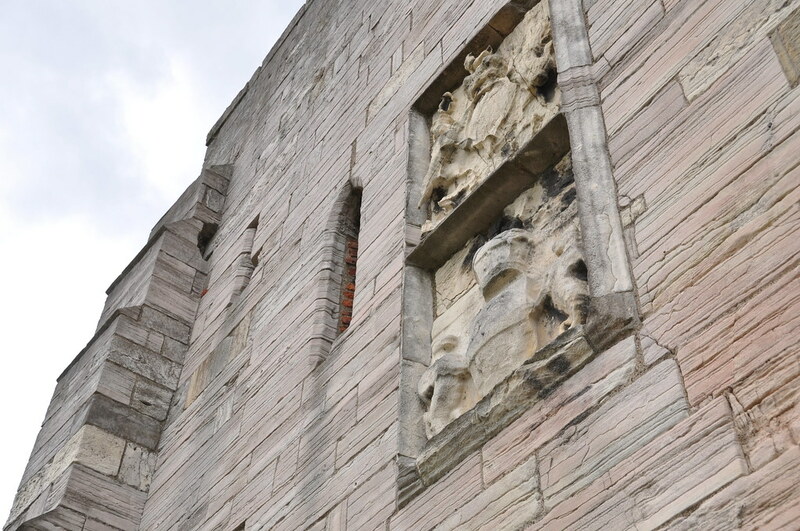 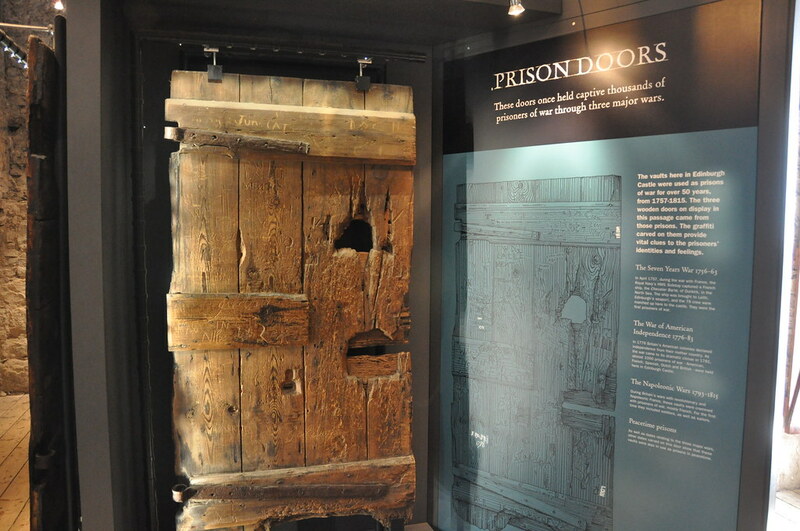 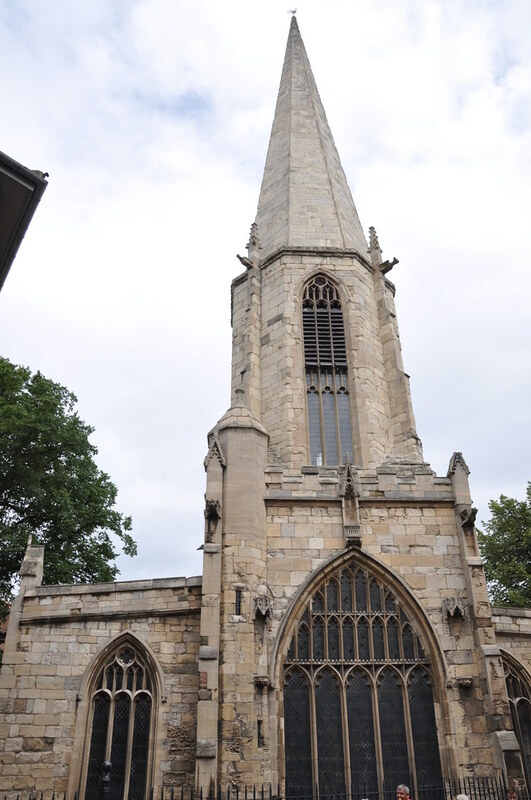 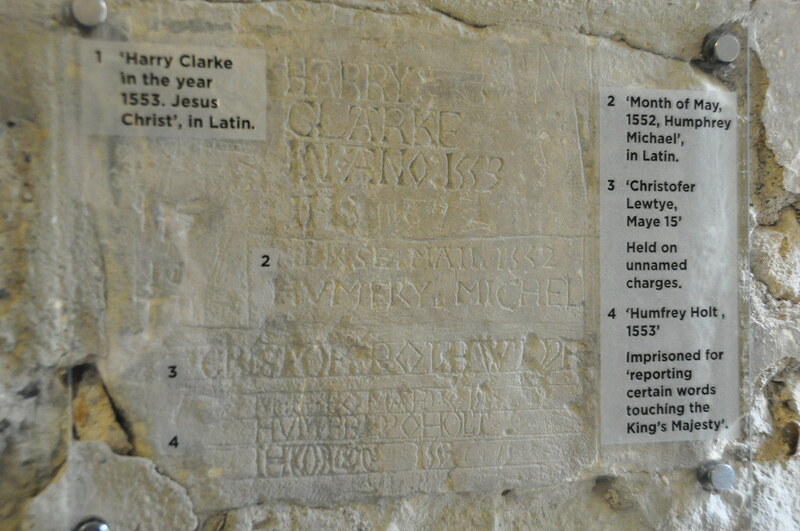 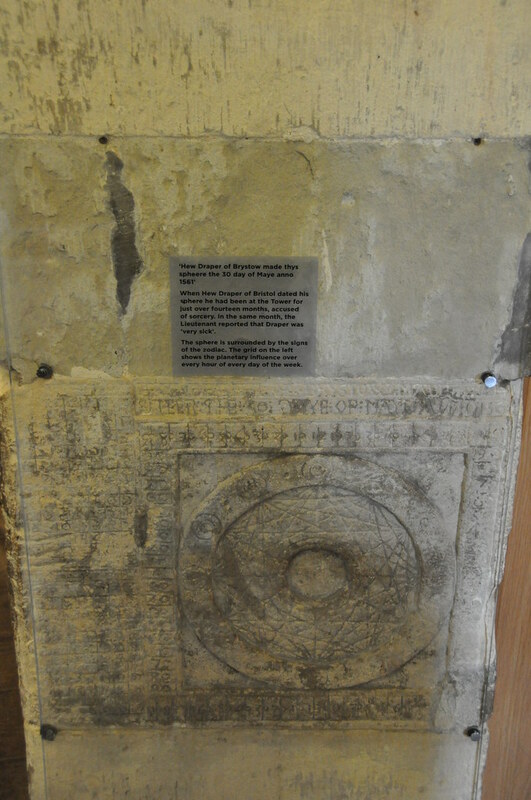 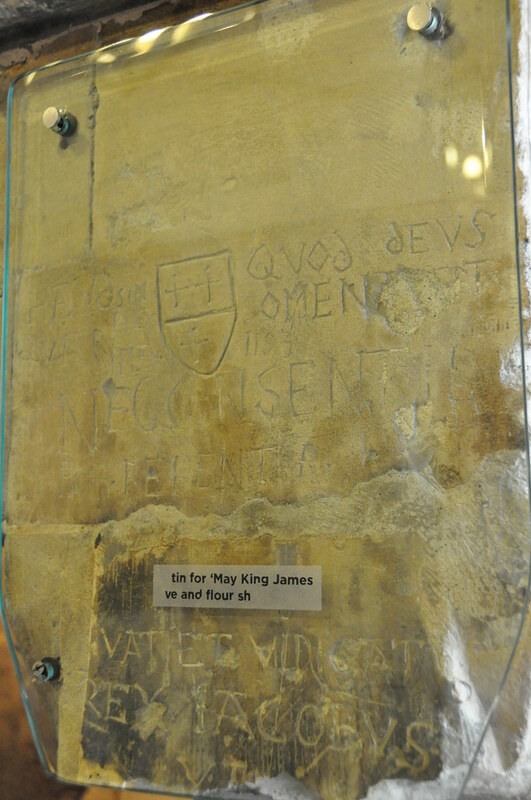 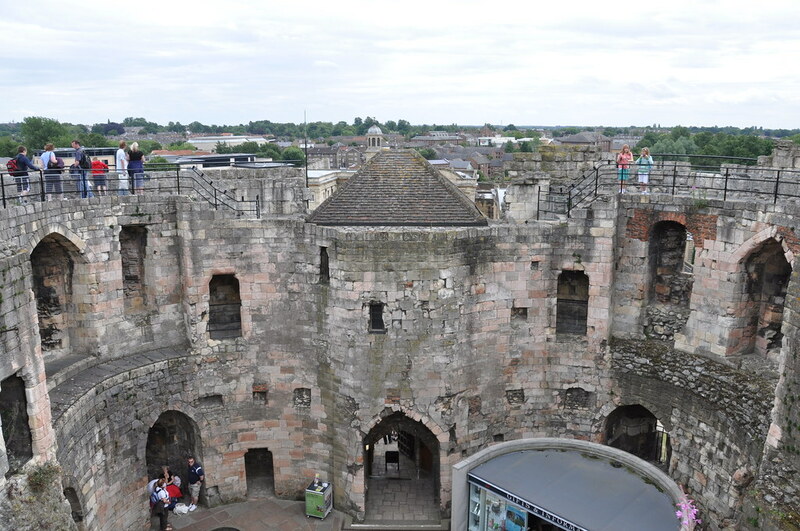 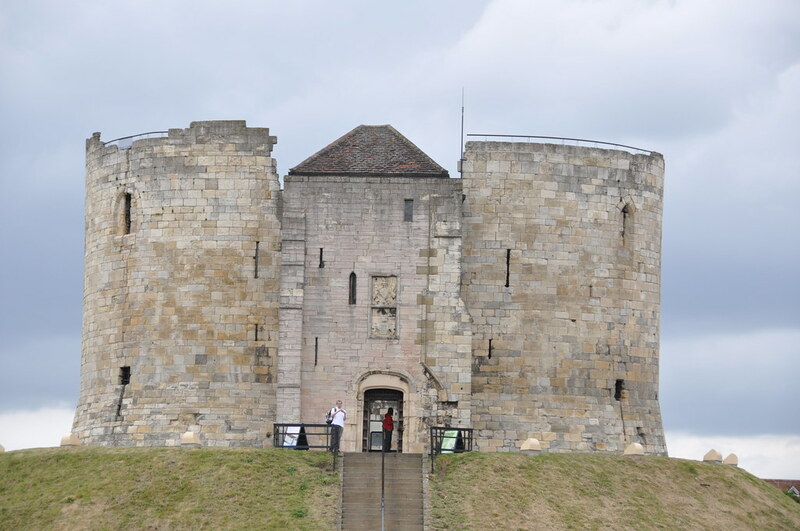 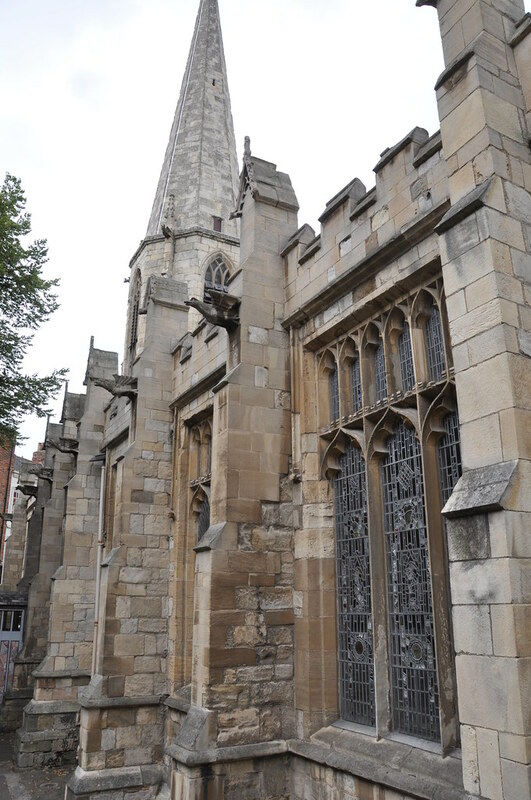 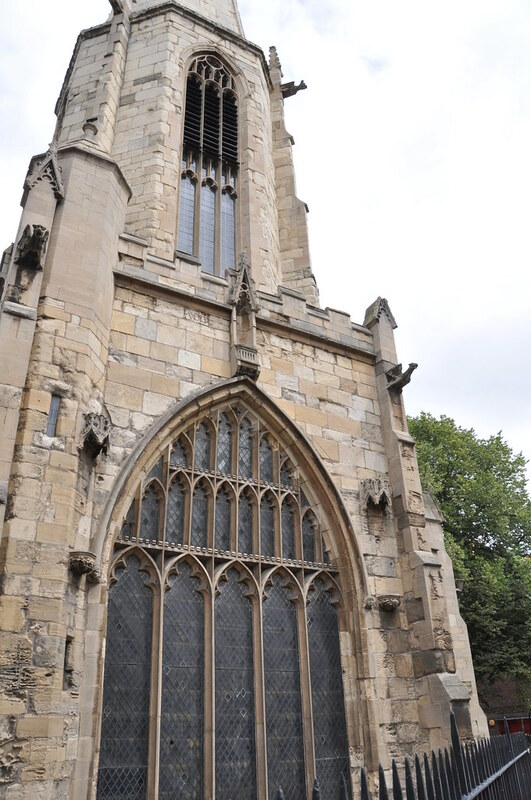 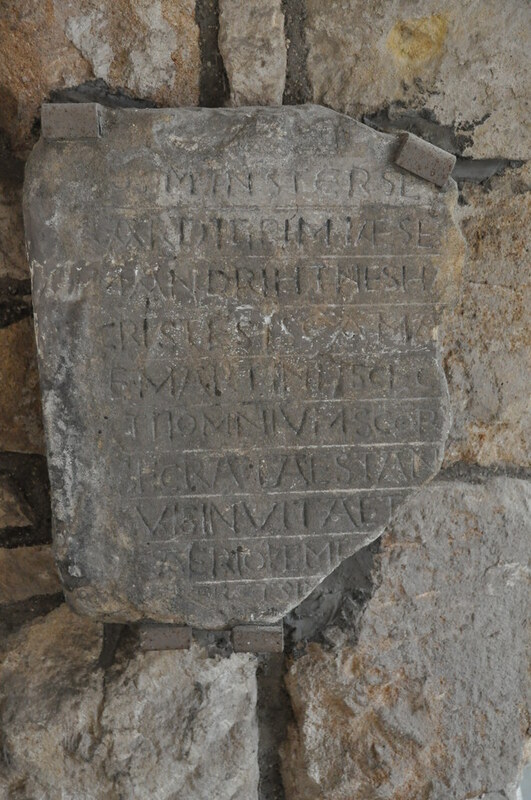 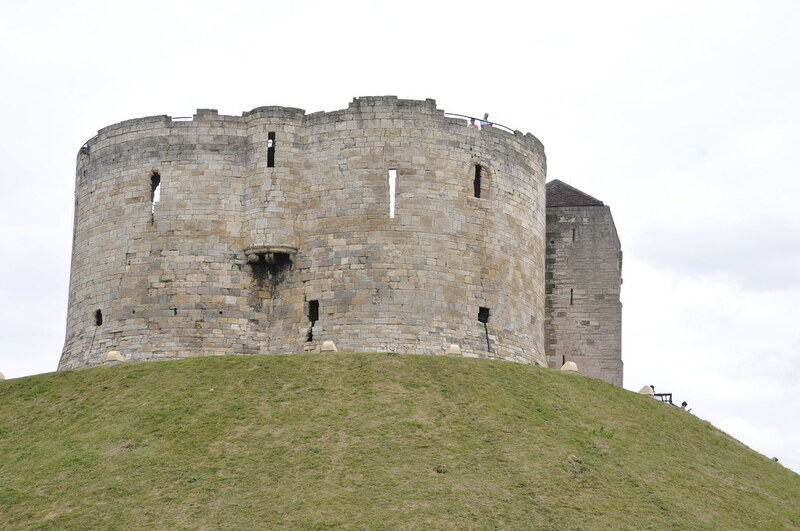 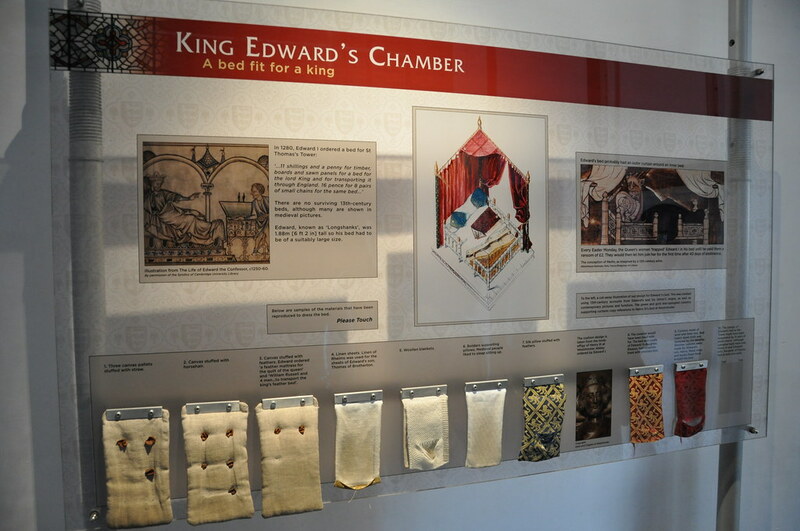 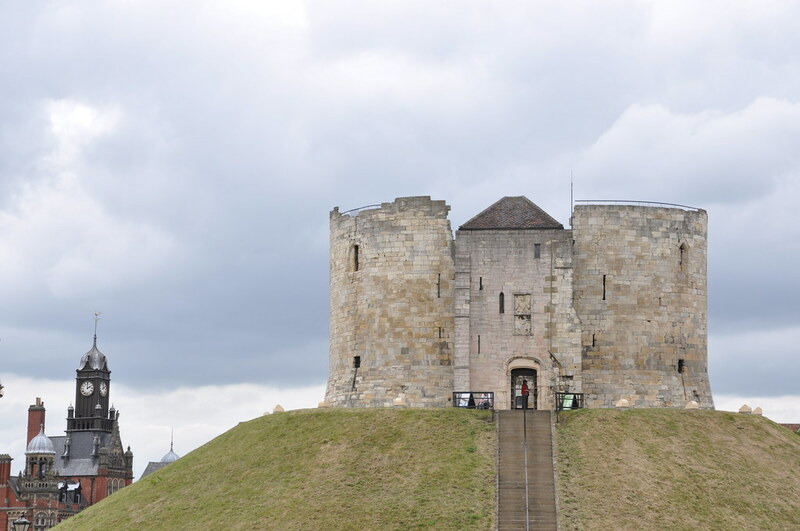 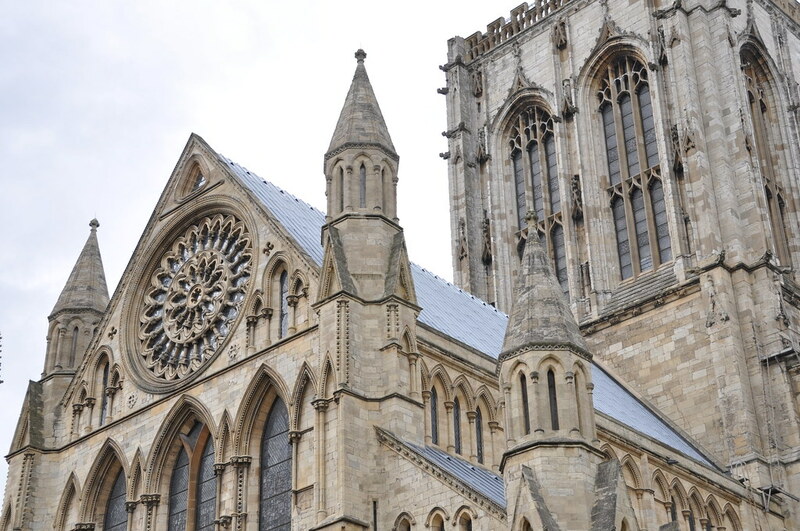 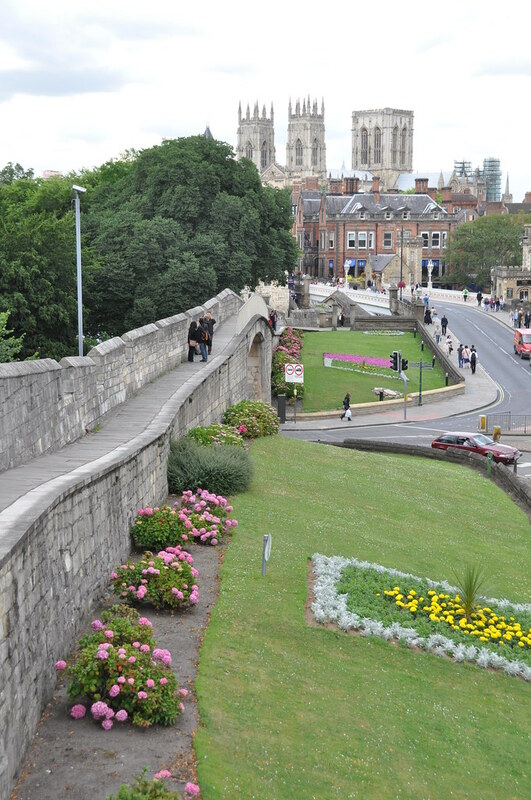 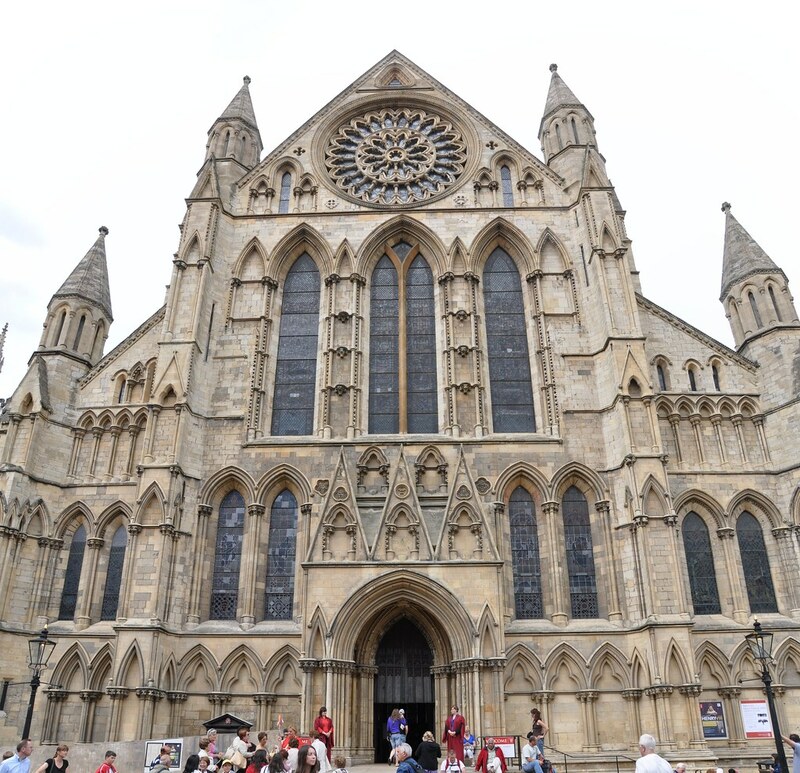 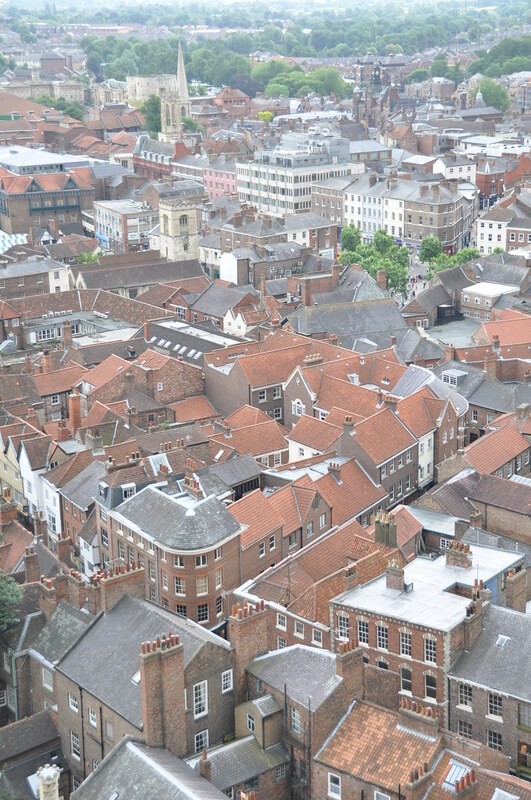 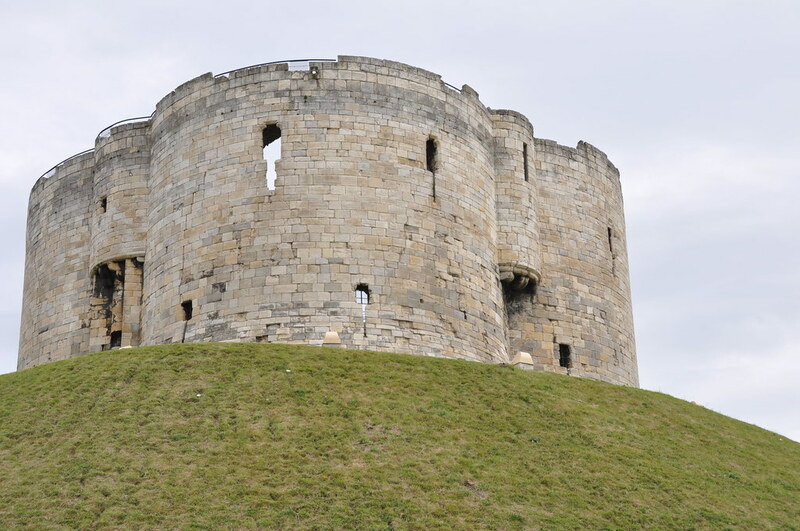 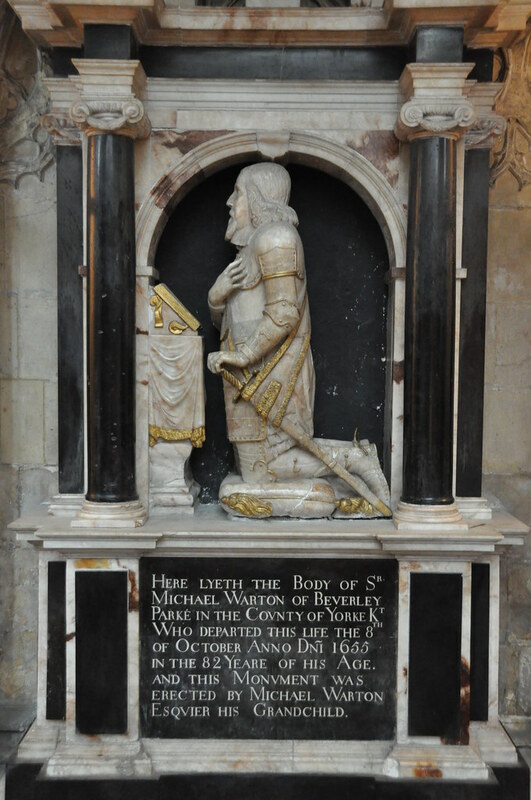 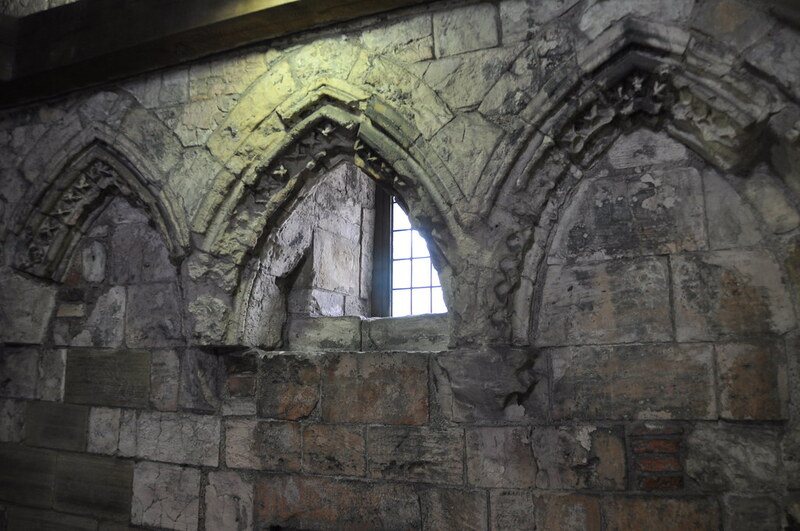 July 14—I traveled to York to visit Clifford's Tower and York Minster. 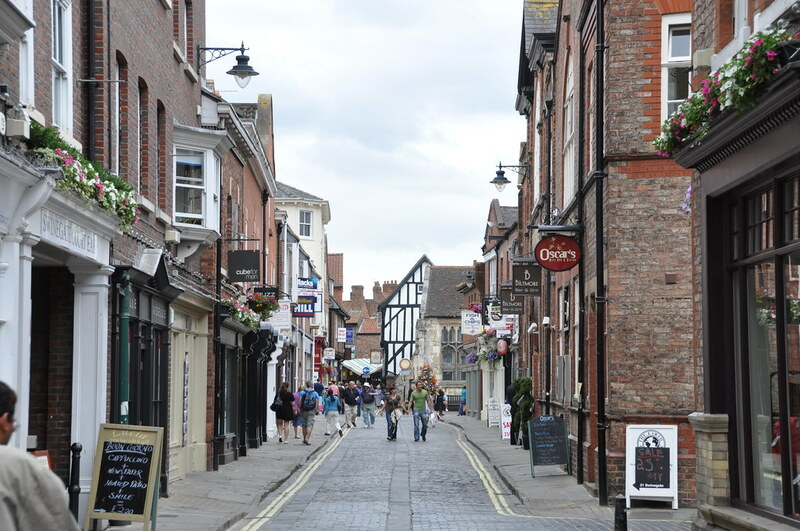 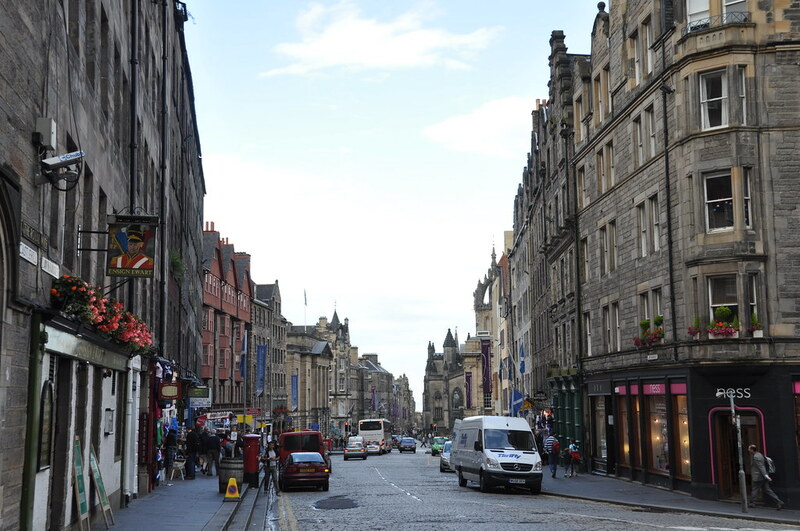 This photo is just a riverside row of shops and restaurants as I made my way beyond the train station. 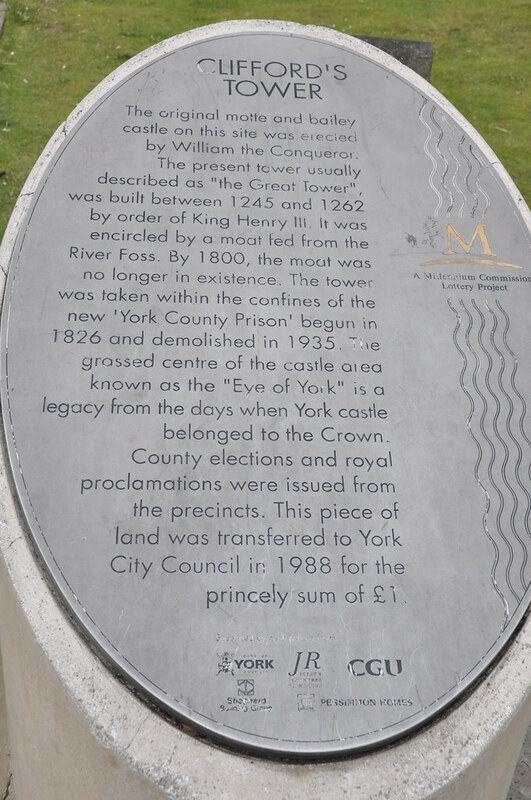 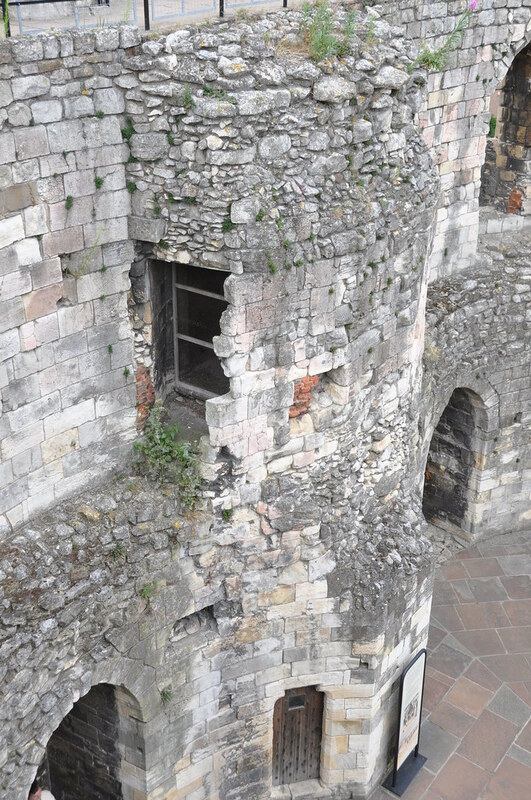 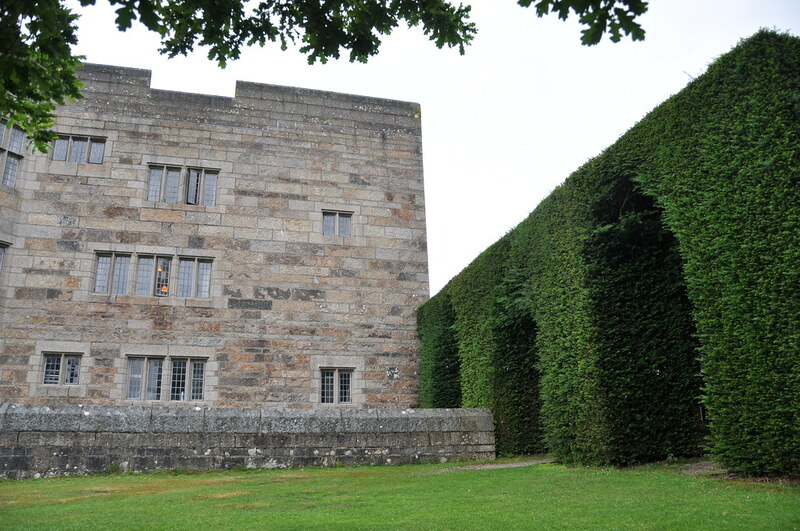 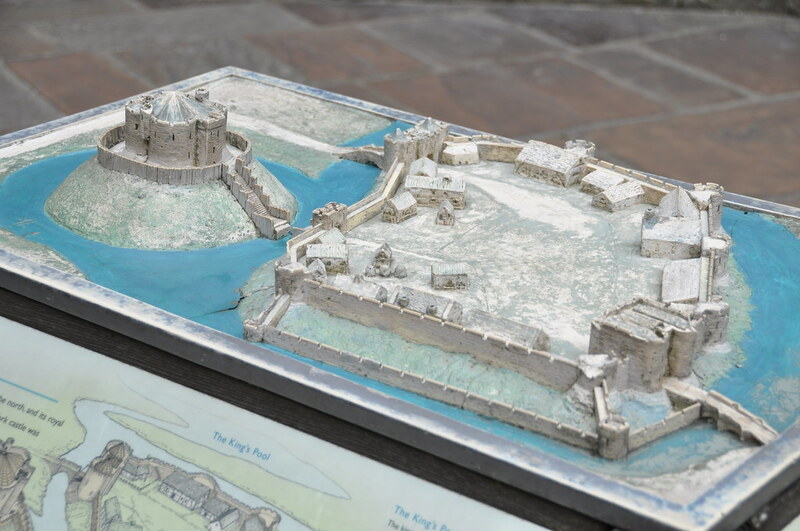 Clifford's Tower is part of York Castle. 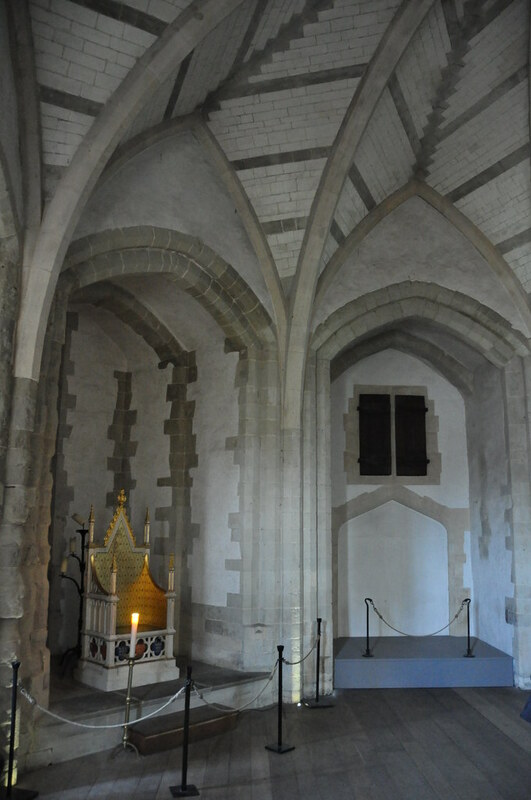 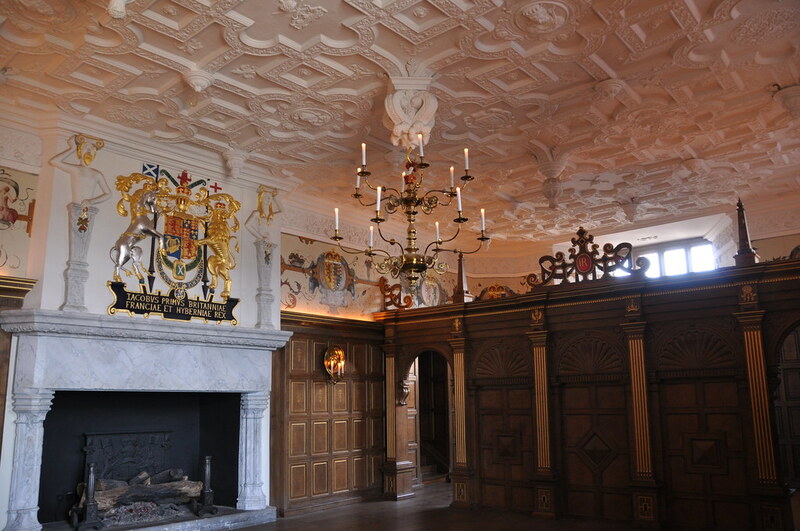 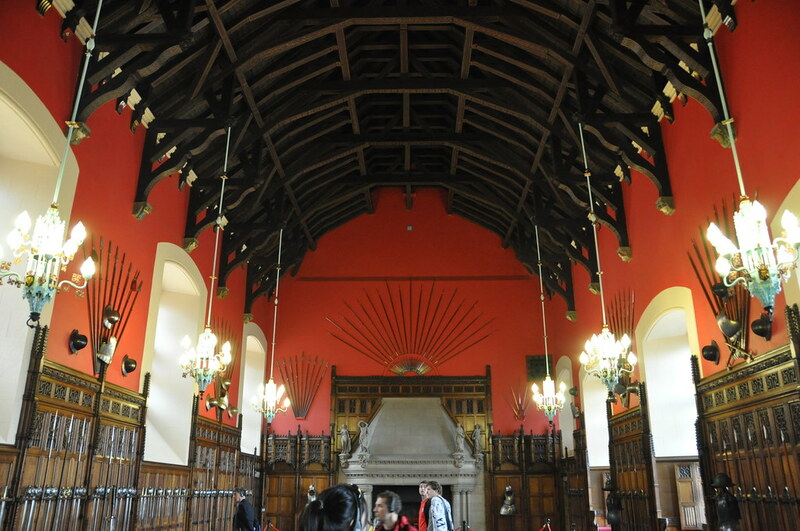 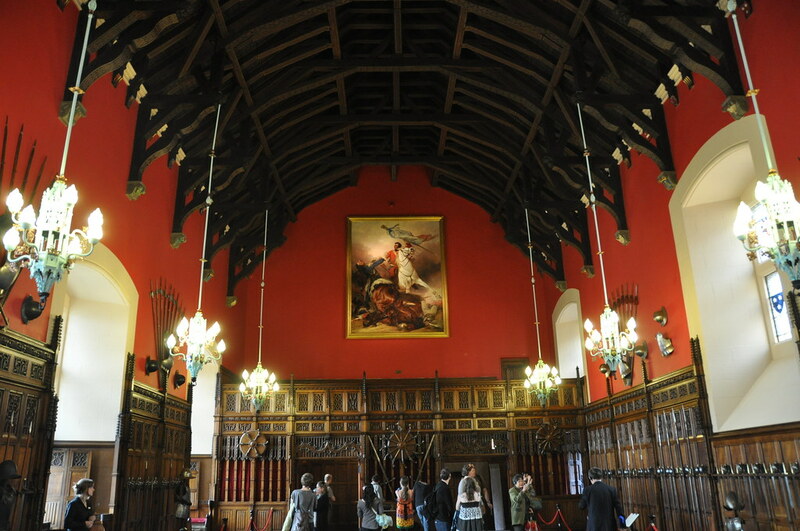 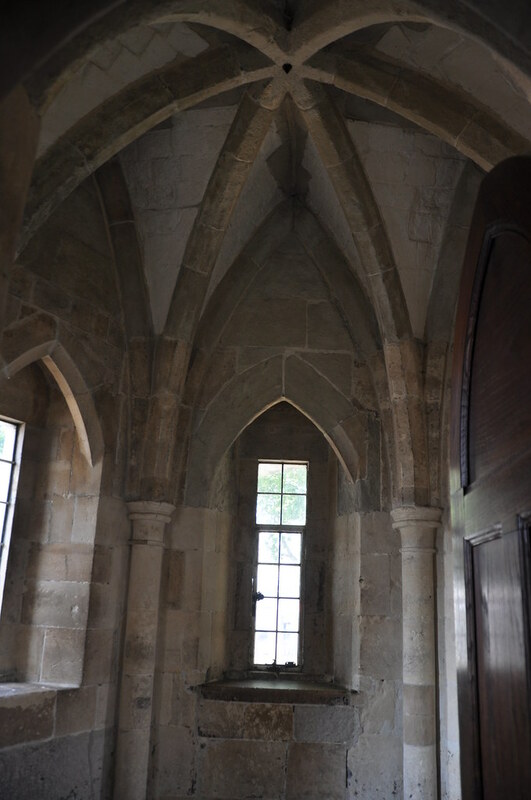 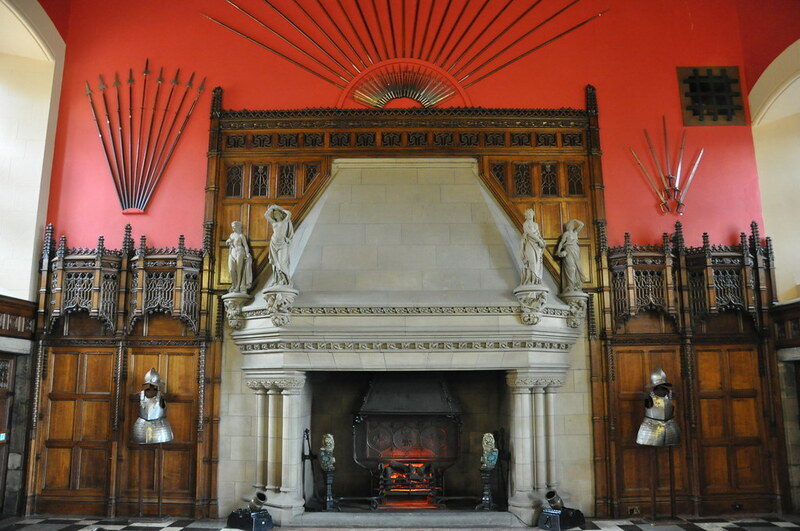 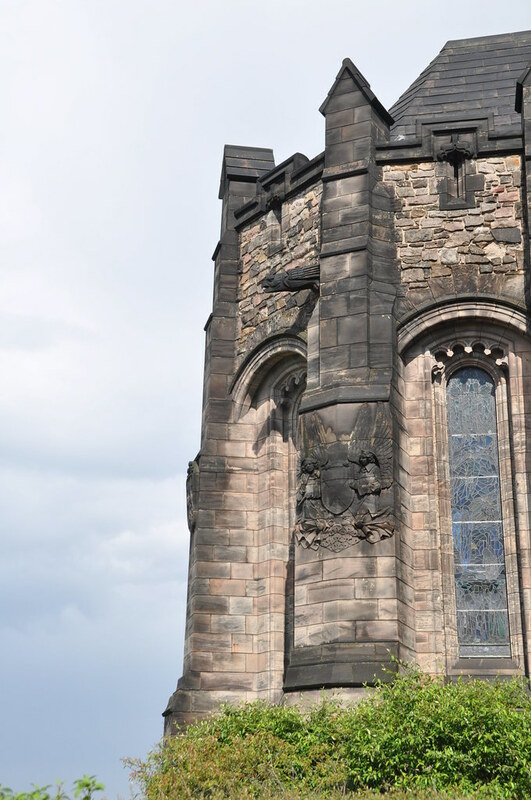 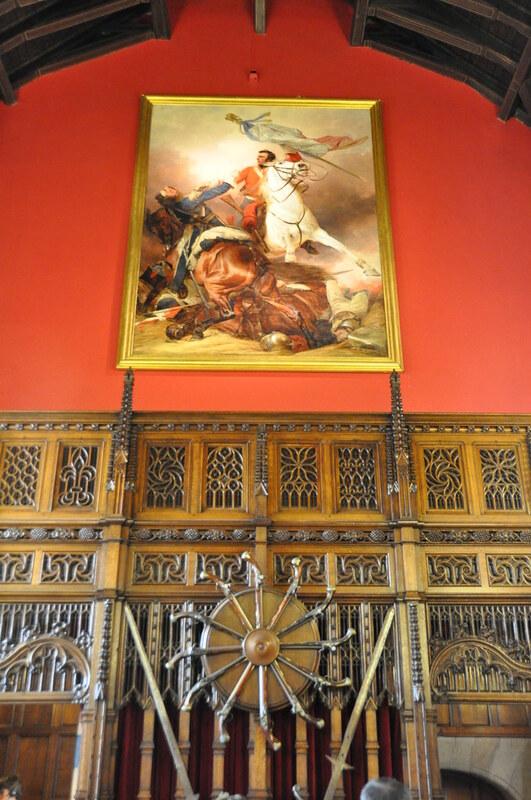 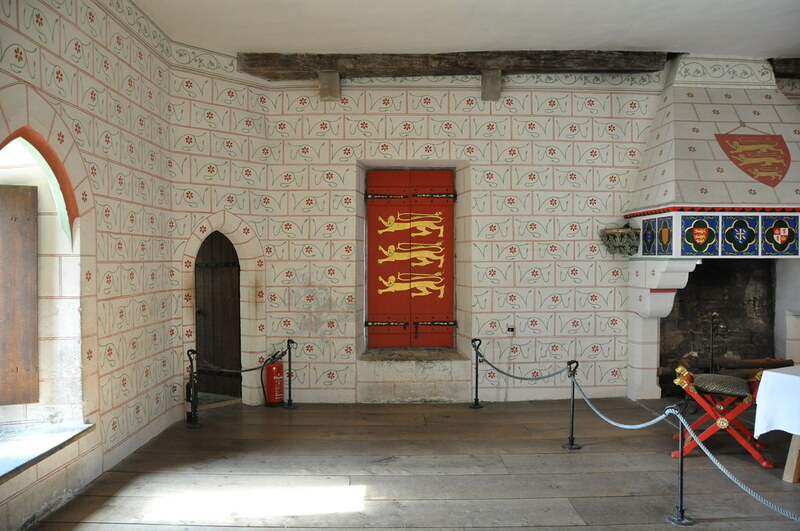 Perhaps not the greatest perspective, but this is a panorama all the way around inside the tower. 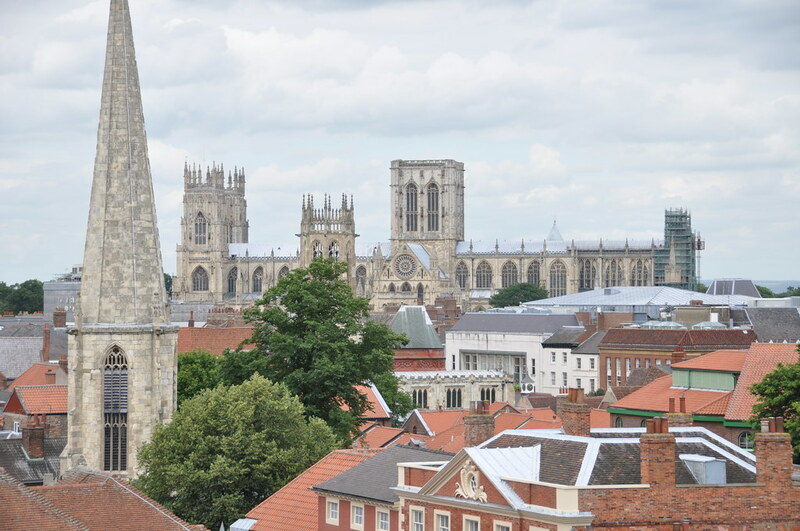 York St. Mary's church is the spire to the left in the foreground, and York Minster is in the distance. 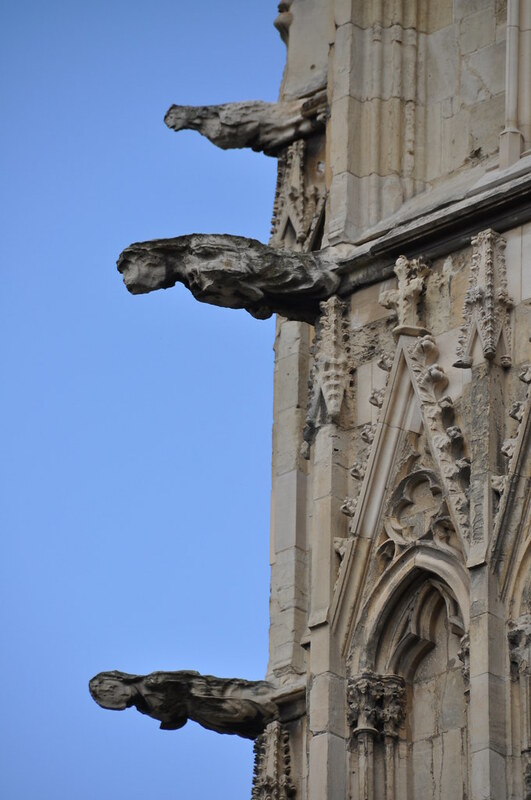 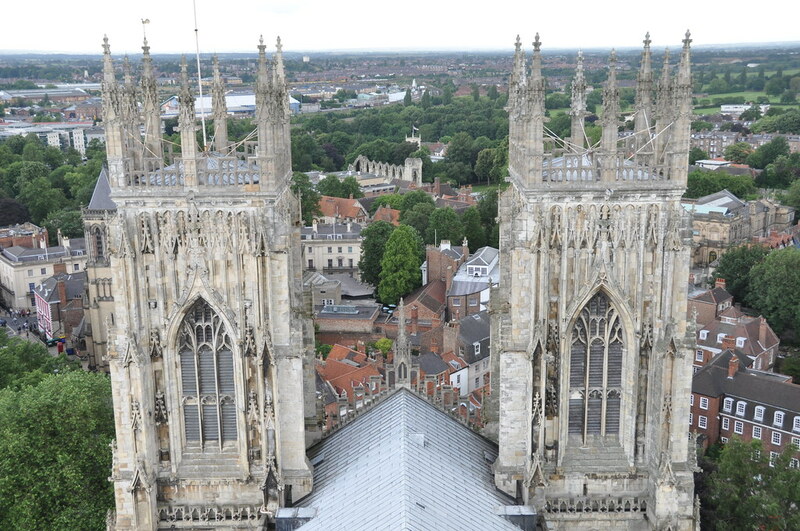 Later in this album, there's a shot from atop the Minster looking the exact opposite direction. 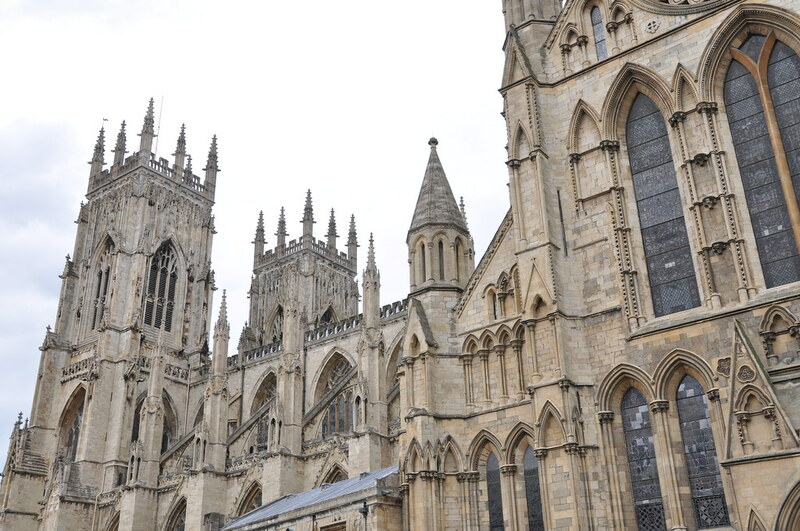 York St. Mary's was on the way to York Minster. 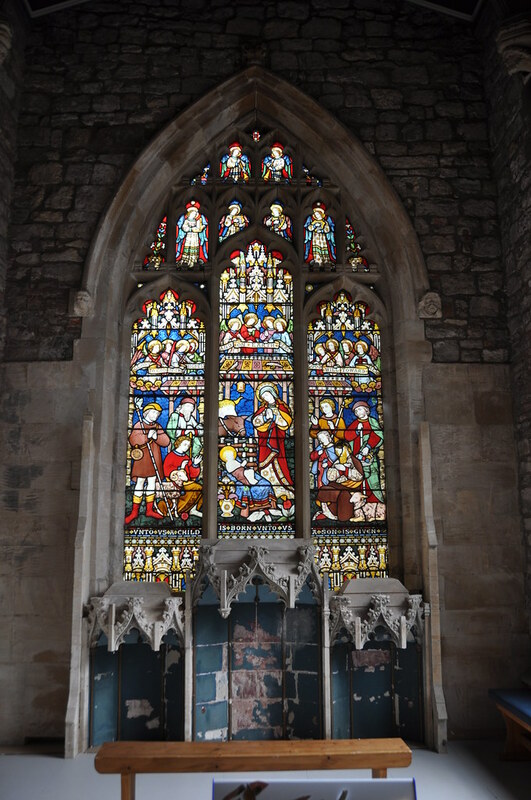 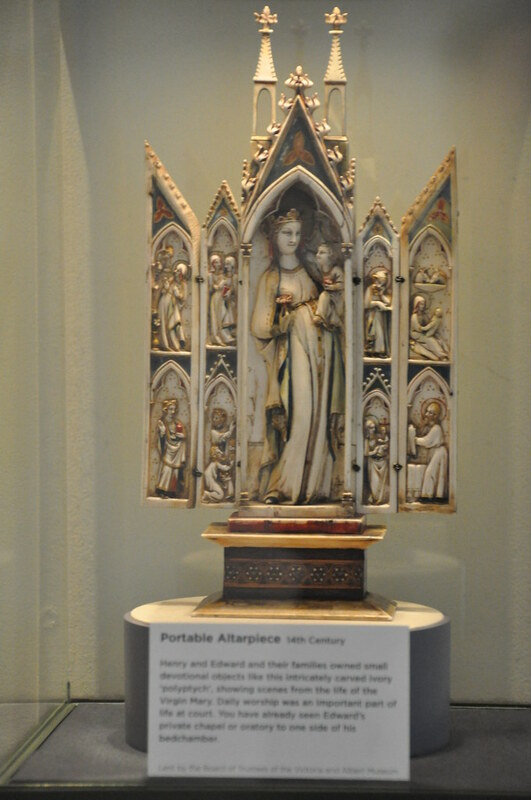 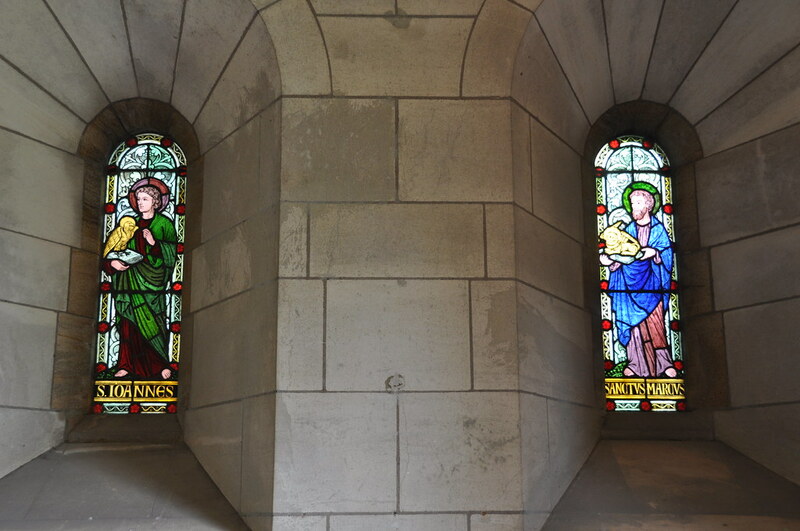 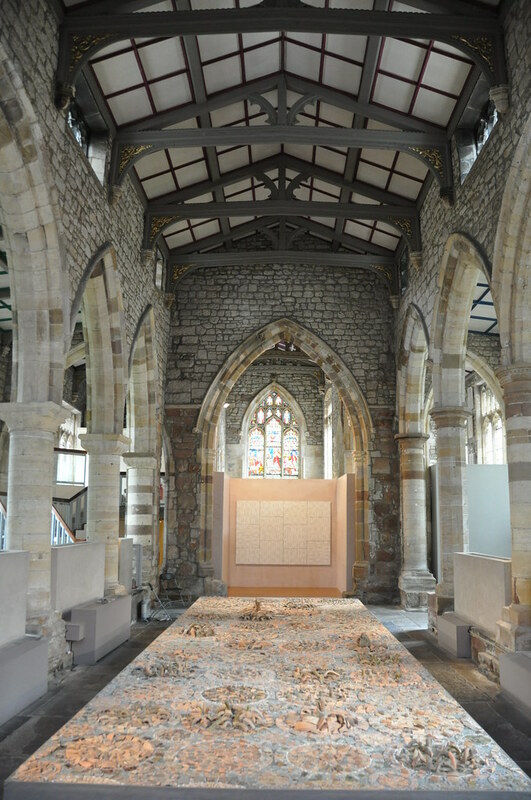 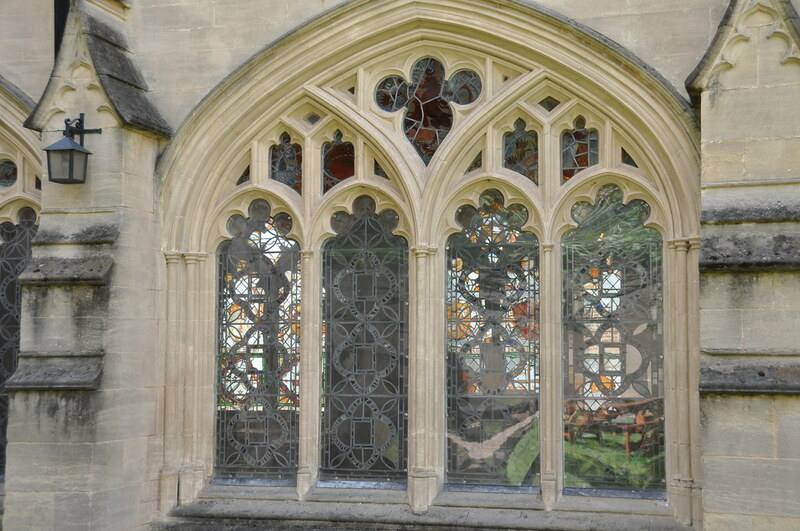 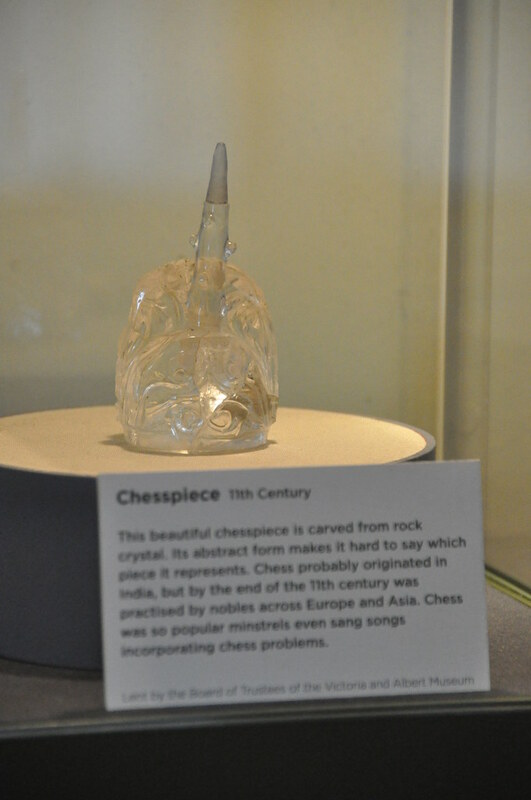 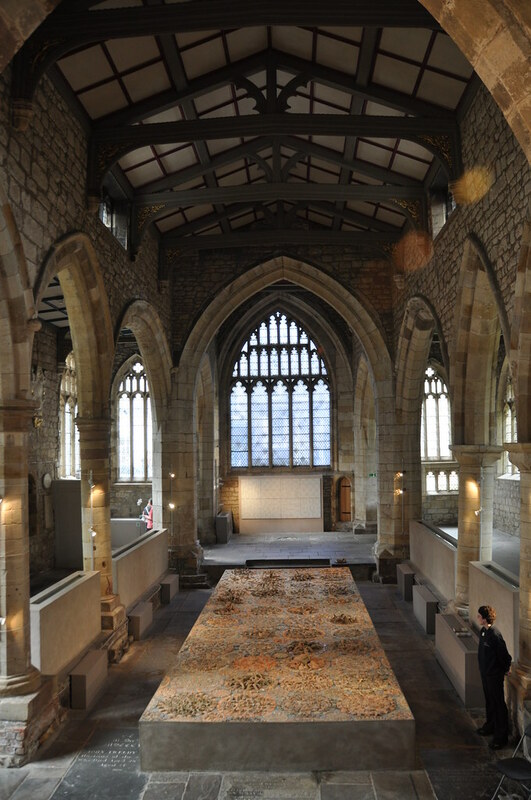 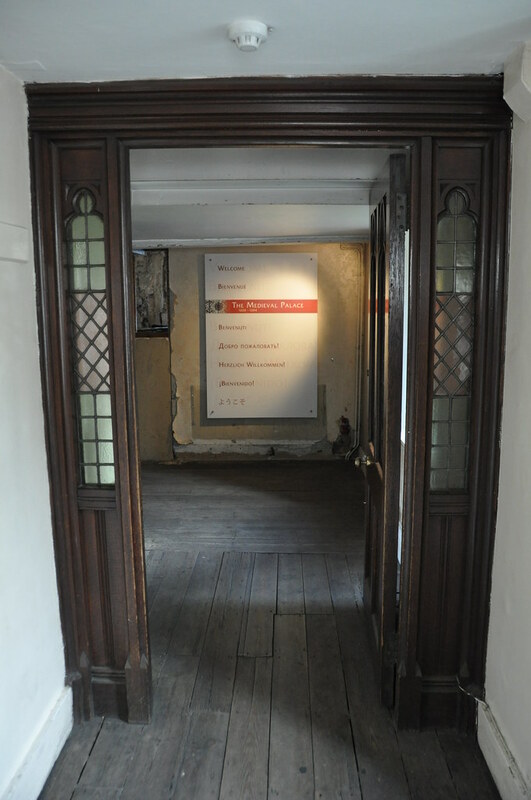 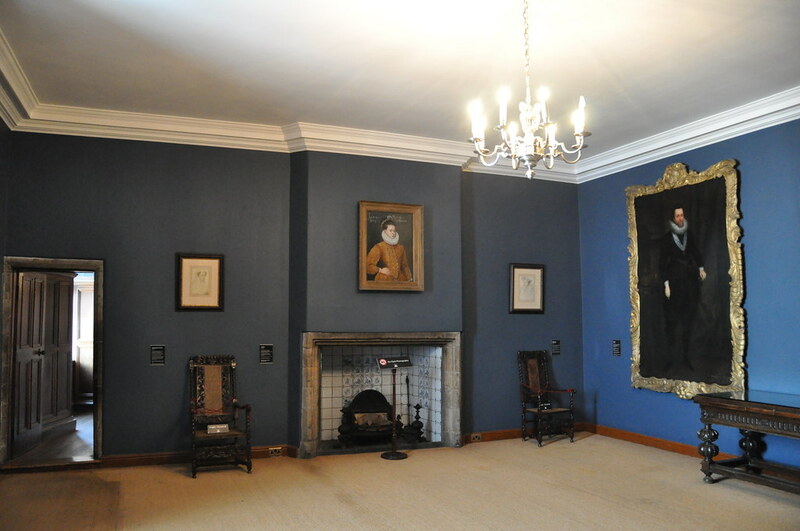 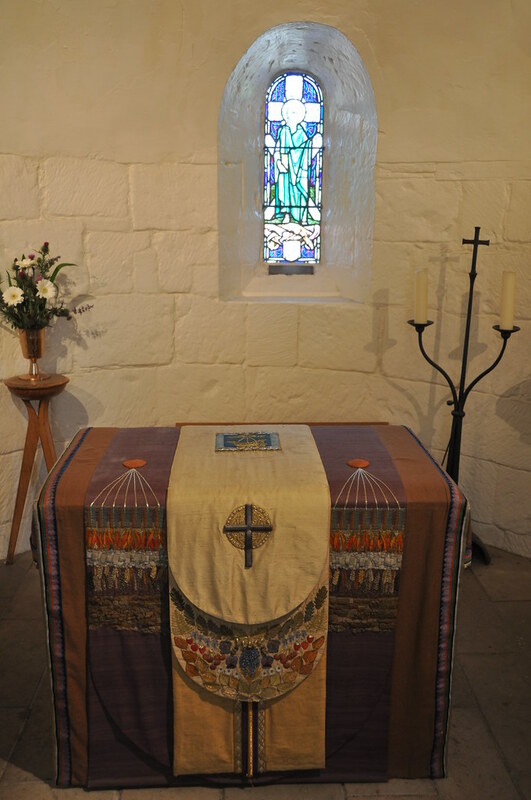 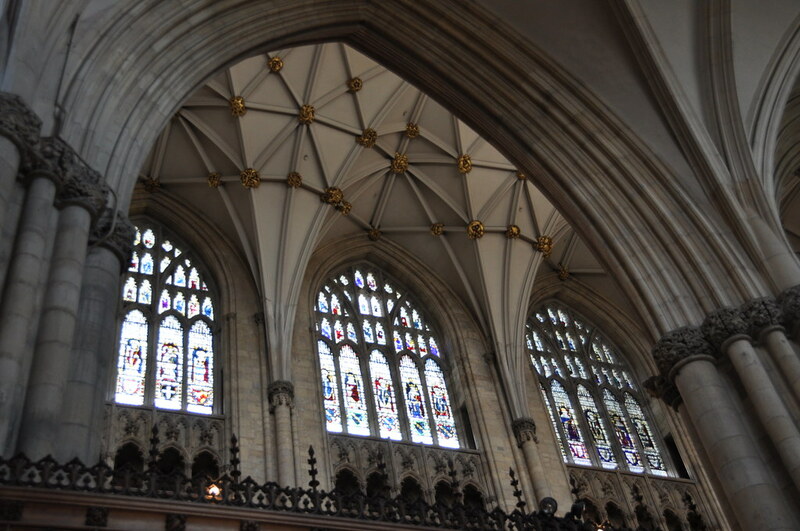 Inside, they were displaying an art exhibit based on the York Minster window, Five Sisters. 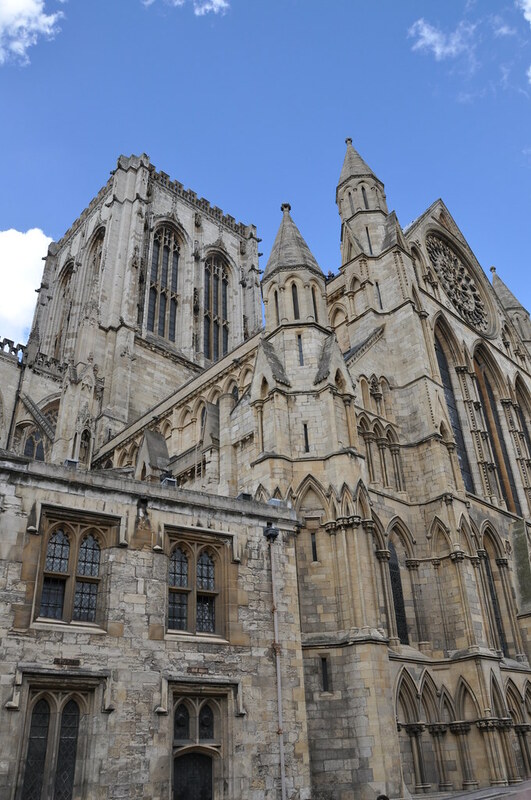 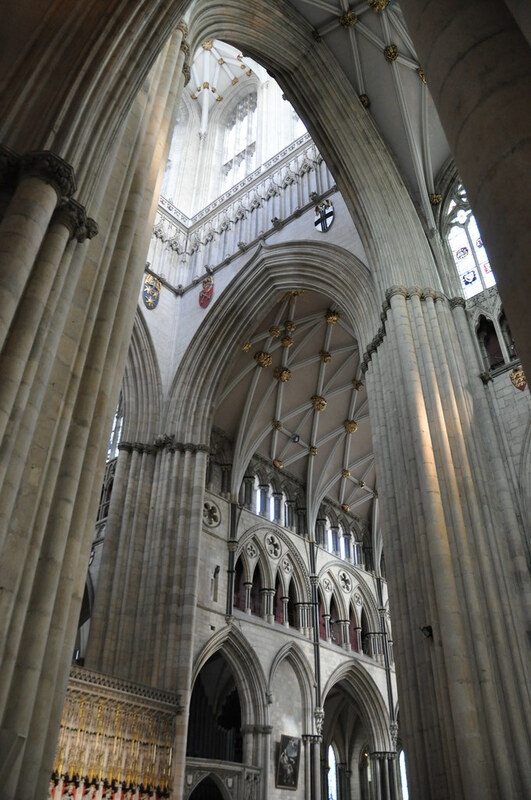 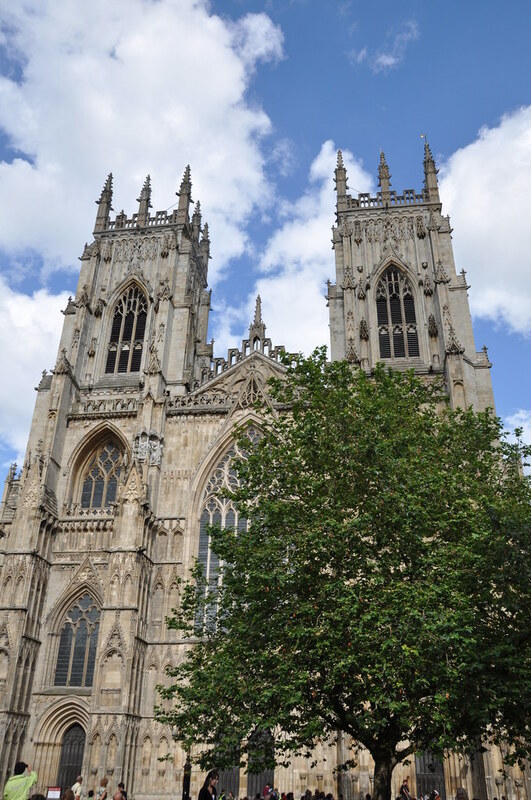 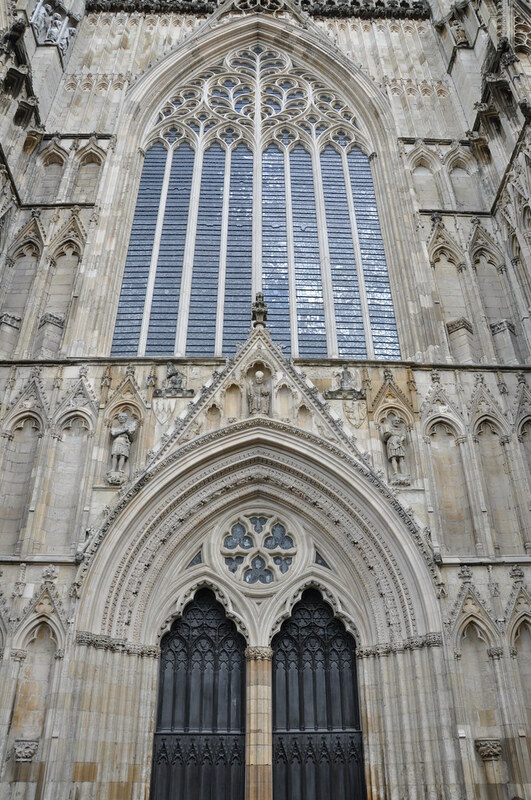 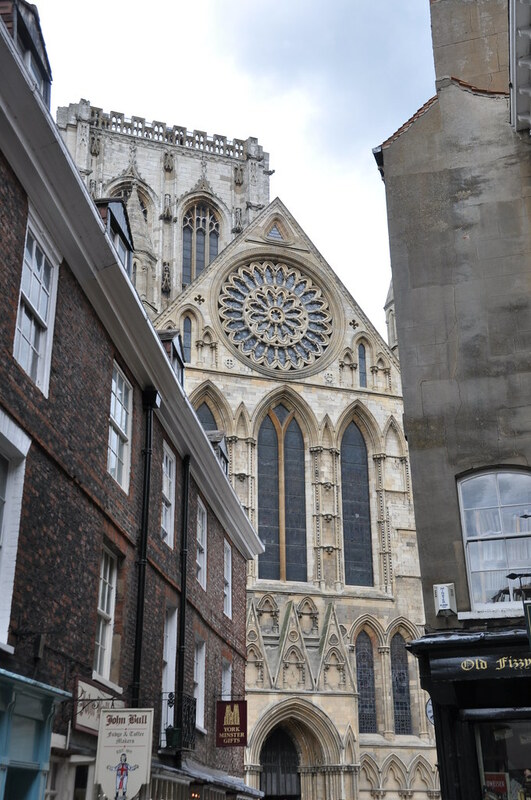 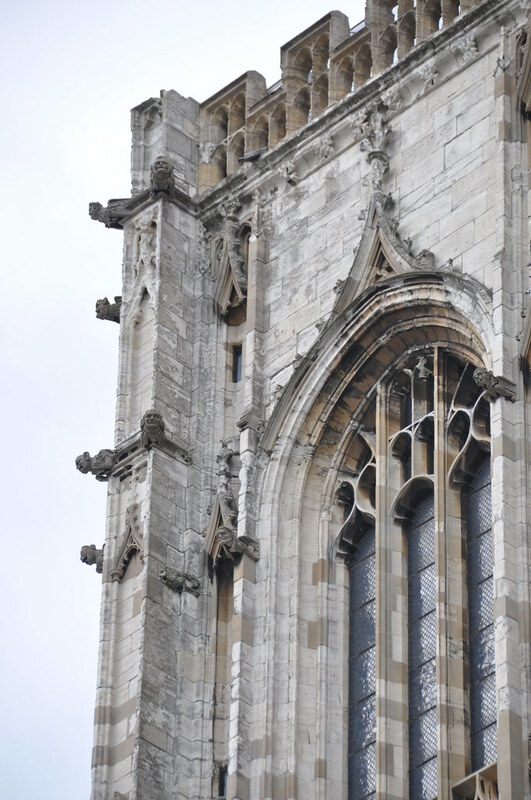 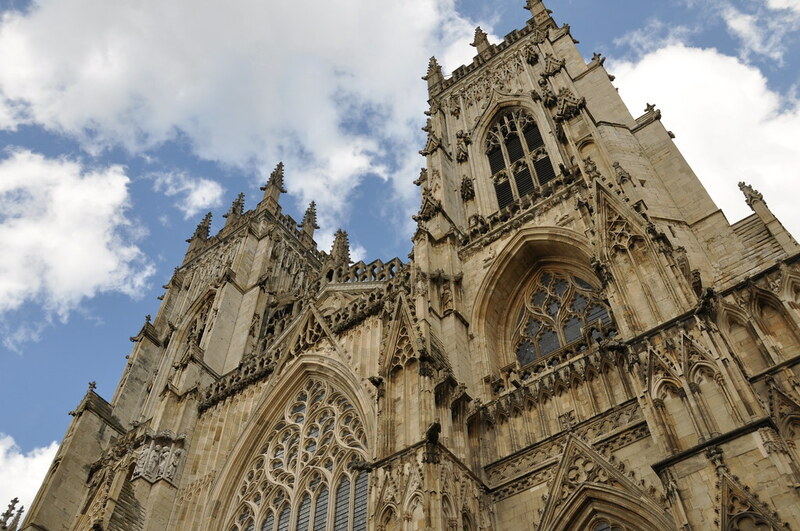 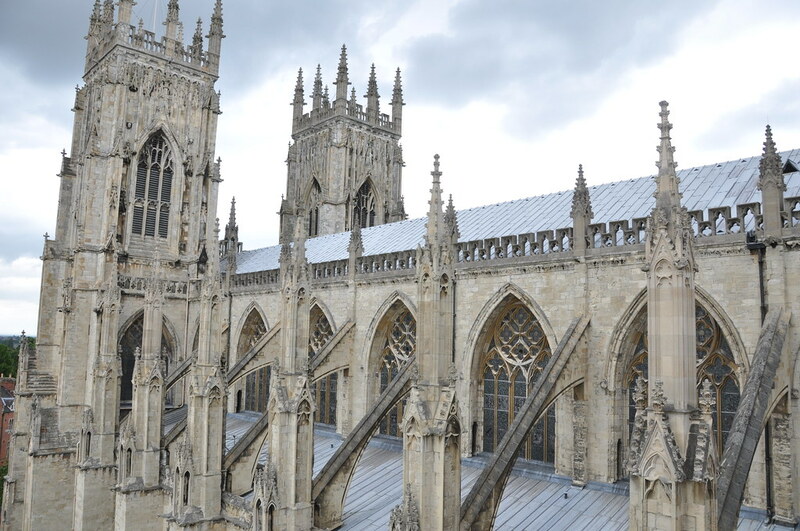 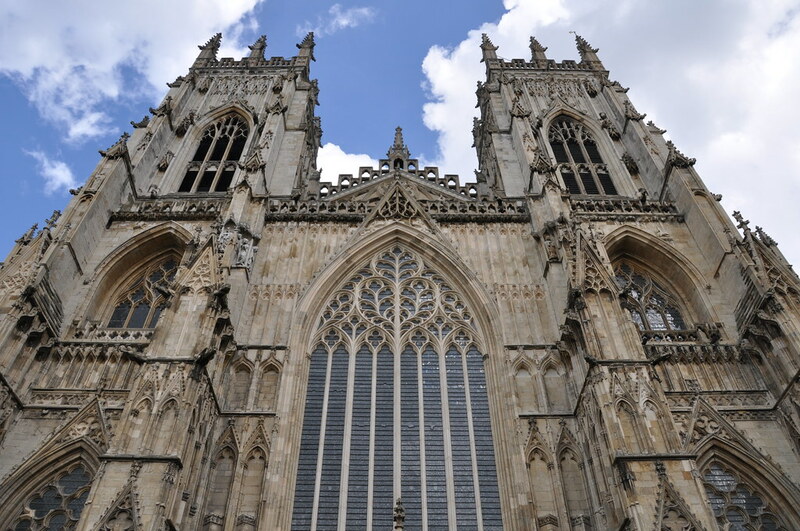 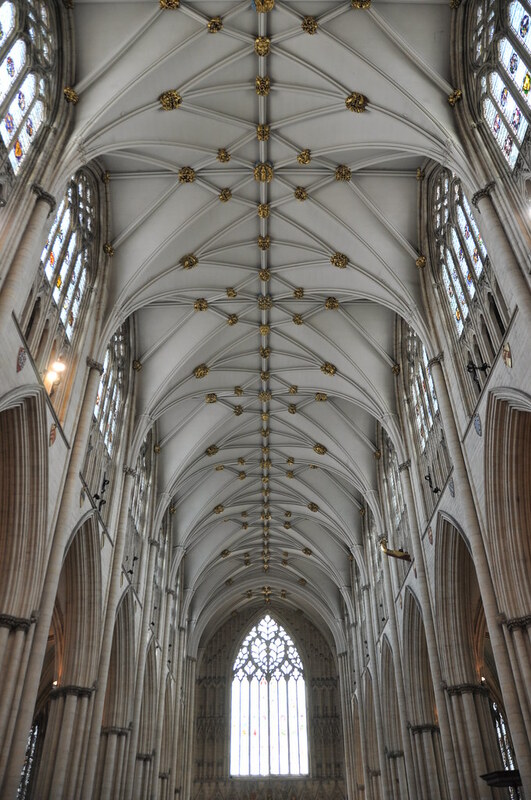 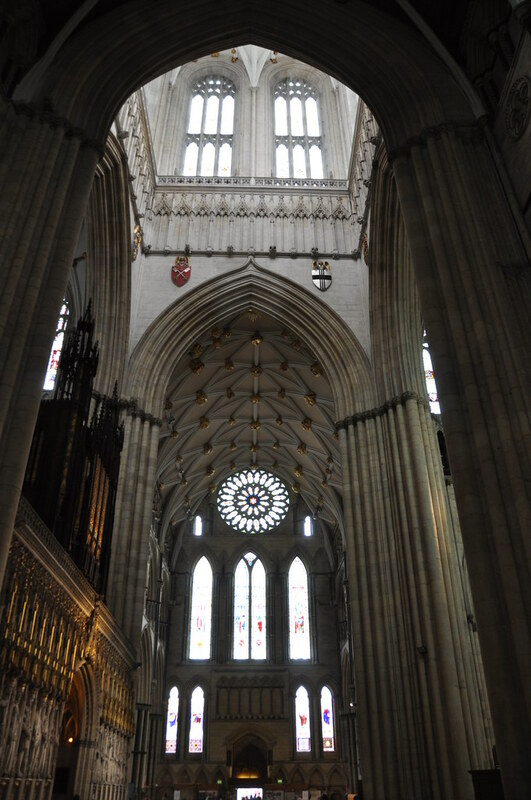 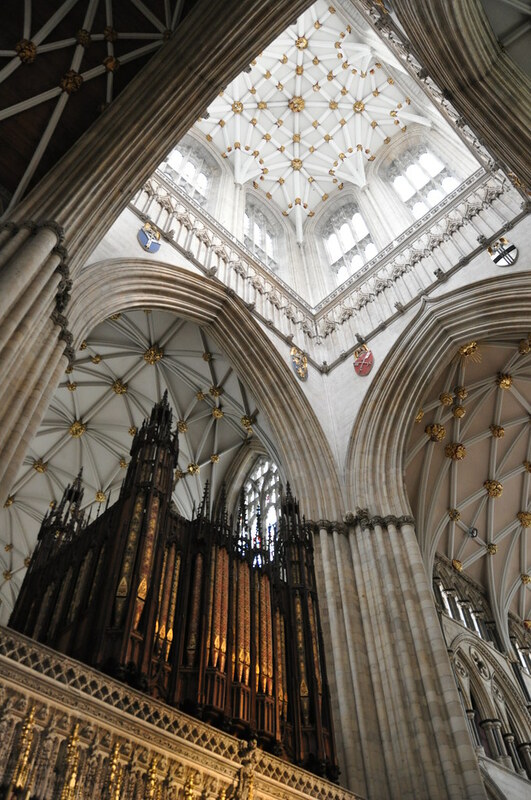 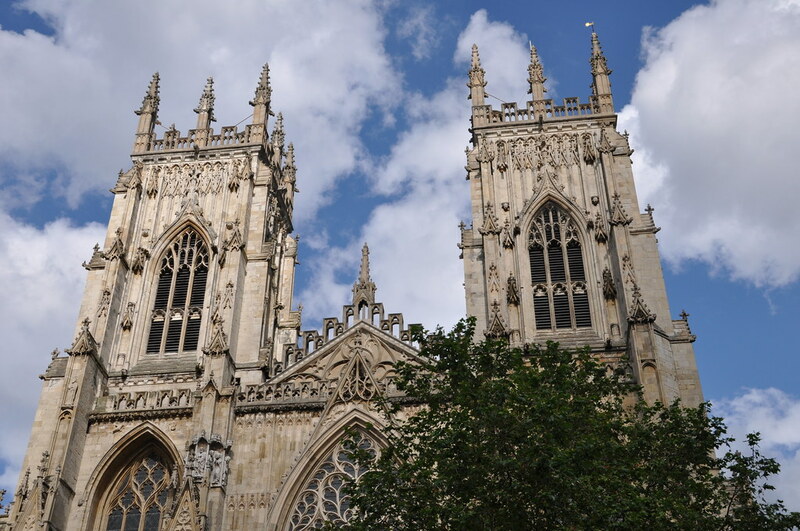 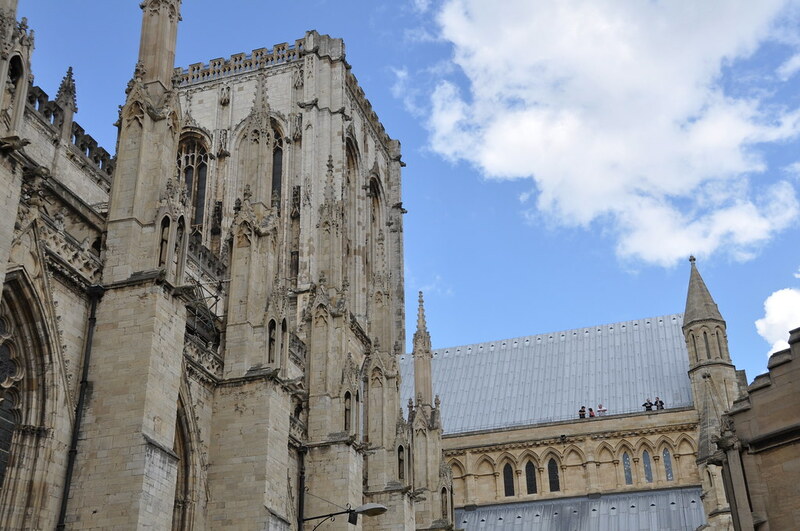 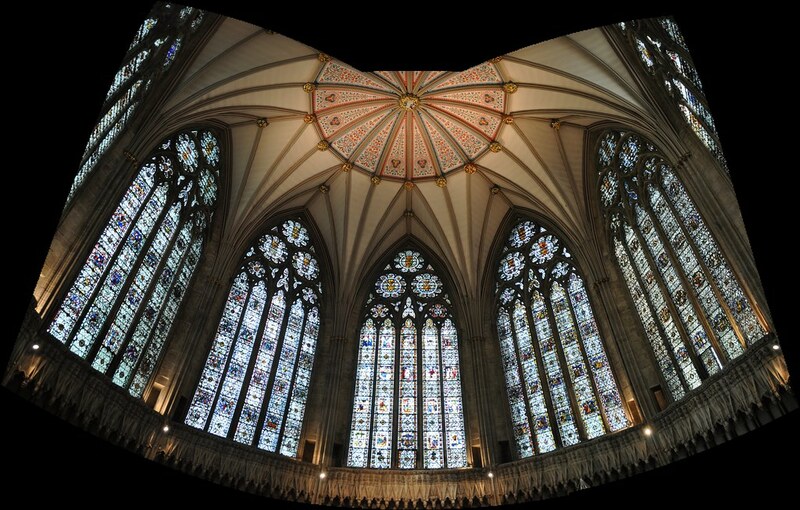 Arriving at York Minster, this beautiful church included the option of a tour to the top of the central tower—if you can handle the climb! 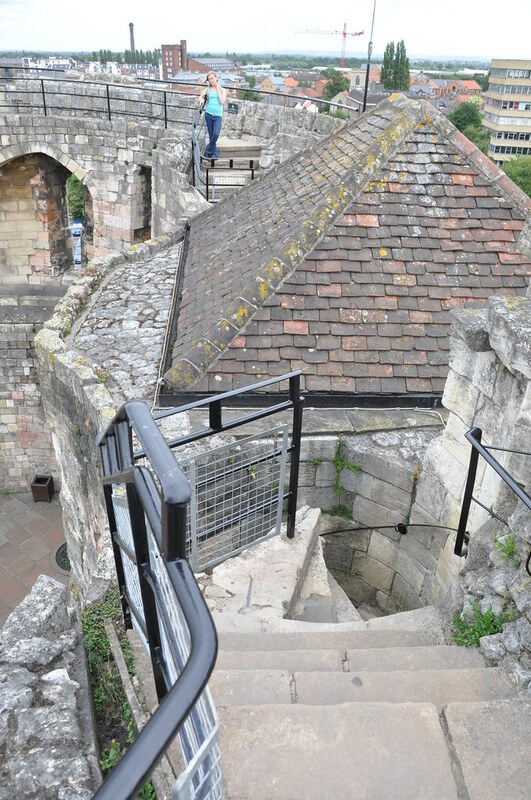 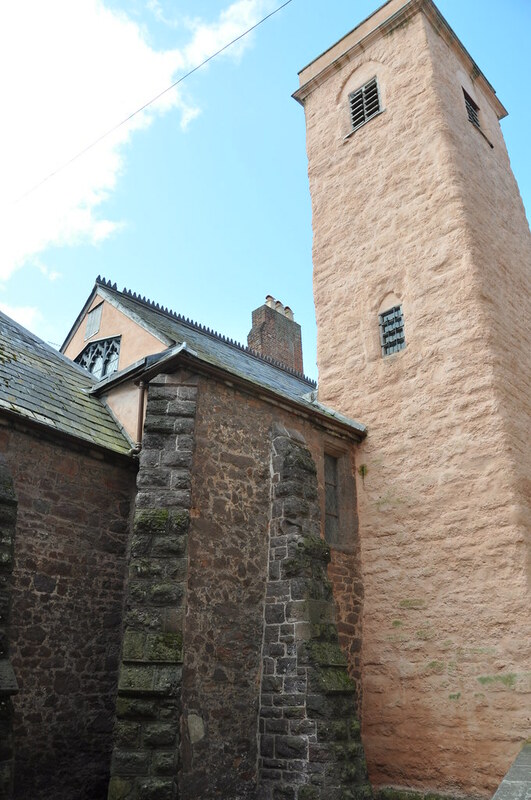 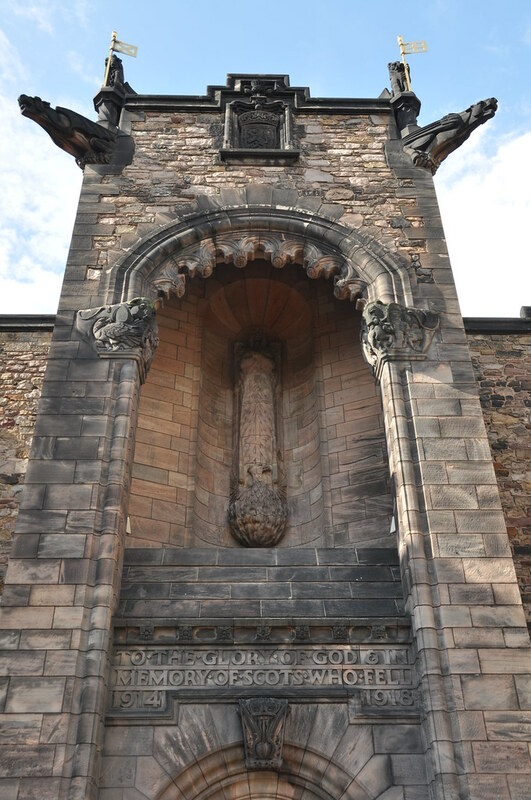 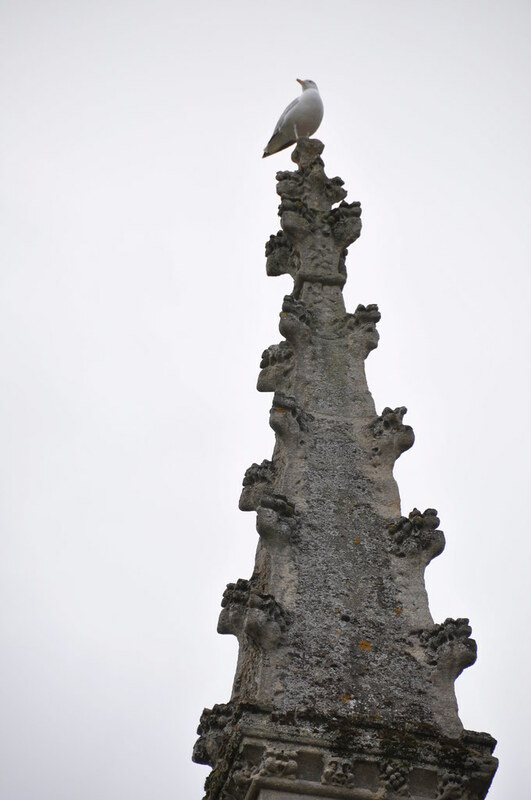 This is the tower where visitors can get a view from the top. 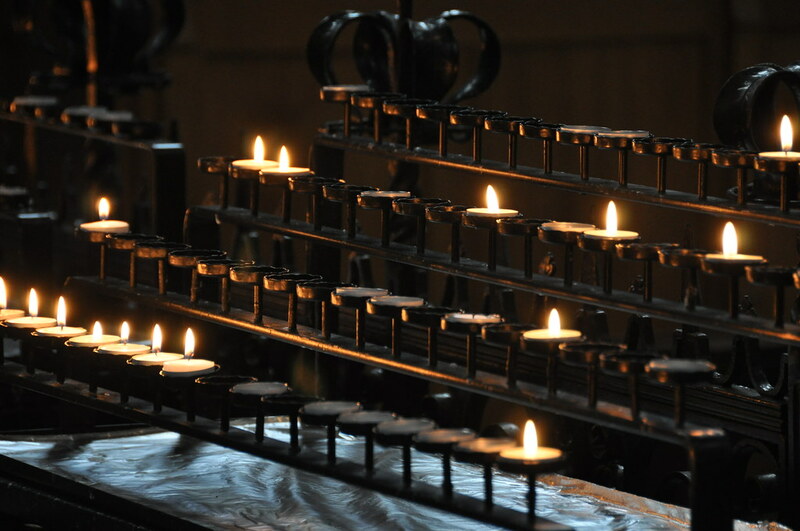 This shot of prayer candles is among my favorites from the entire set of photos. 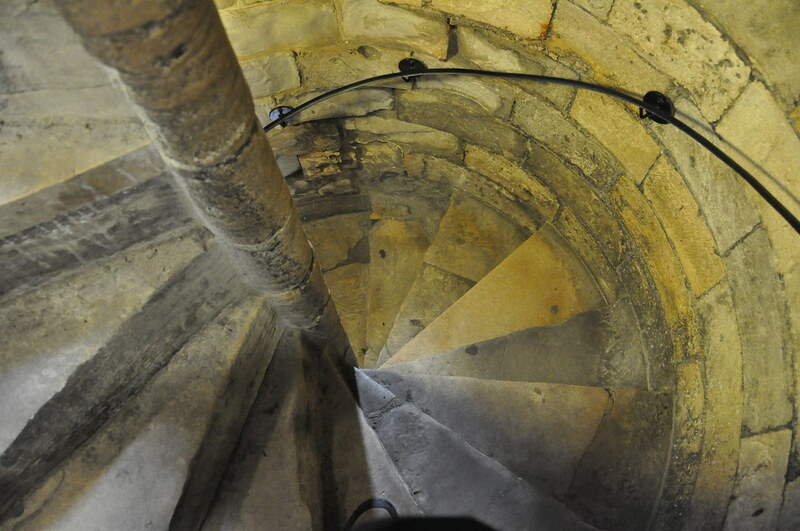 This first spiral staircase to get to the top of the tower. 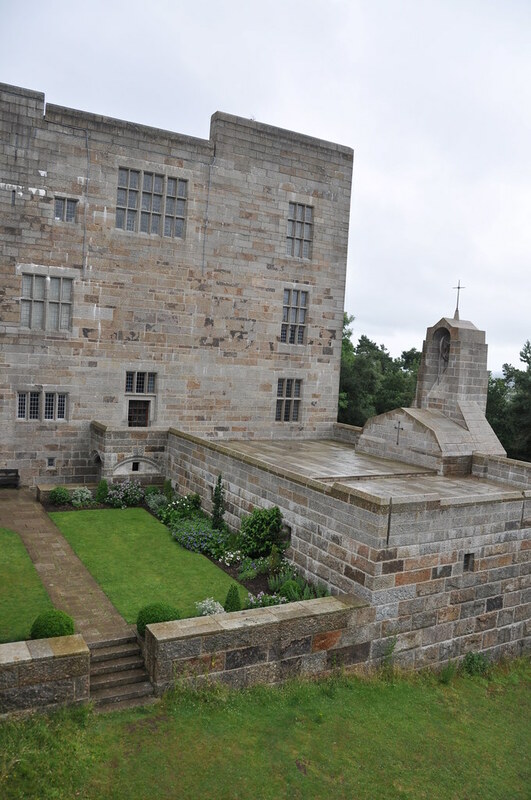 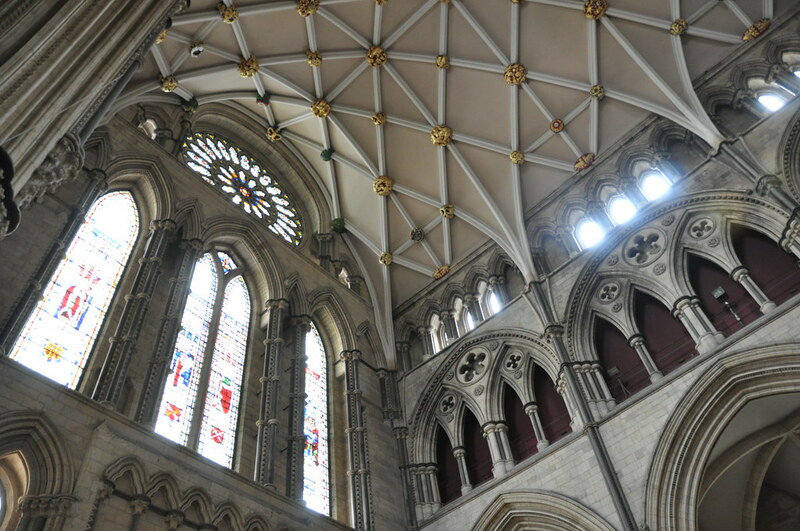 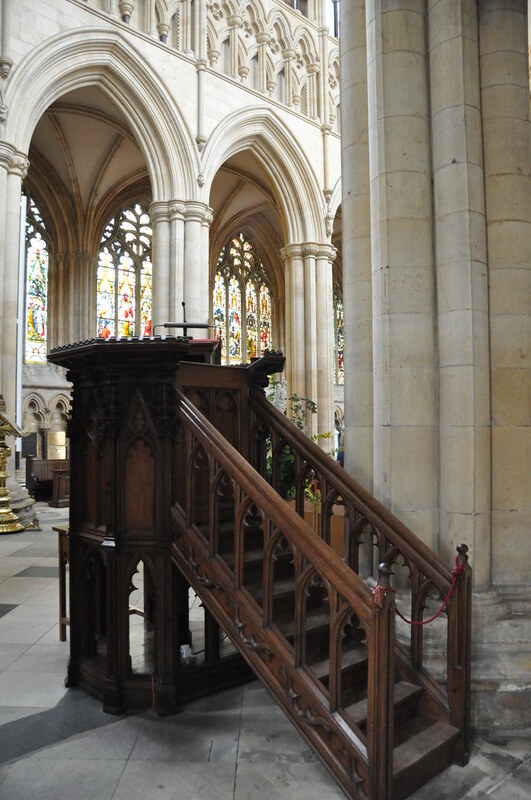 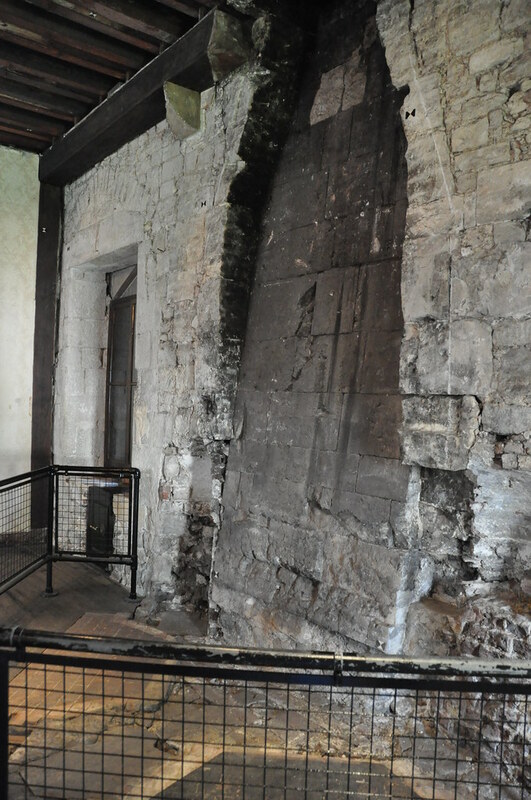 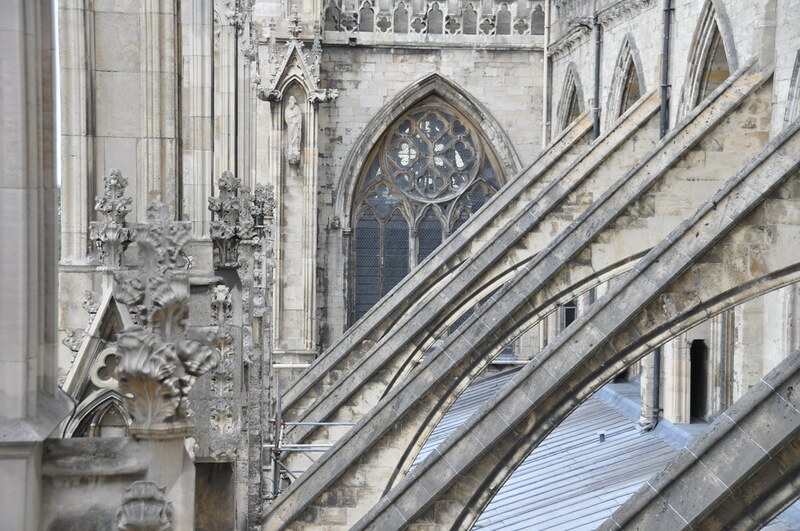 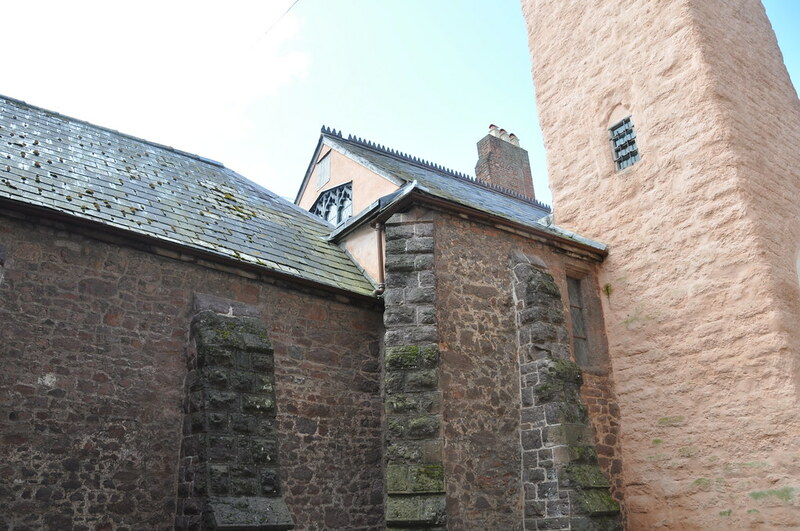 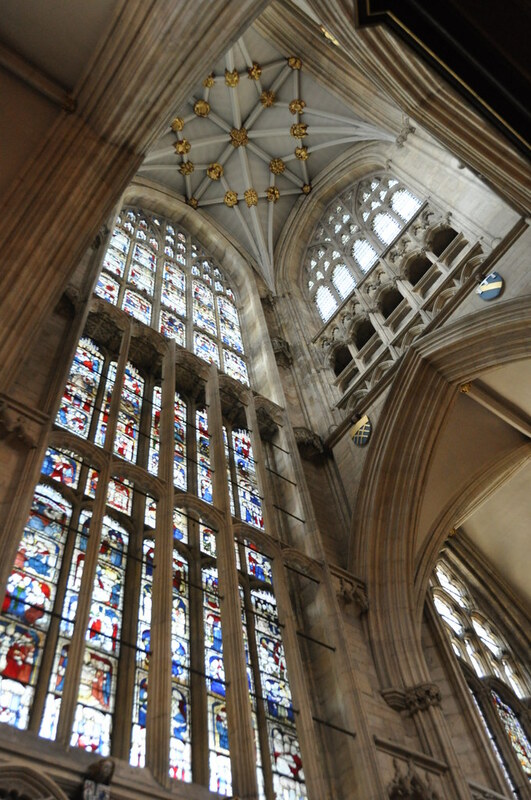 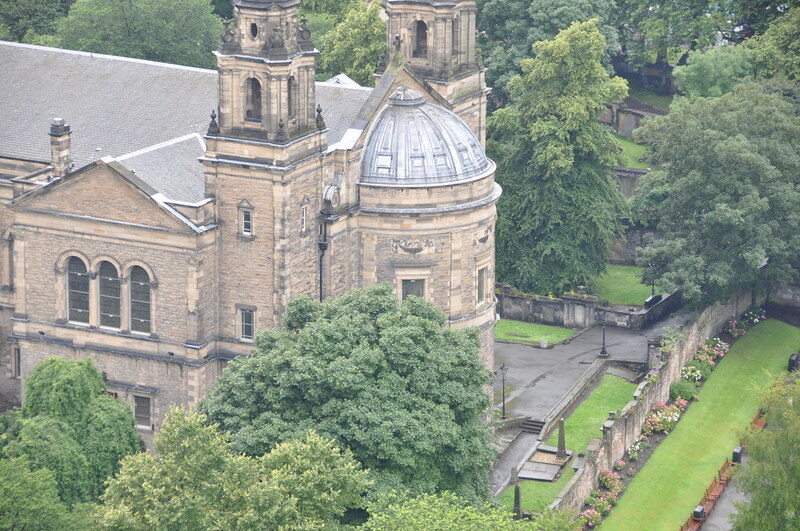 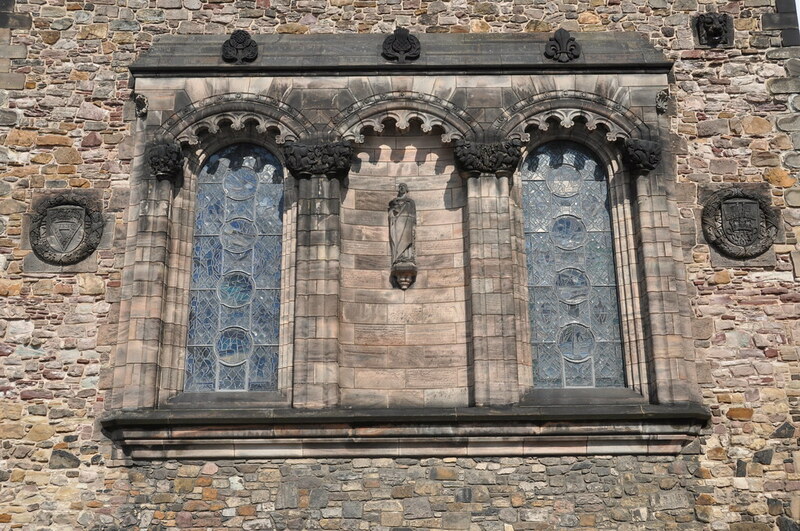 At the top of the first staircase, visitors walk across the edge of the transept outdoors to reach the second staircase. 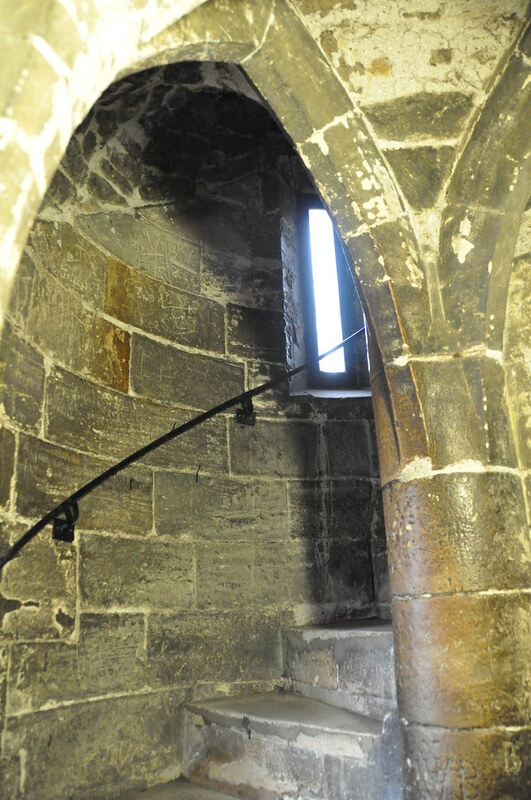 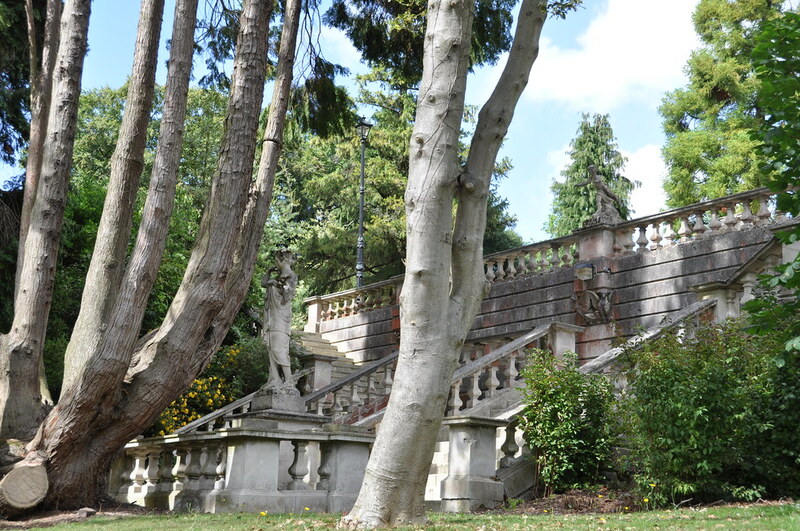 The second staircase is much narrower, much taller, and much longer. 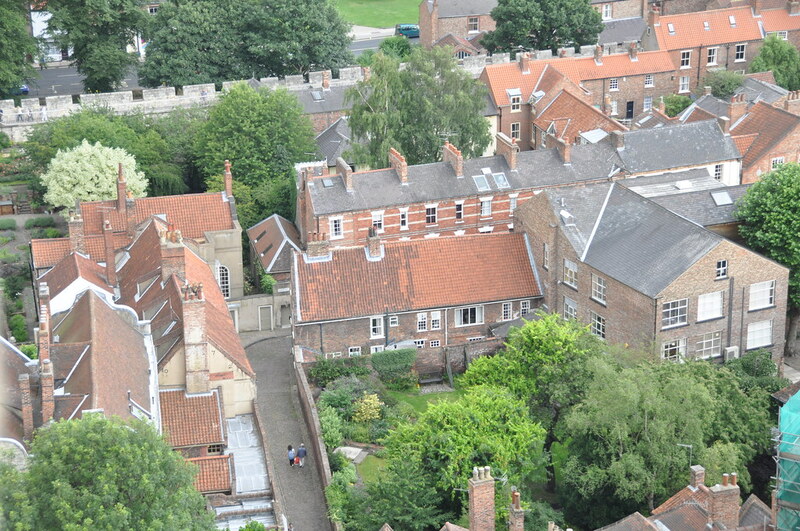 There are several shots of the town below that I wished I'd had time to explore. 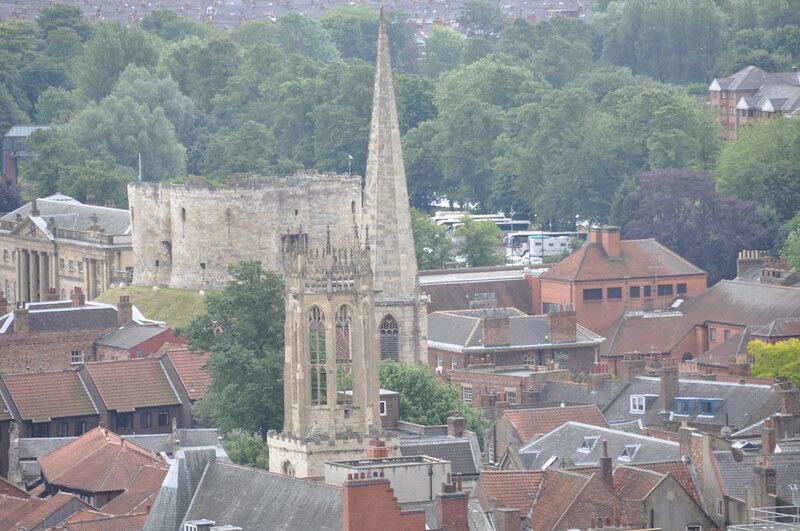 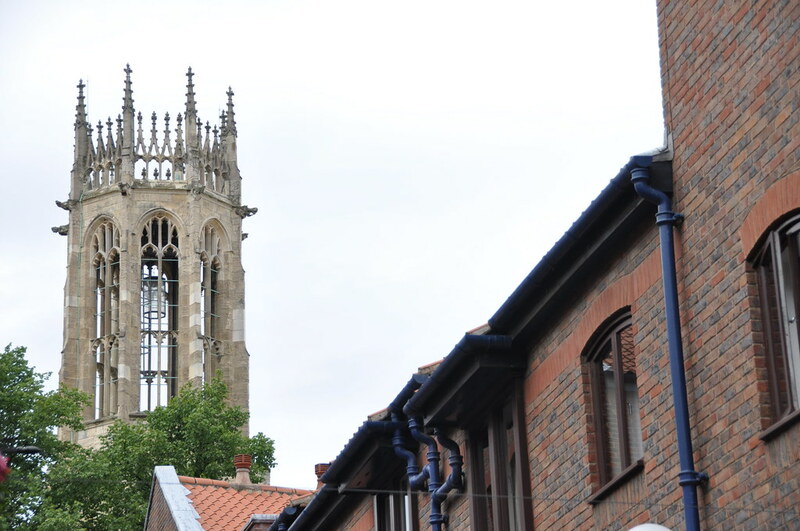 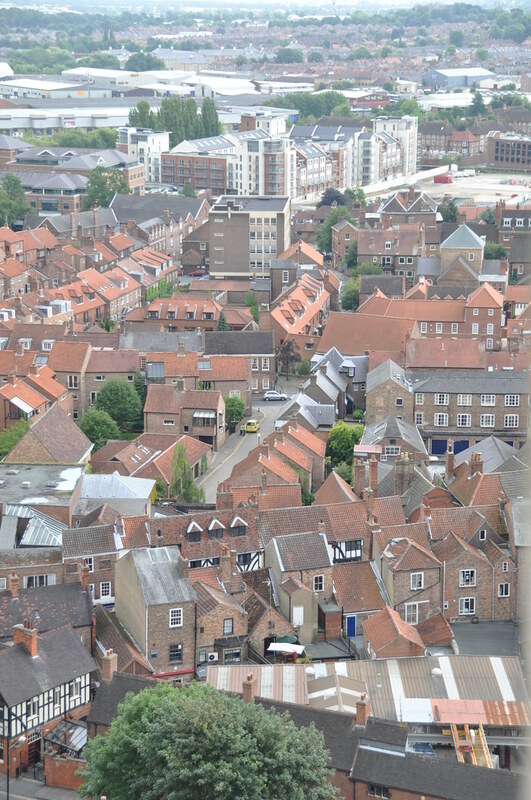 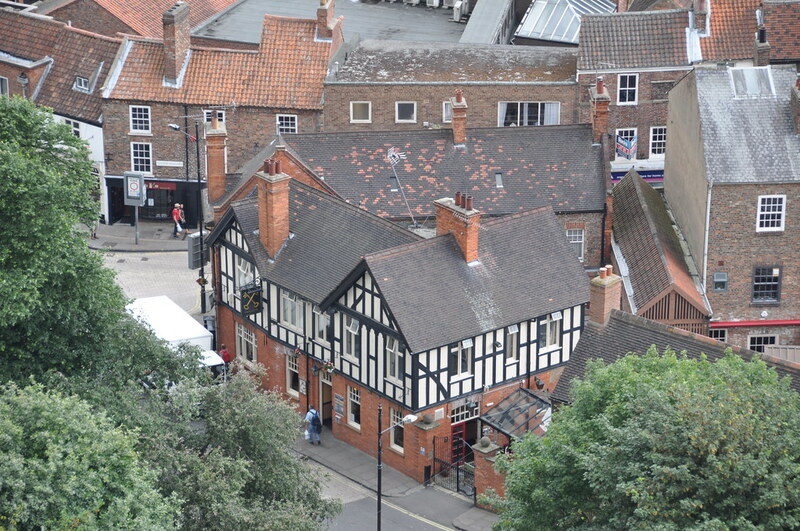 Here's that reverse angle shot I mentioned earlier, looking back across York St. Mary's to Clifford's Tower. 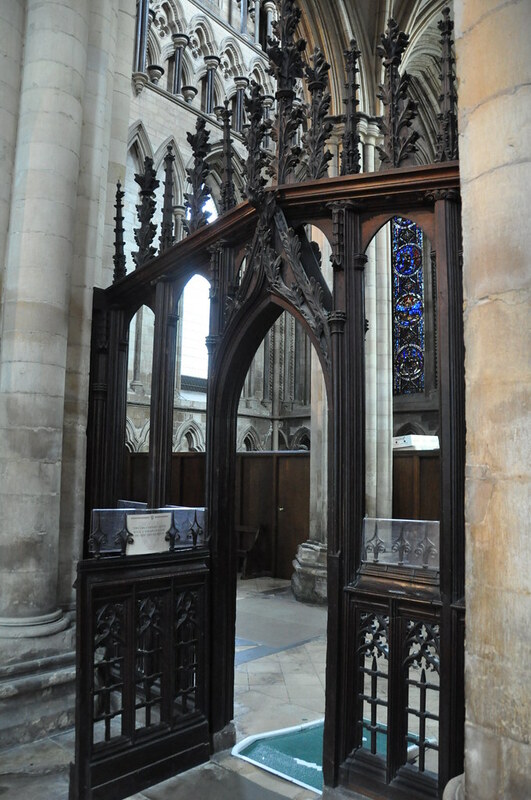 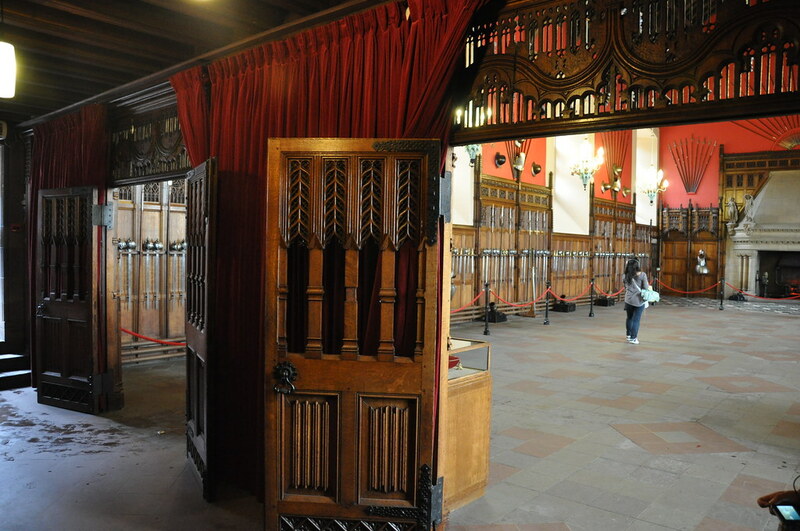 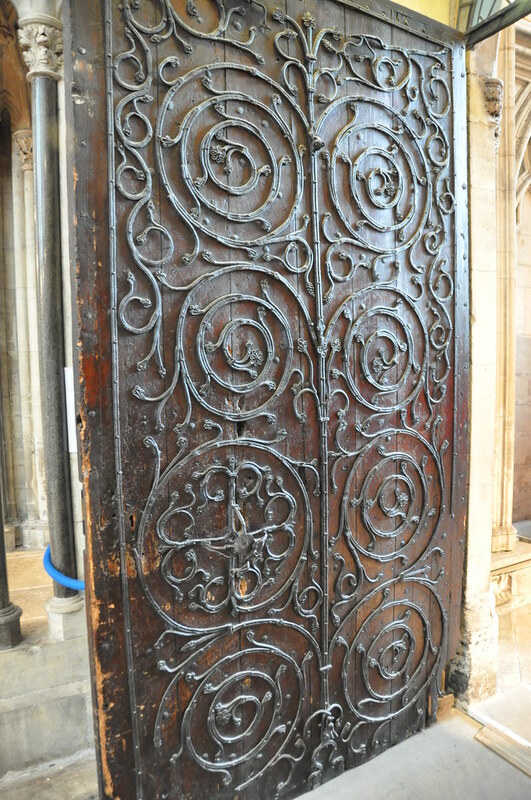 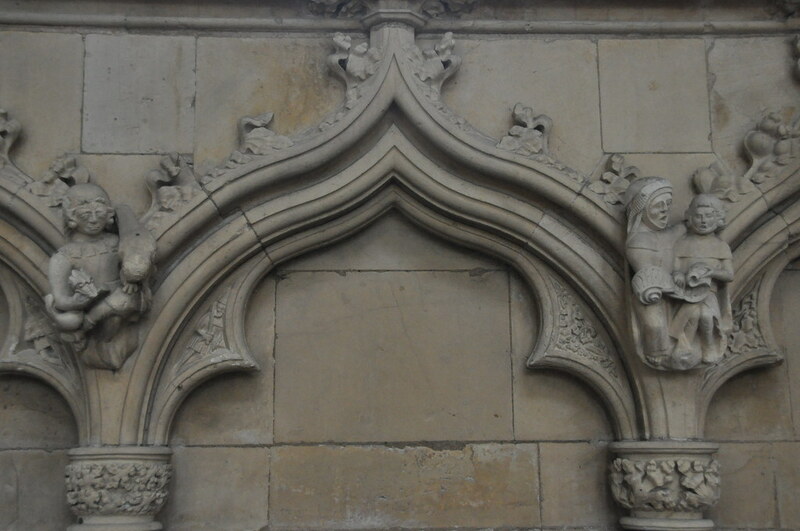 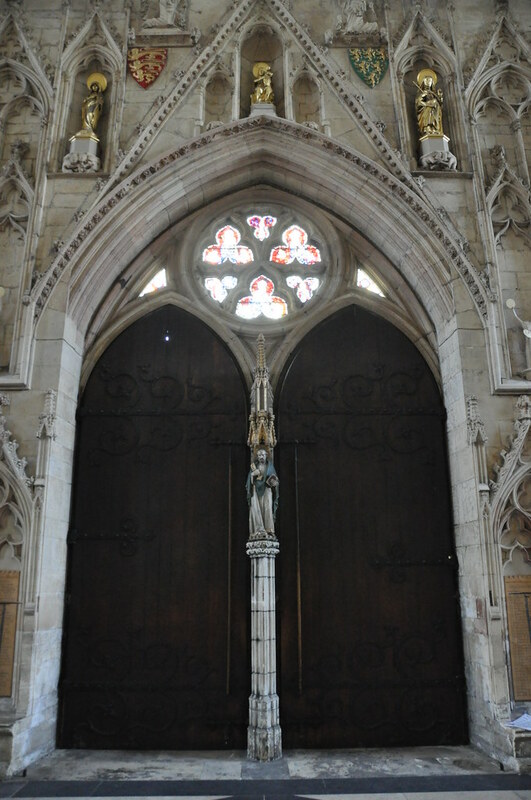 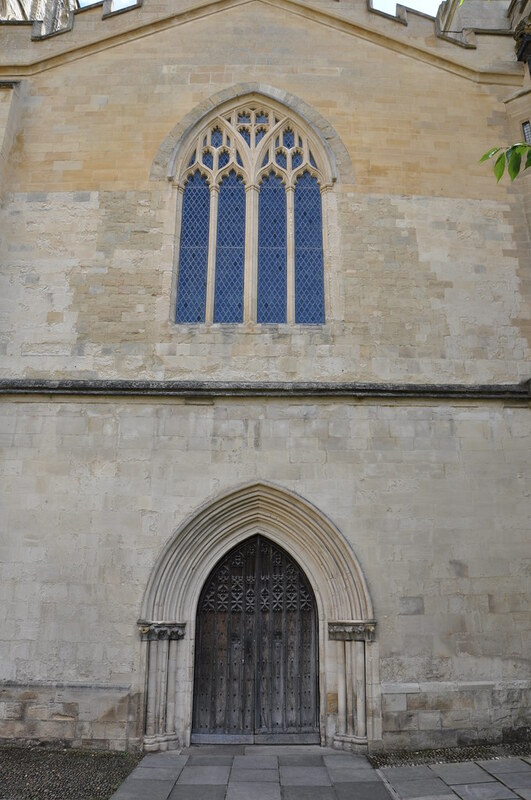 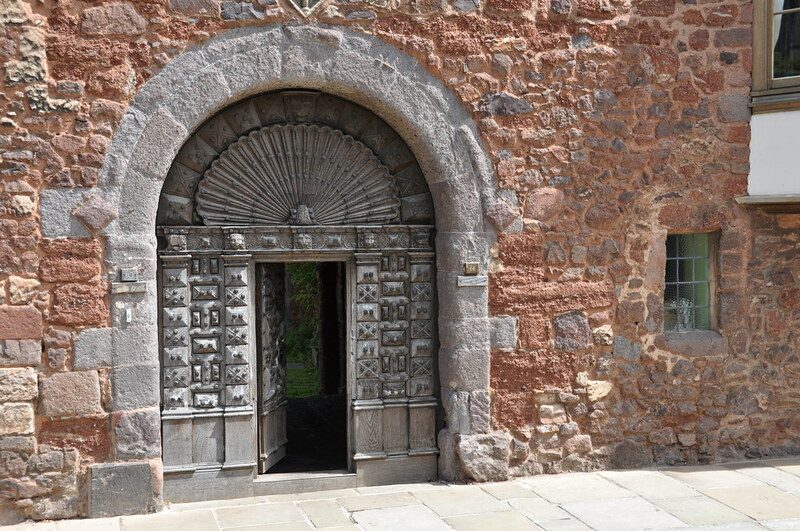 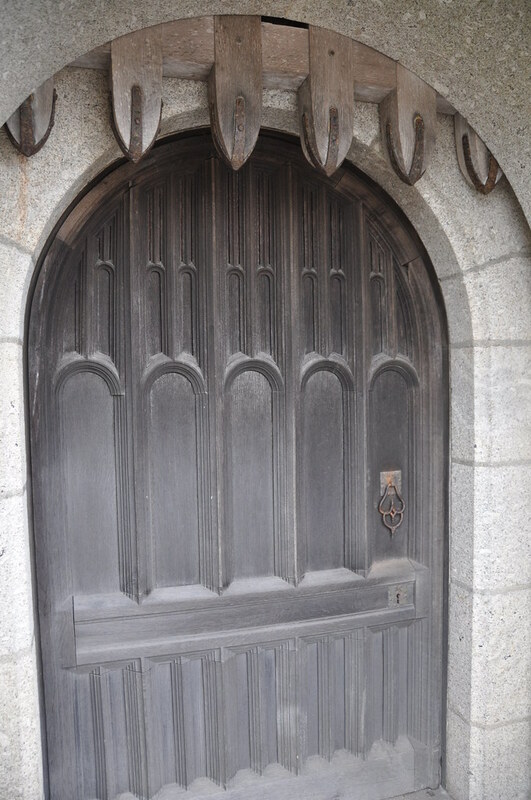 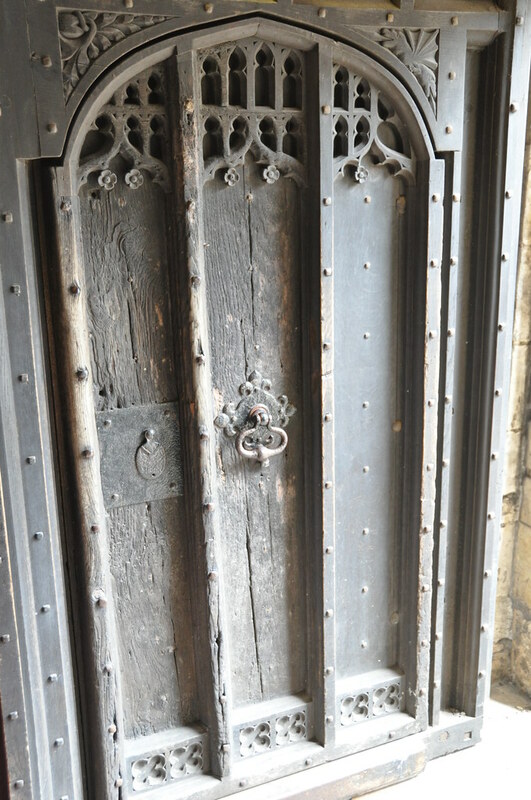 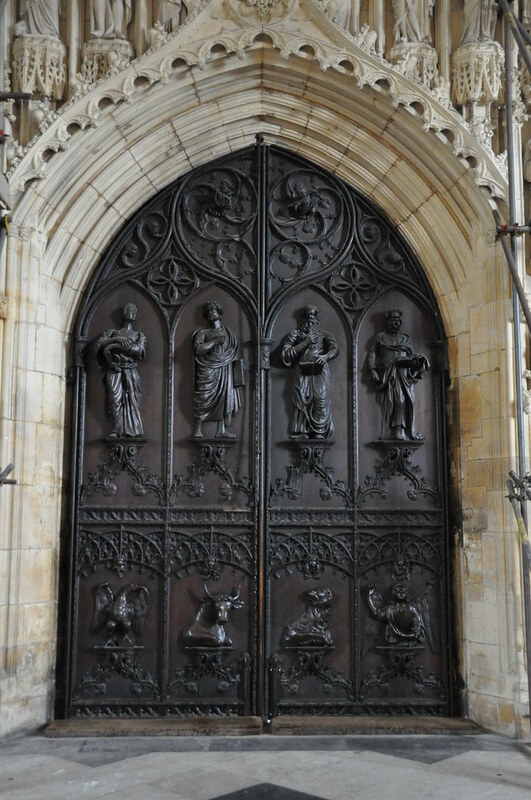 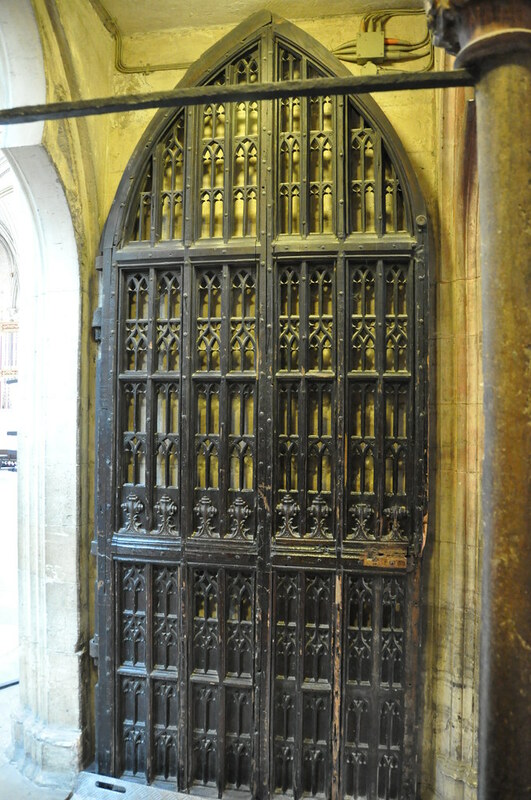 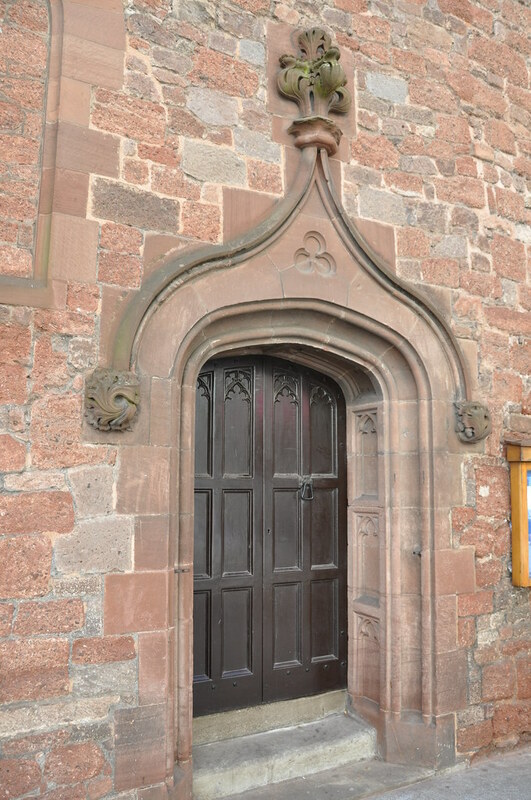 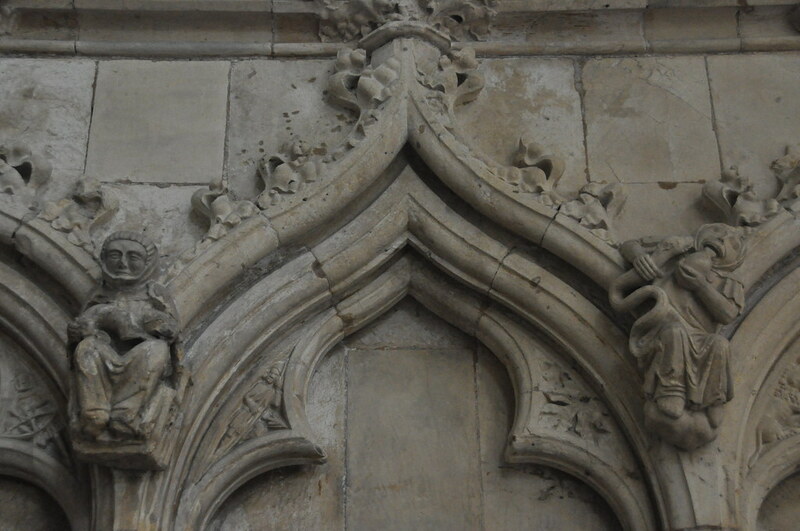 An ornate door leading into the Chapter House. 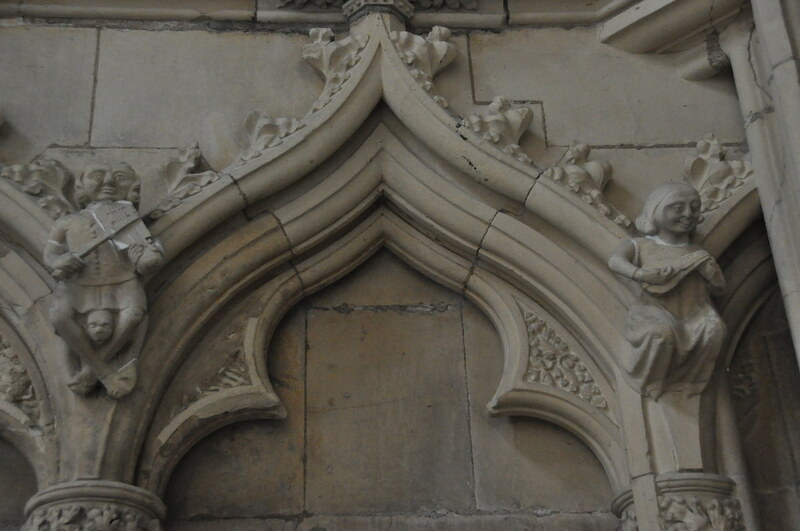 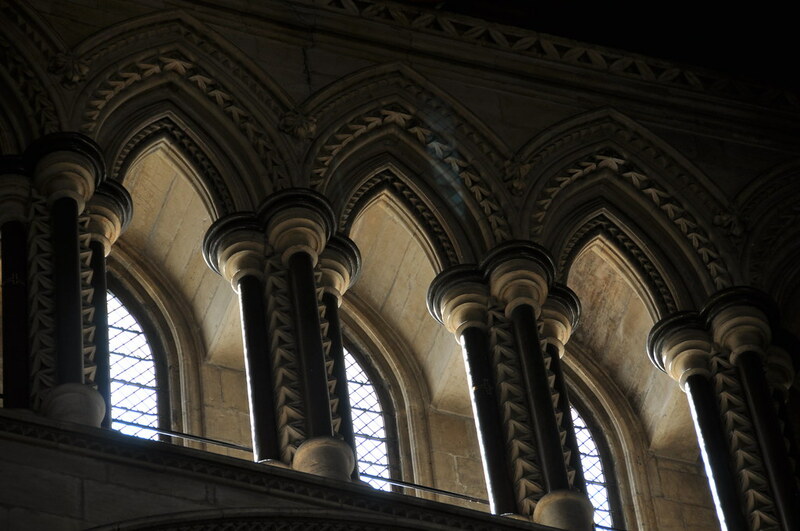 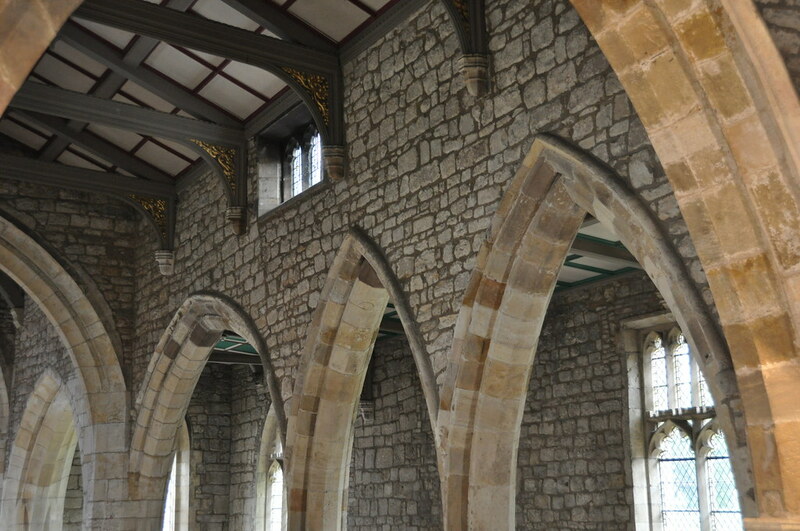 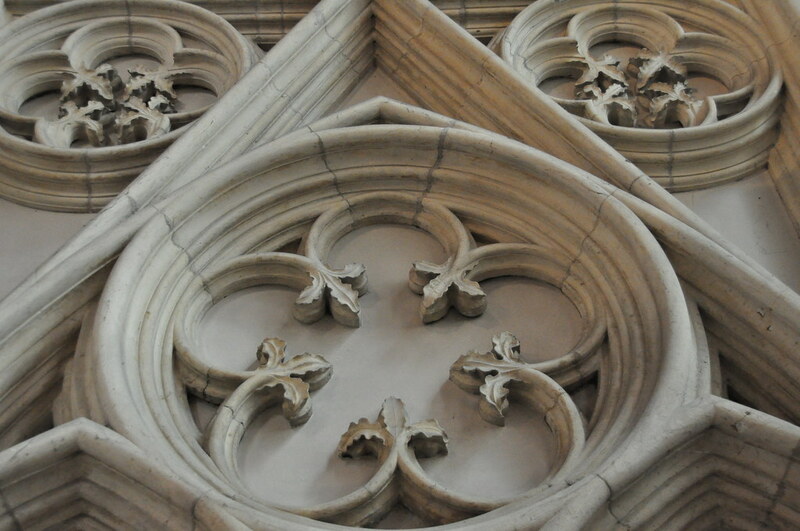 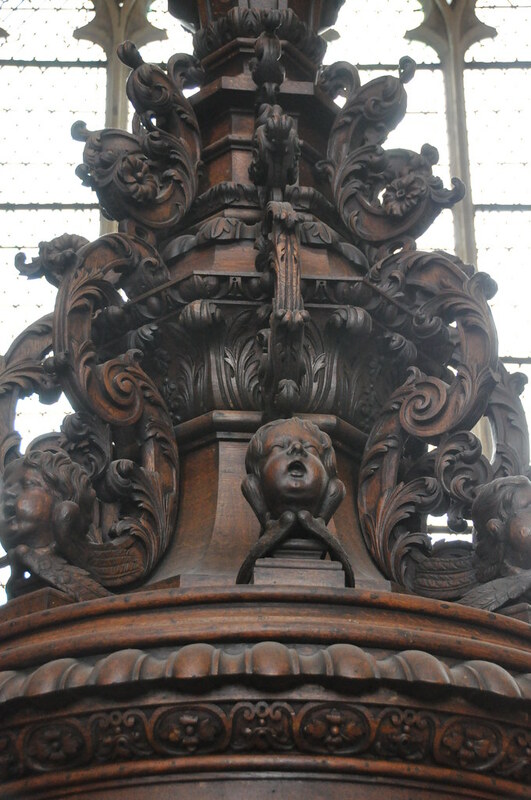 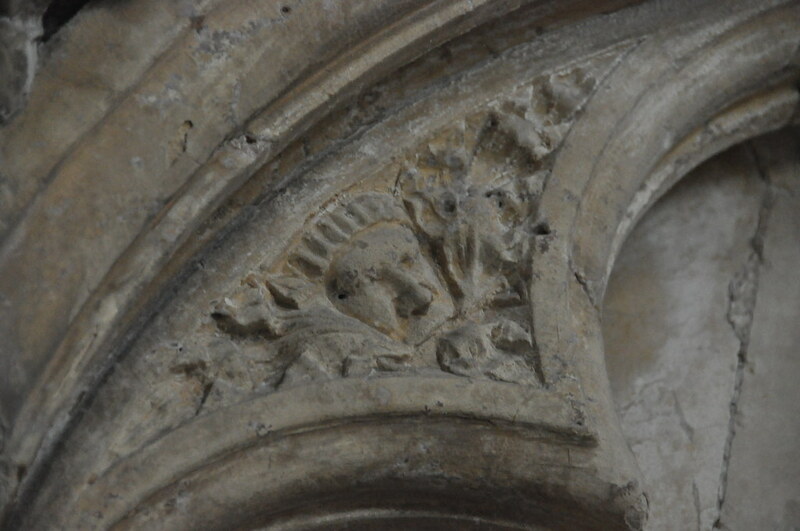 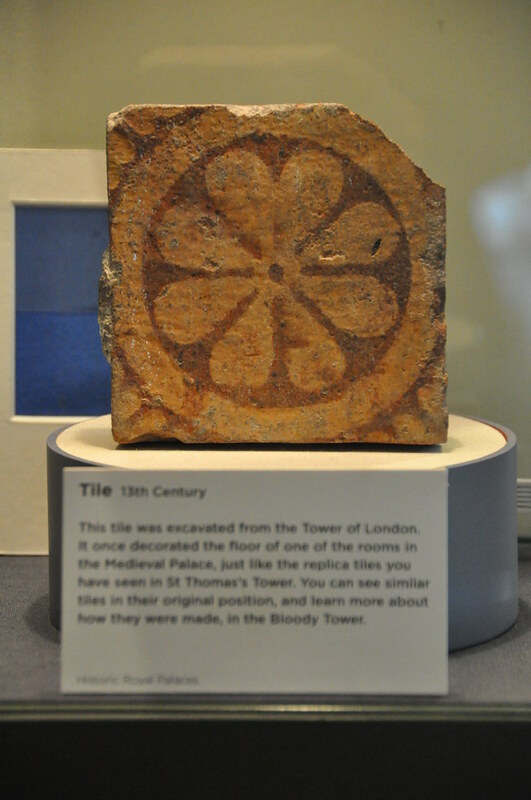 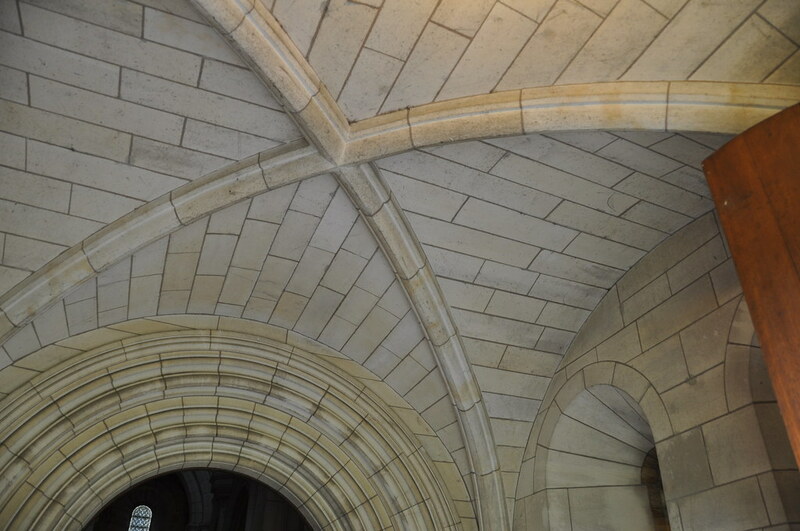 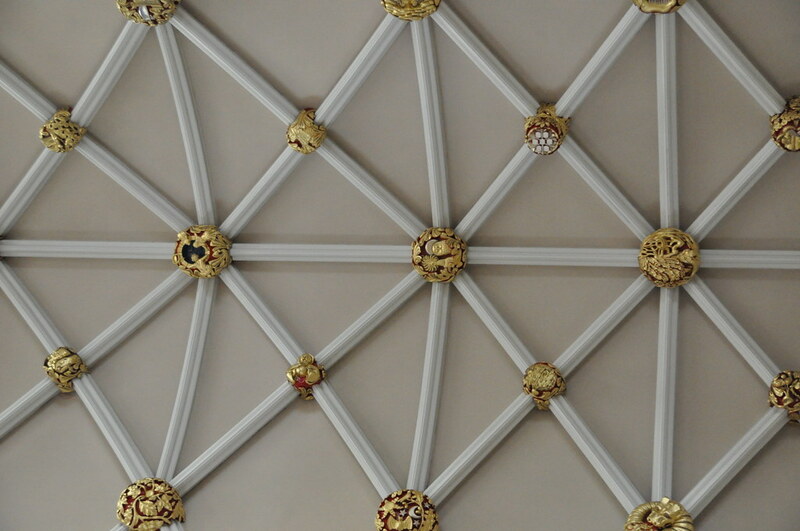 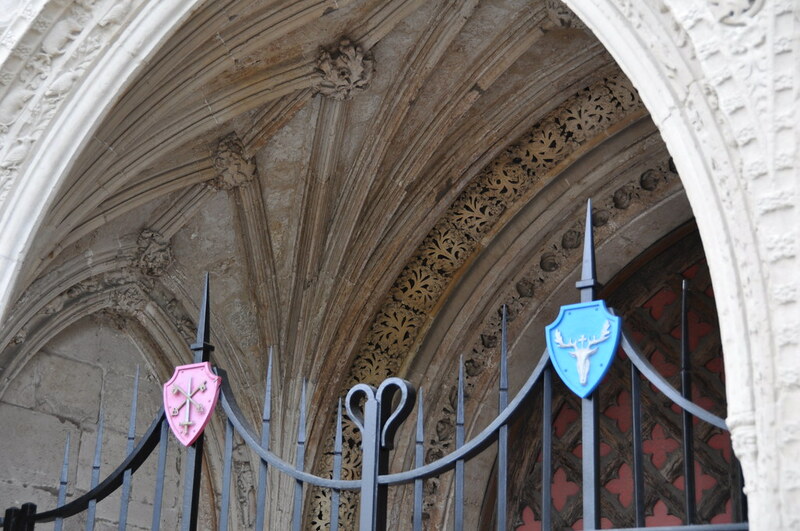 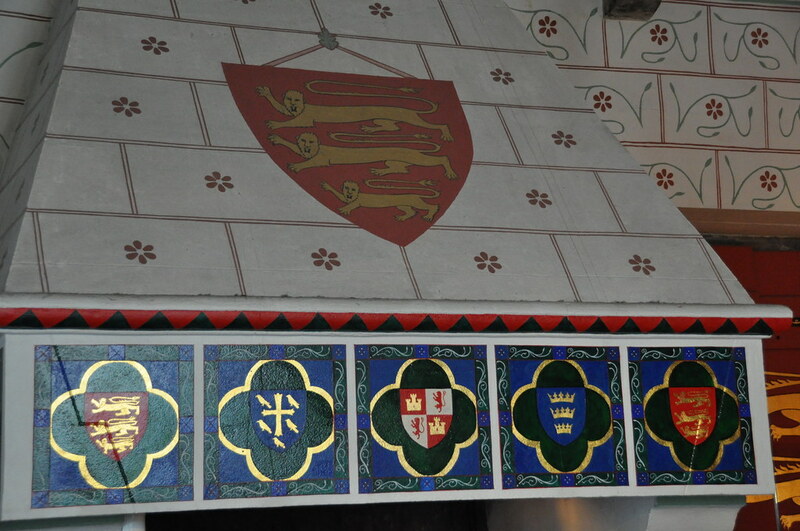 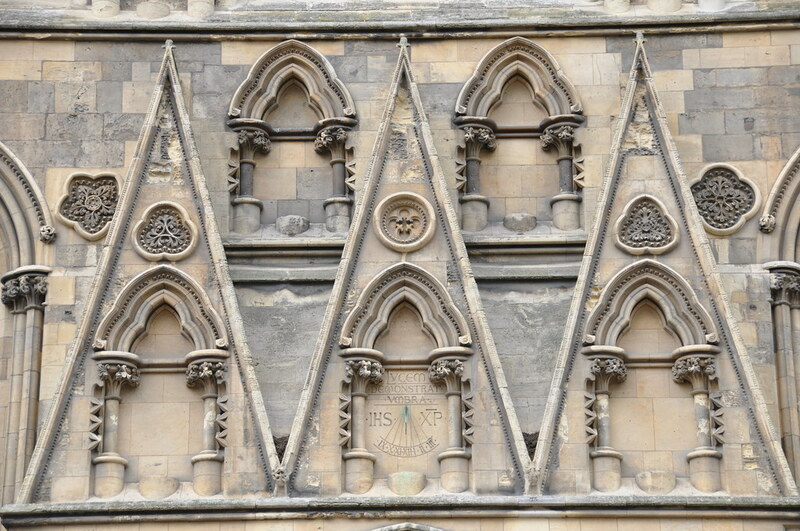 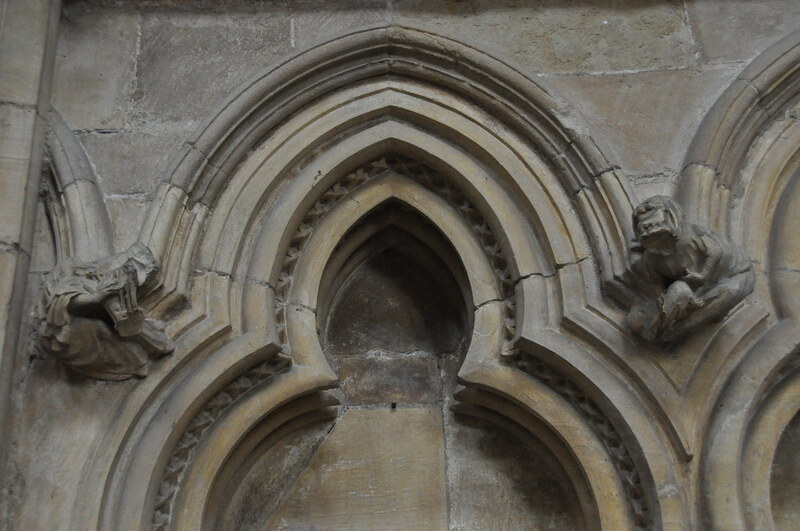 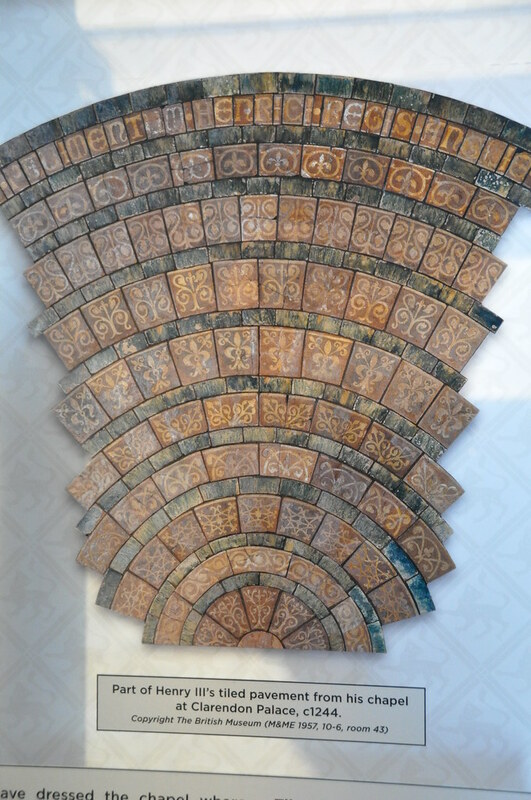 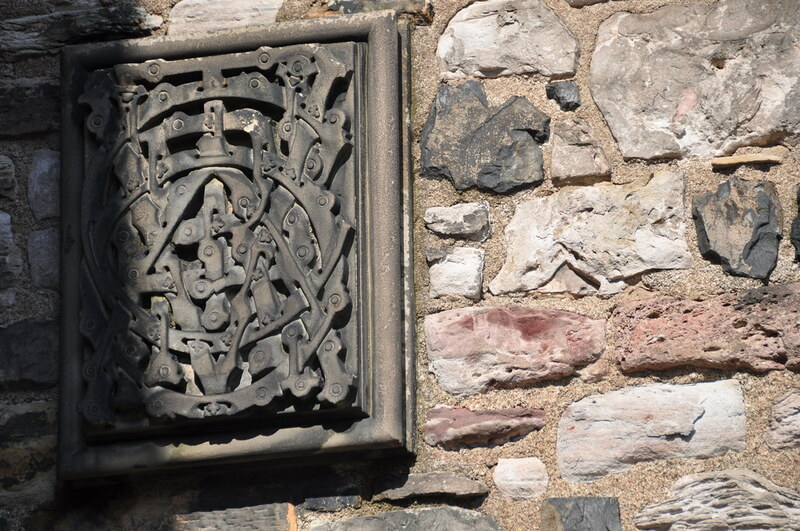 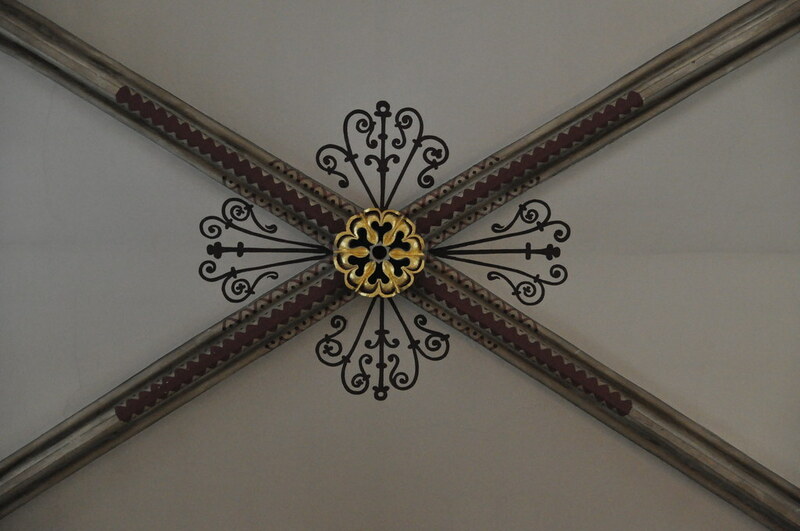 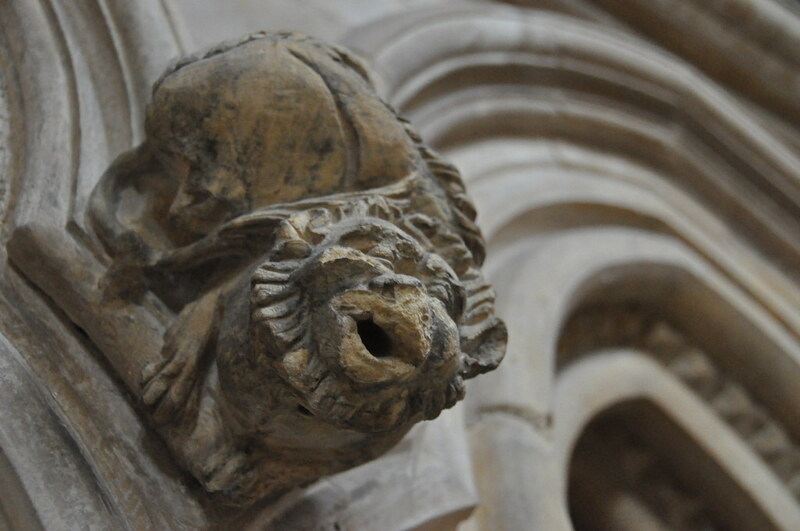 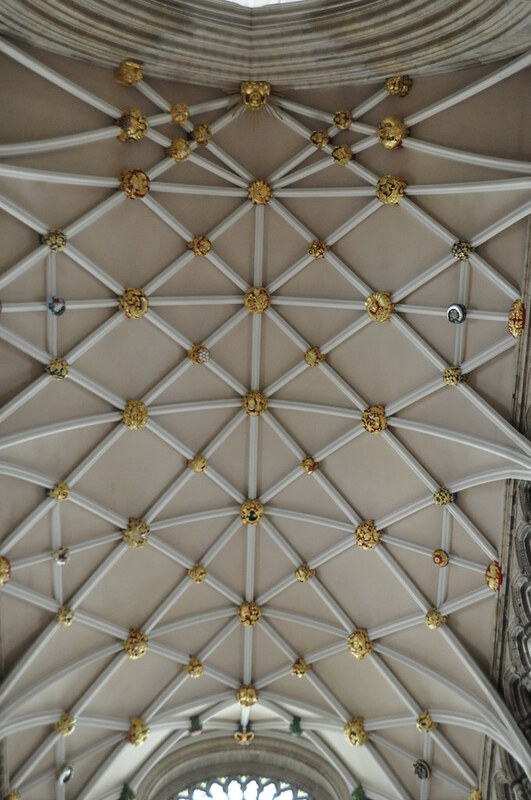 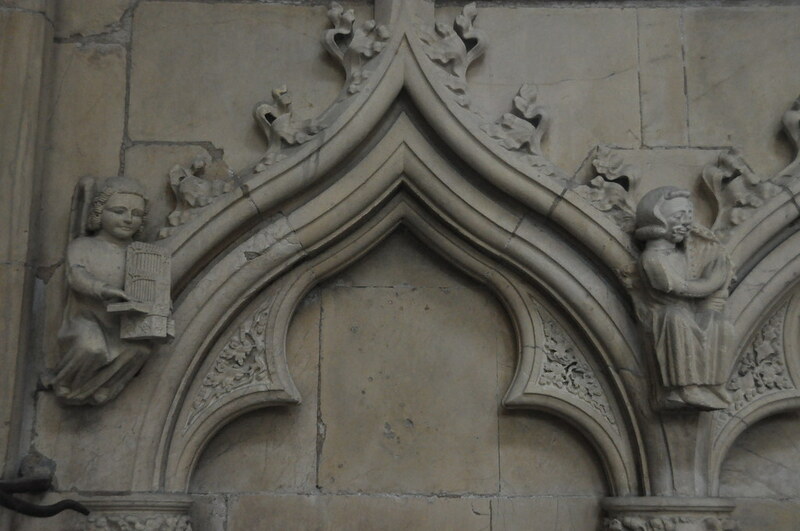 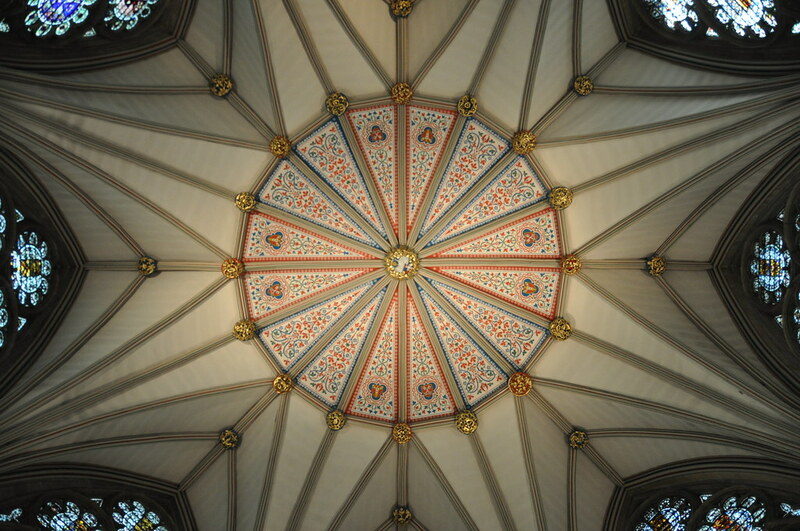 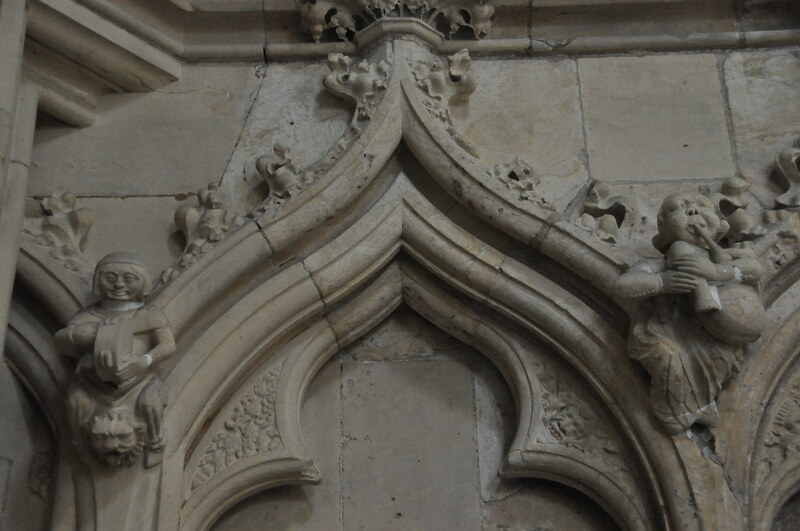 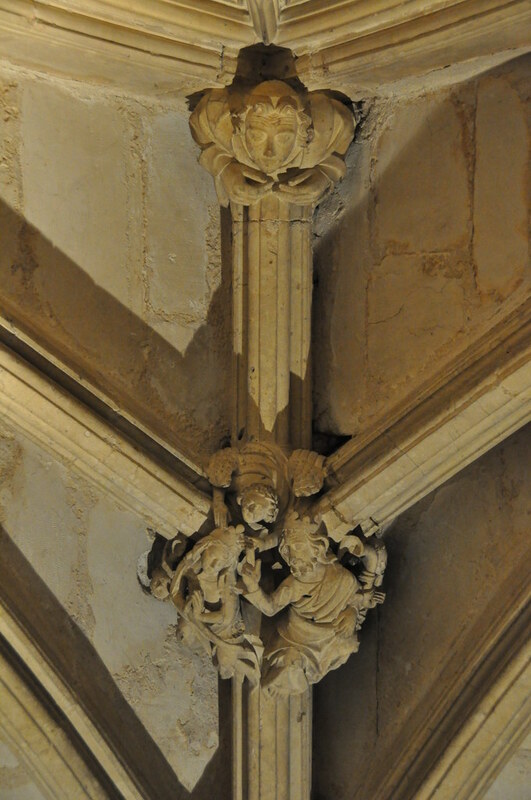 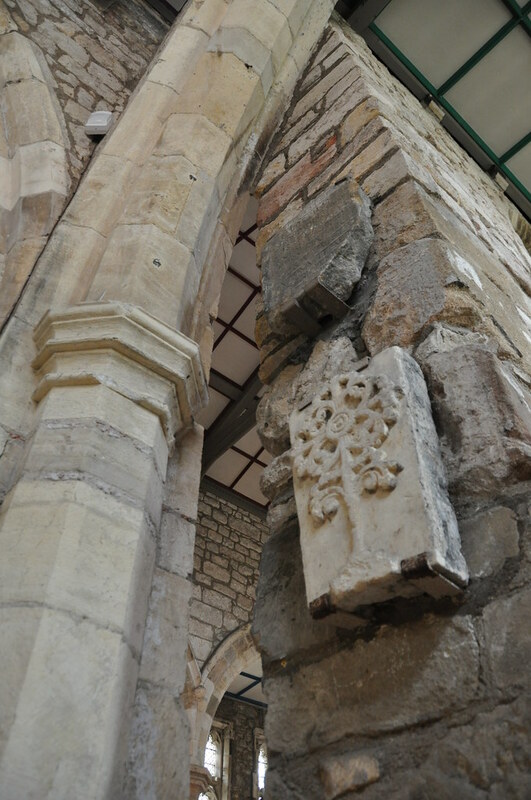 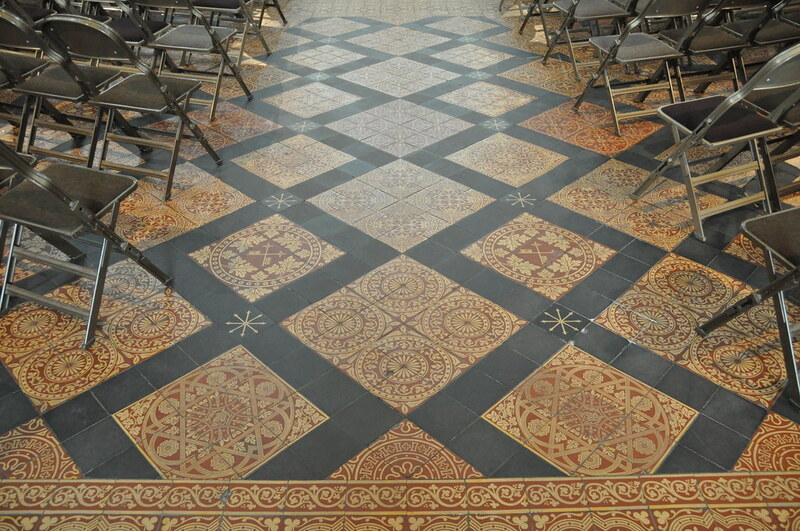 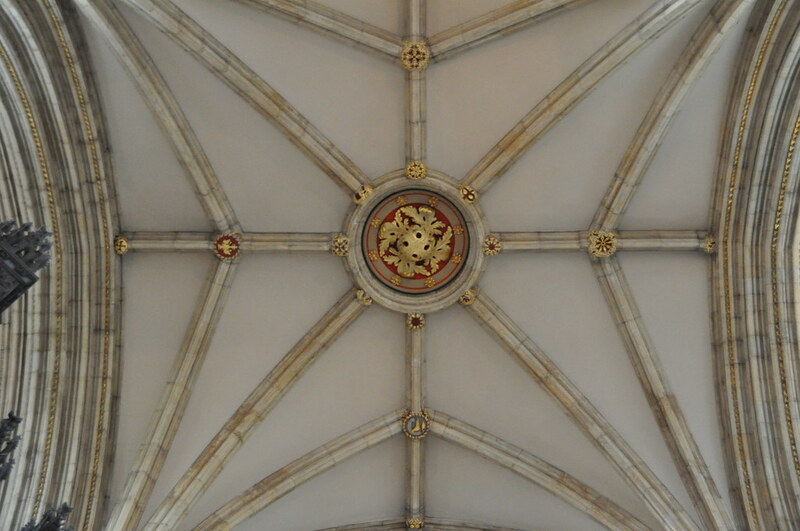 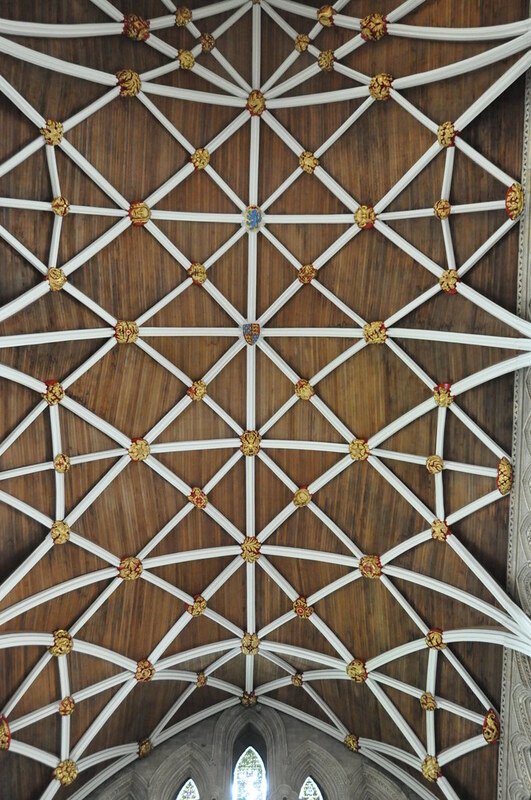 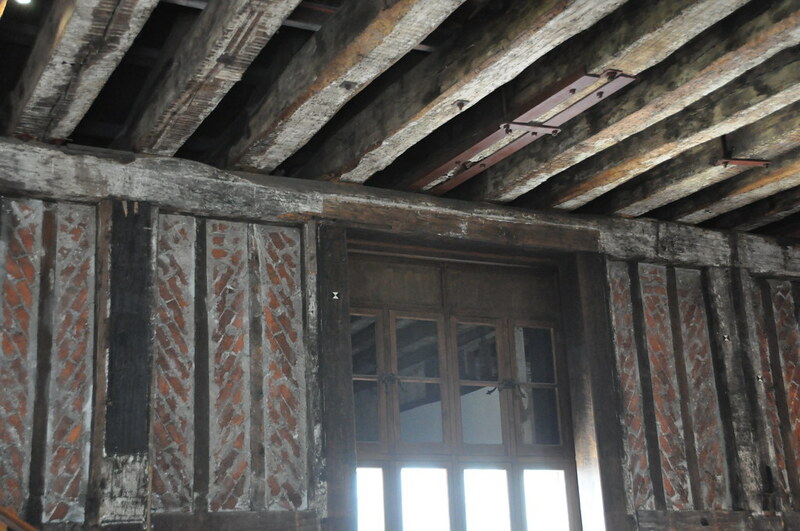 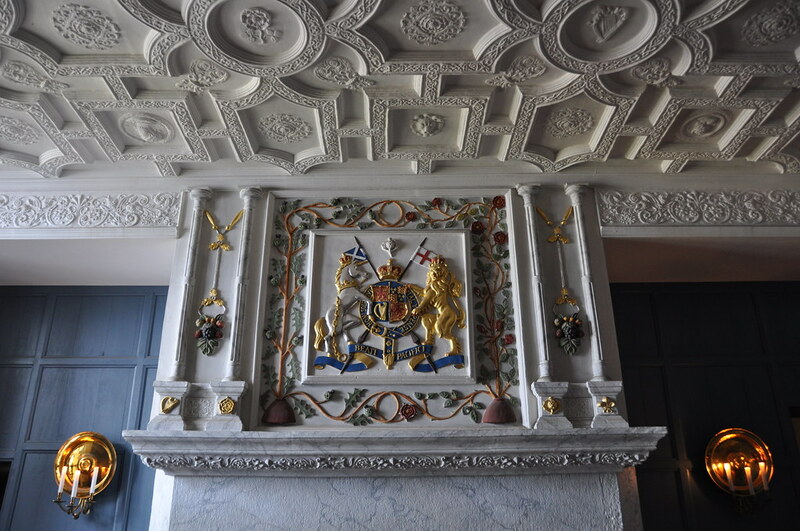 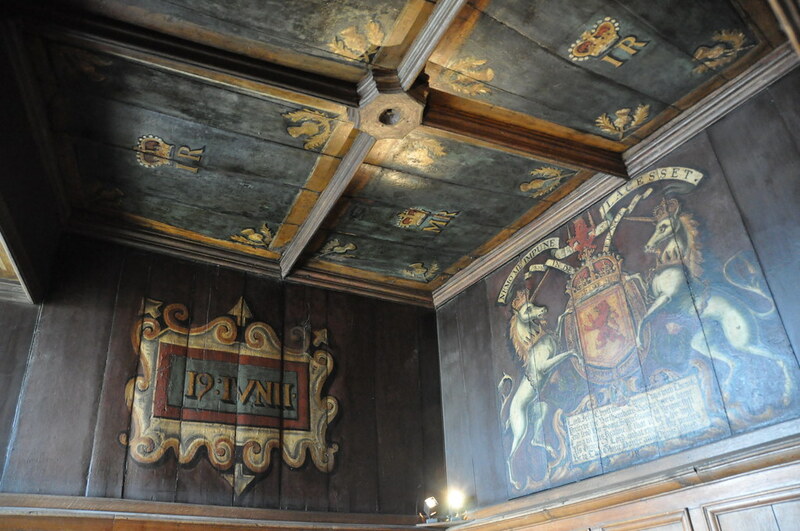 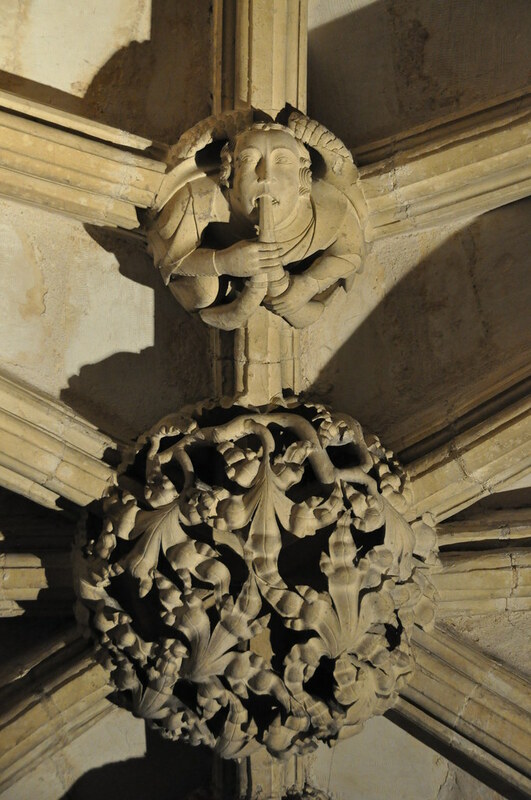 A beautiful design in the Chapter House roof. 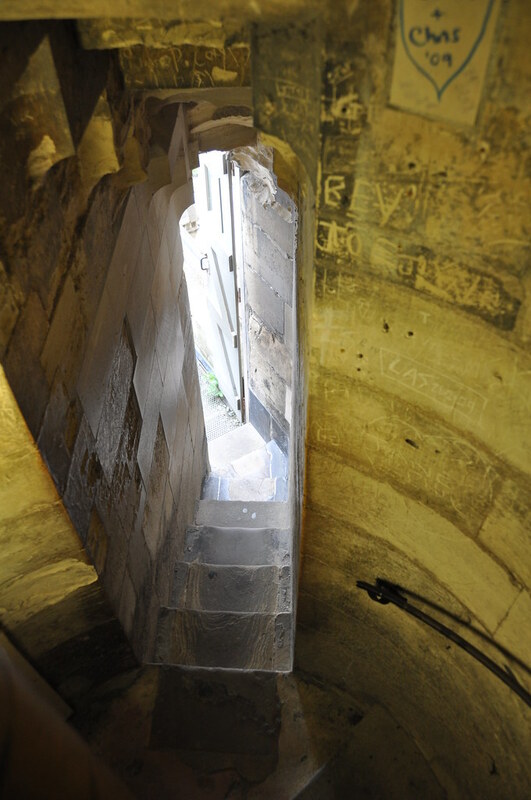 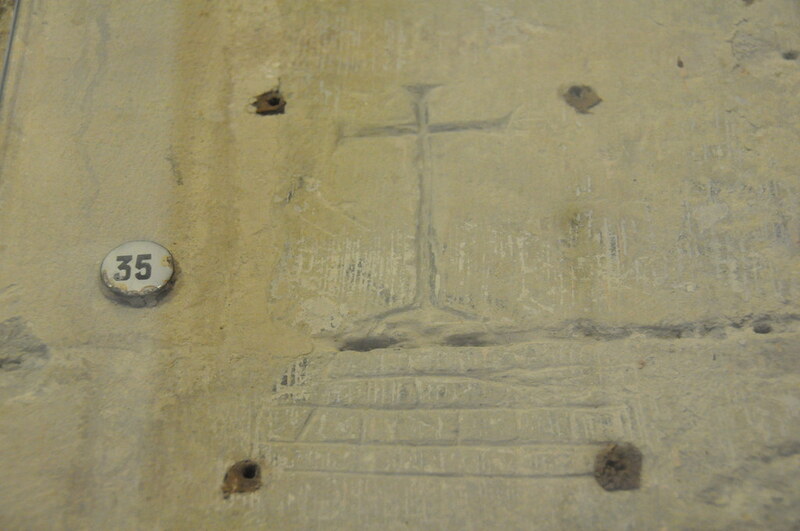 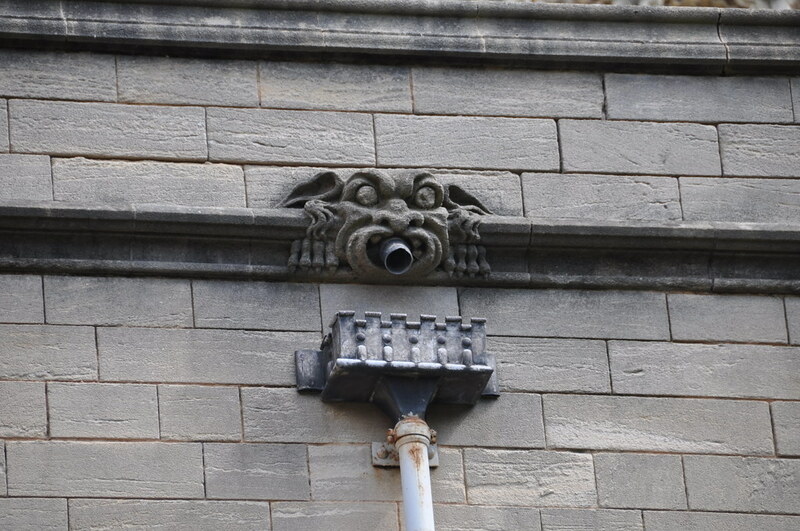 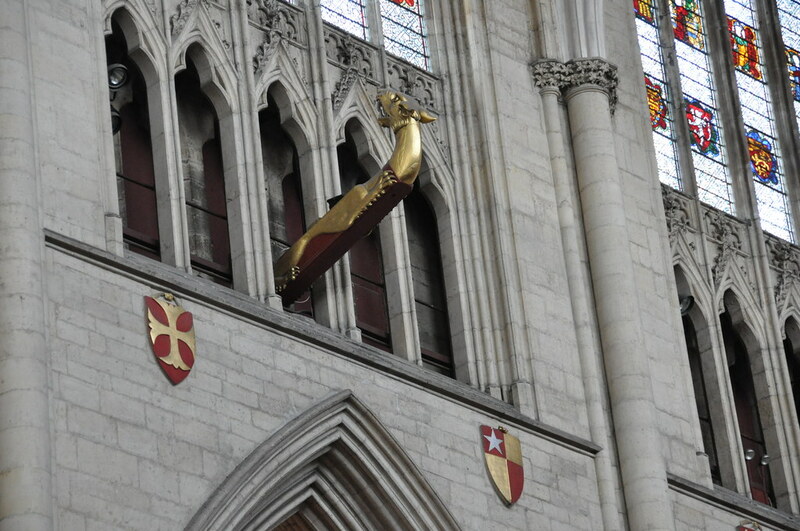 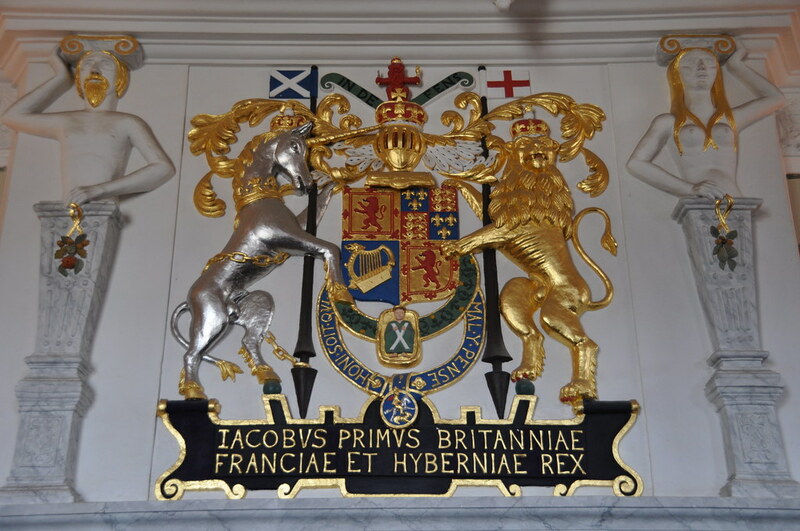 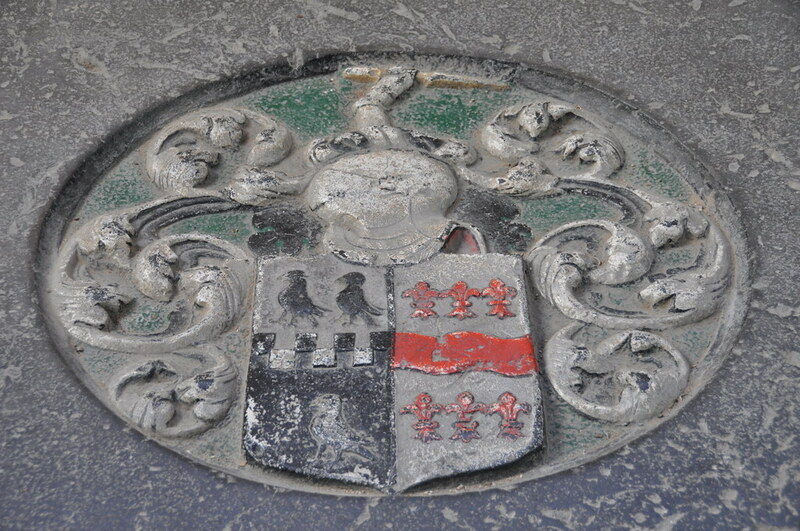 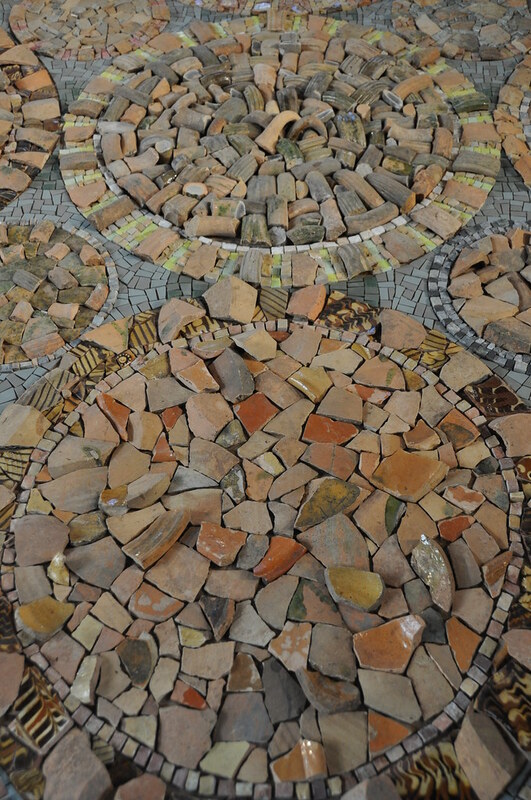 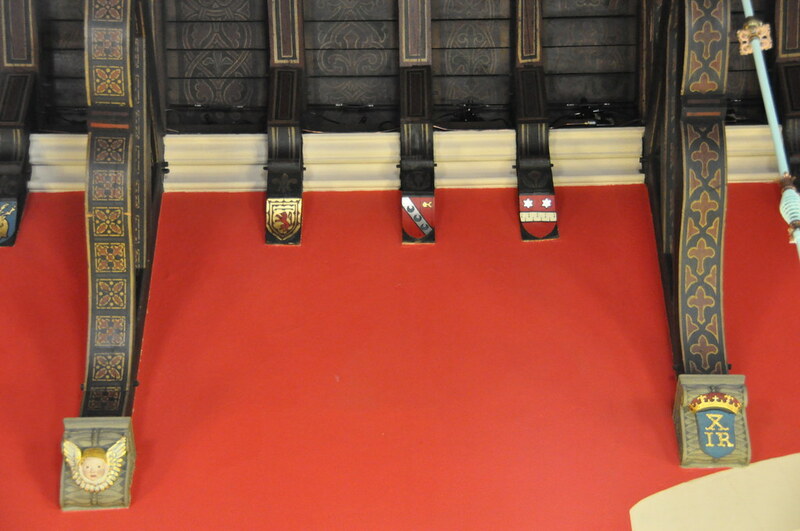 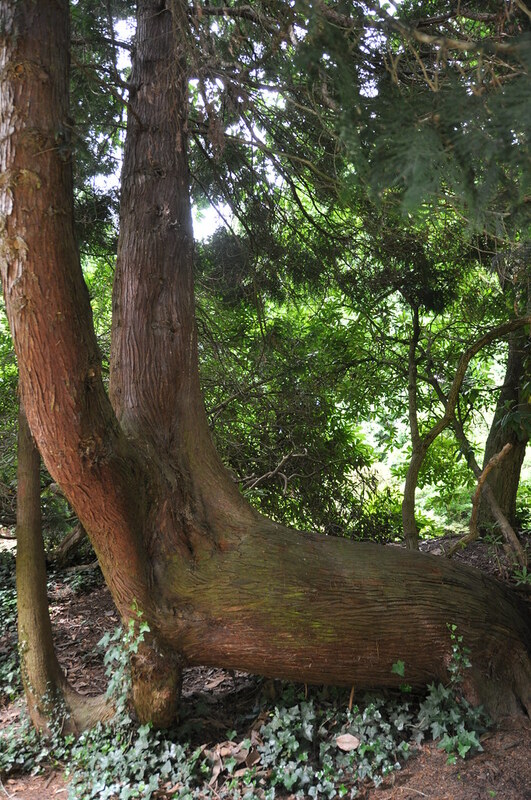 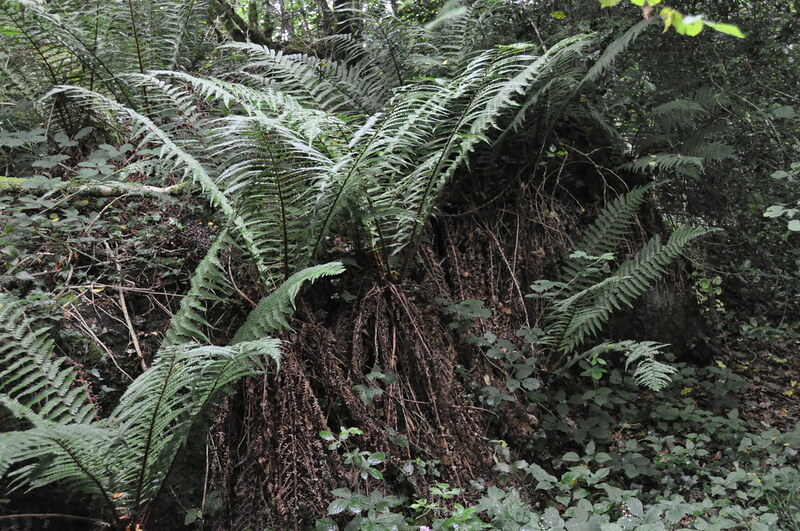 …here is a close-up view of the bottom edge in the prior photo. 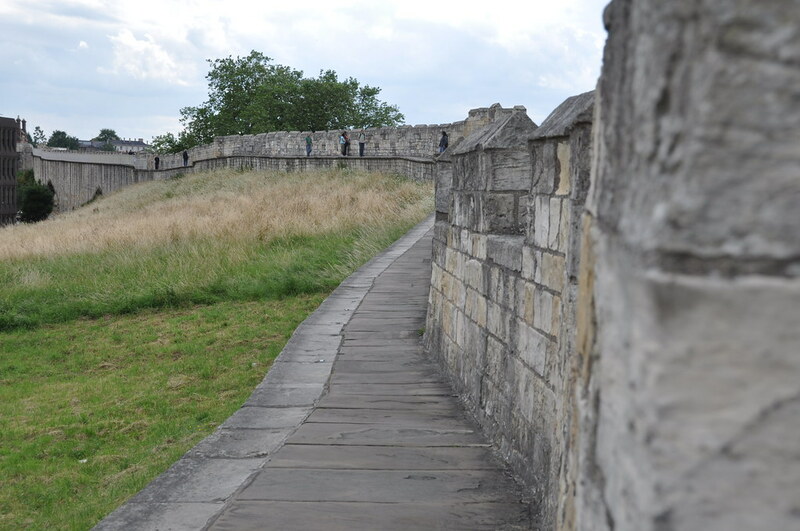 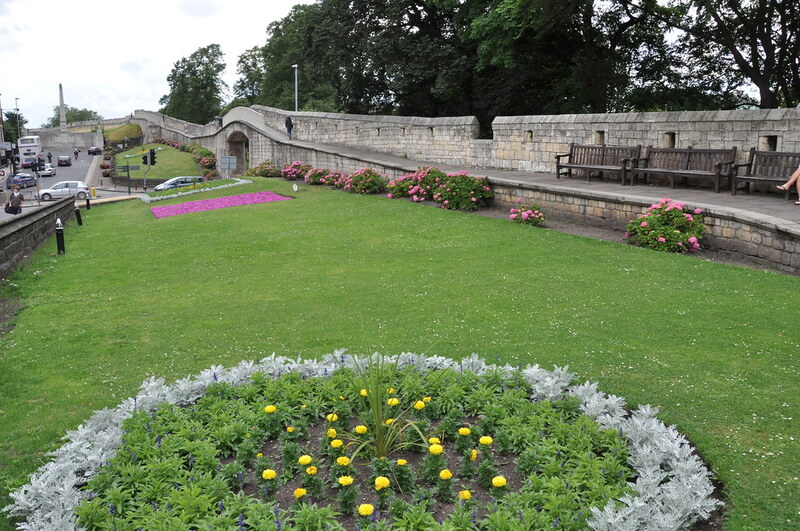 Returning to the York train station, I took a detour to have a short walk along the old city wall. 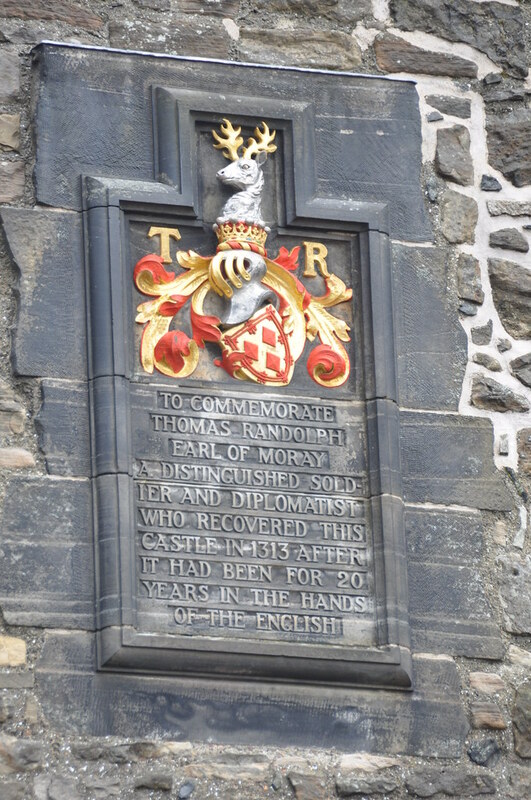 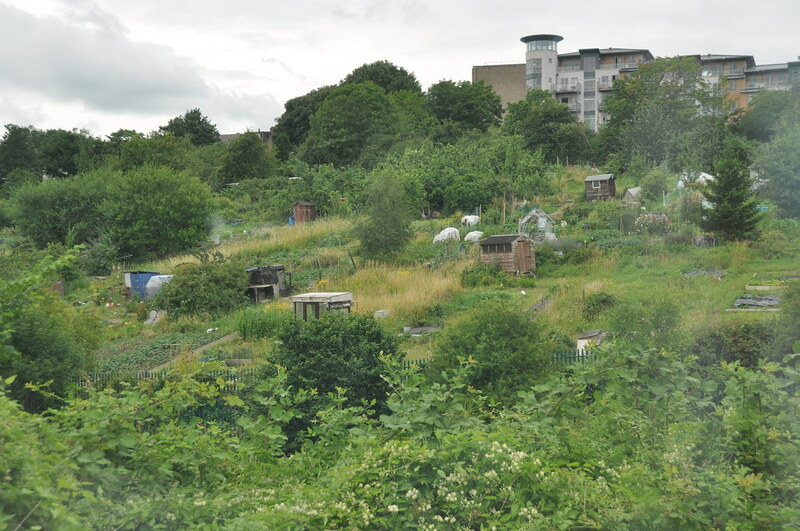 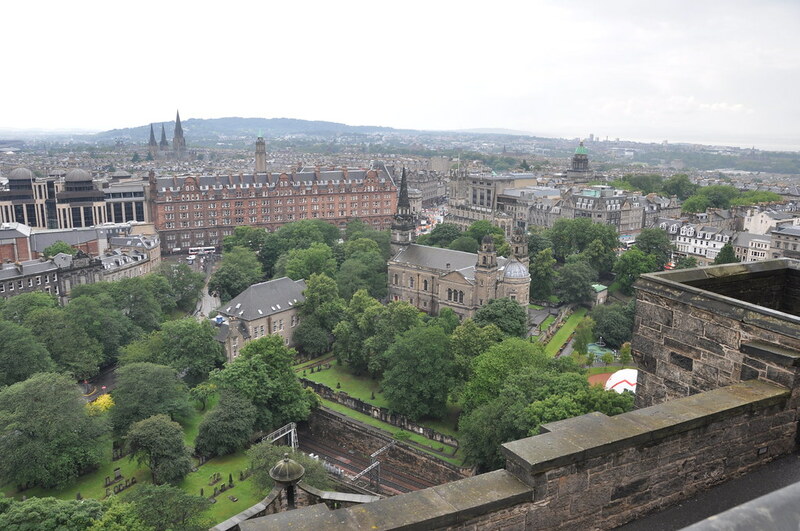 July 15—I rode with my former girlfriend's father all the way to Glasgow as he was returning a rental car and returning home to the states. 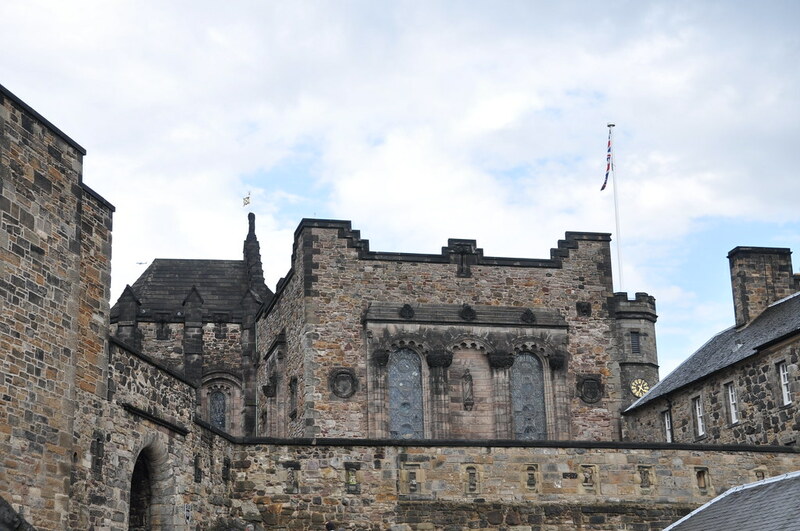 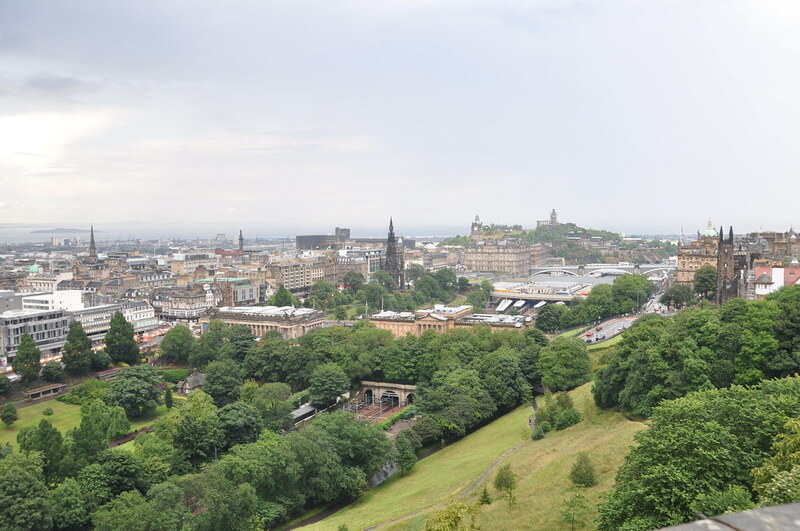 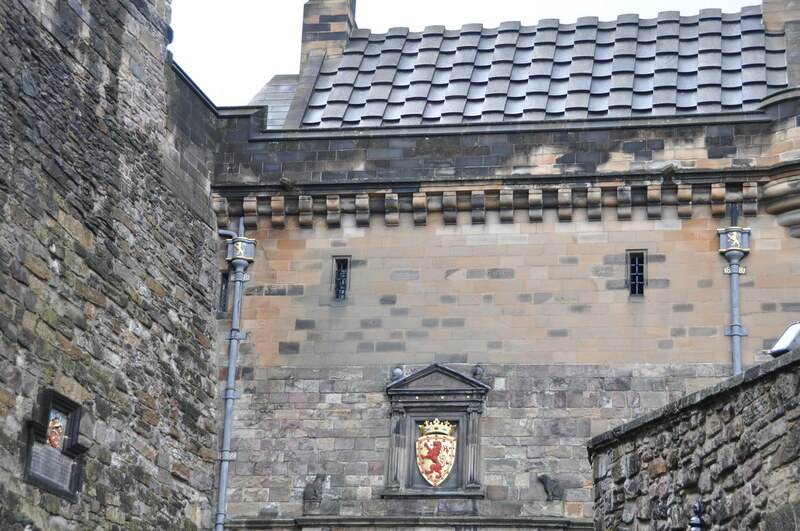 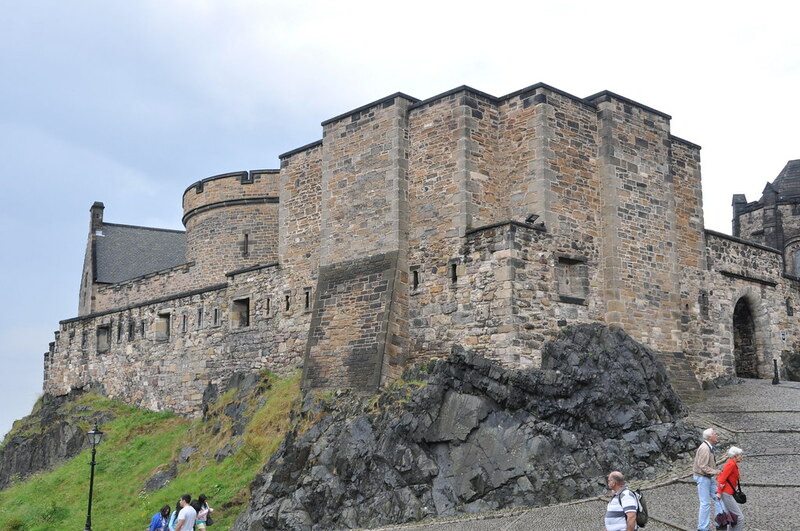 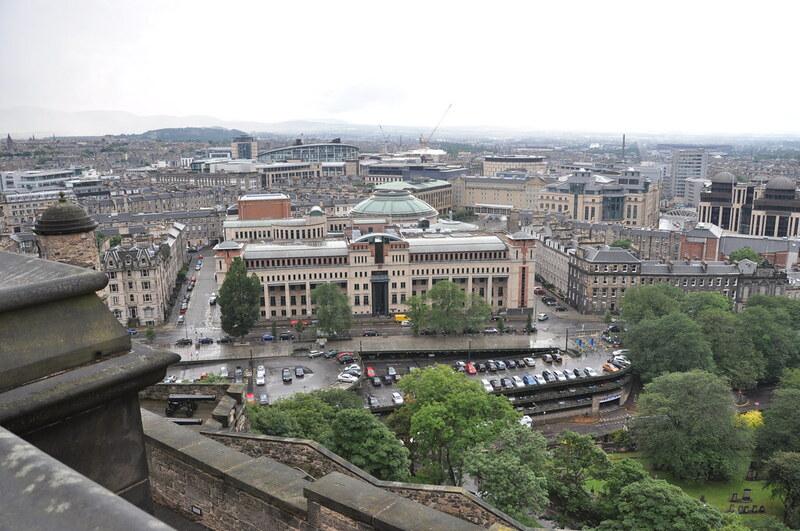 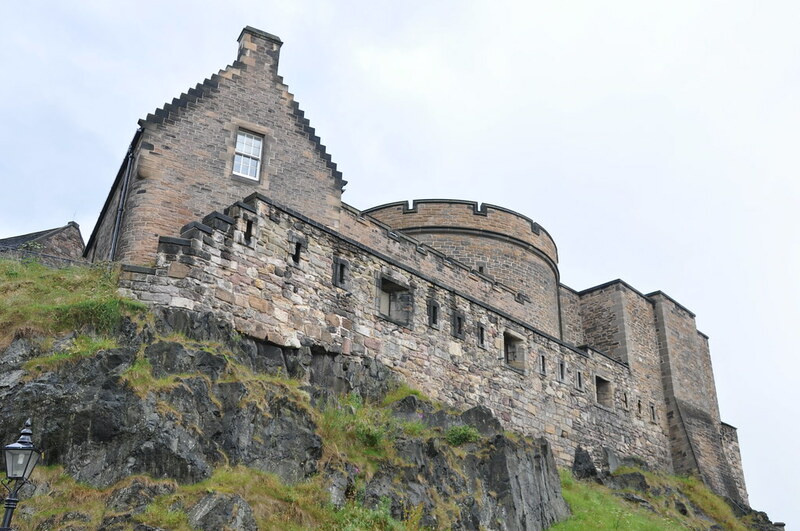 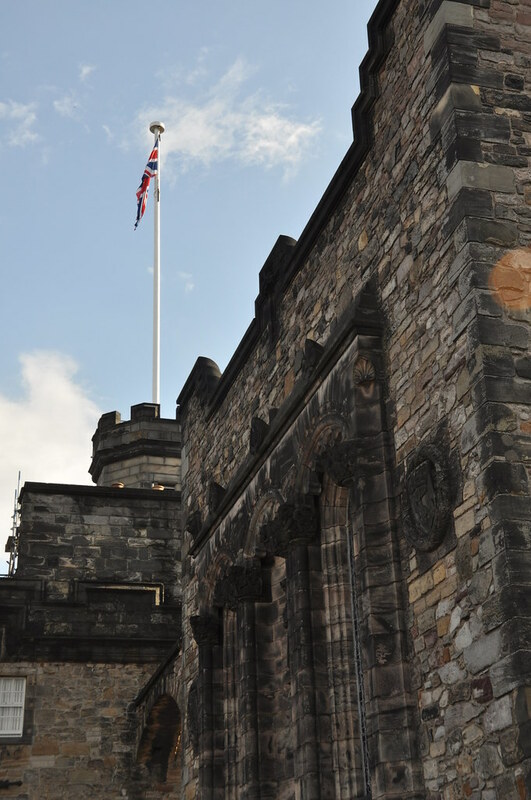 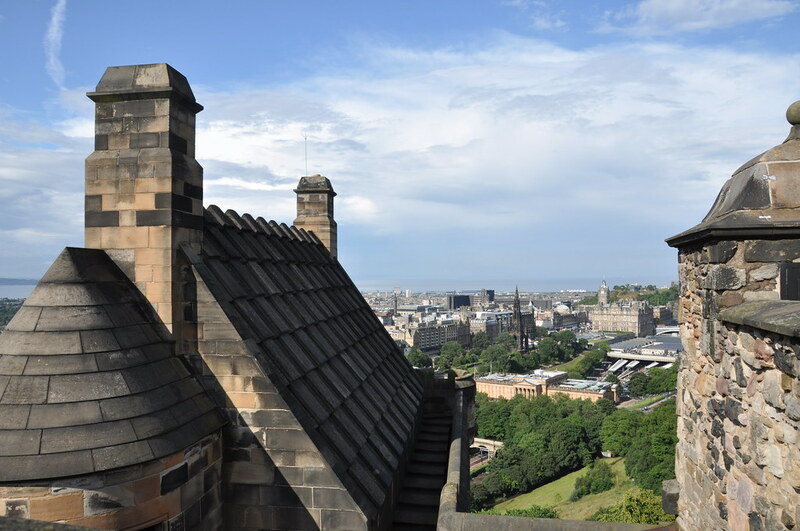 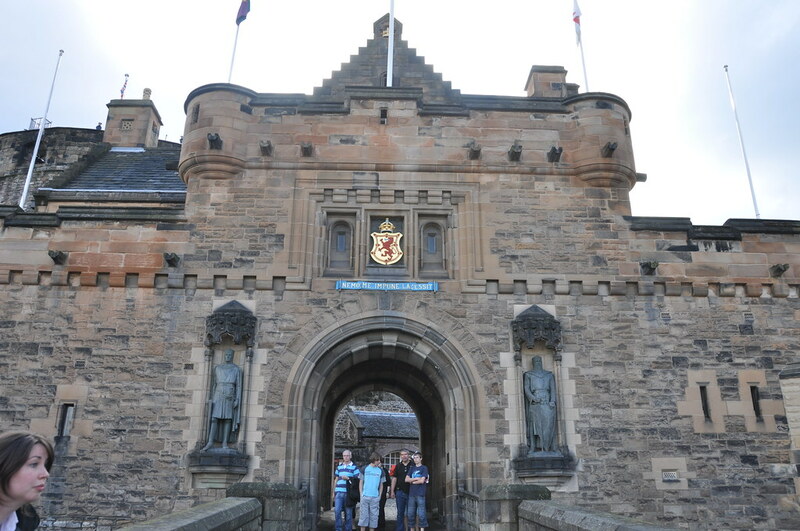 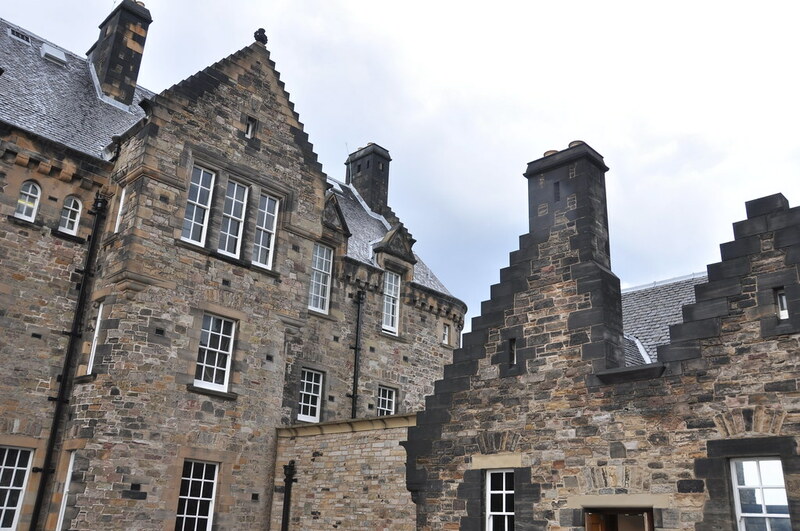 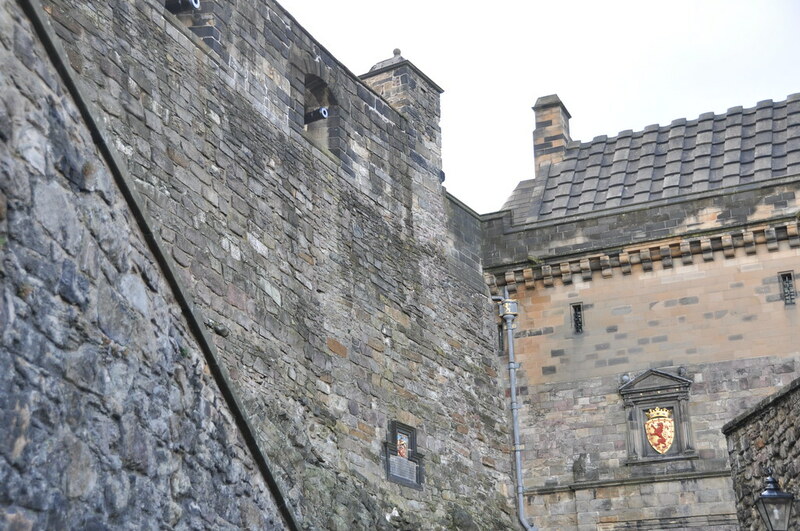 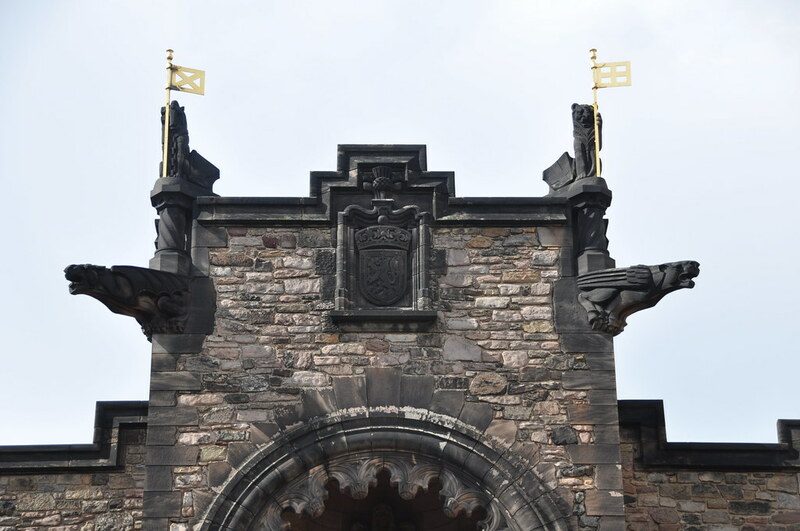 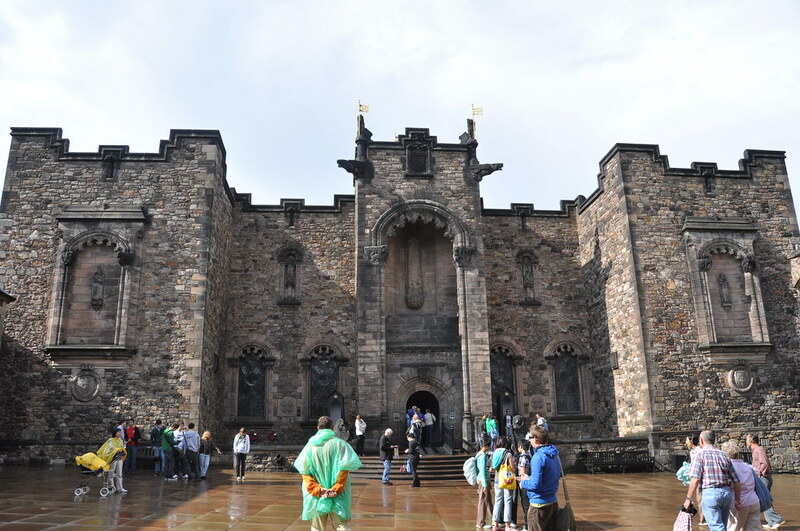 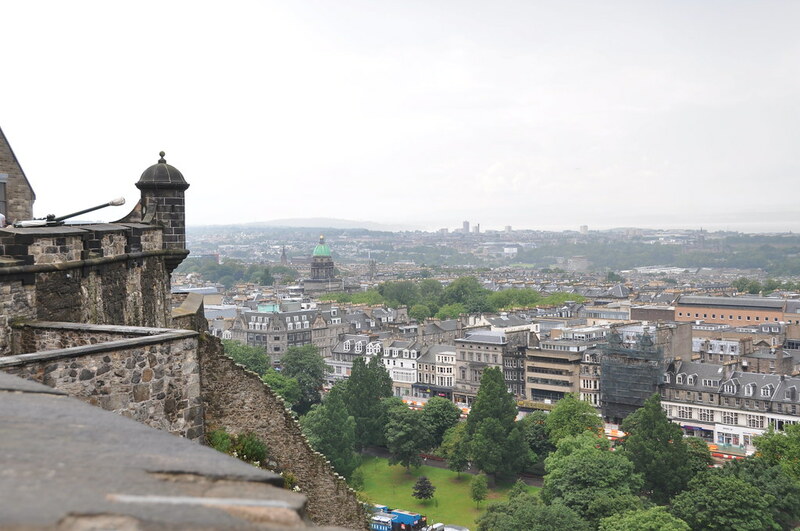 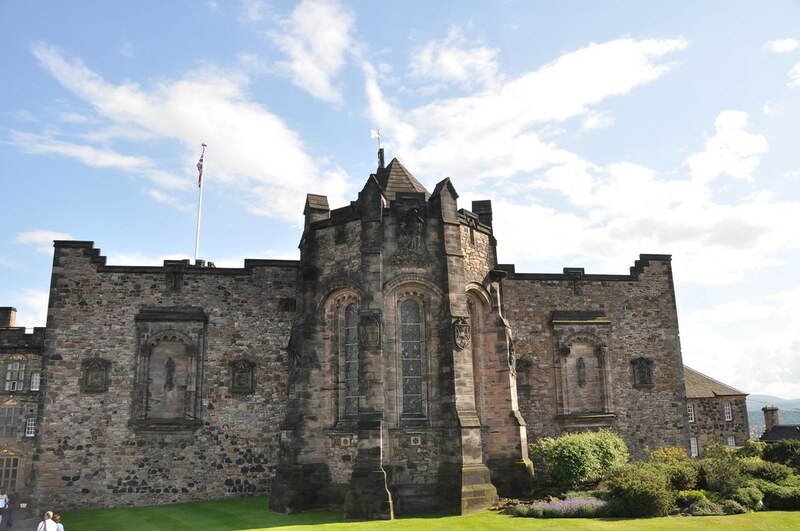 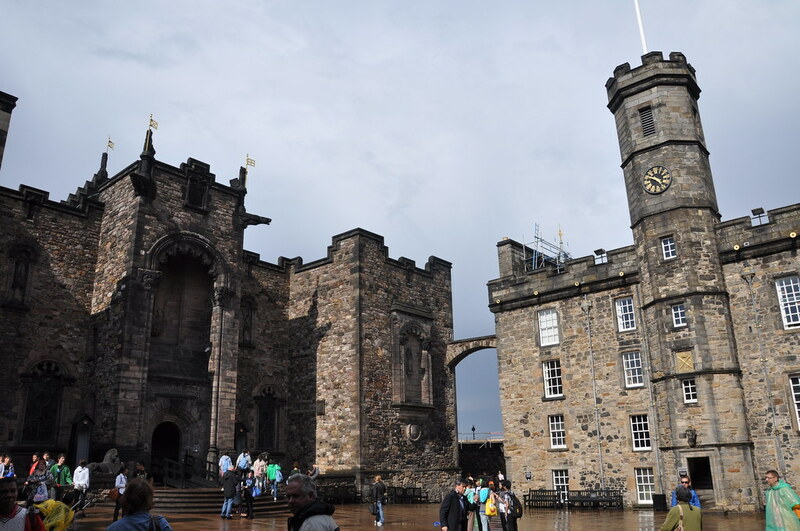 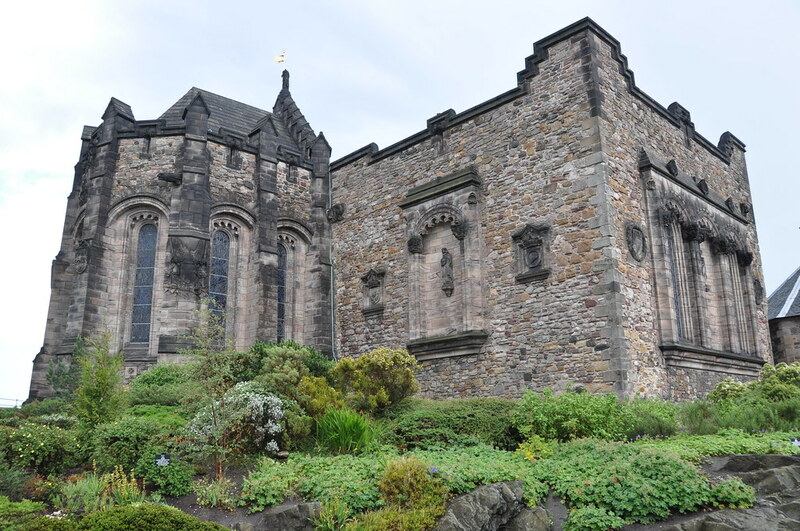 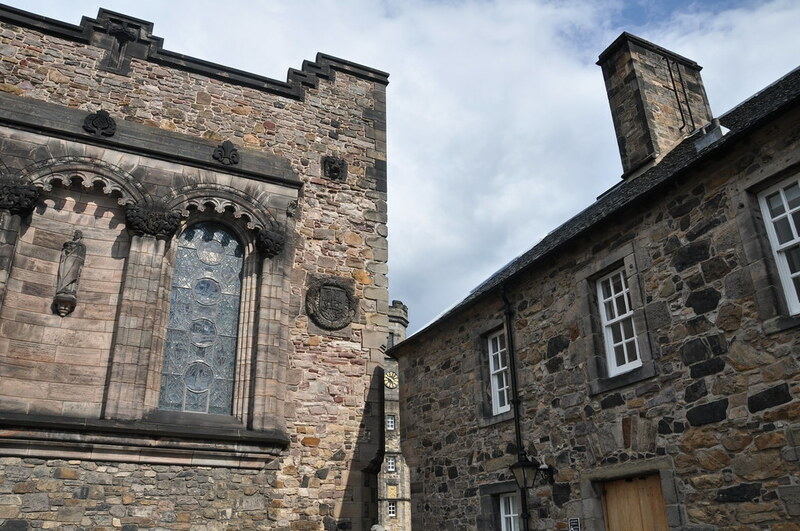 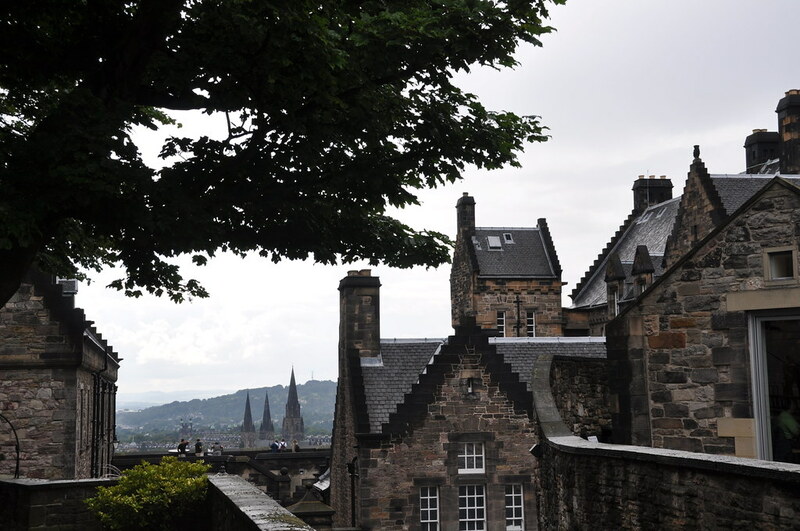 Upon arrival, I immediately hopped a train to visit the Edinburgh Castle. 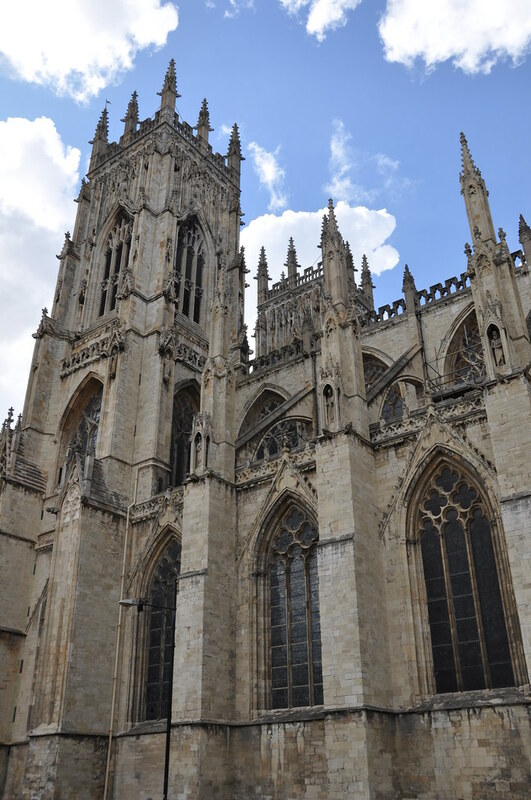 I nearly didn't get to see it because there was a torrential rain when I arrived, but it finally cleared and I was able to spend a couple hours here. 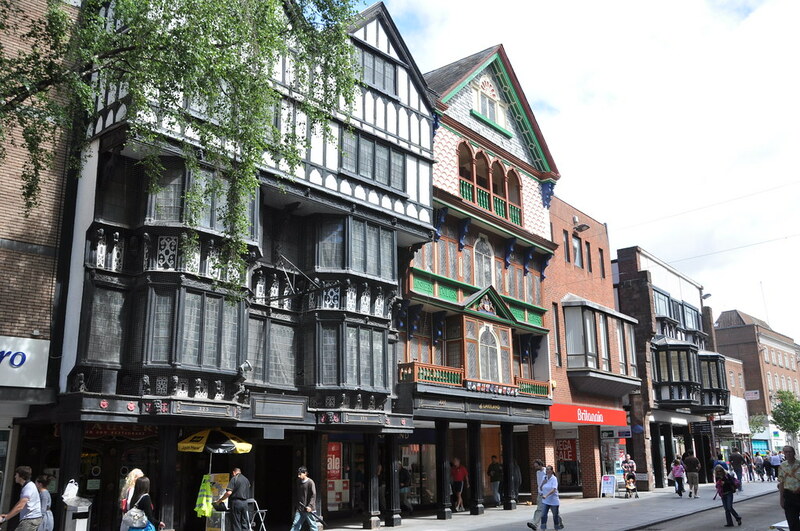 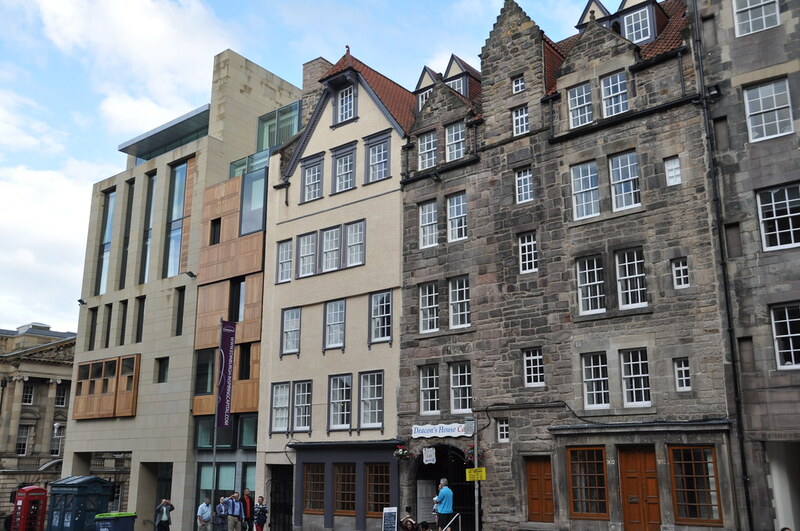 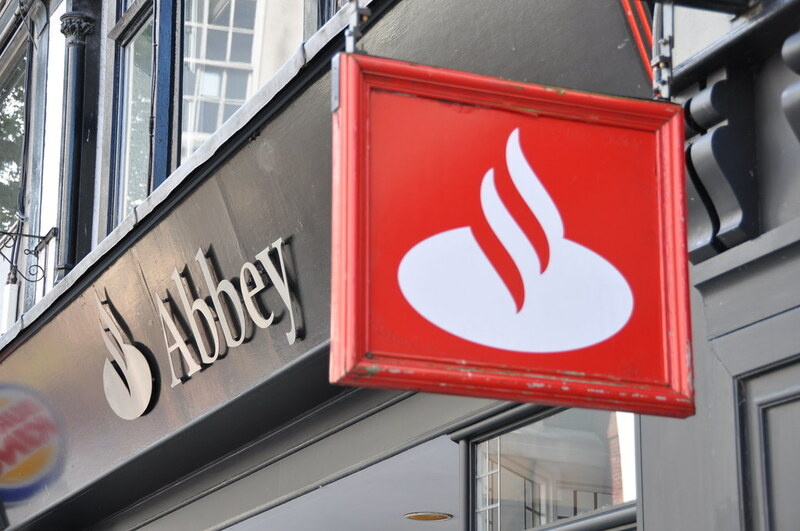 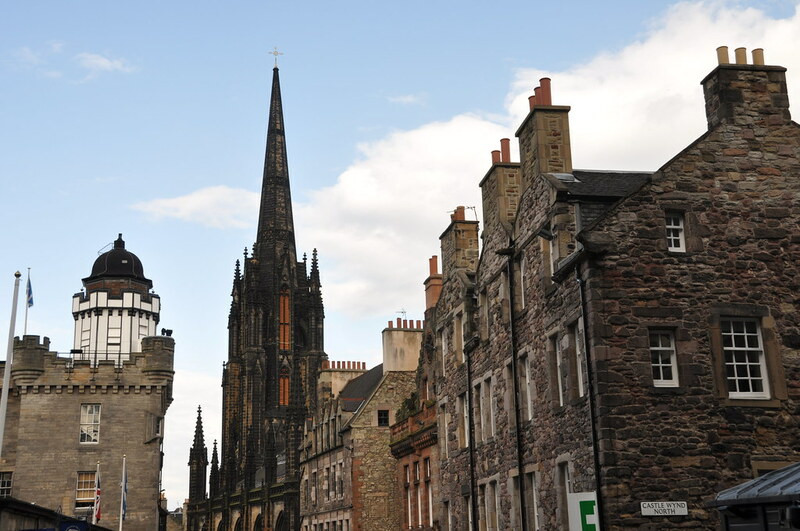 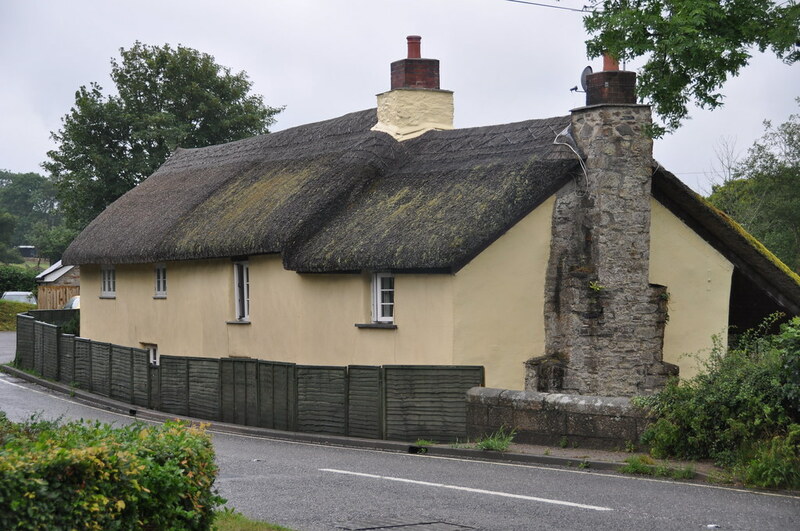 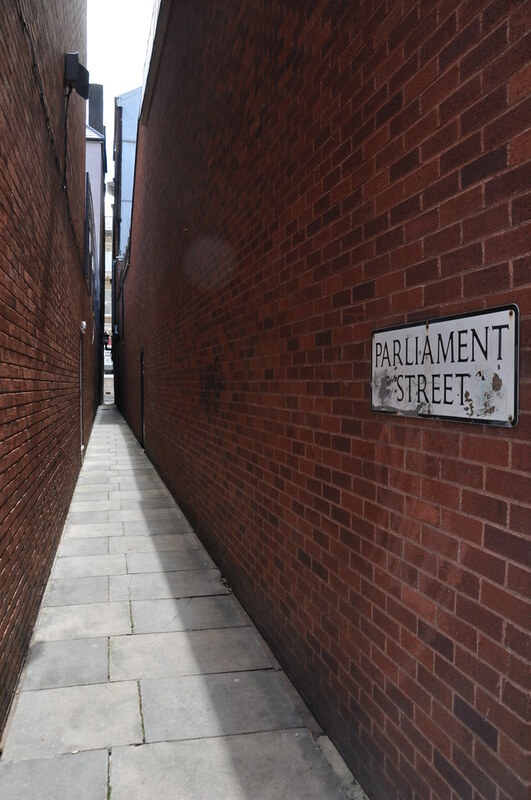 Very common in the UK—multiple eras of architecture adjacent to each other. 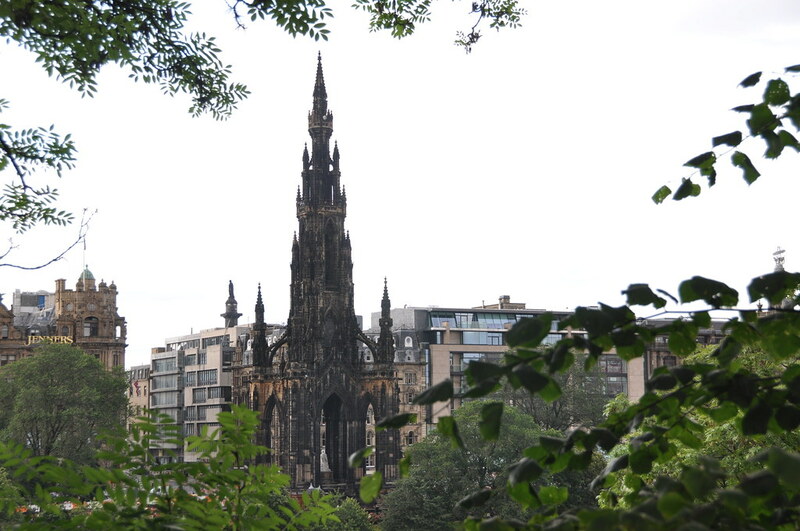 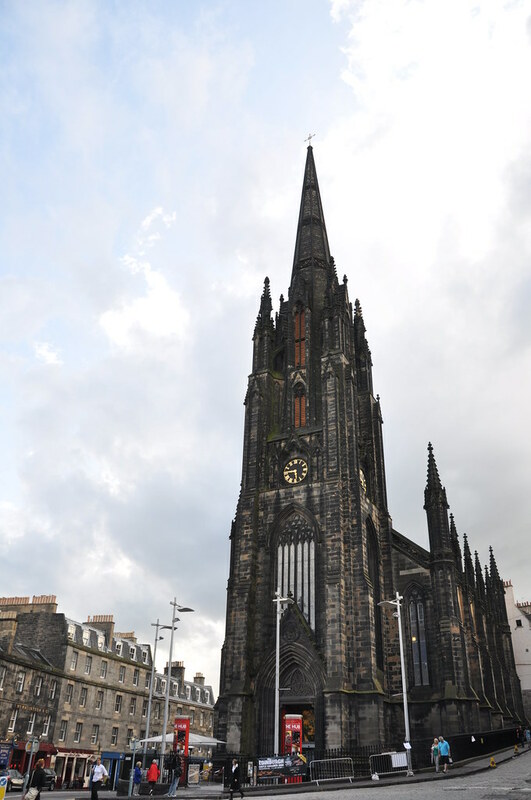 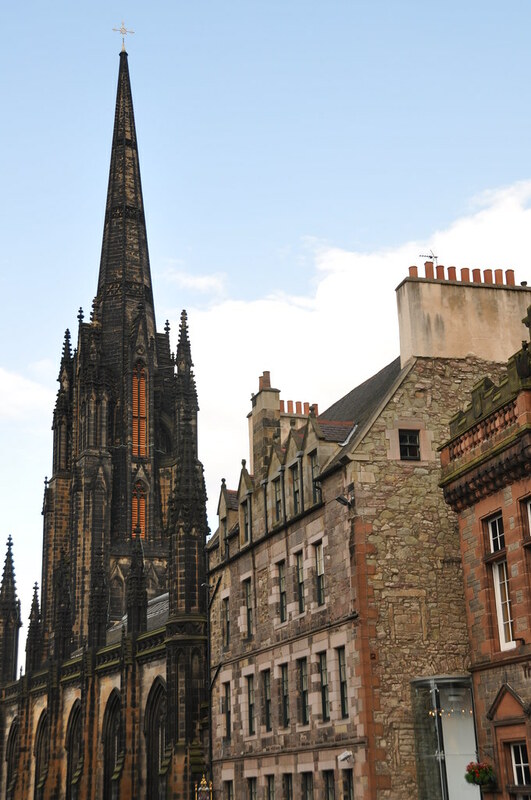 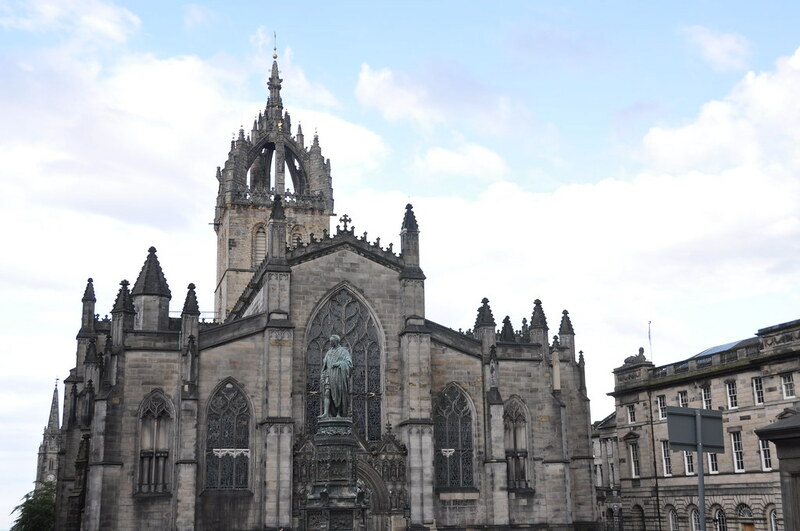 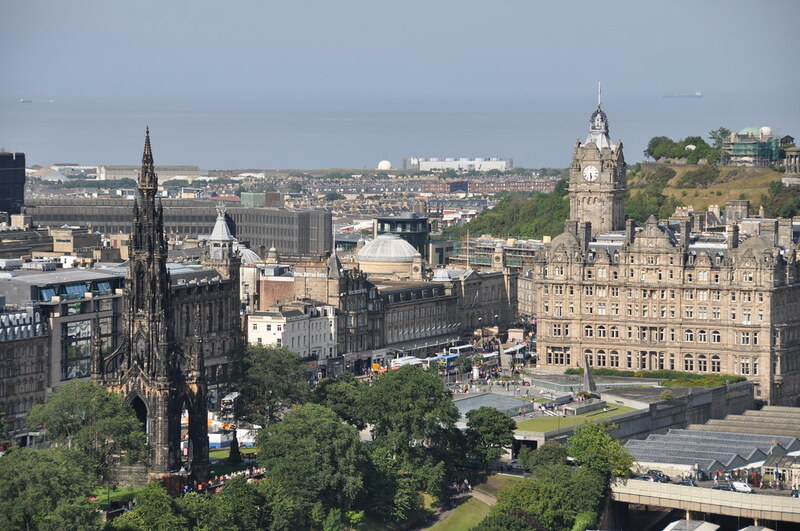 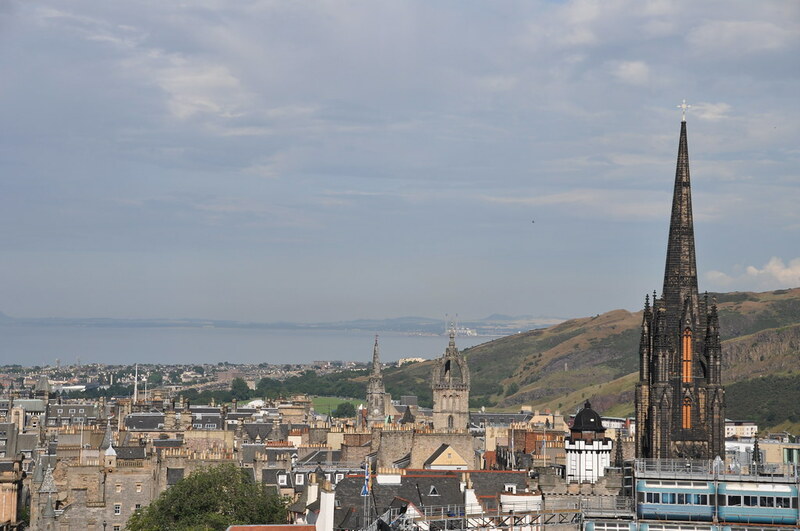 Wikipedia information on the Scott Monument. 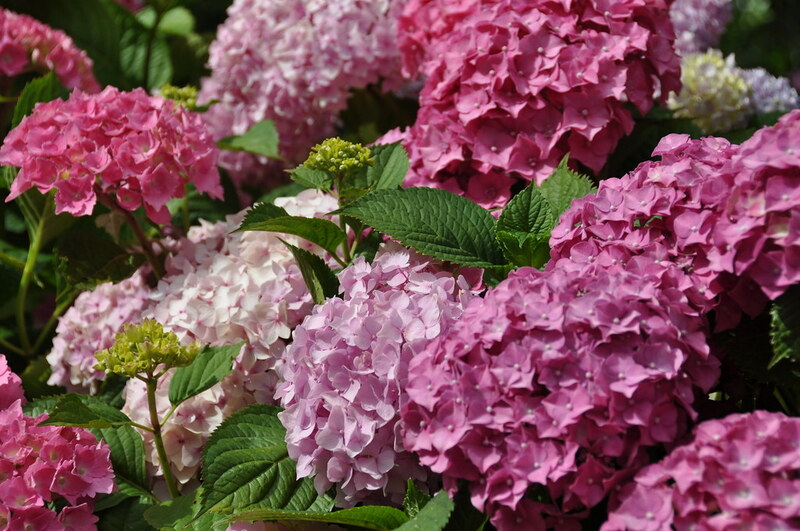 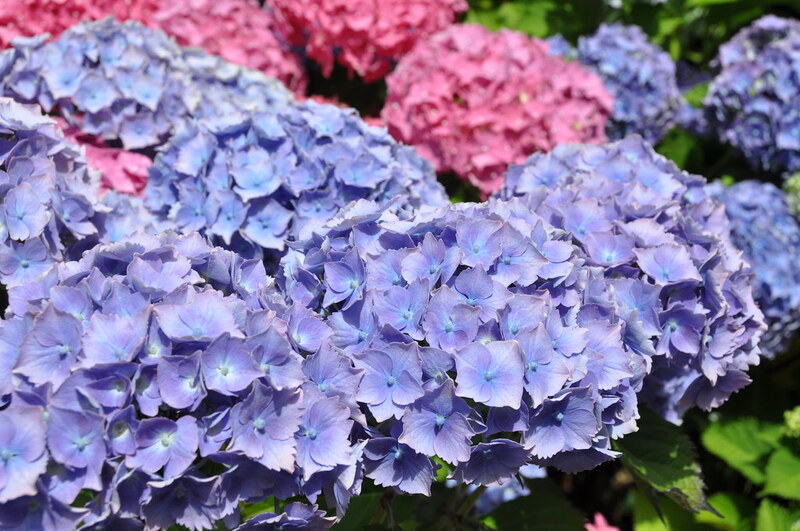 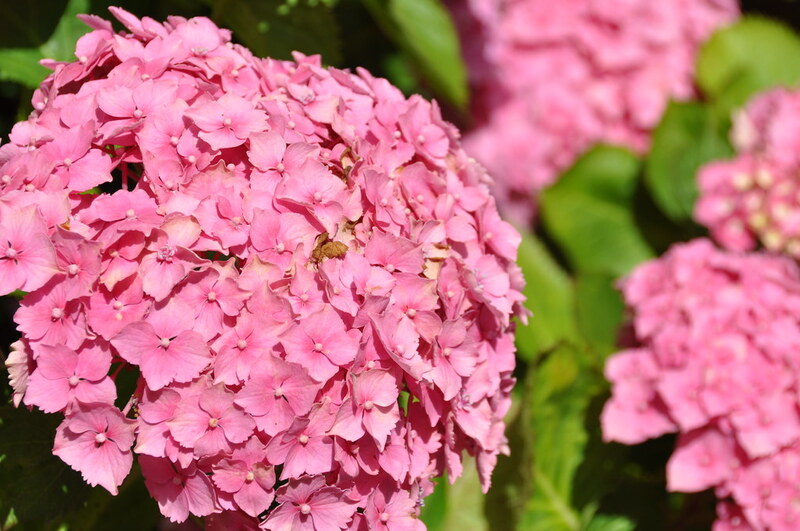 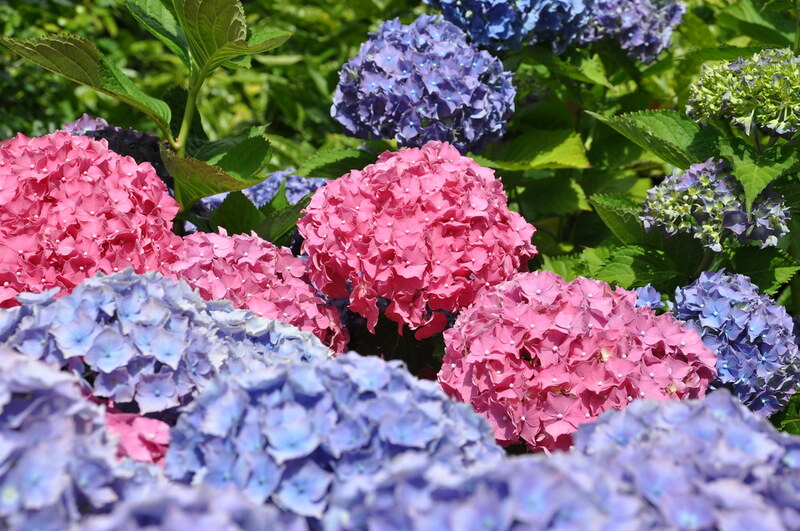 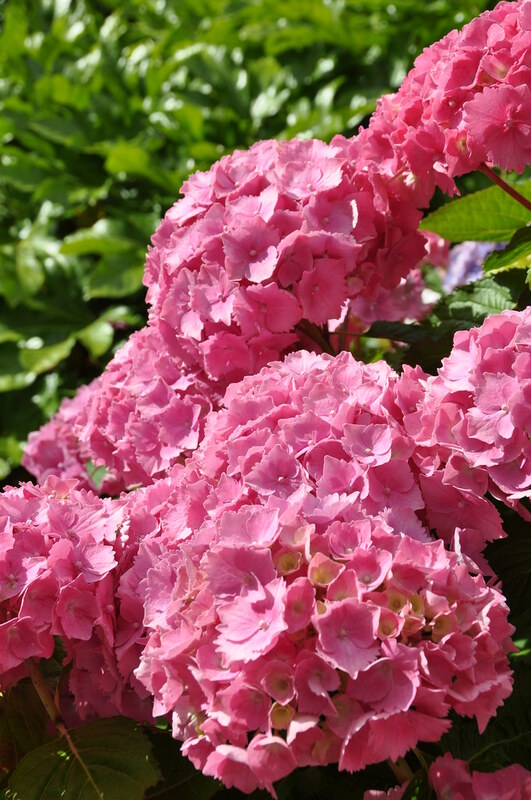 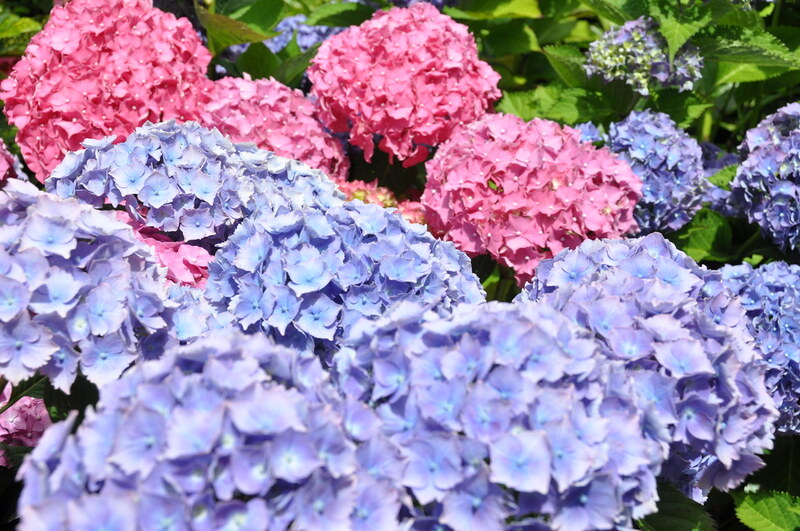 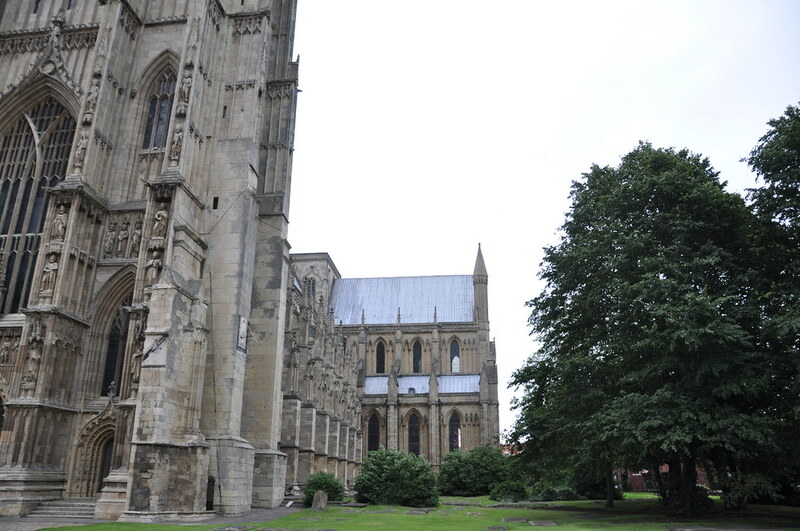 July 17—You may have noticed the photos skip July 16. 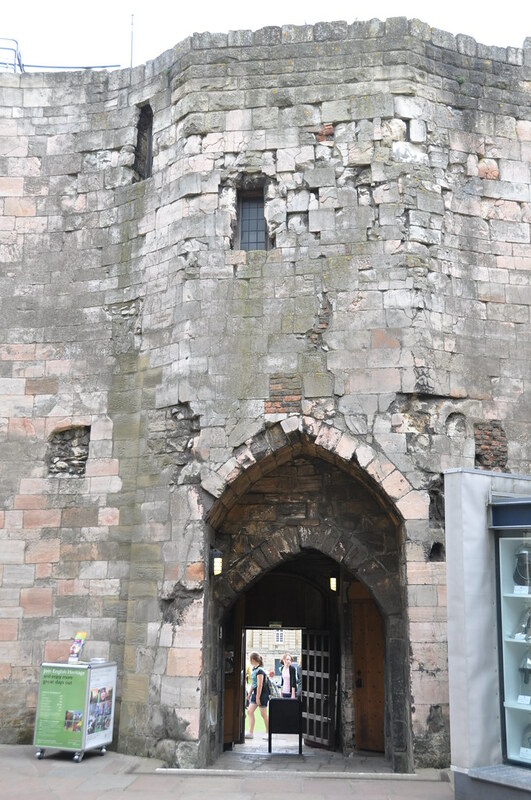 That's because I'd been going at near break-neck speeds for almost a week and was exhausted, so Thursday was a slow day of doing very little, with a good sleep-in, a good sit-down dinner, and a short stroll through Hull. 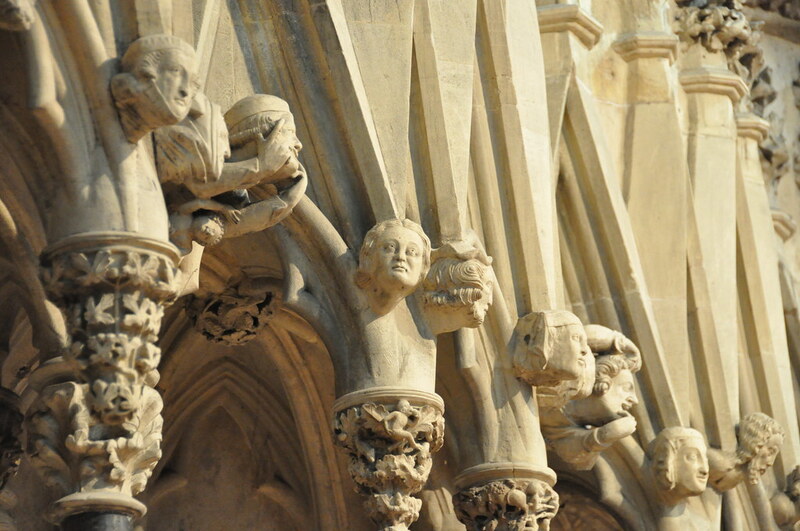 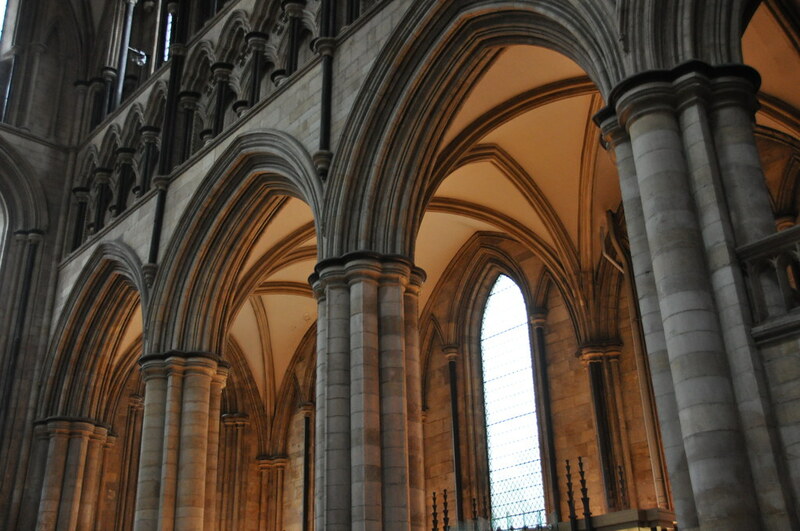 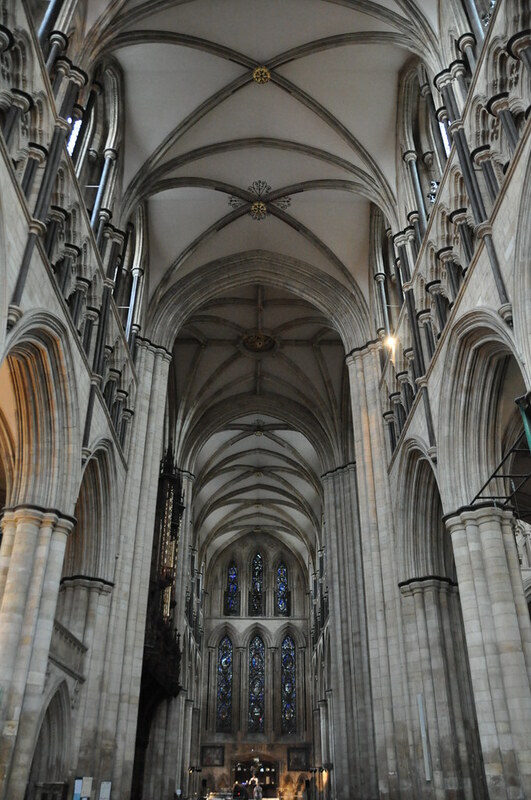 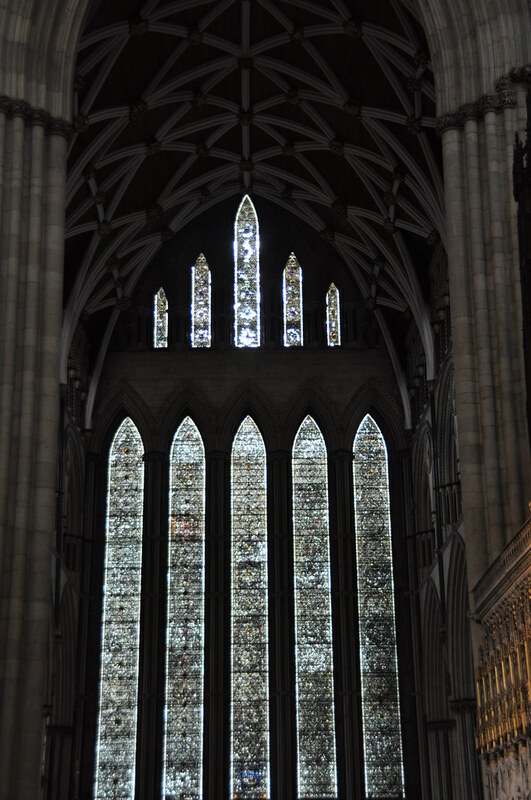 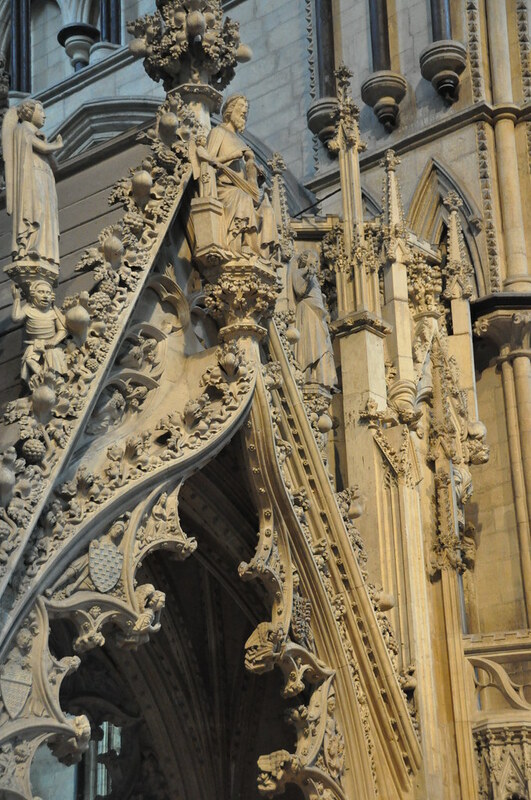 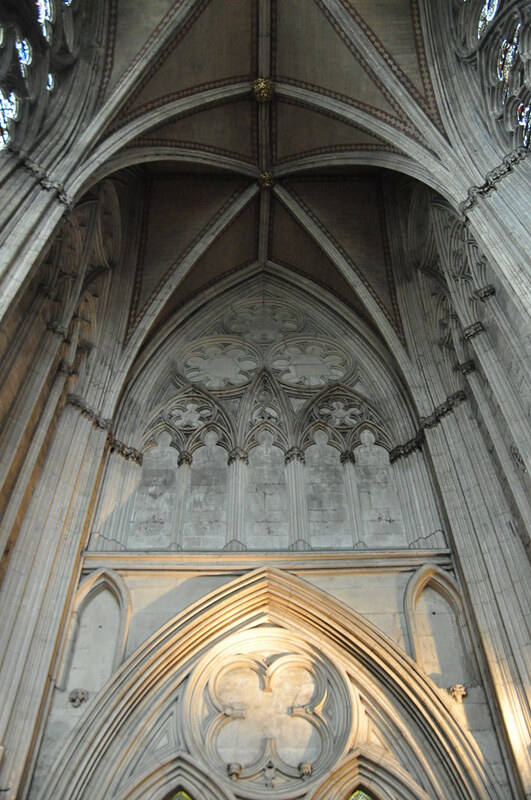 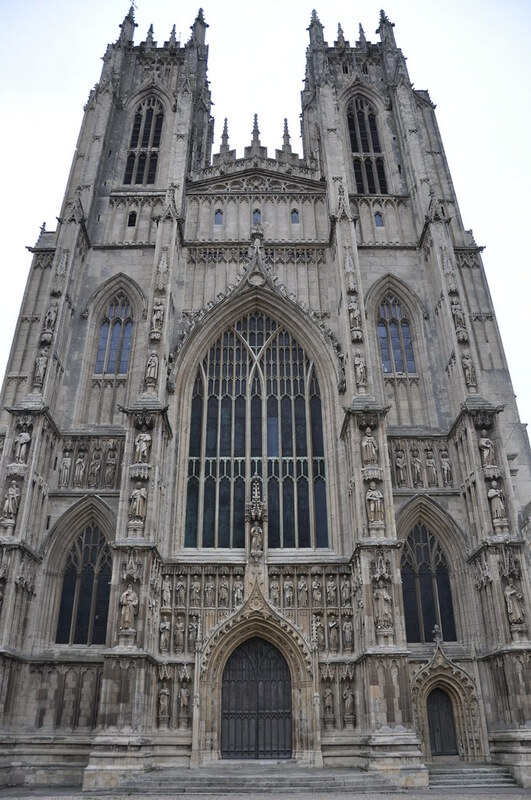 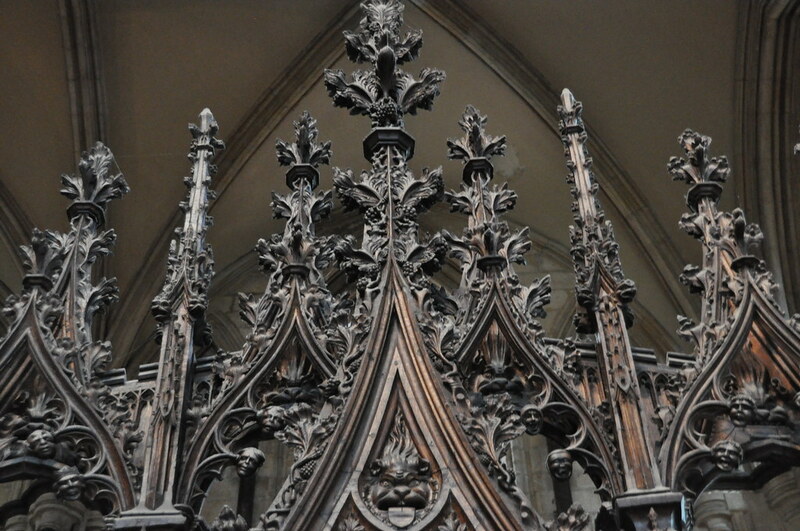 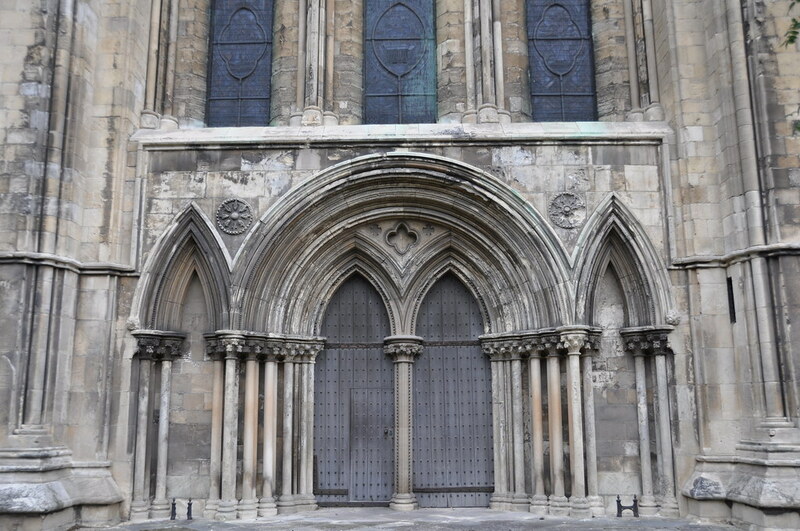 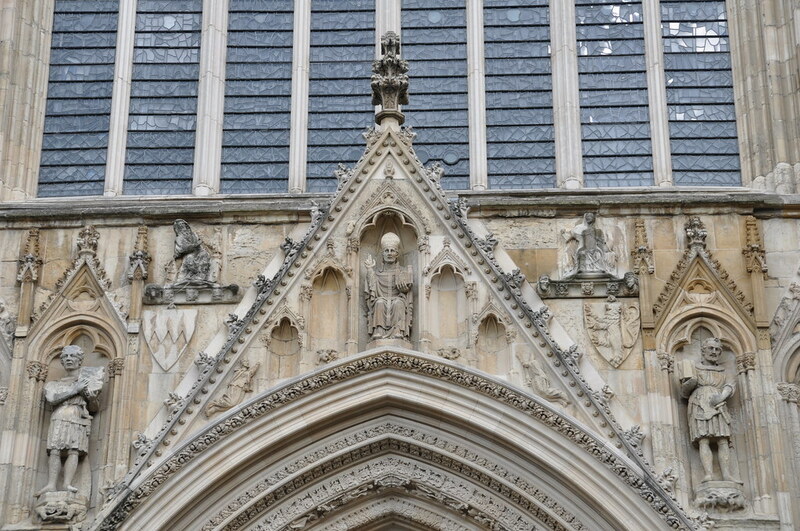 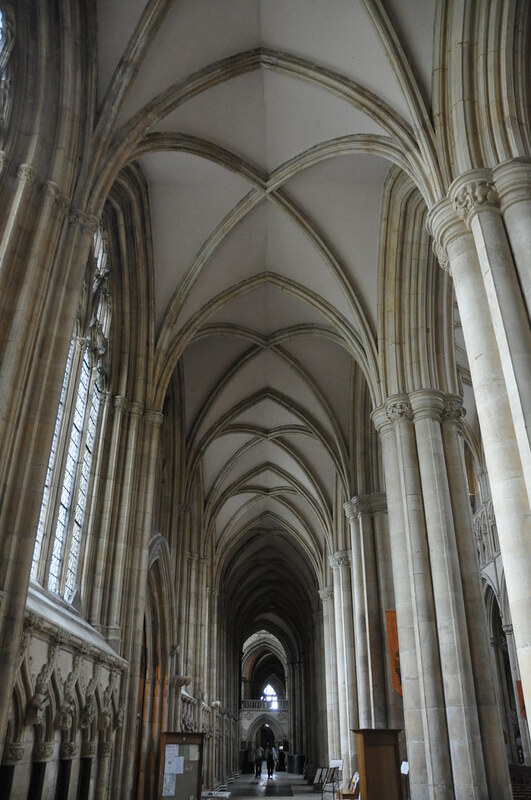 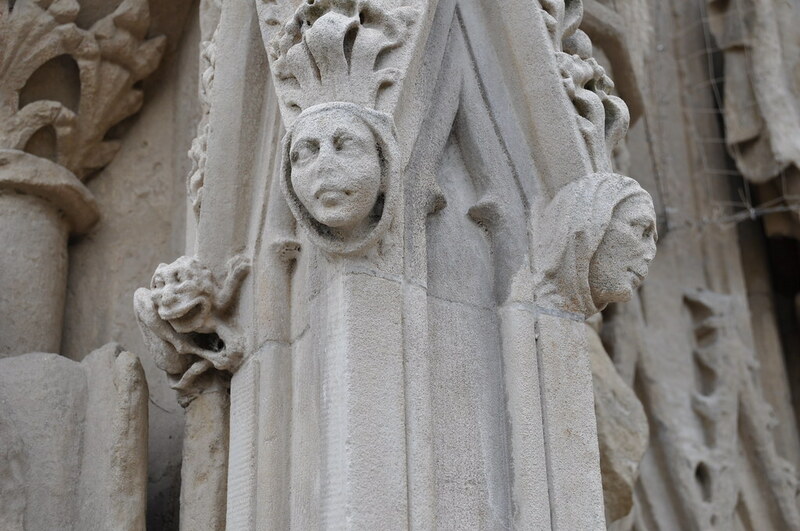 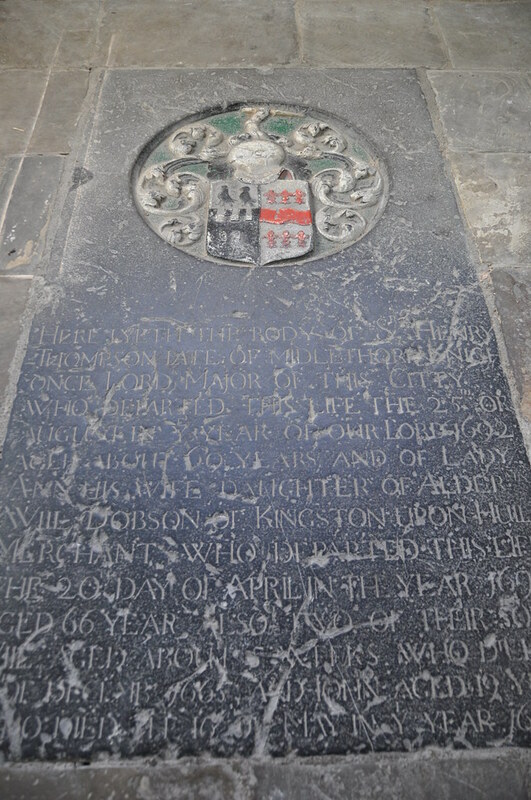 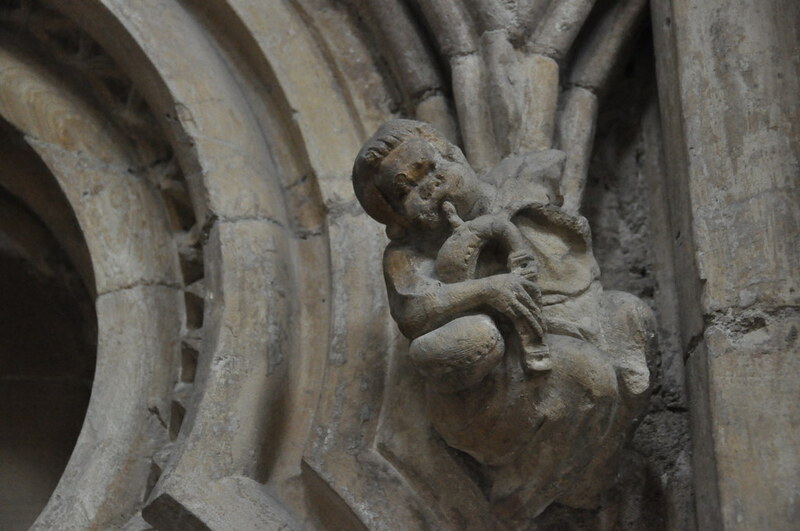 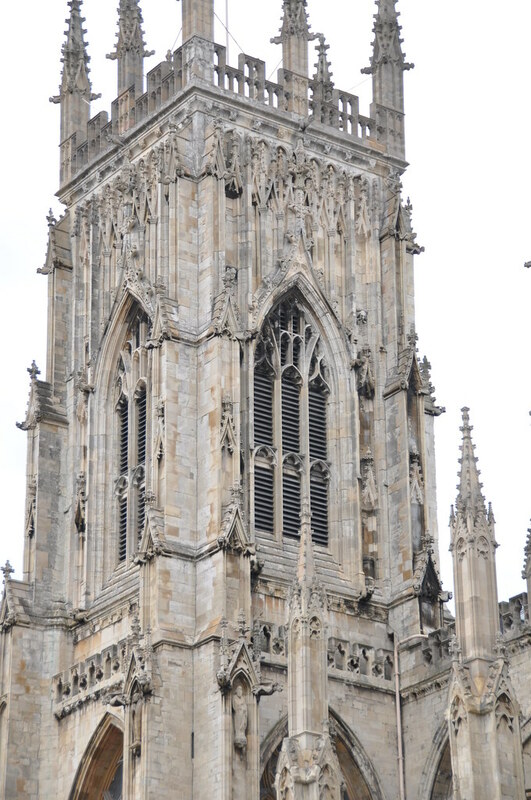 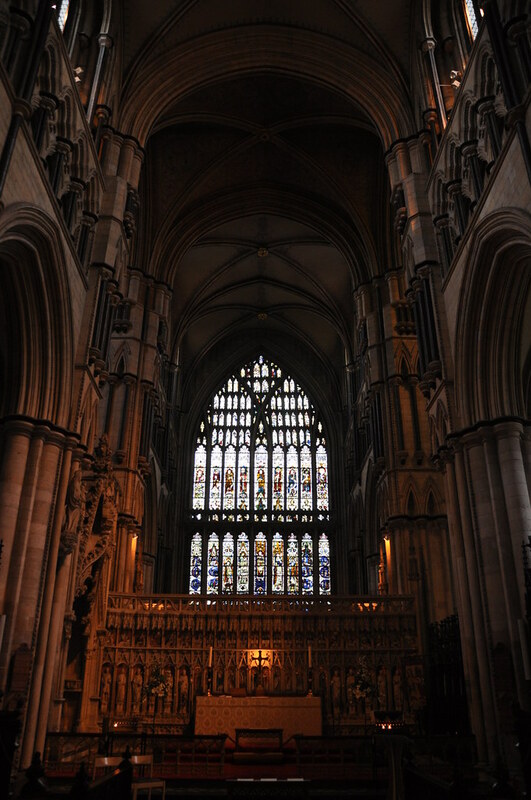 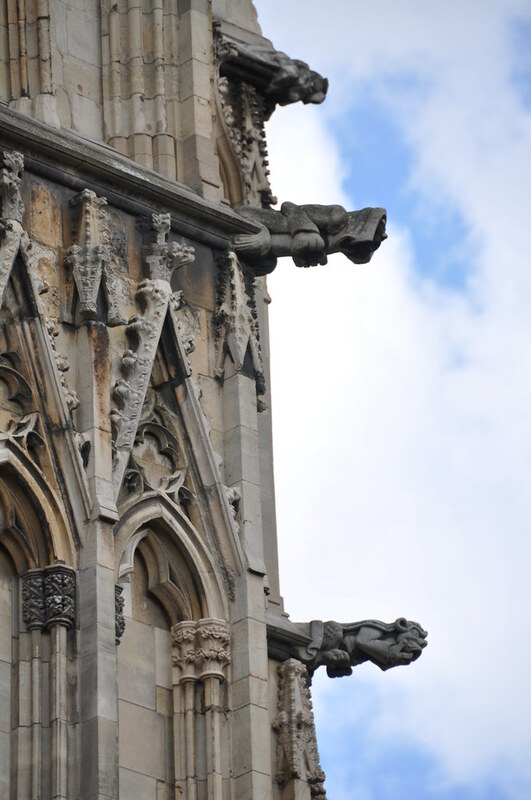 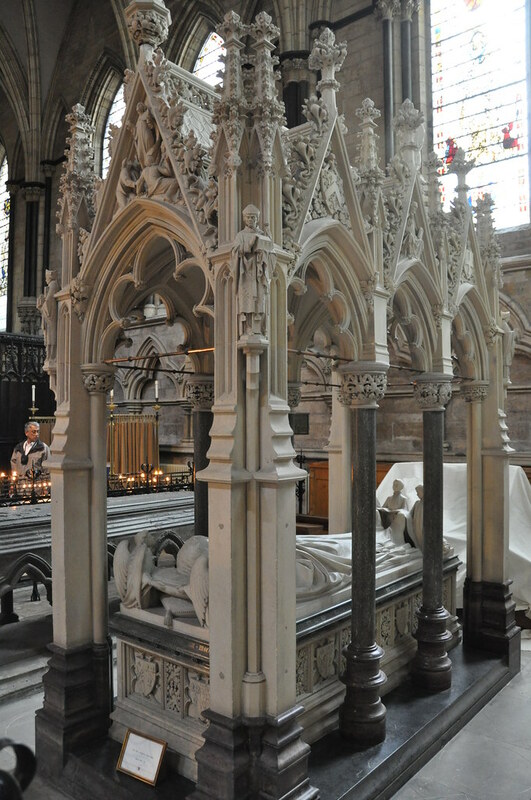 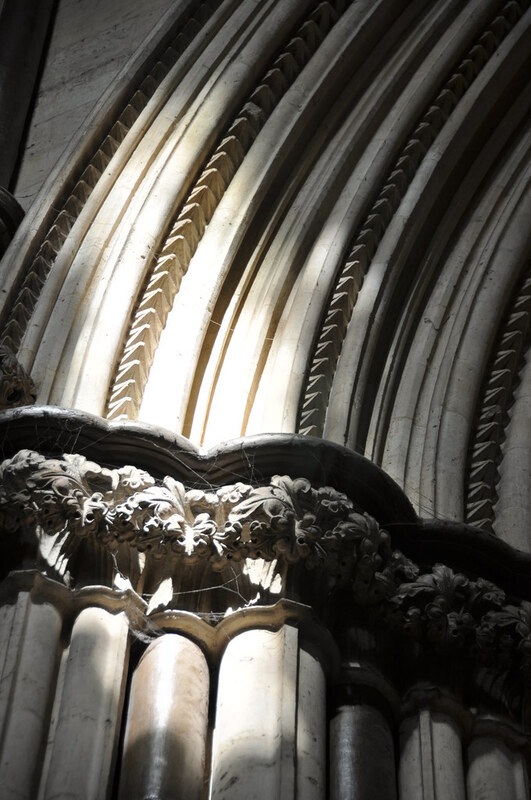 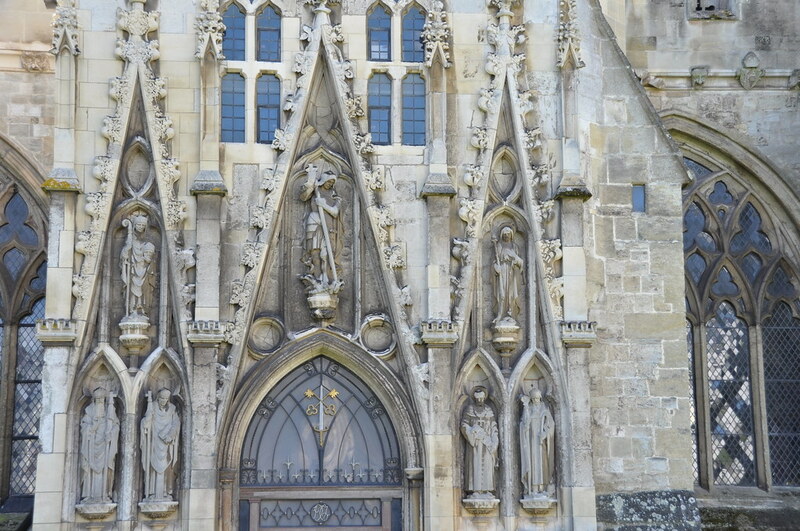 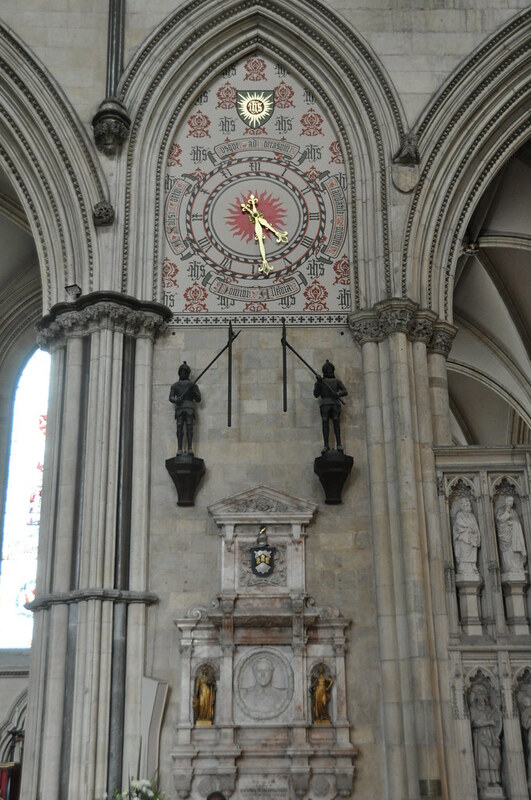 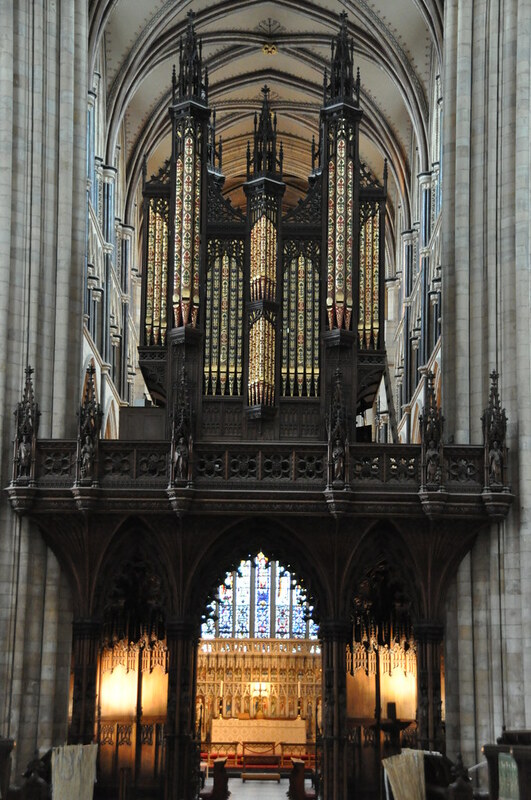 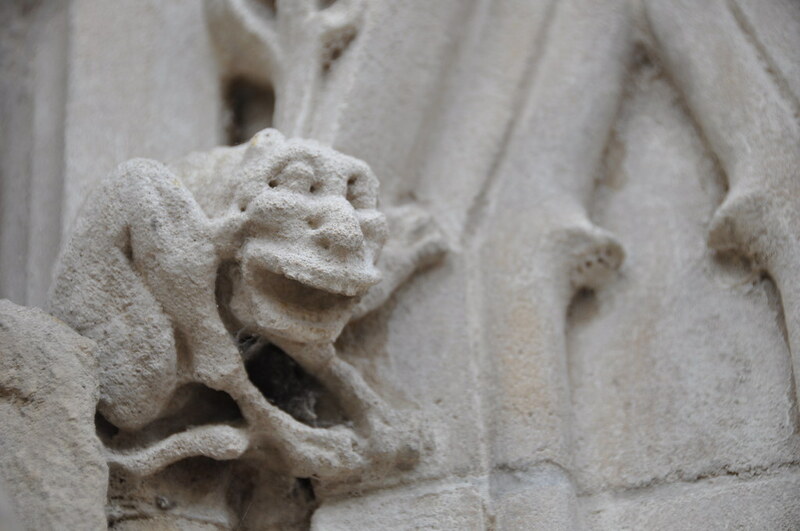 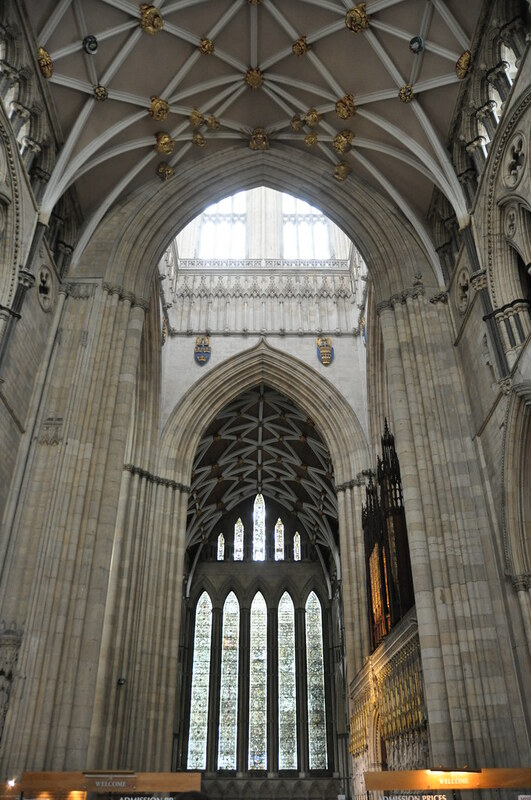 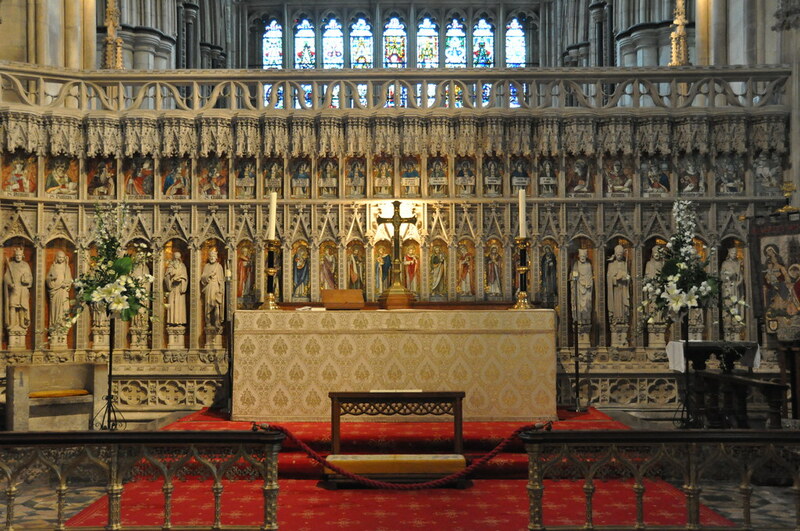 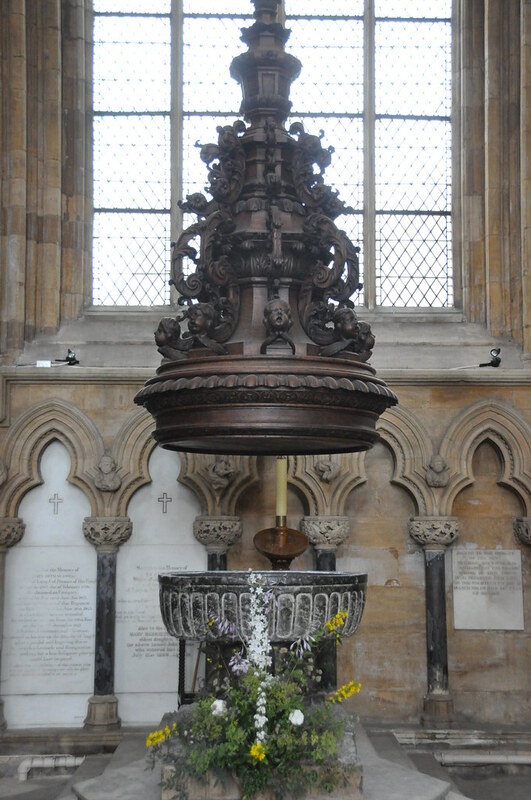 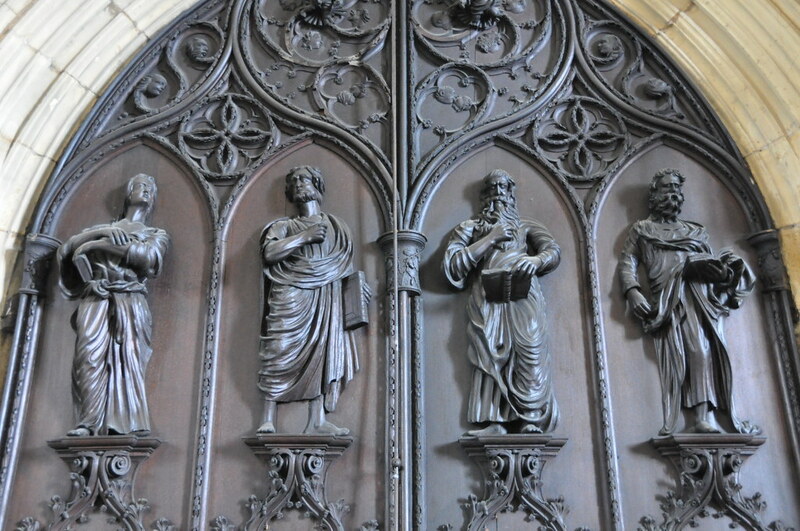 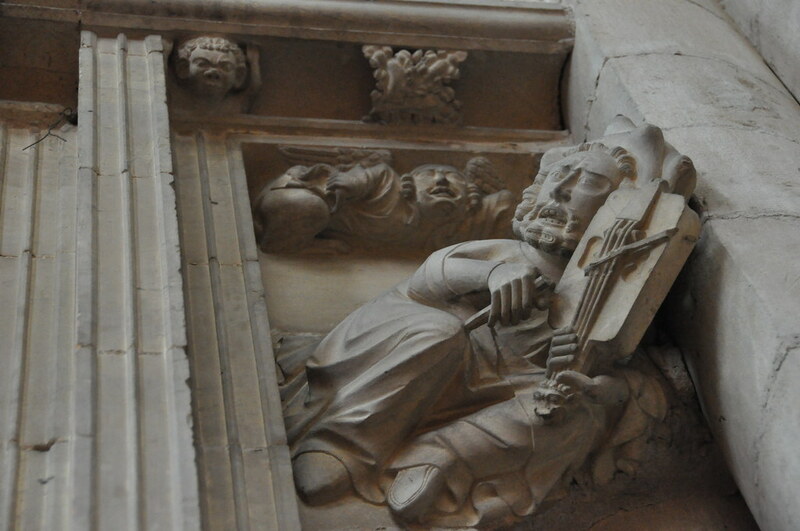 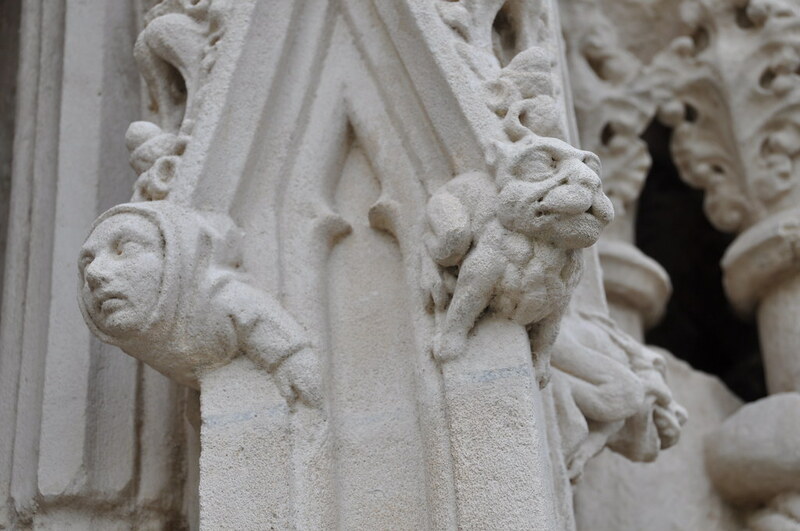 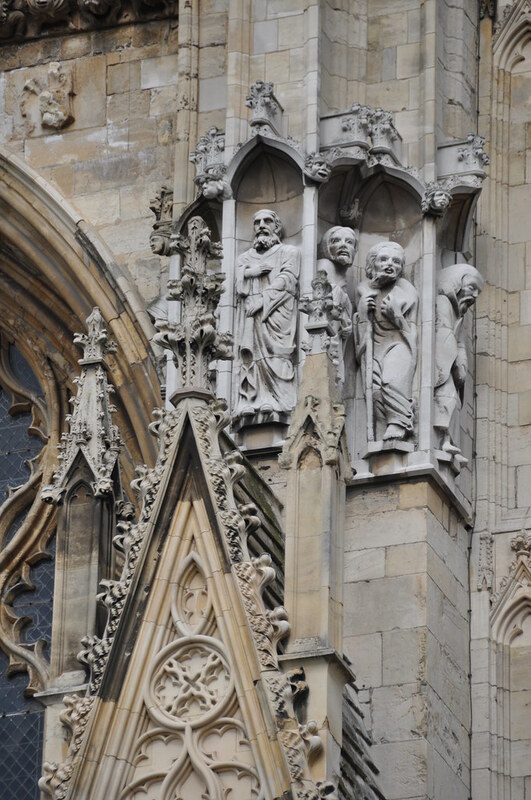 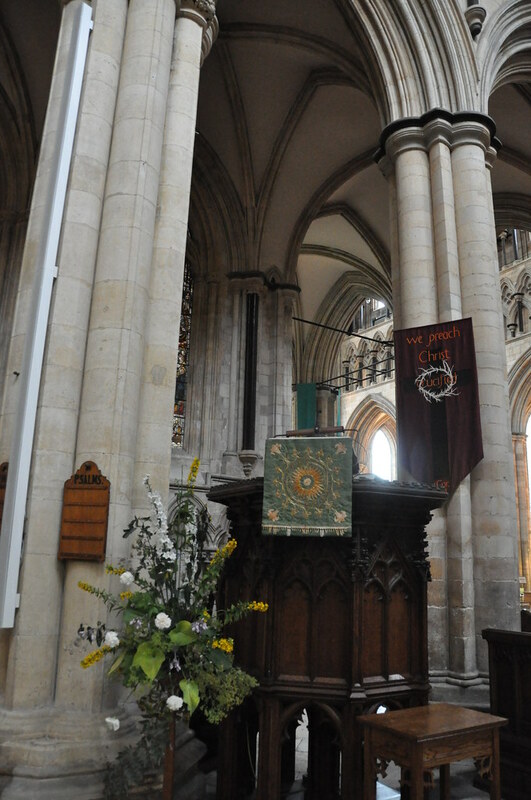 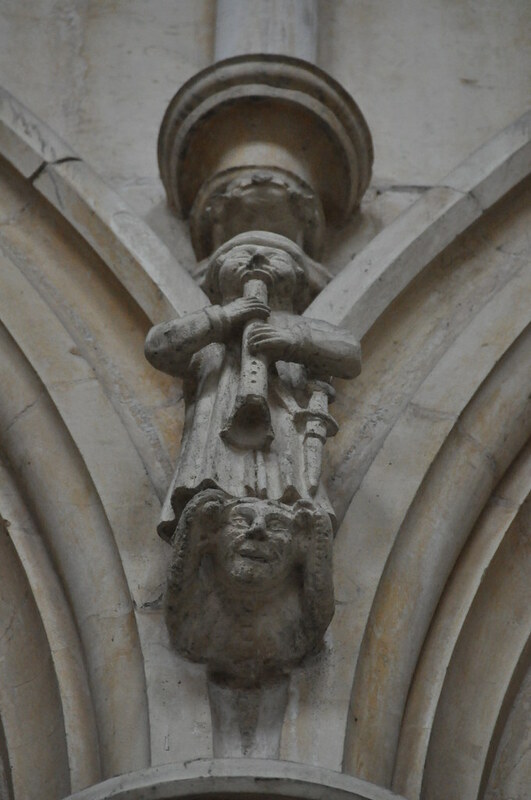 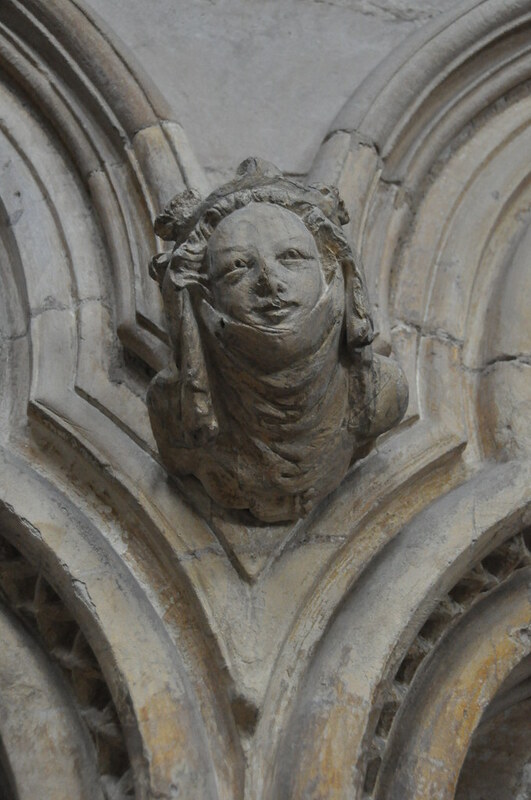 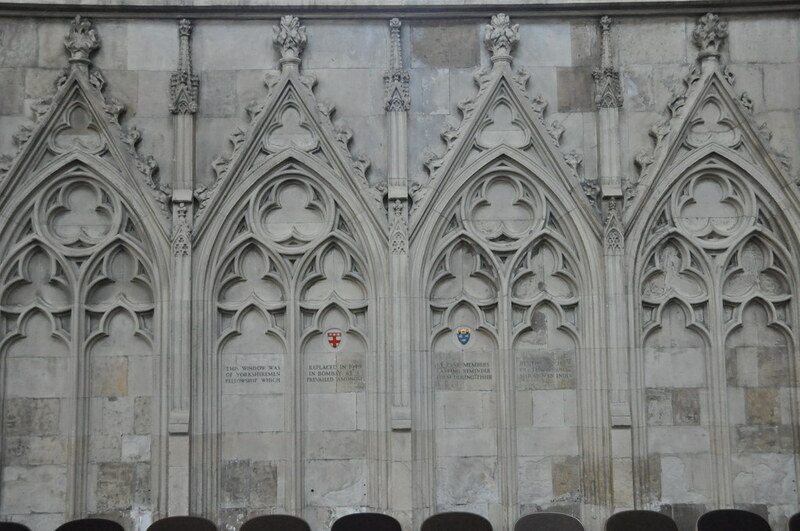 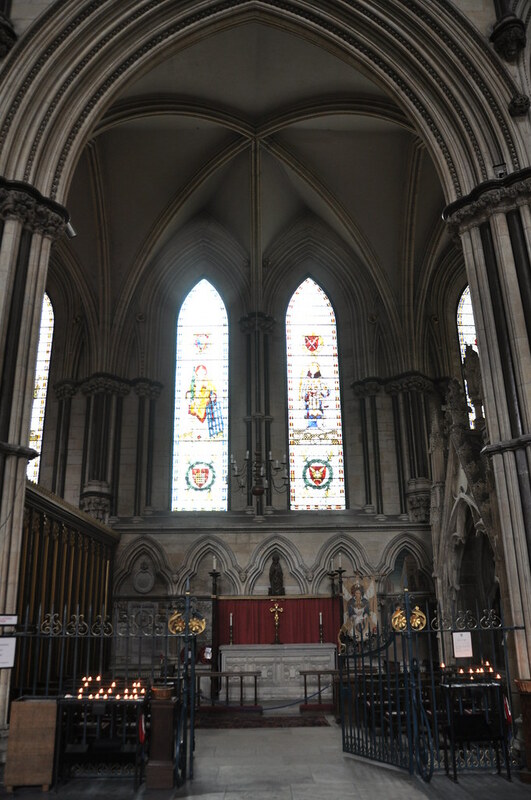 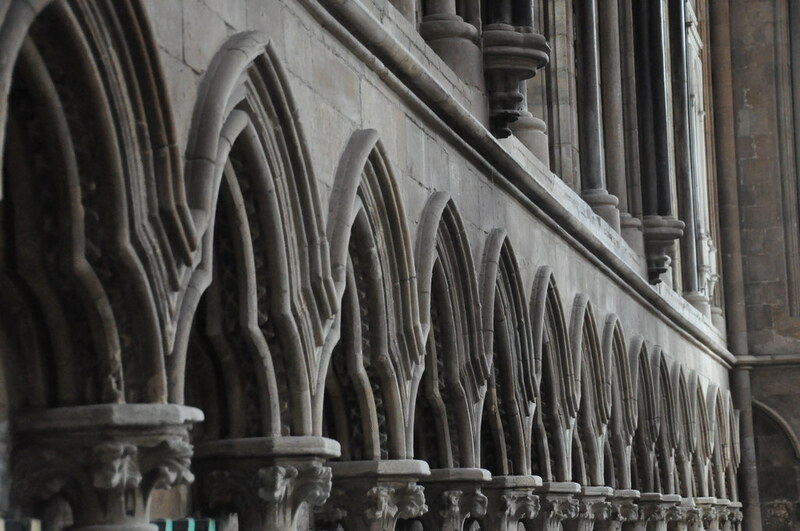 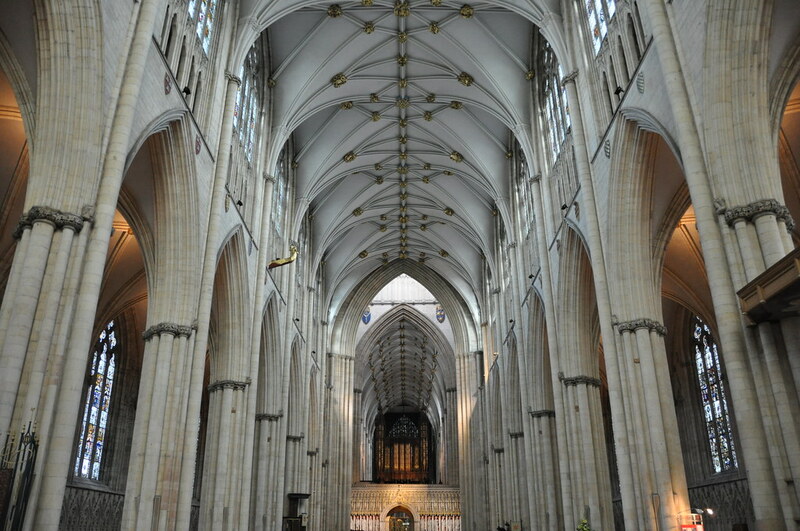 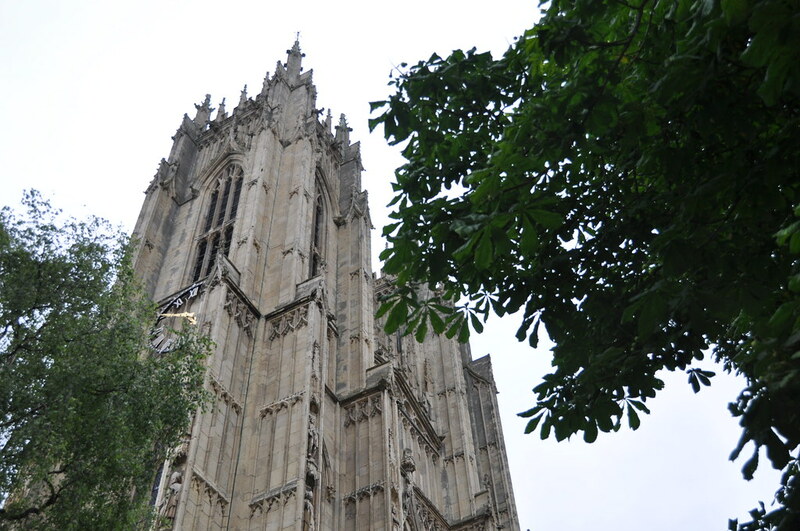 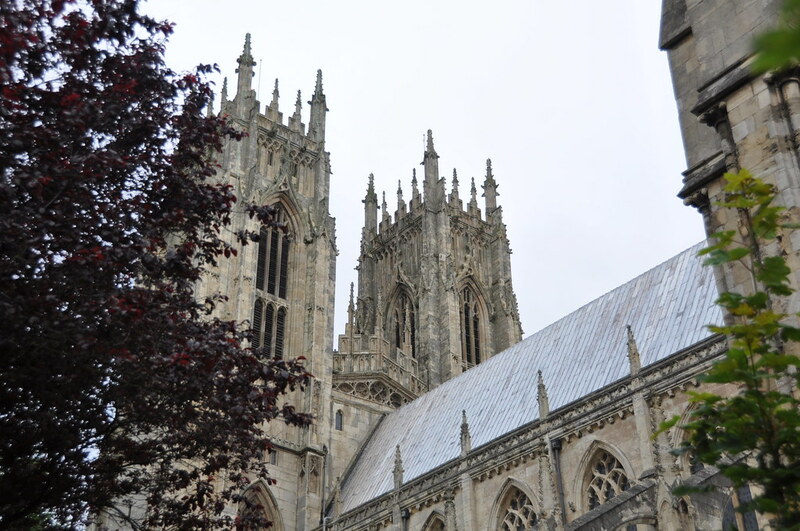 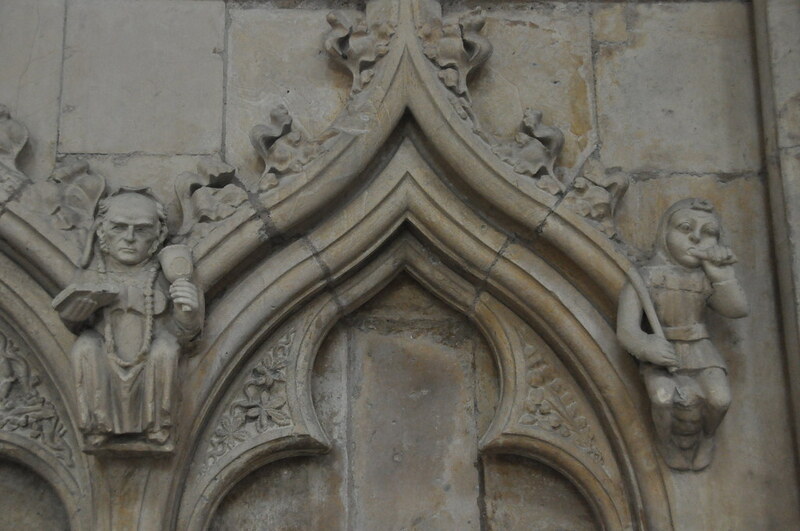 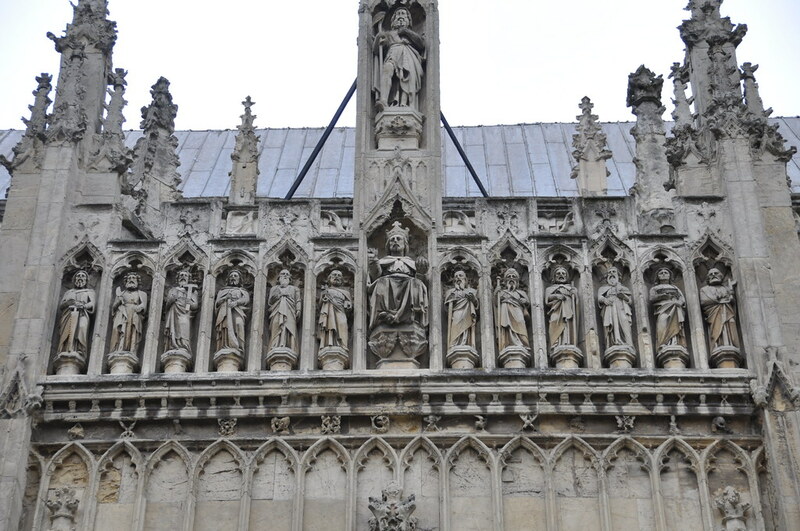 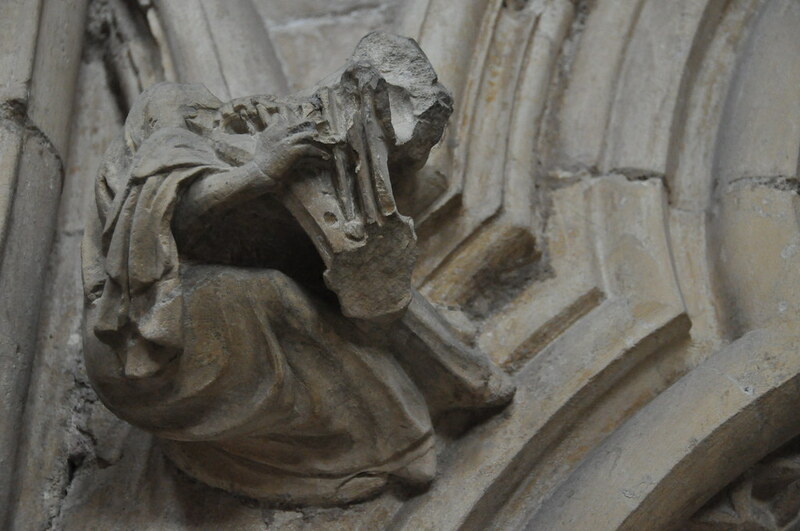 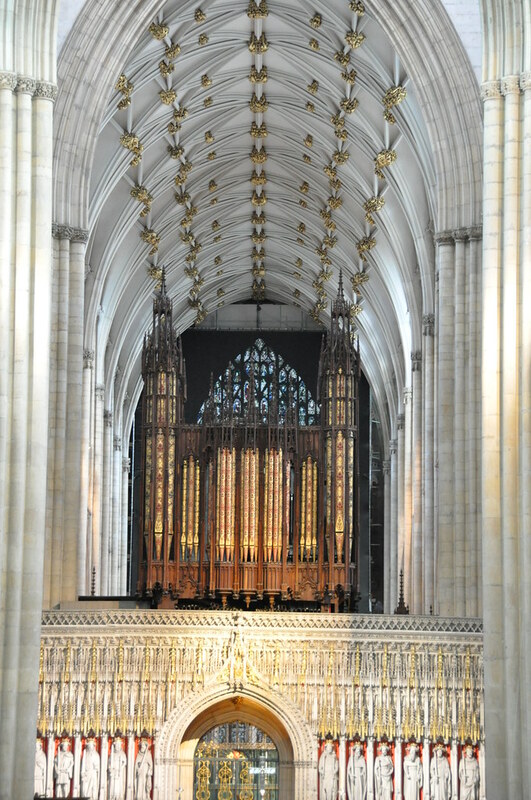 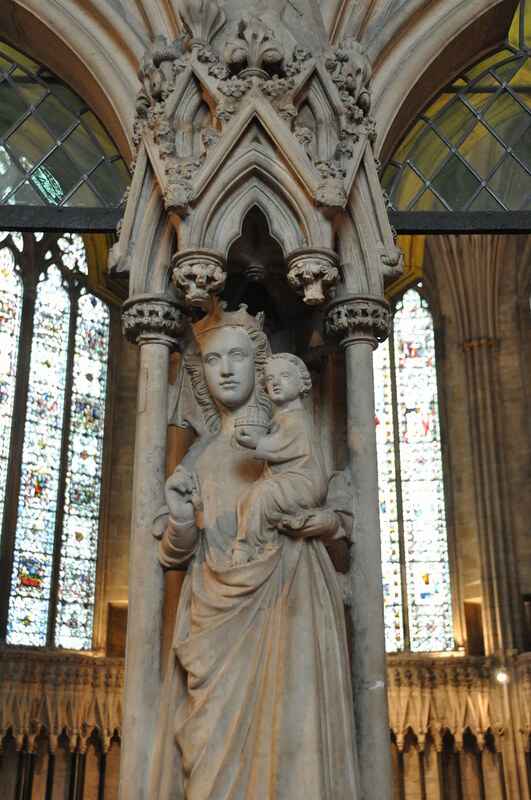 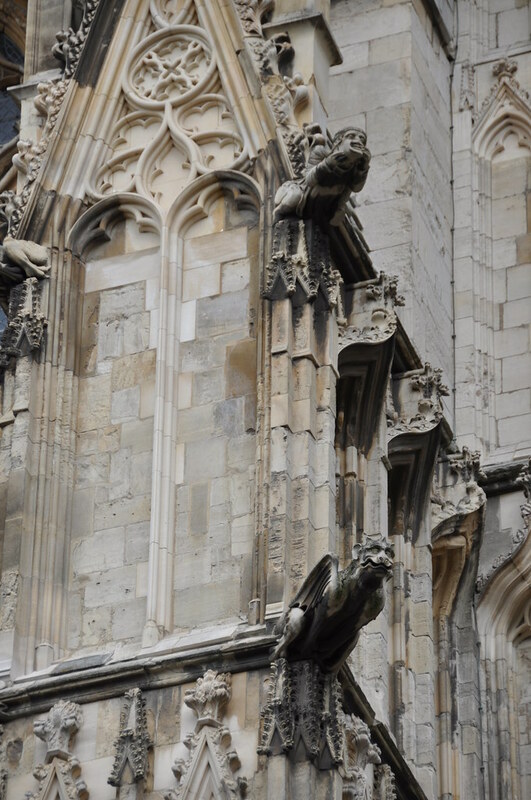 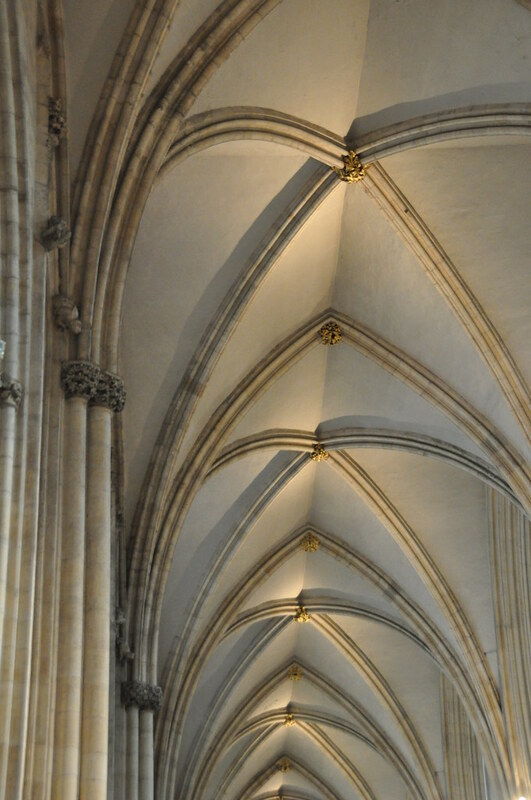 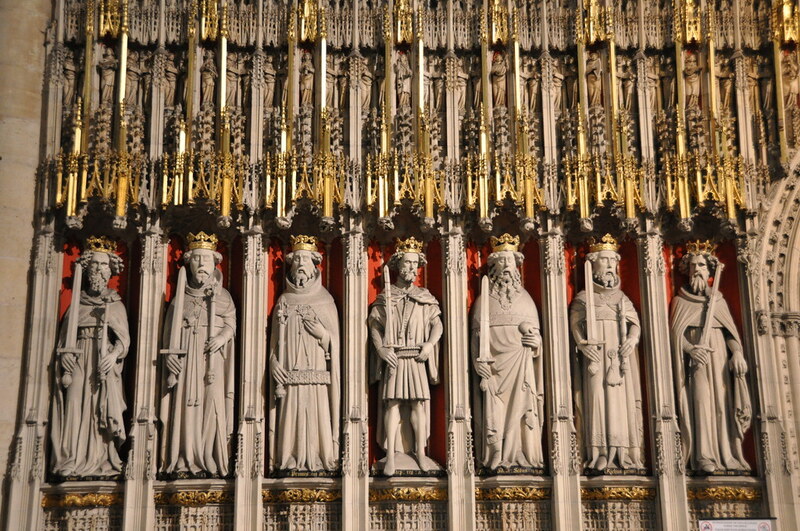 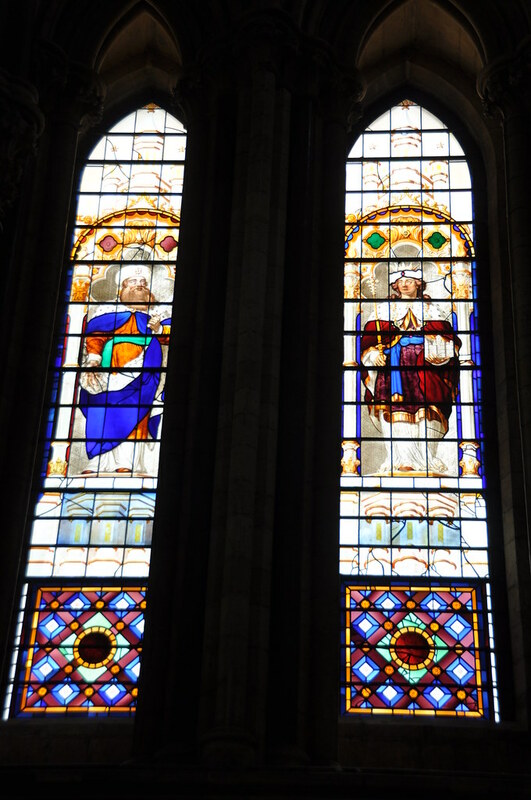 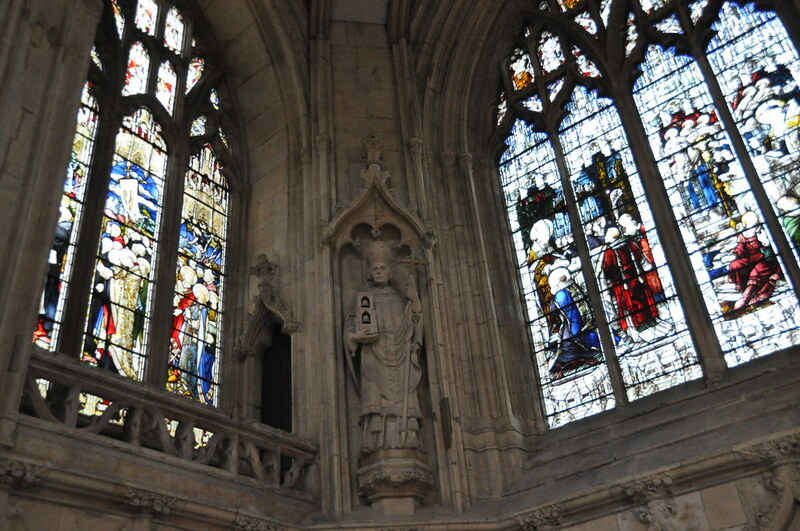 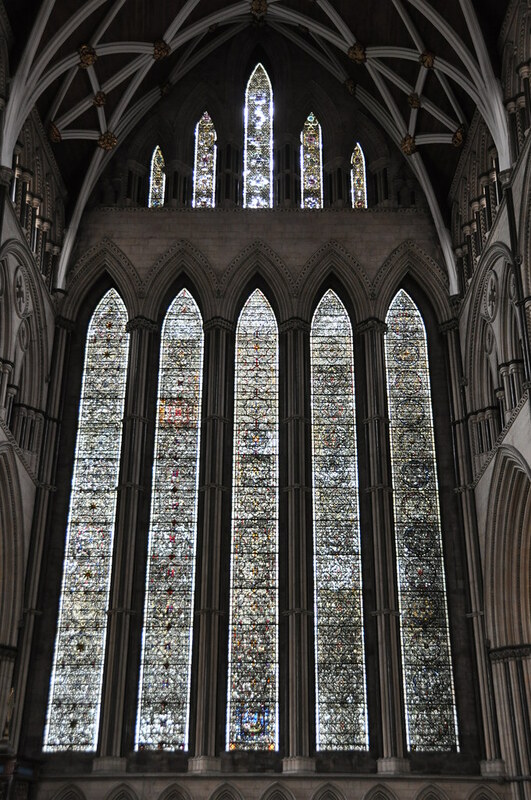 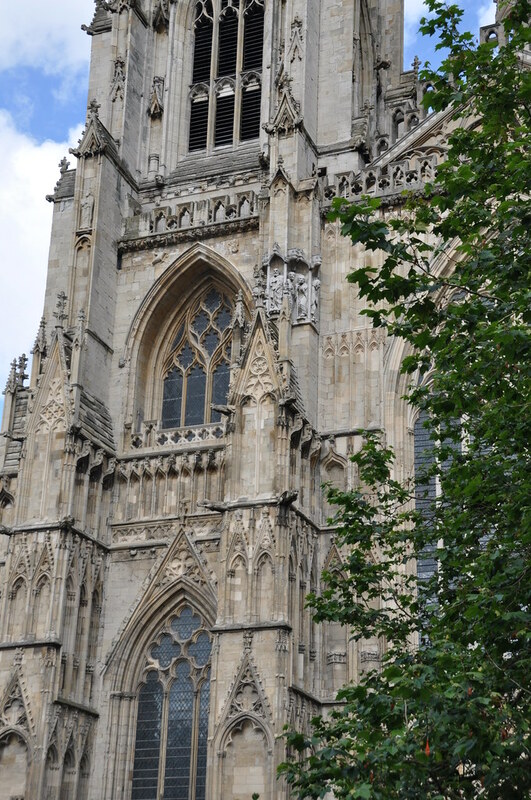 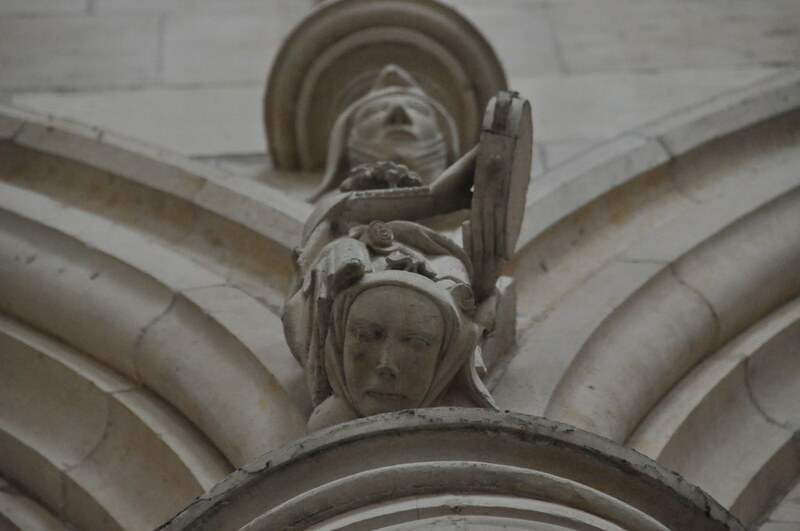 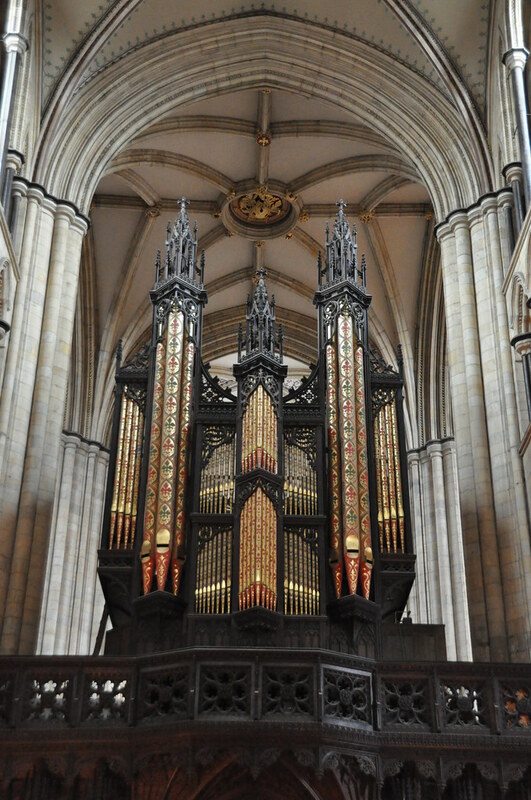 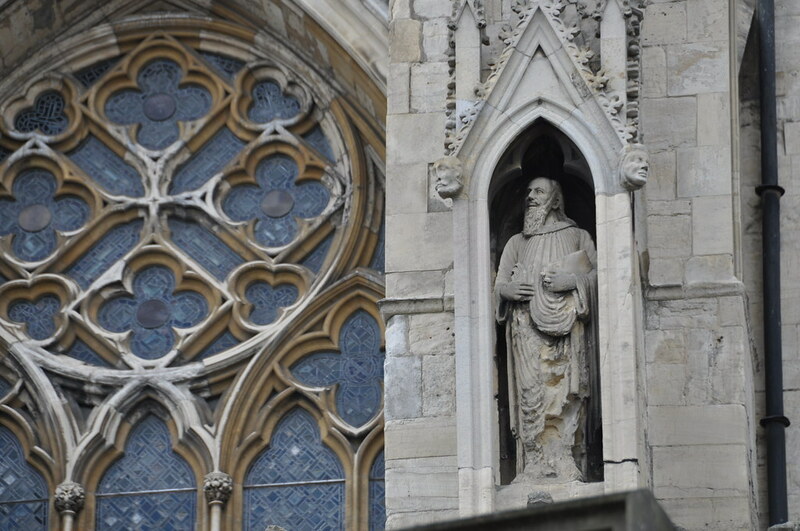 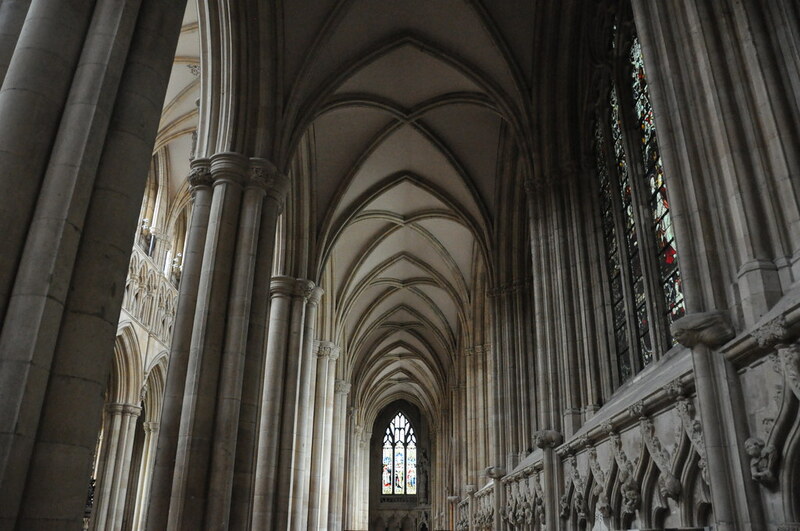 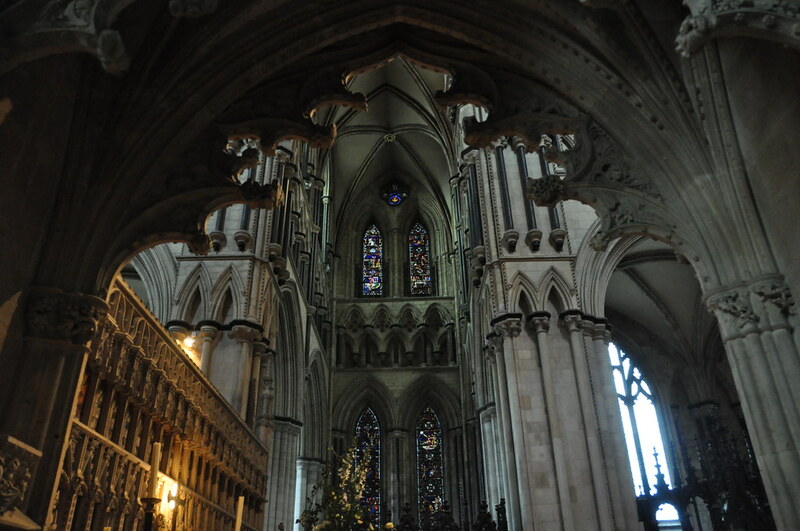 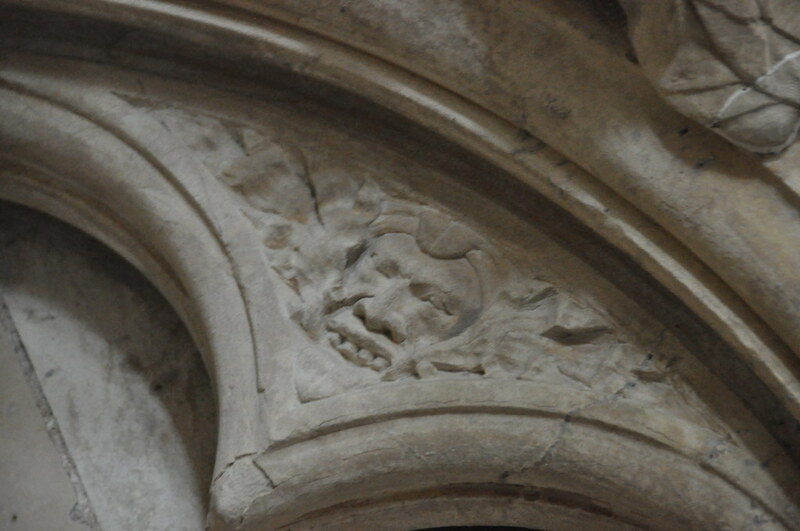 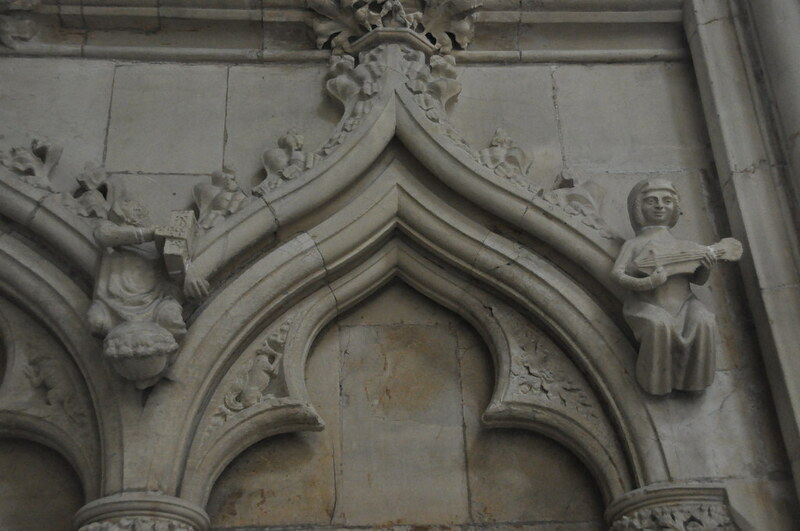 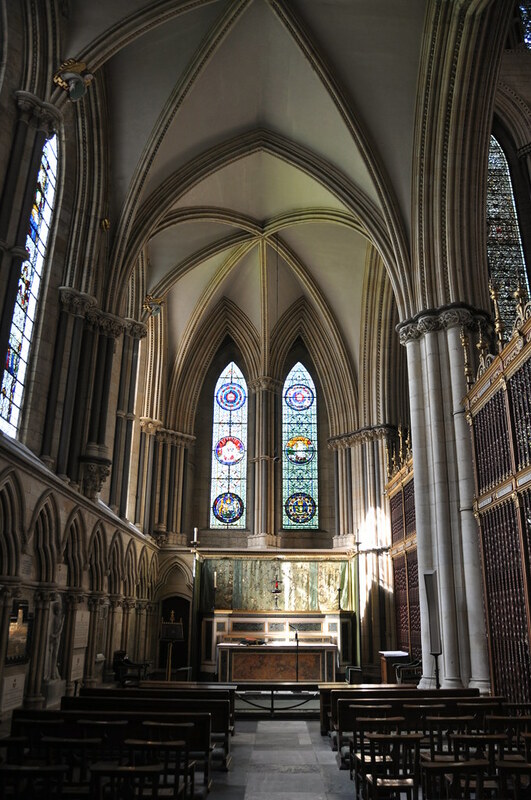 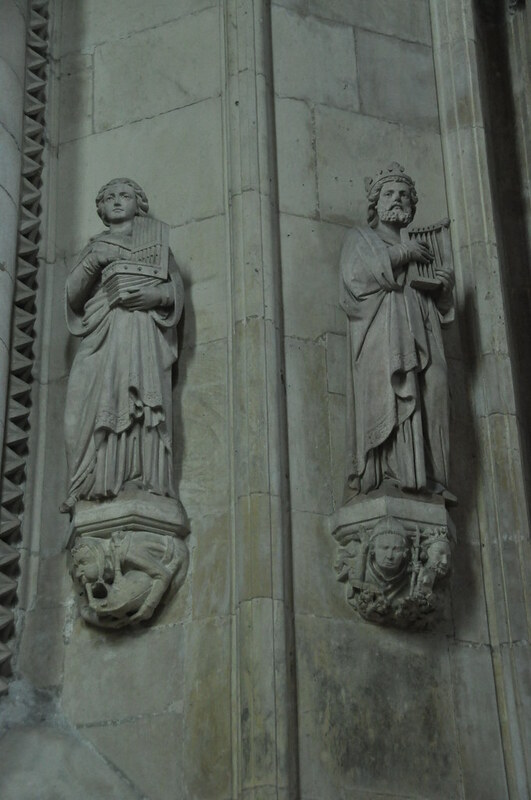 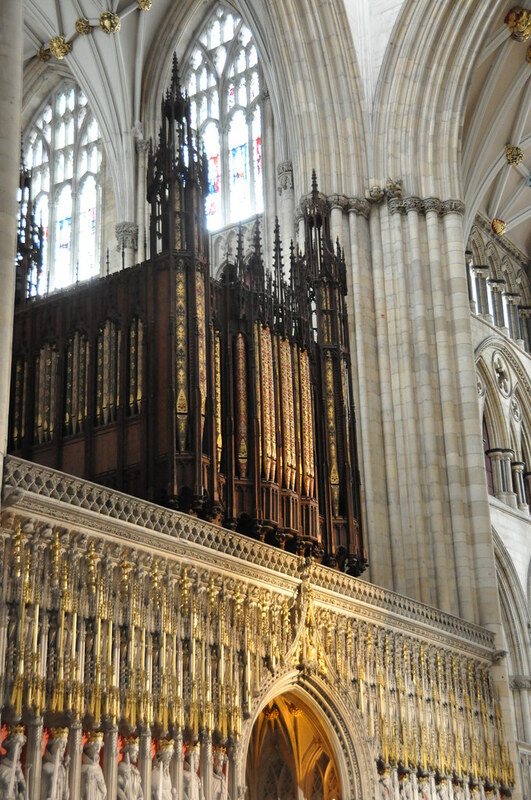 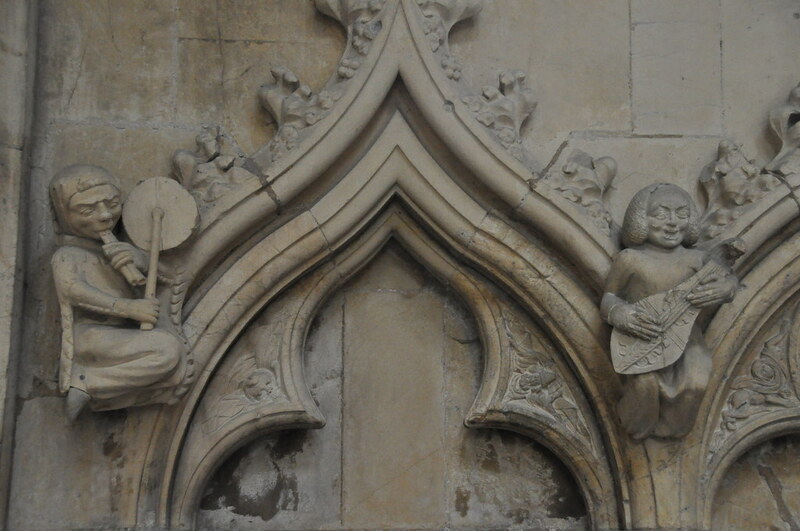 The next day, Friday, I took a short bus ride to visit the Beverley Minster. 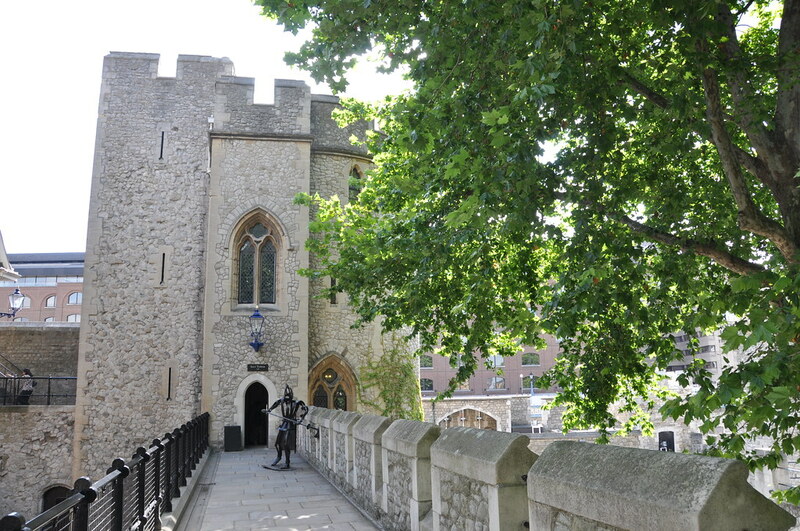 July 18—LONDON! 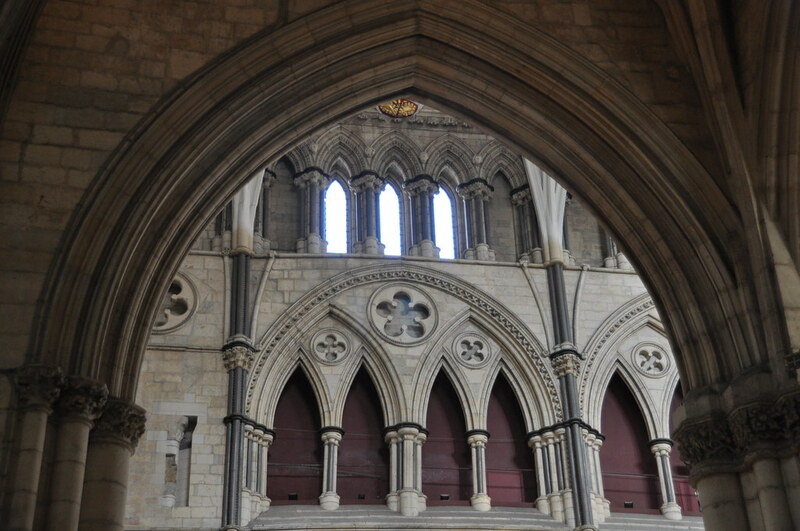 I wasn't sure if I'd manage to see London, but I made it. 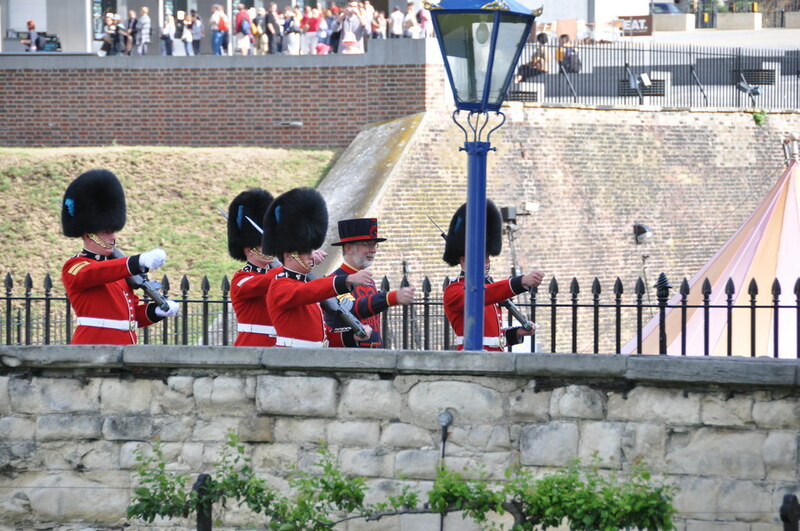 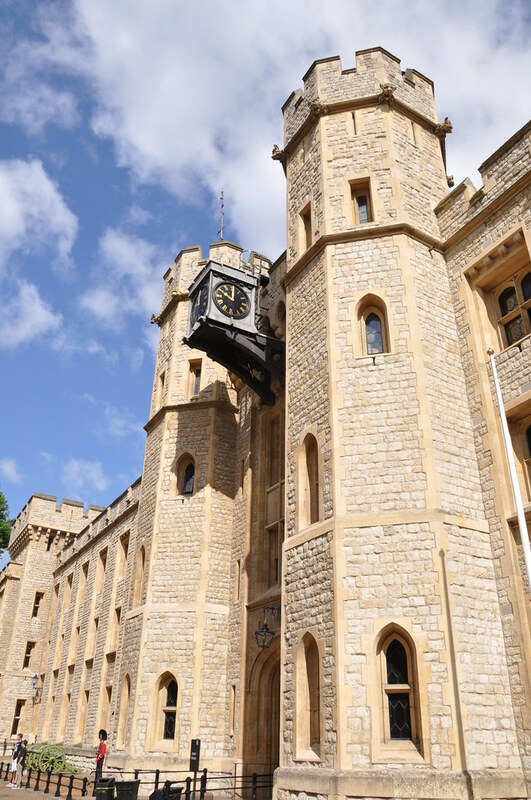 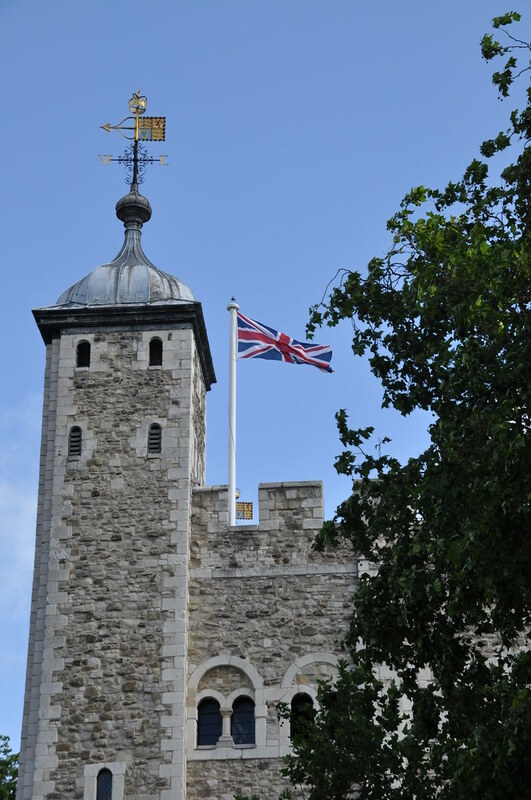 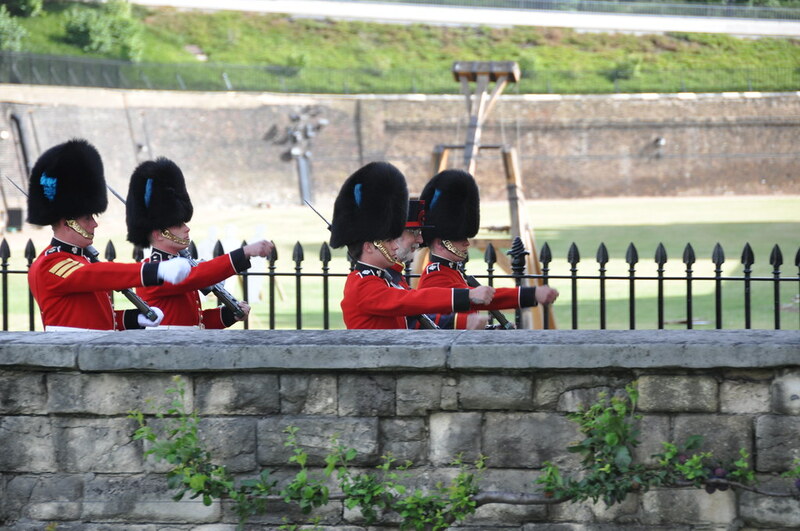 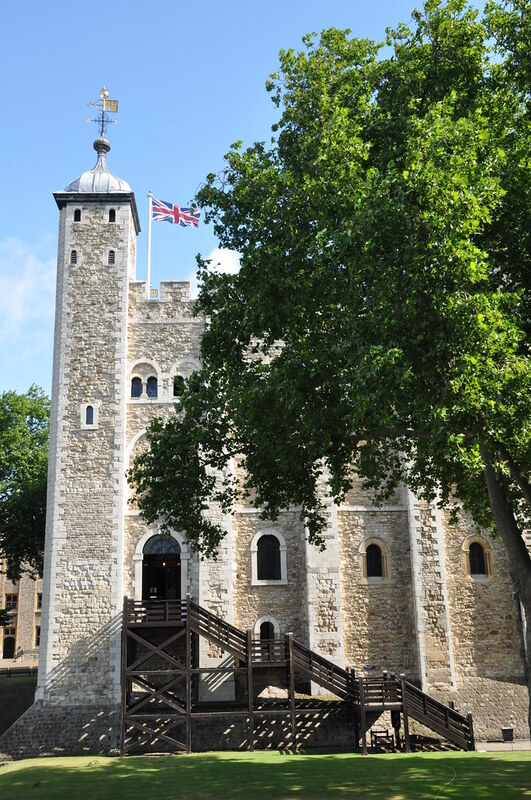 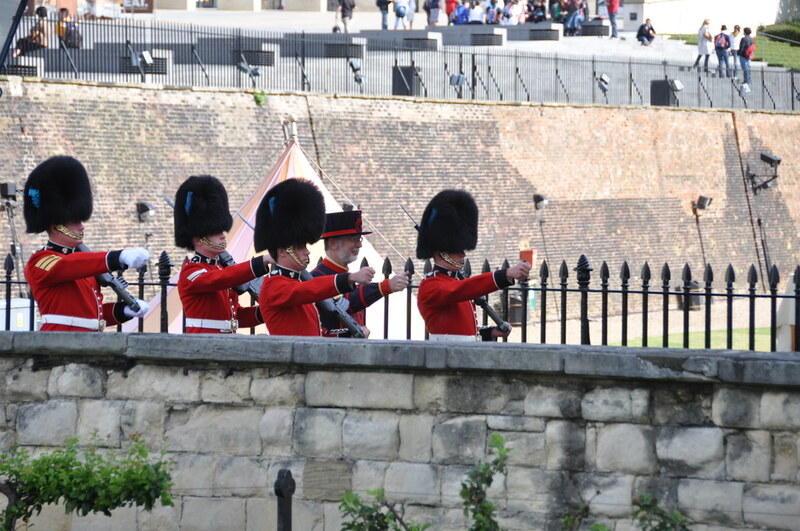 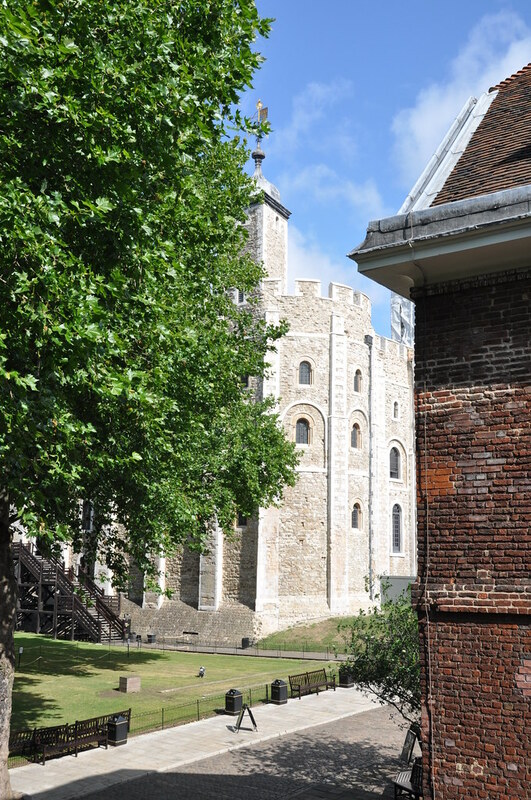 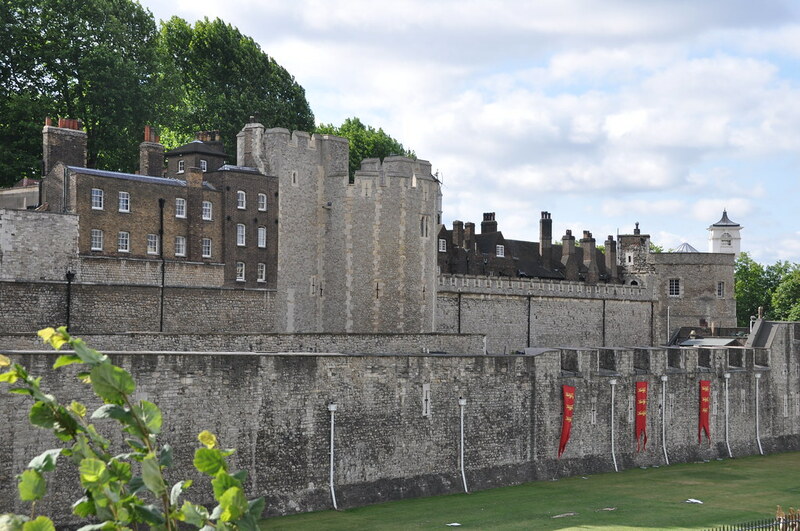 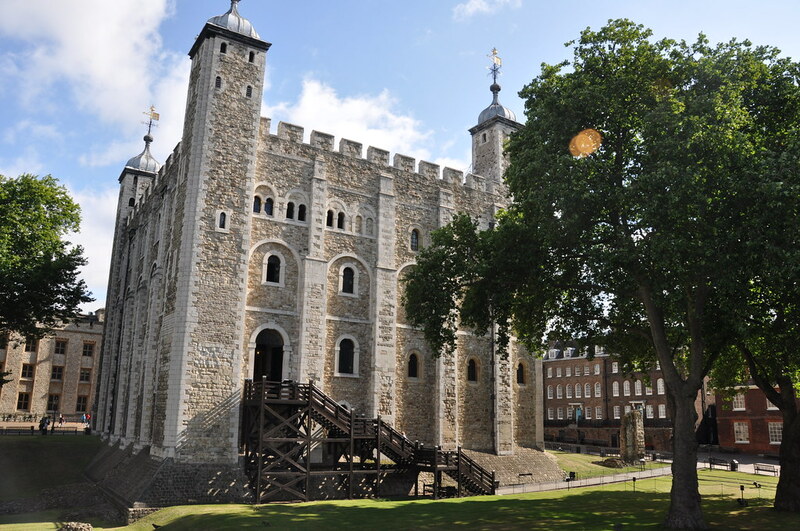 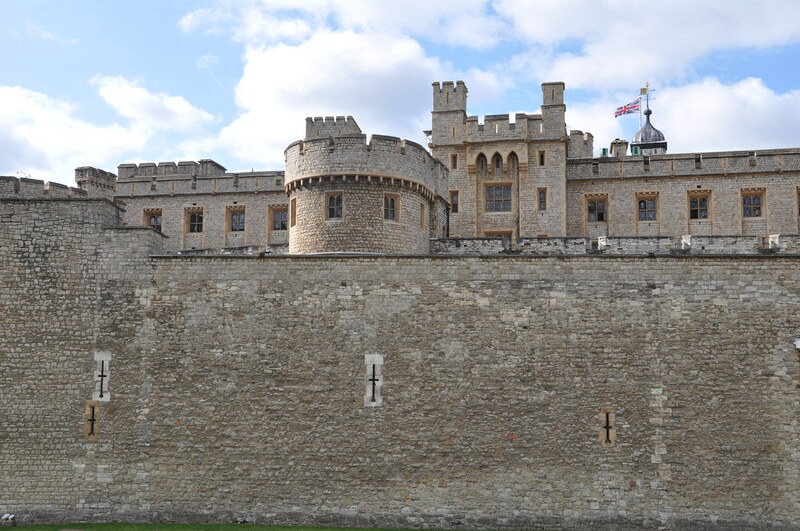 First stop was a tour of the Tower of London. 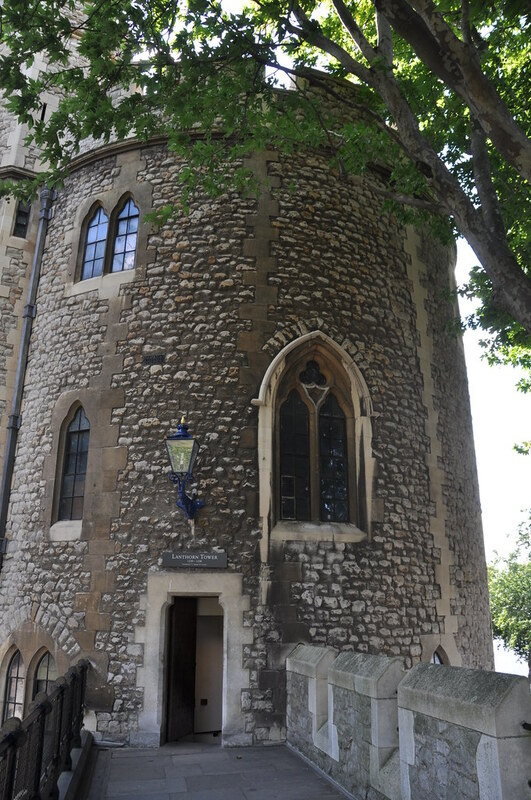 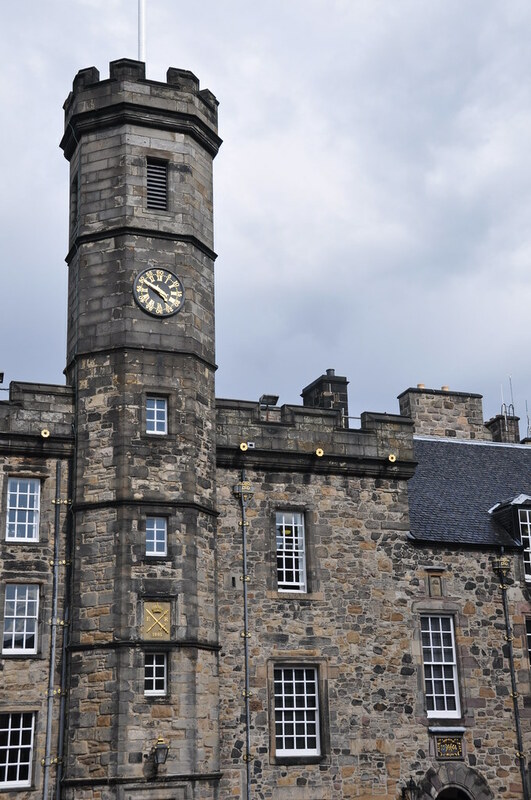 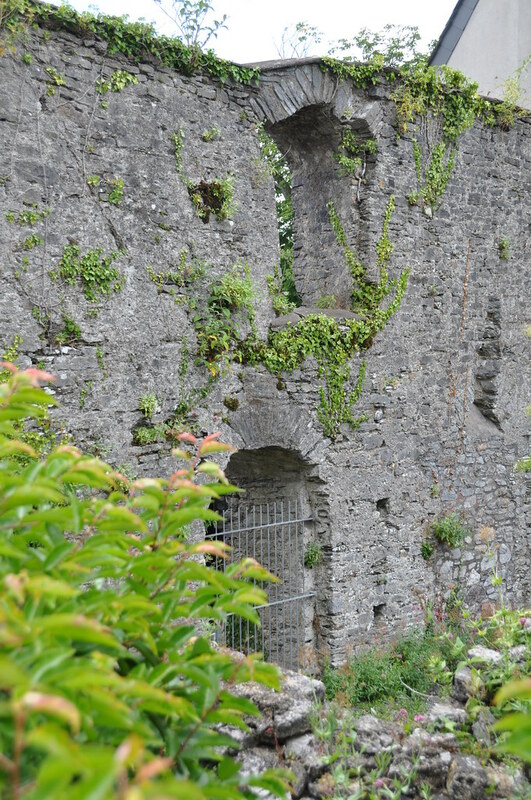 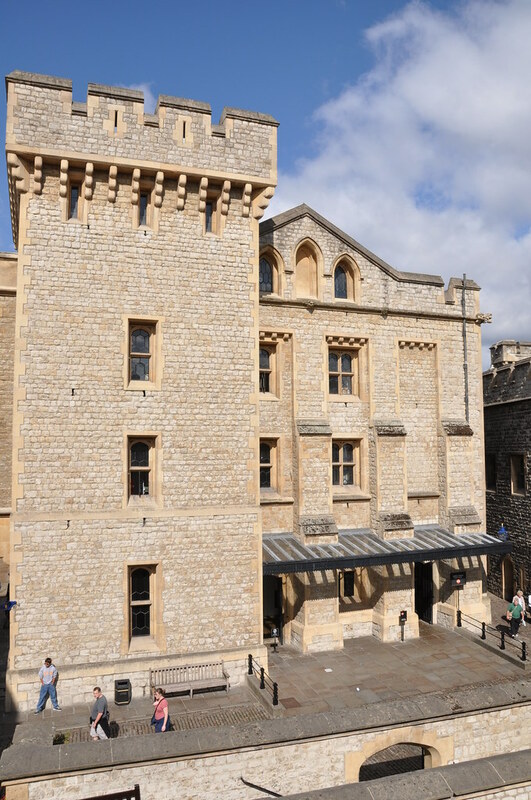 Exterior of the Tower's royal palace. 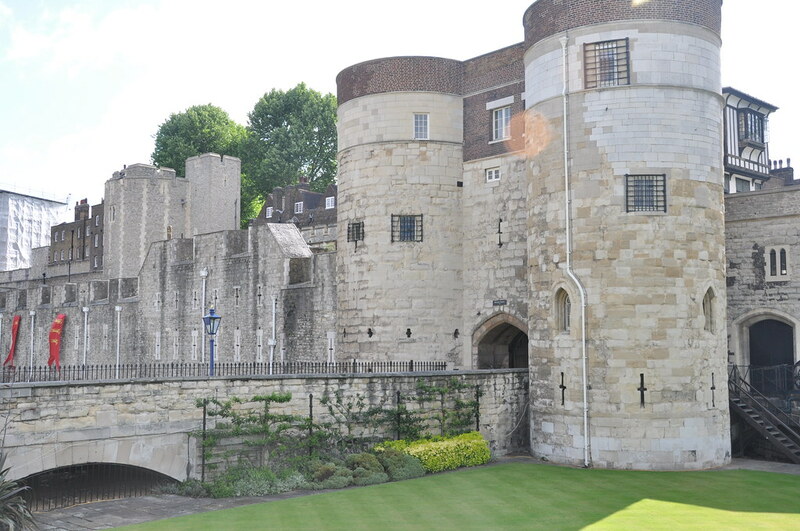 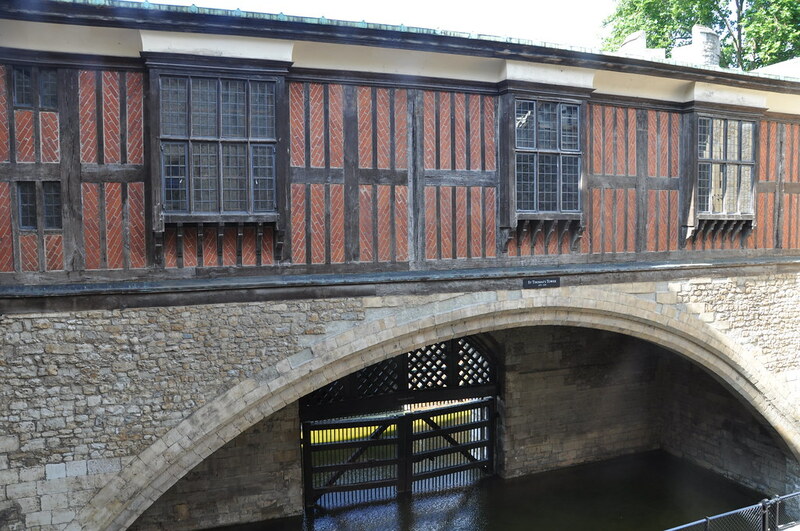 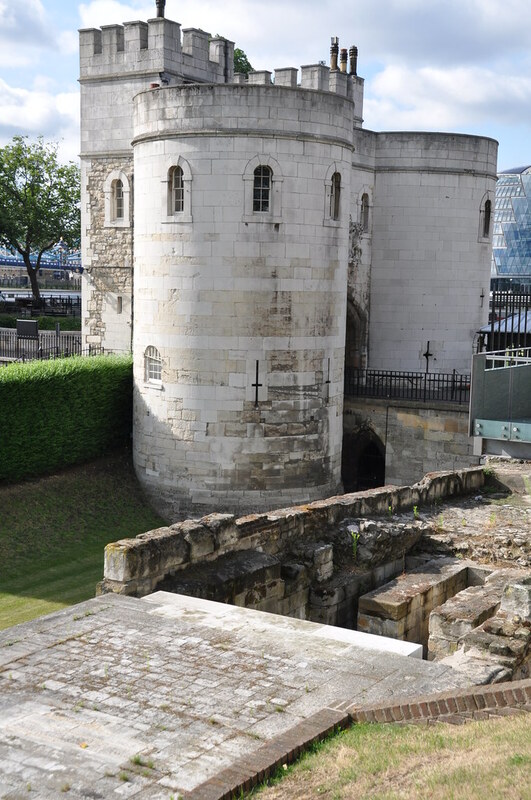 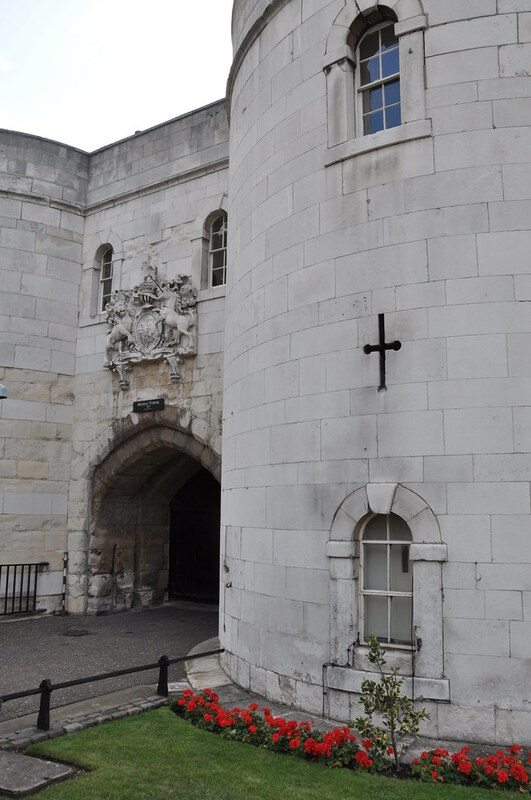 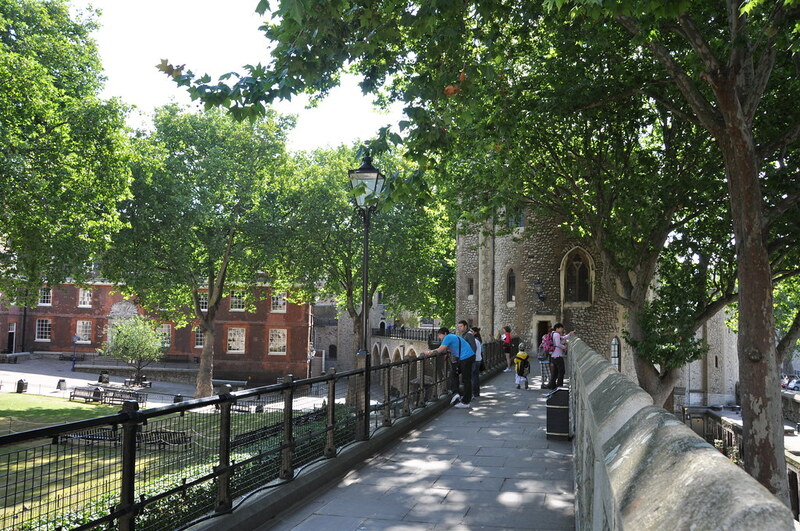 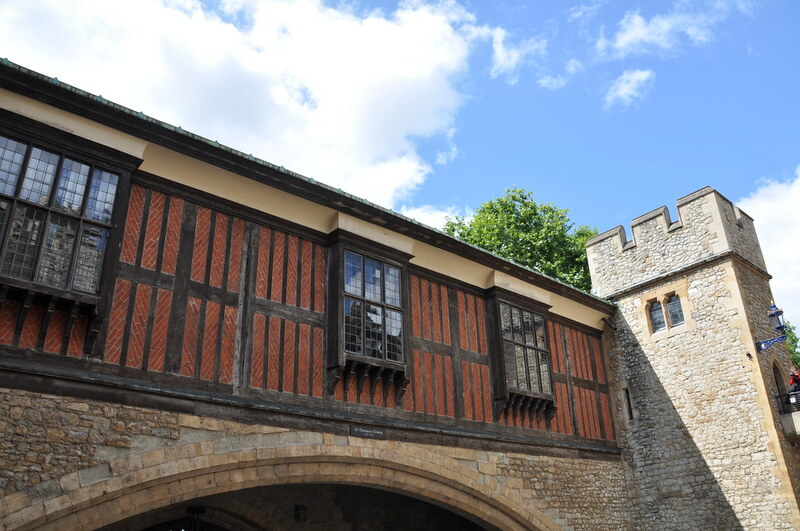 Below the royal palace is the infamous Traitor's Gate.